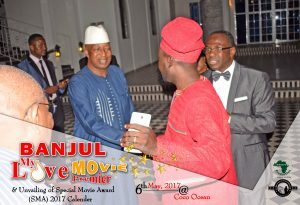 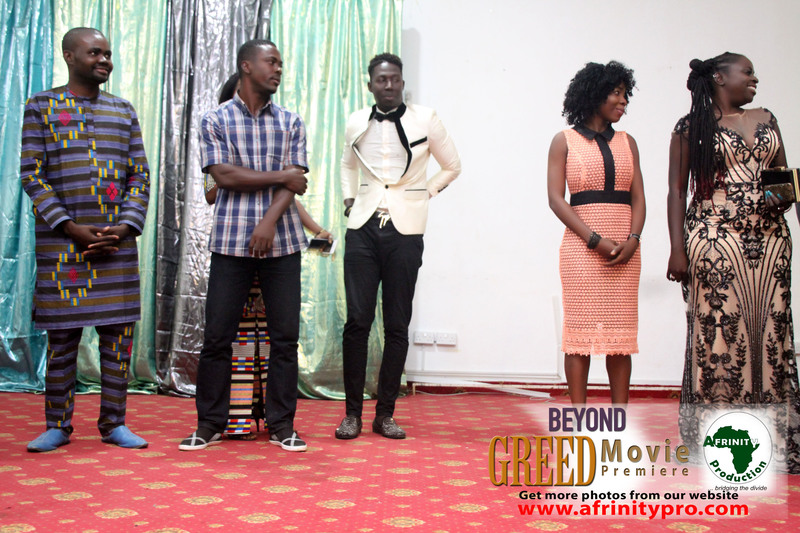 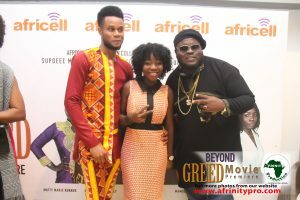 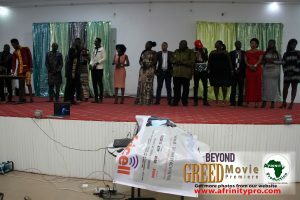 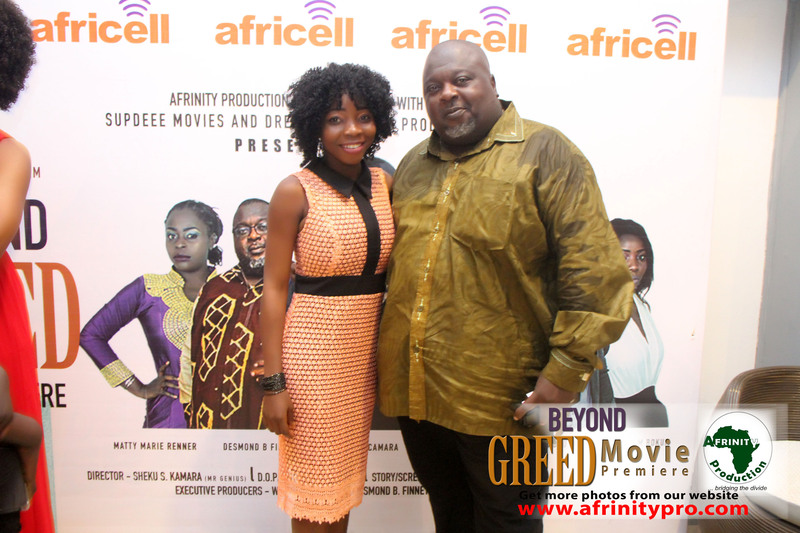 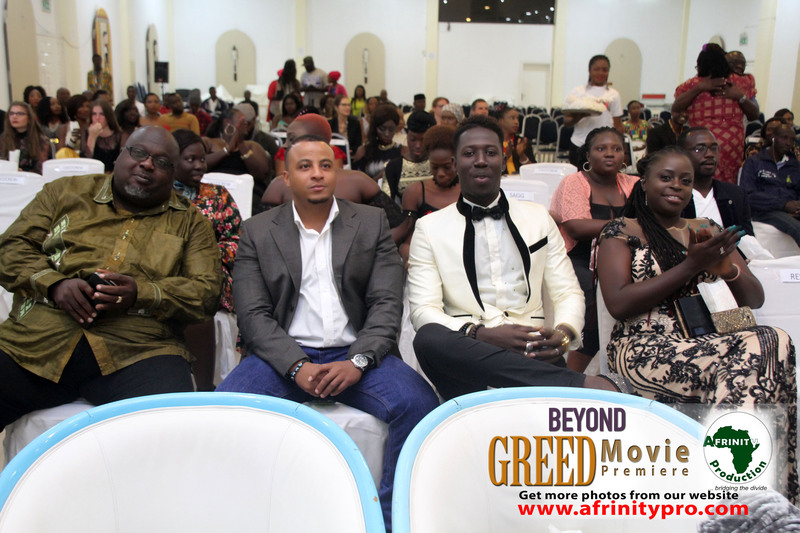 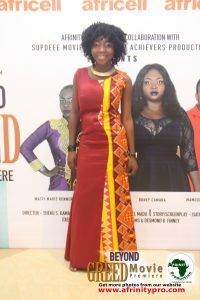 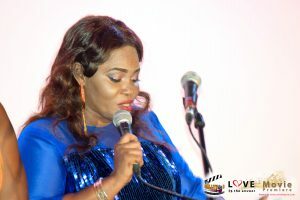 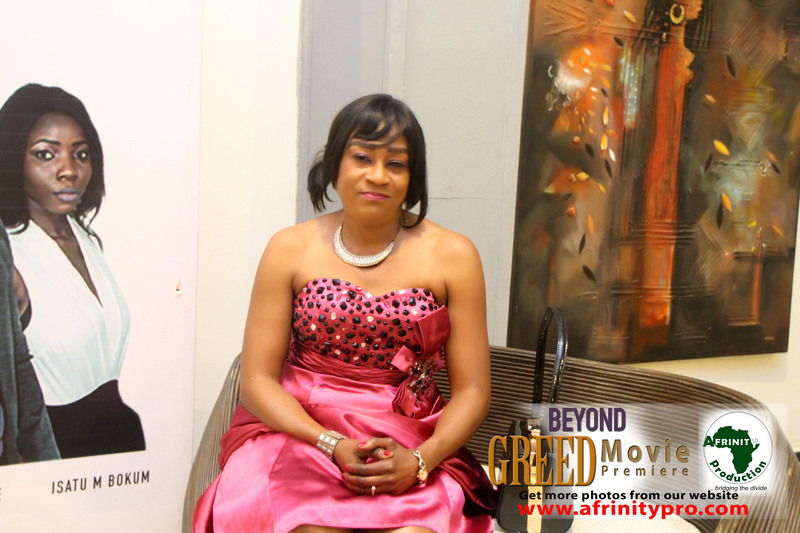 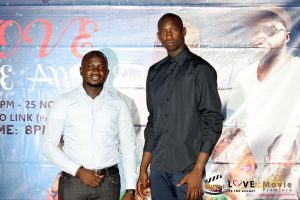 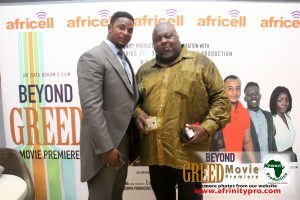 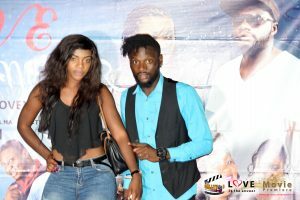 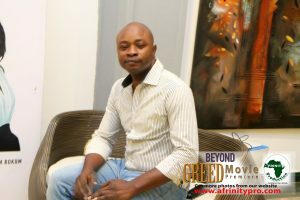 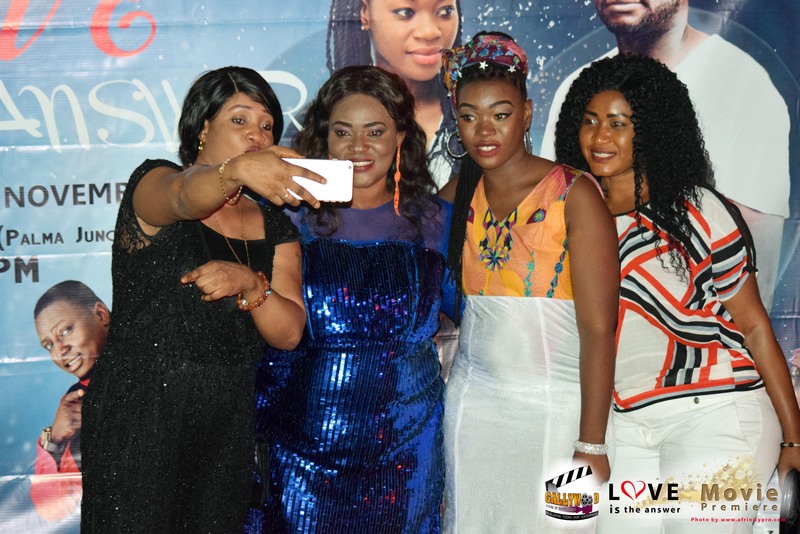 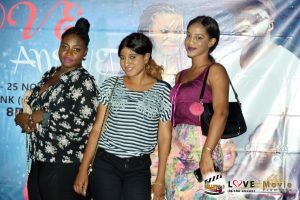 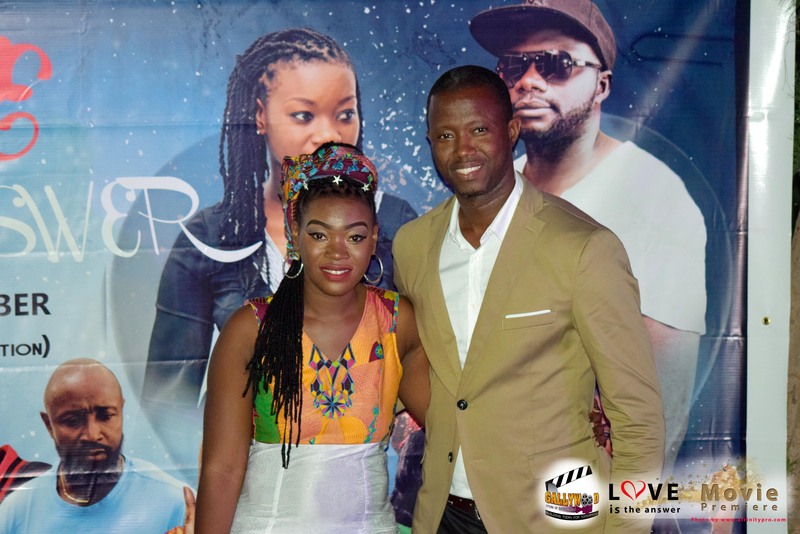 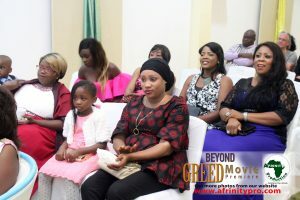 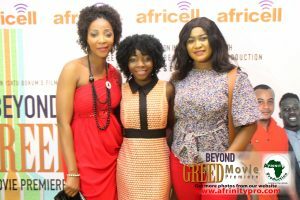 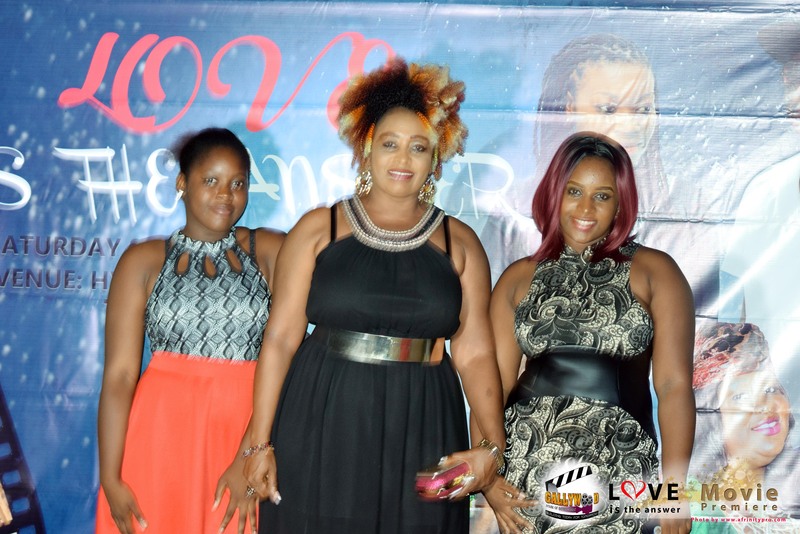 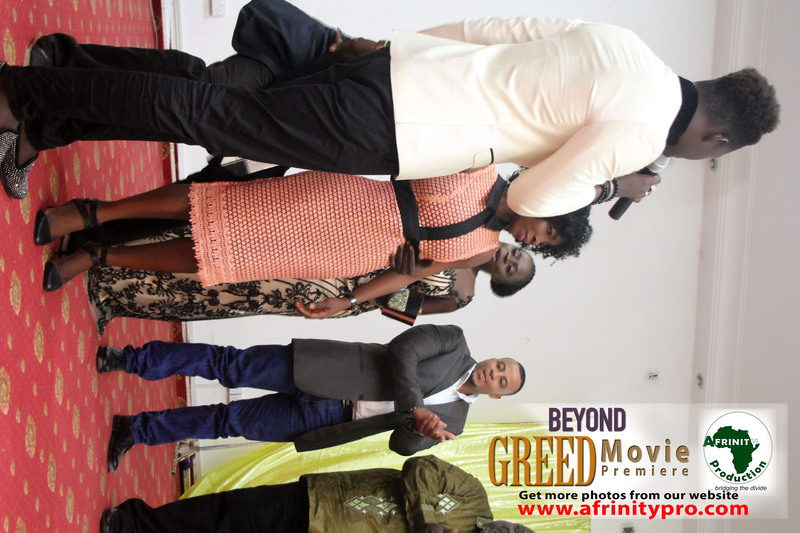 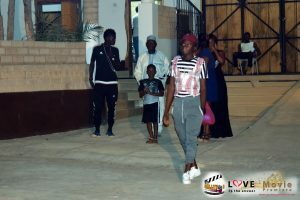 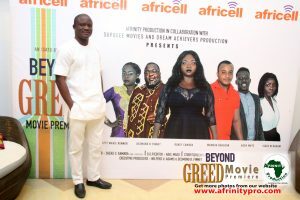 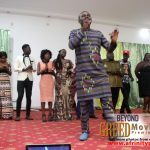 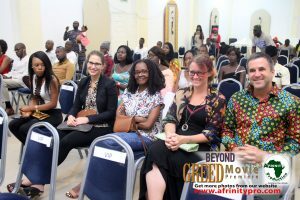 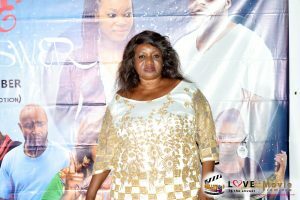 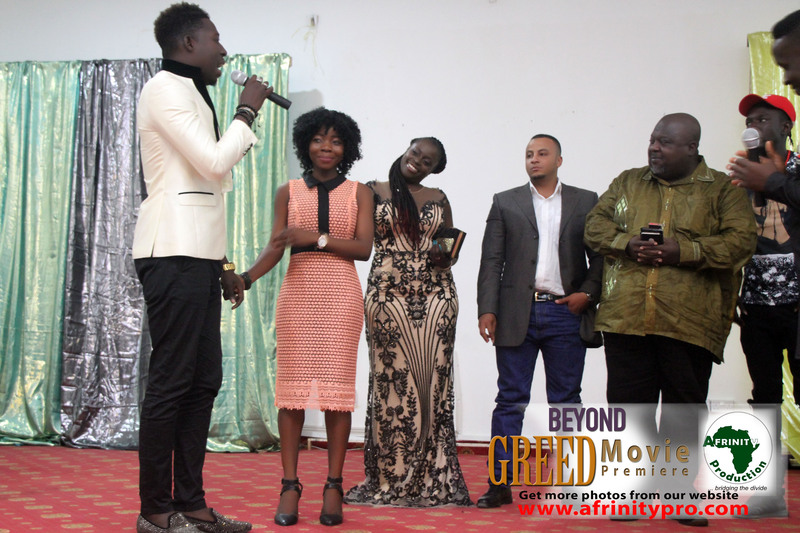 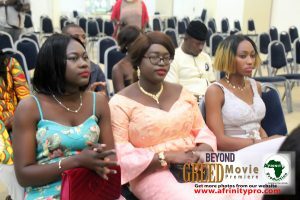 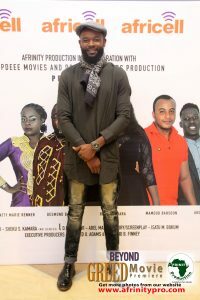 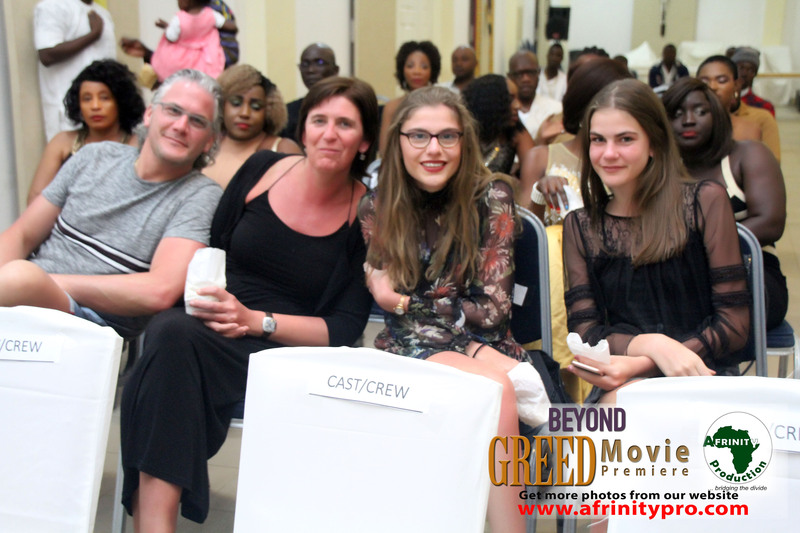 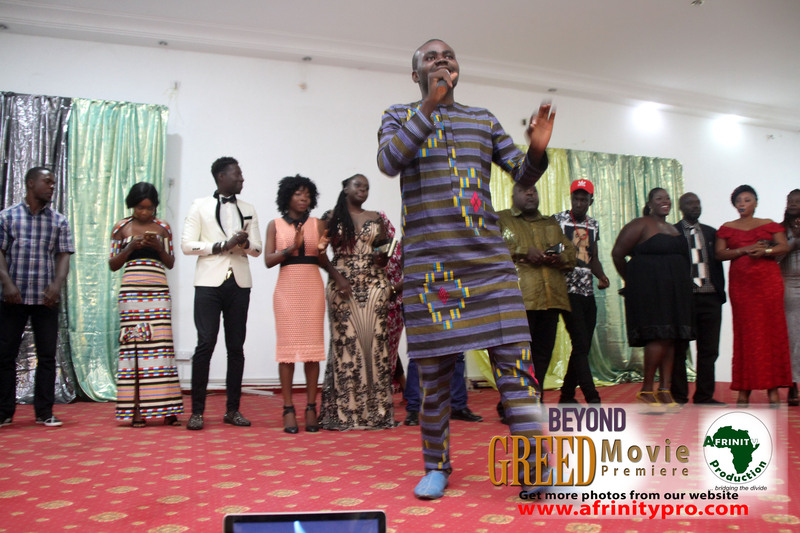 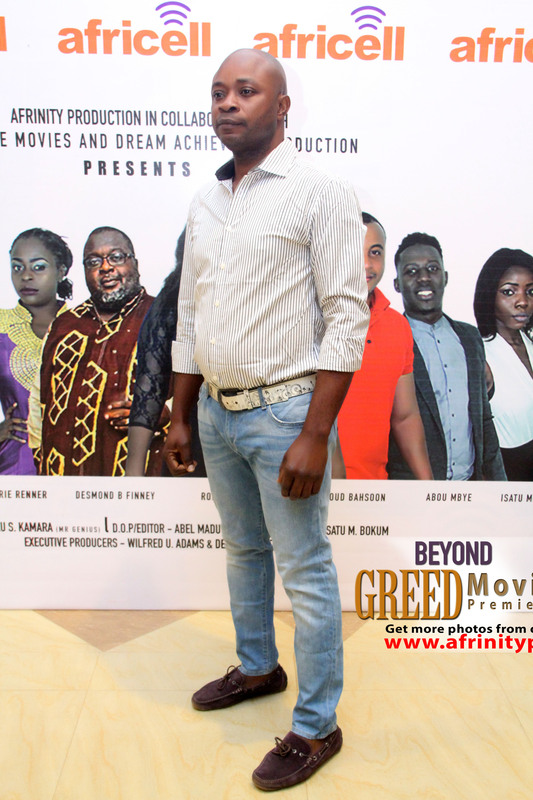 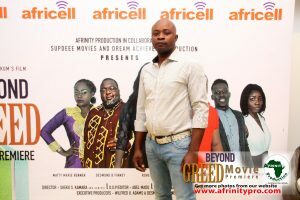 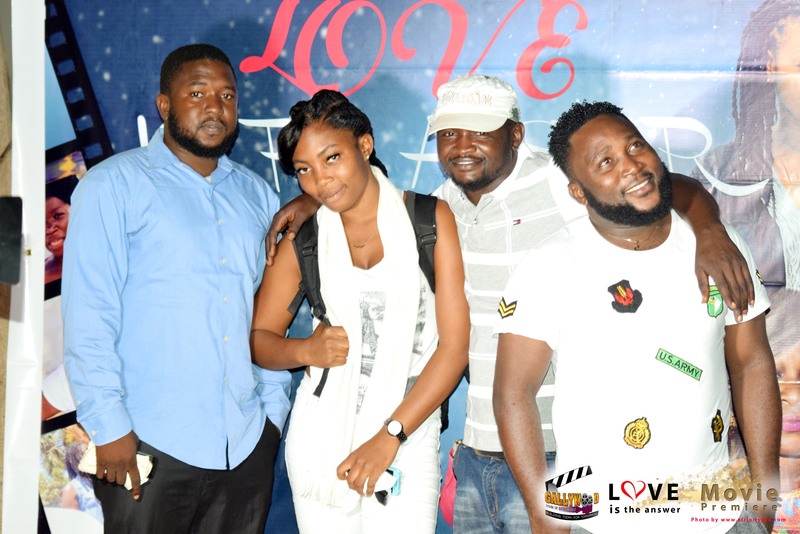 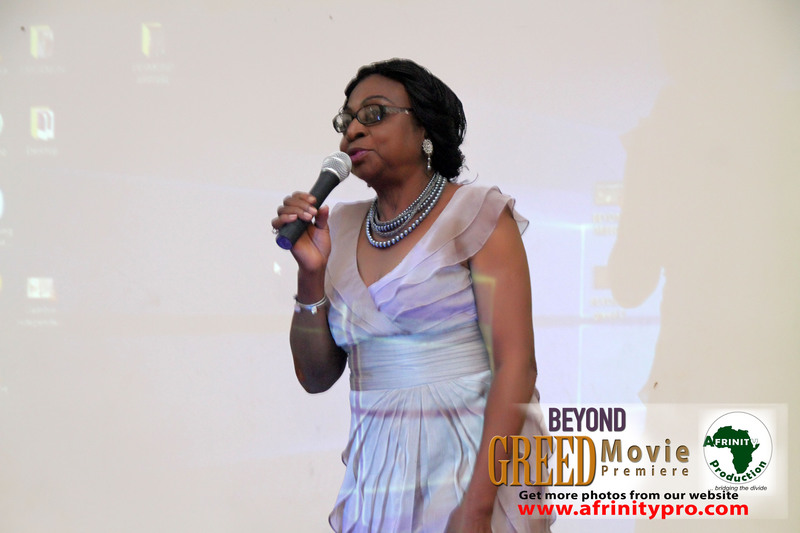 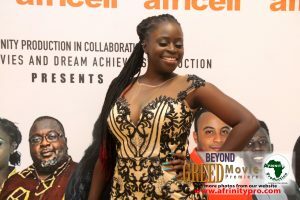 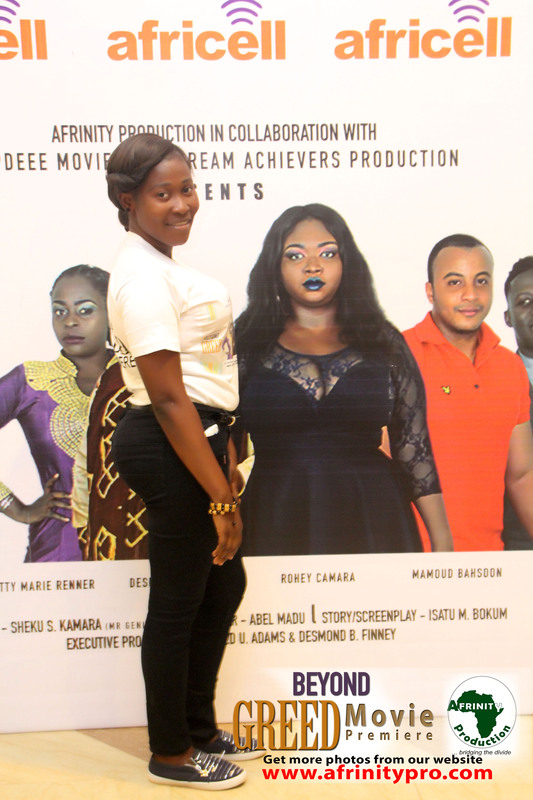 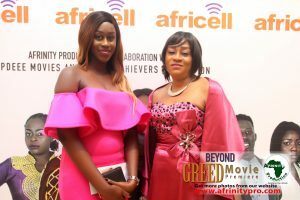 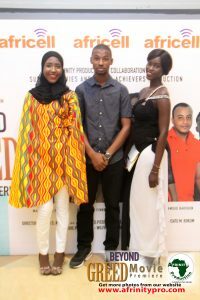 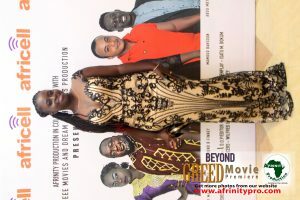 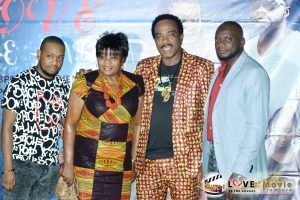 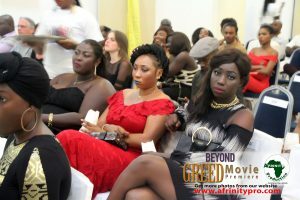 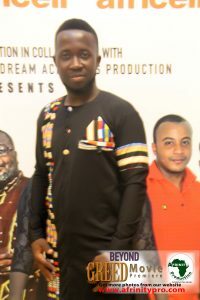 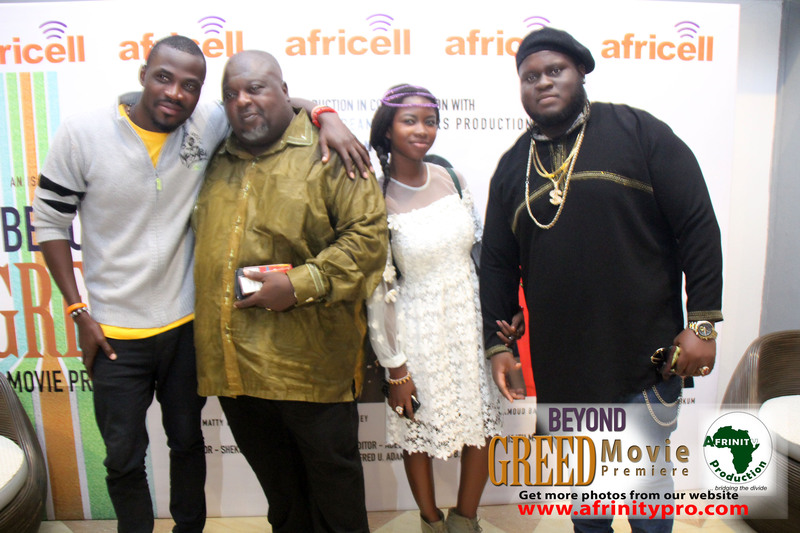 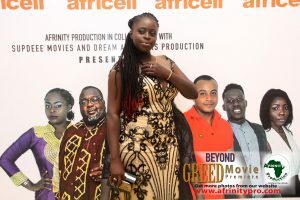 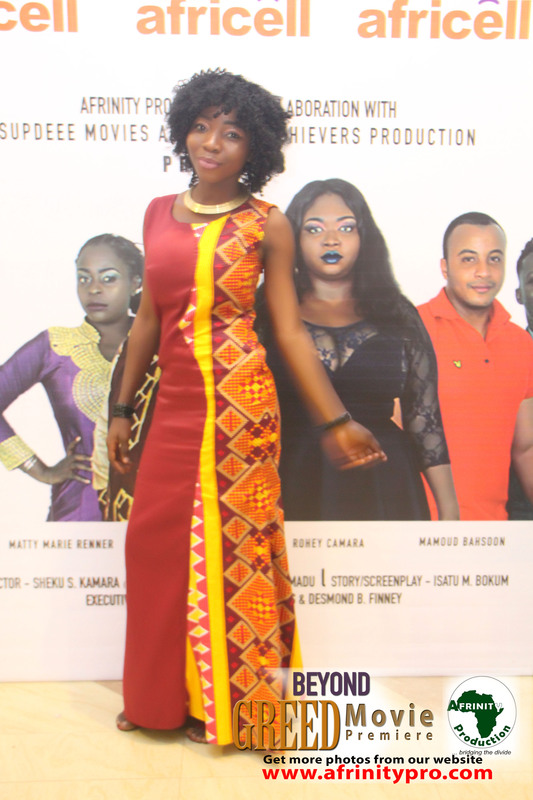 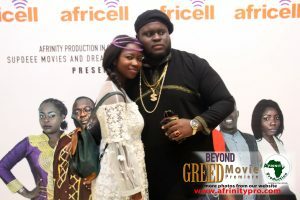 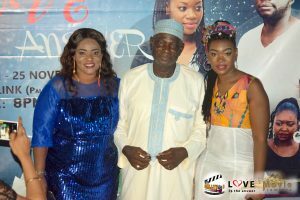 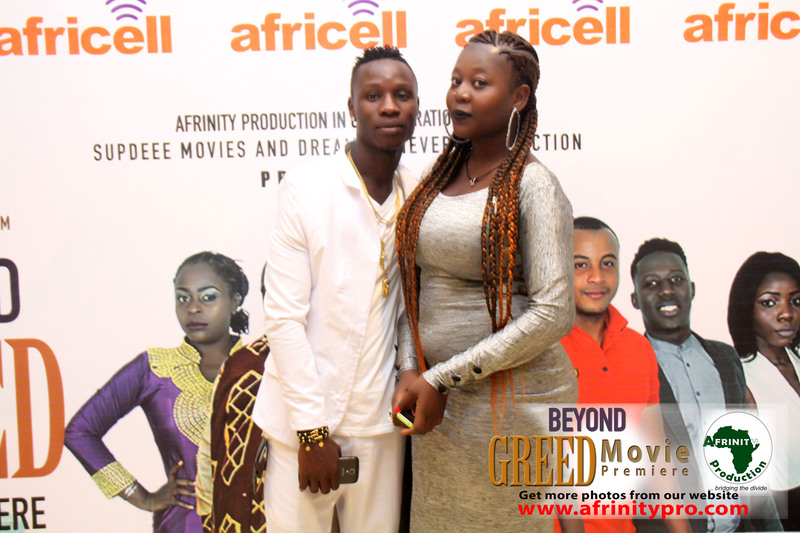 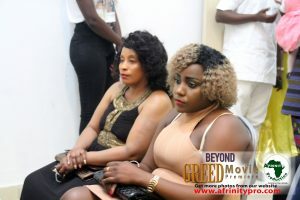 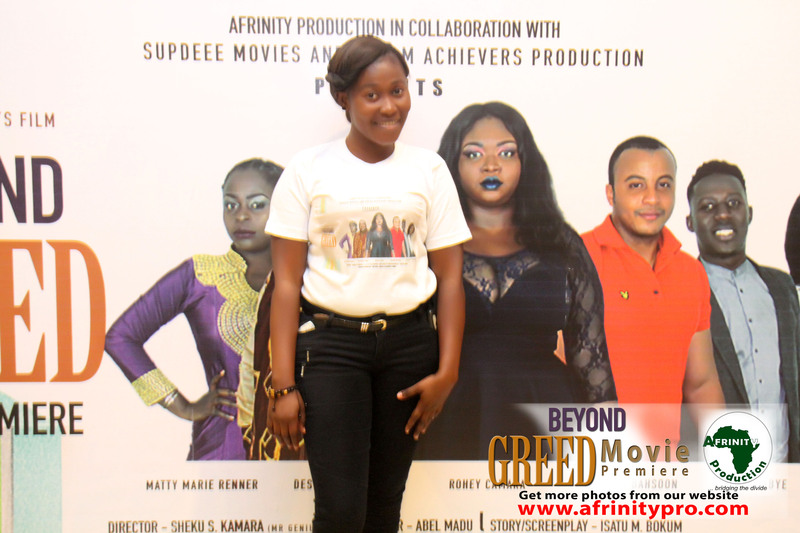 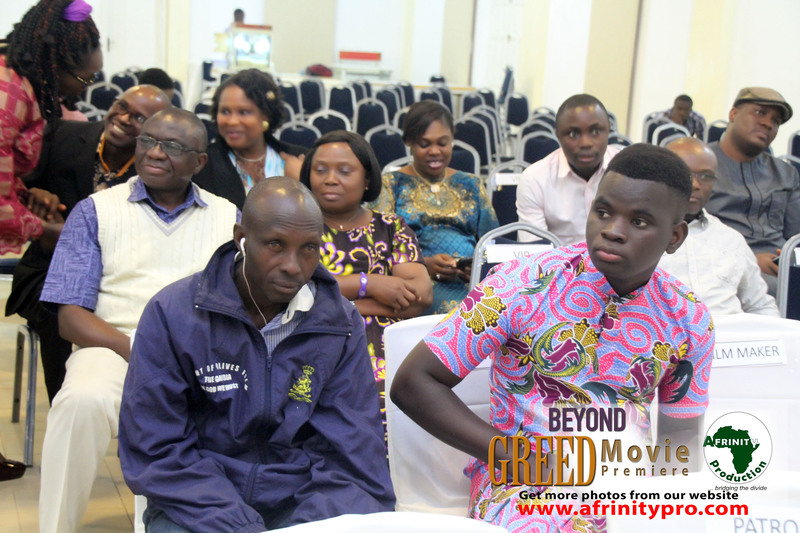 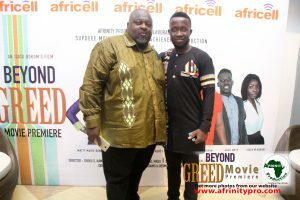 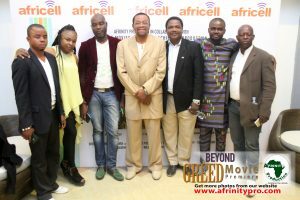 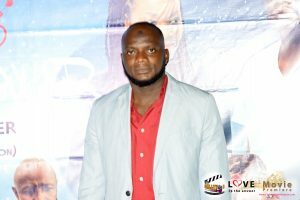 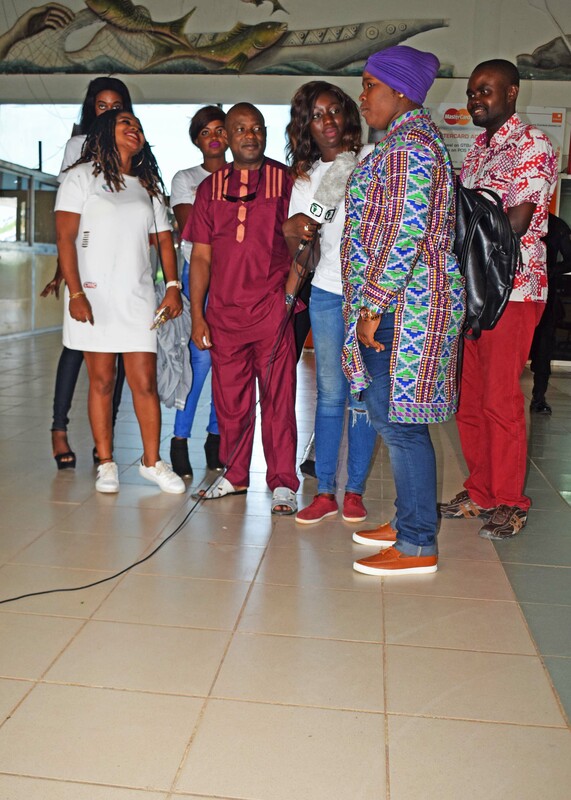 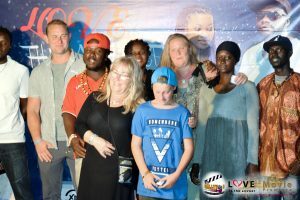 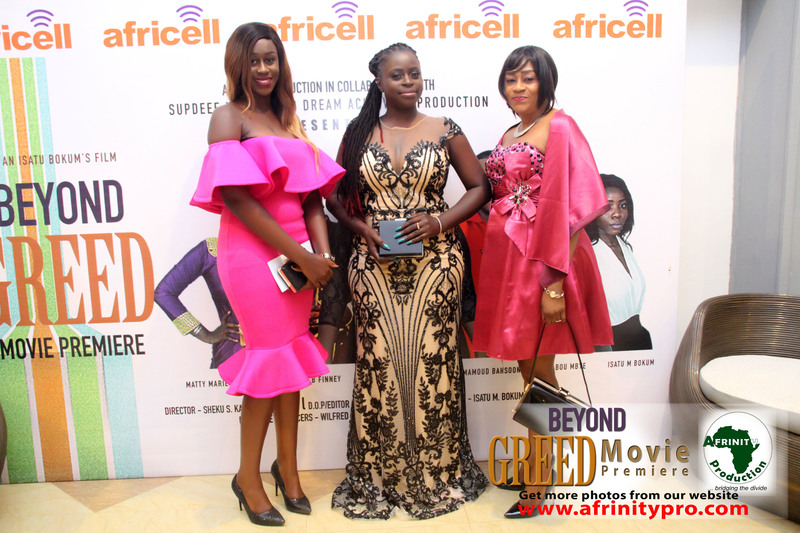 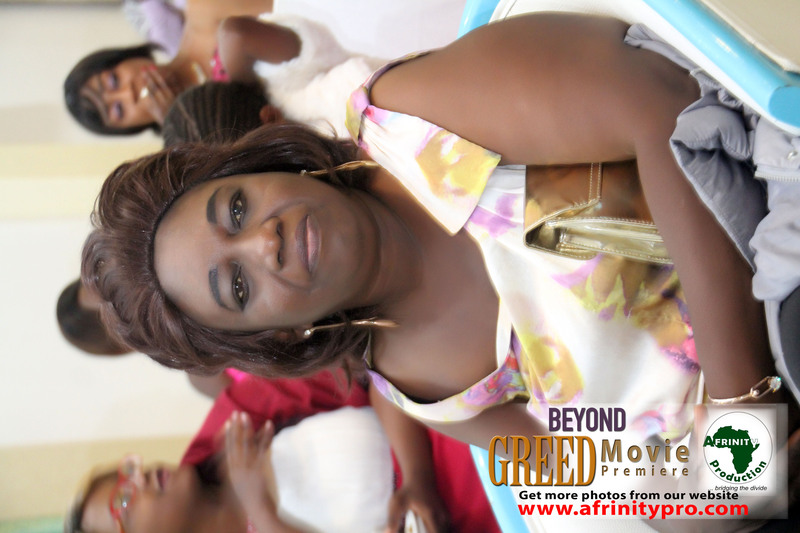 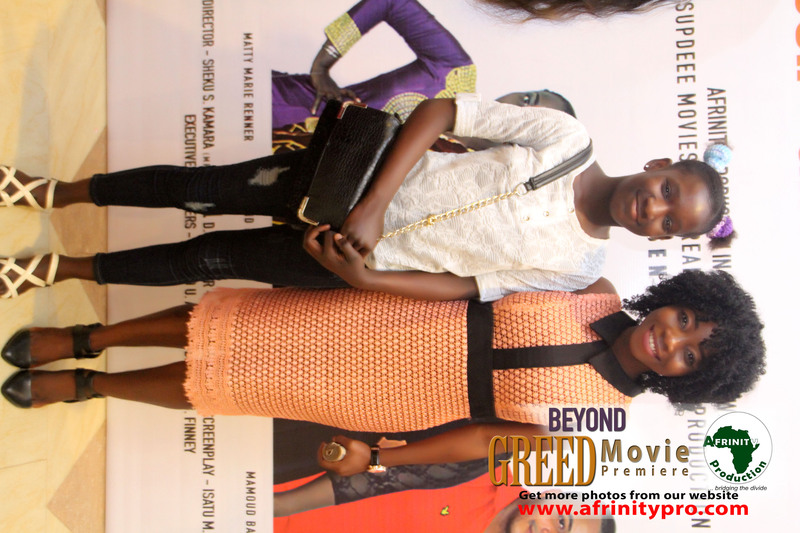 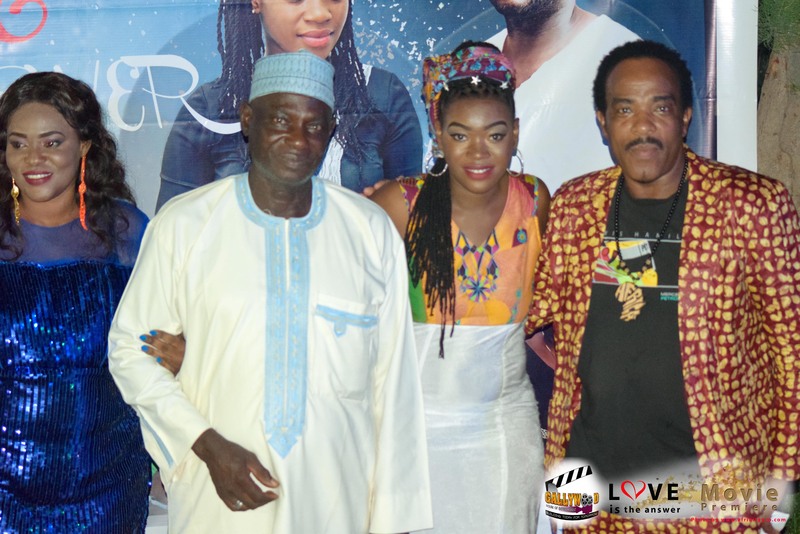 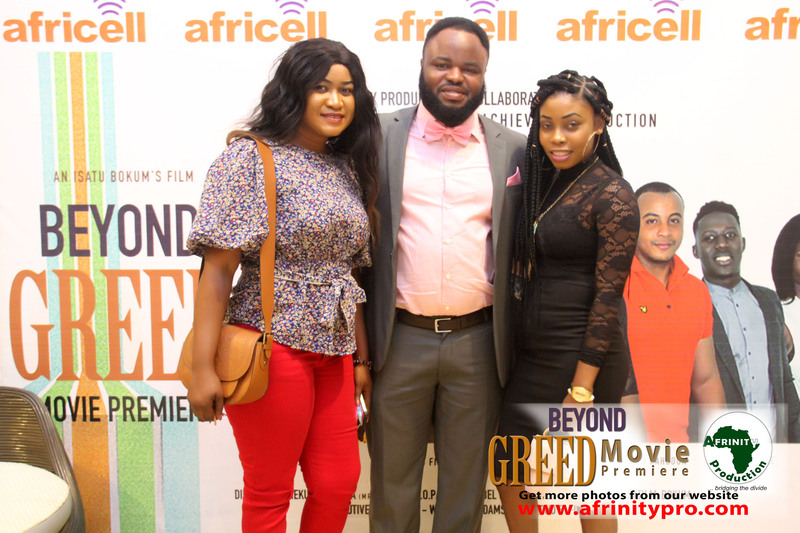 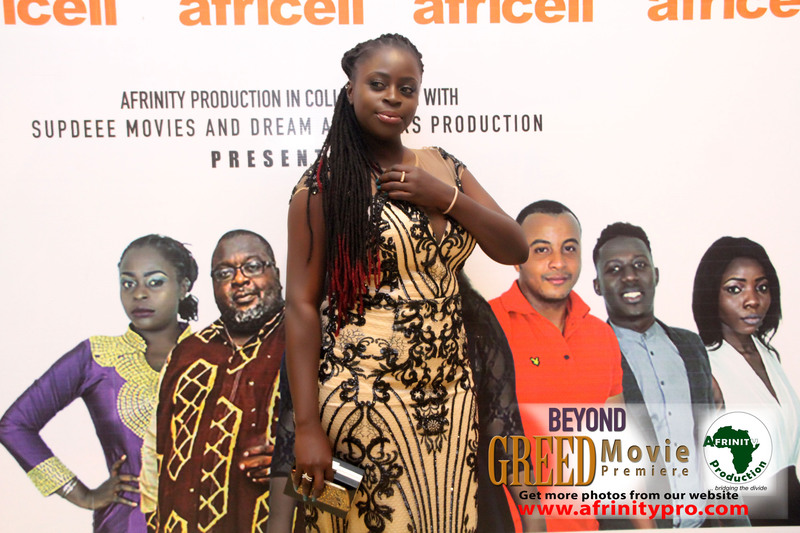 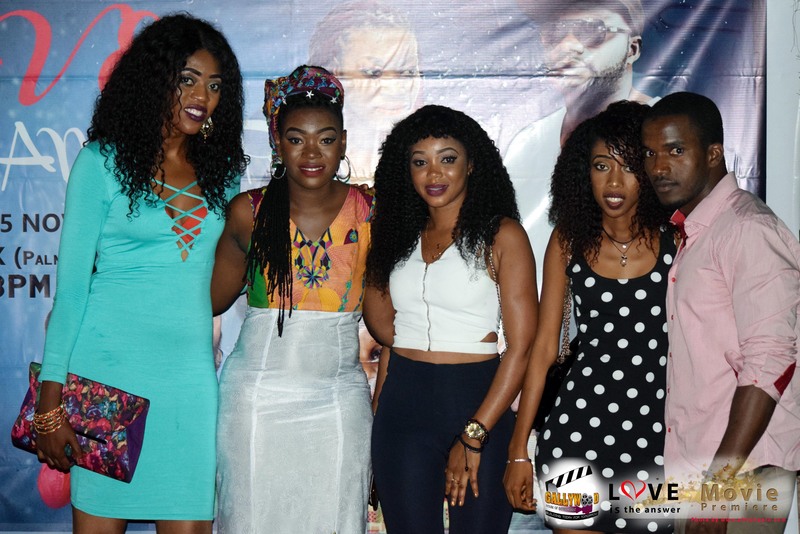 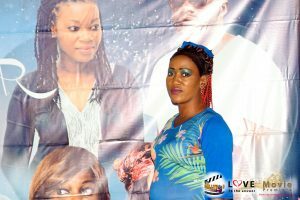 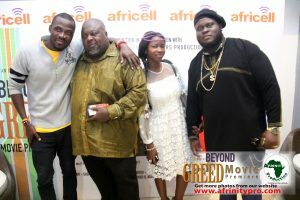 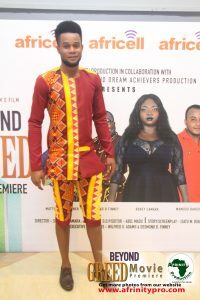 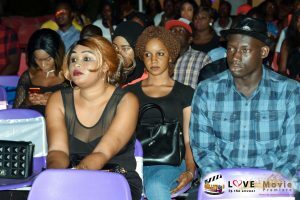 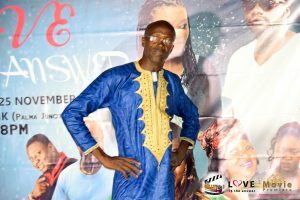 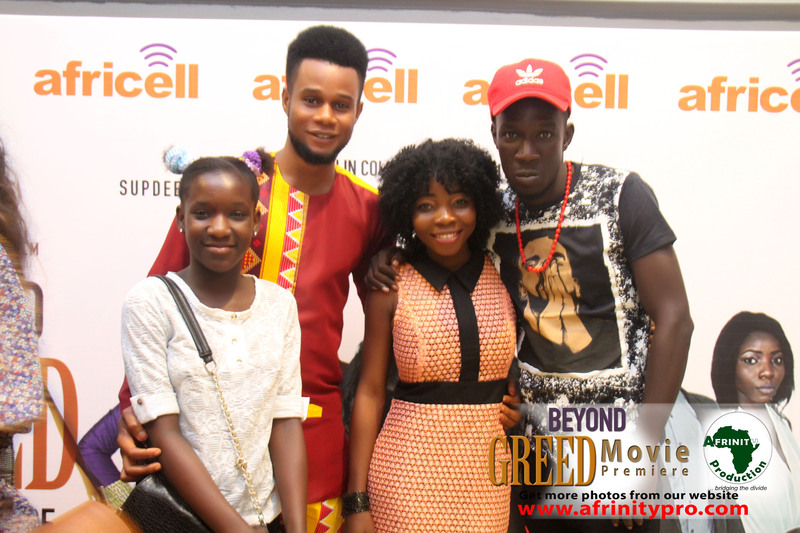 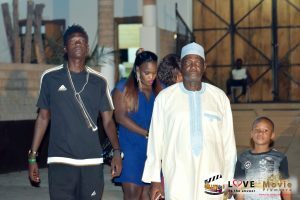 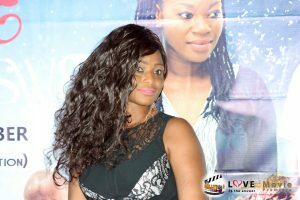 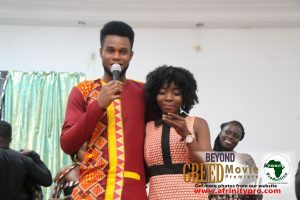 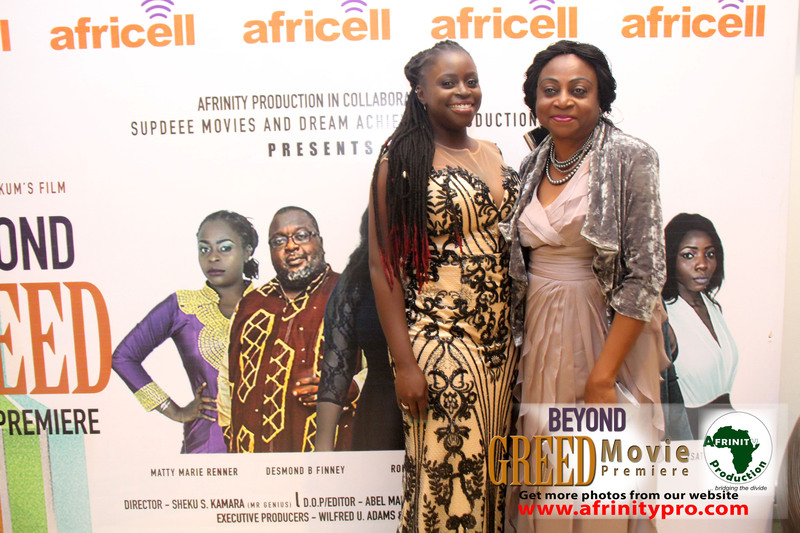 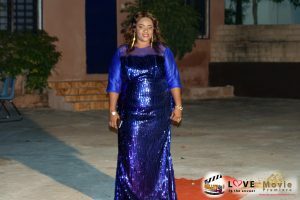 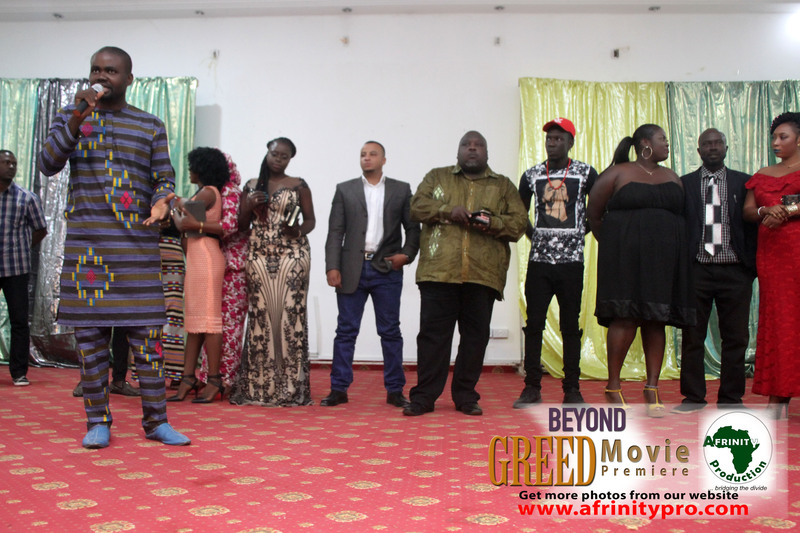 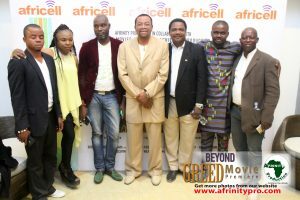 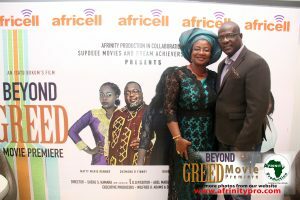 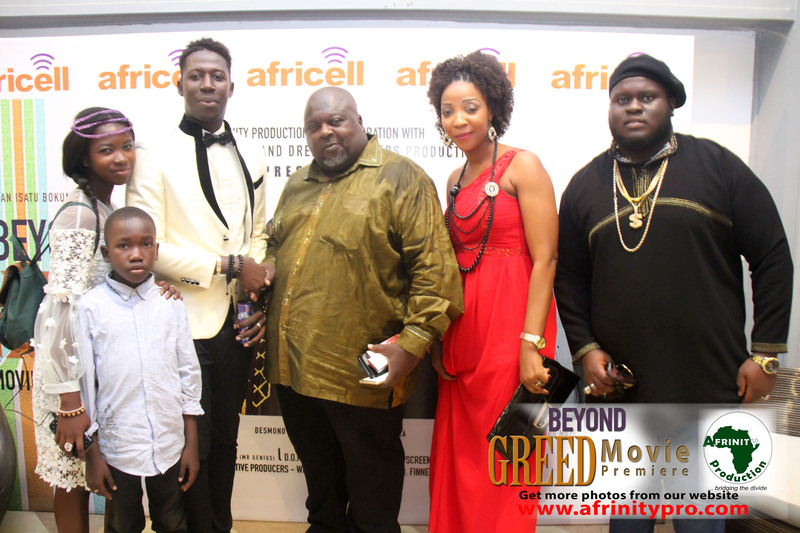 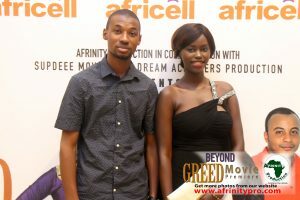 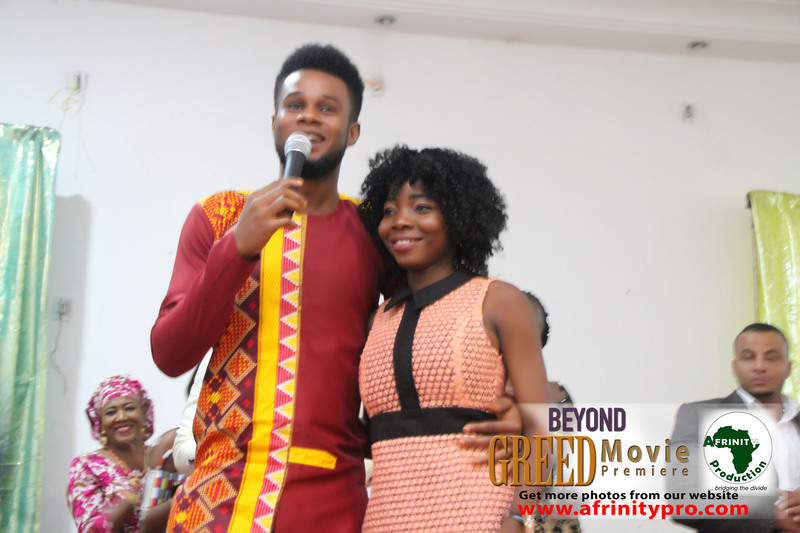 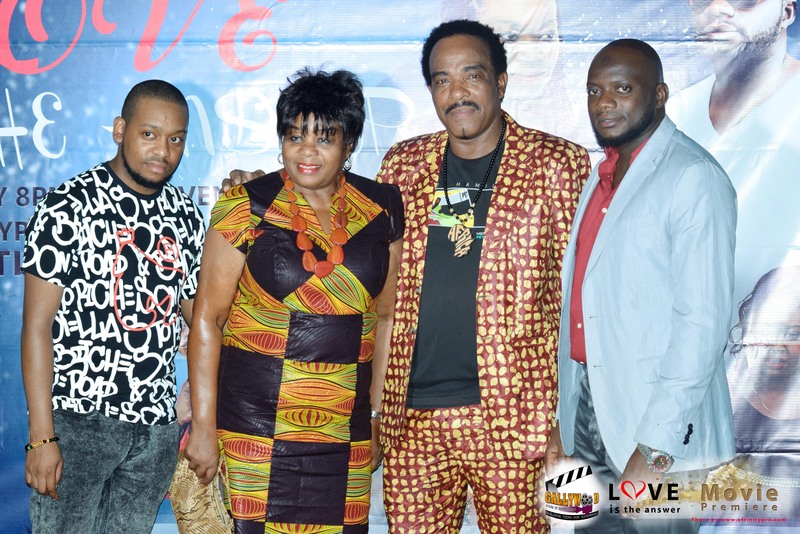 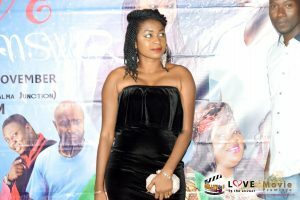 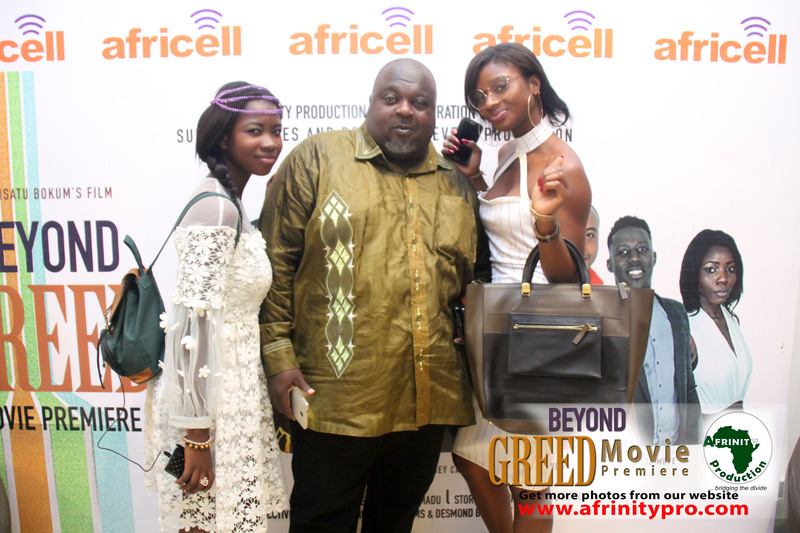 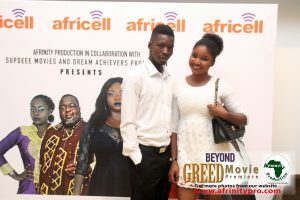 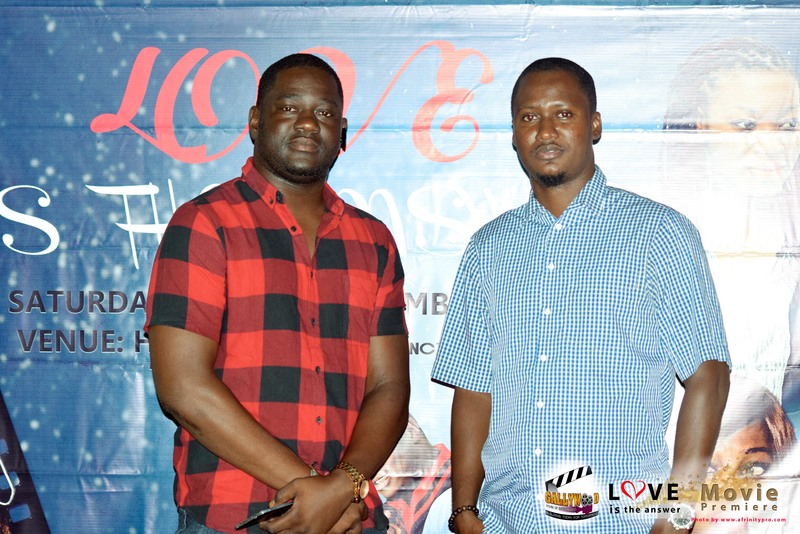 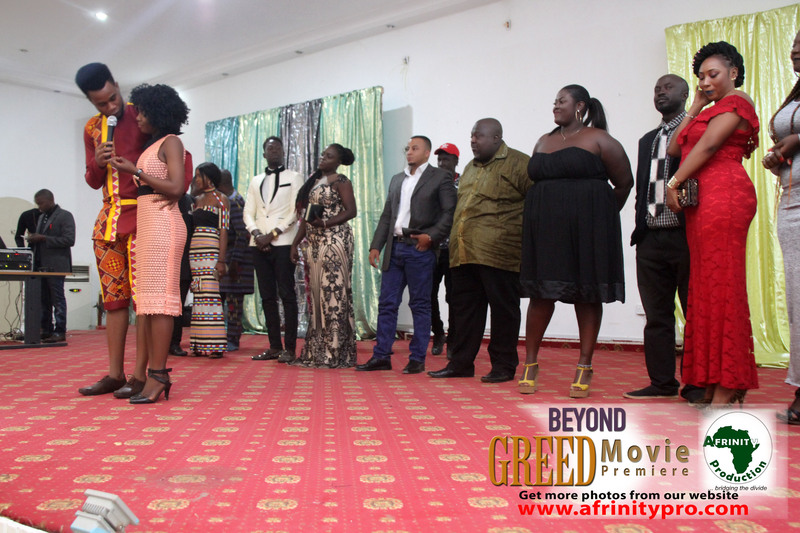 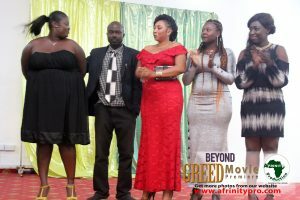 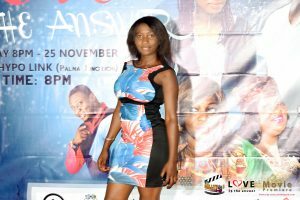 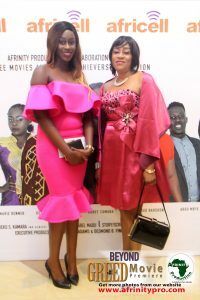 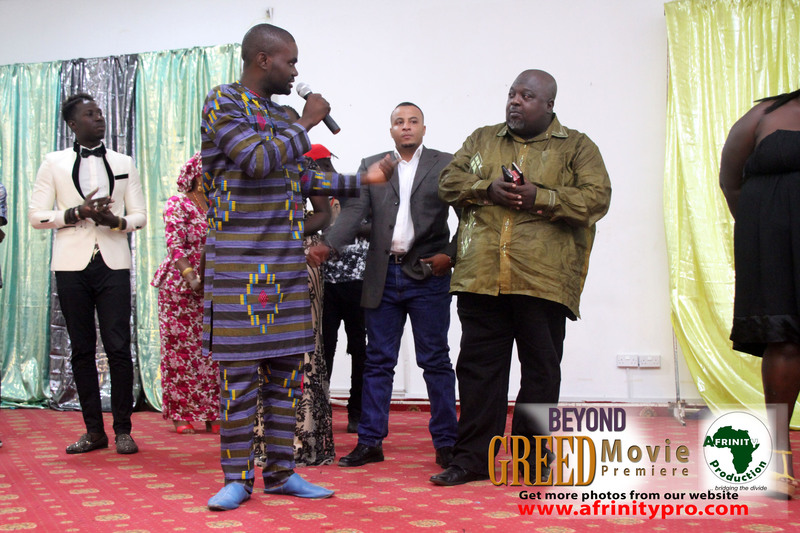 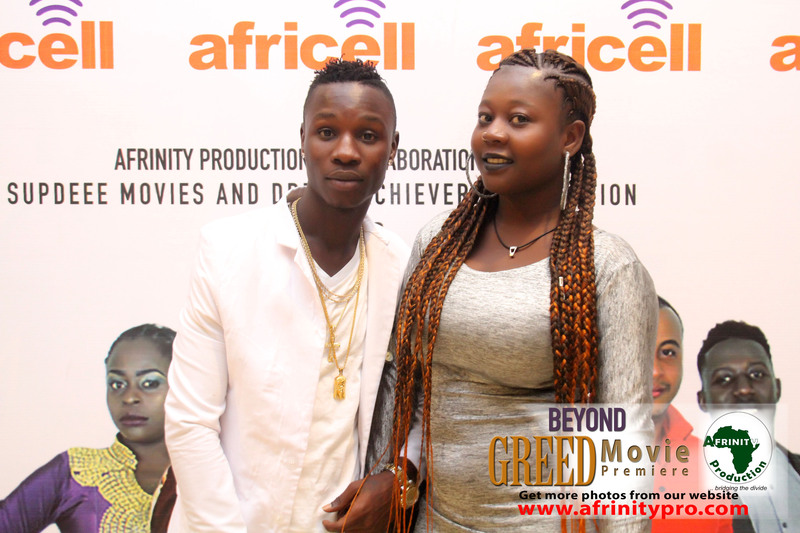 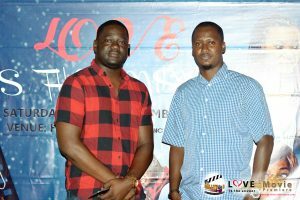 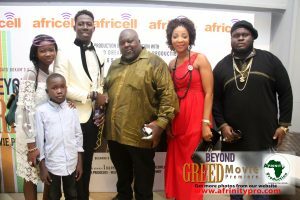 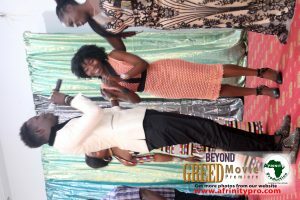 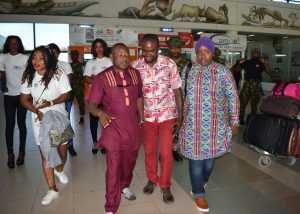 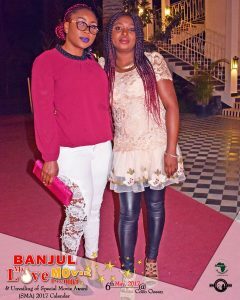 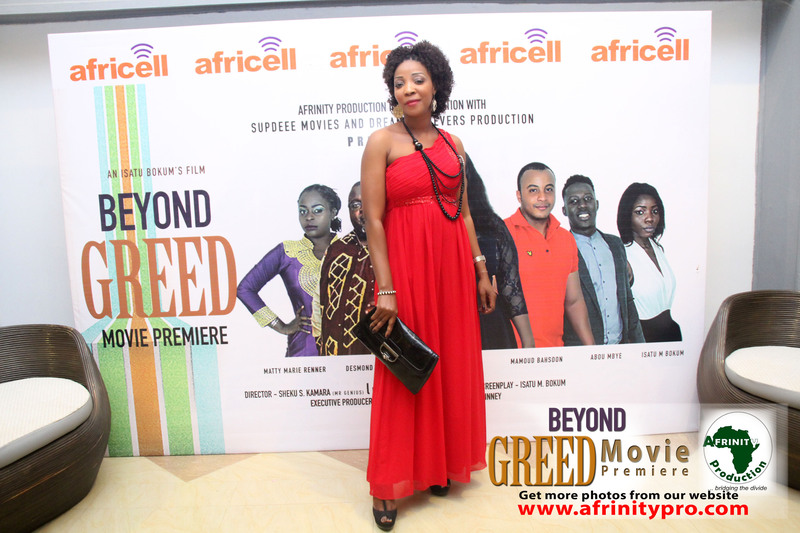 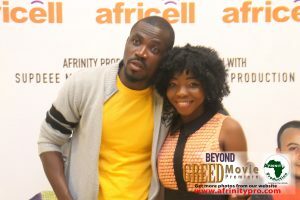 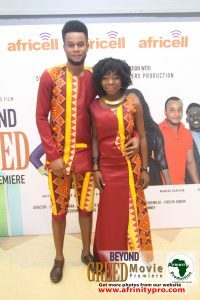 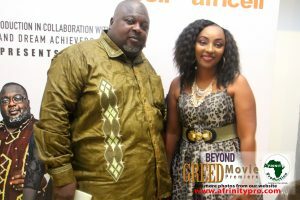 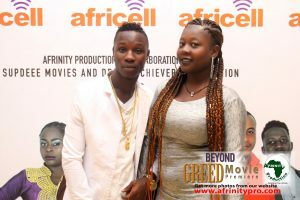 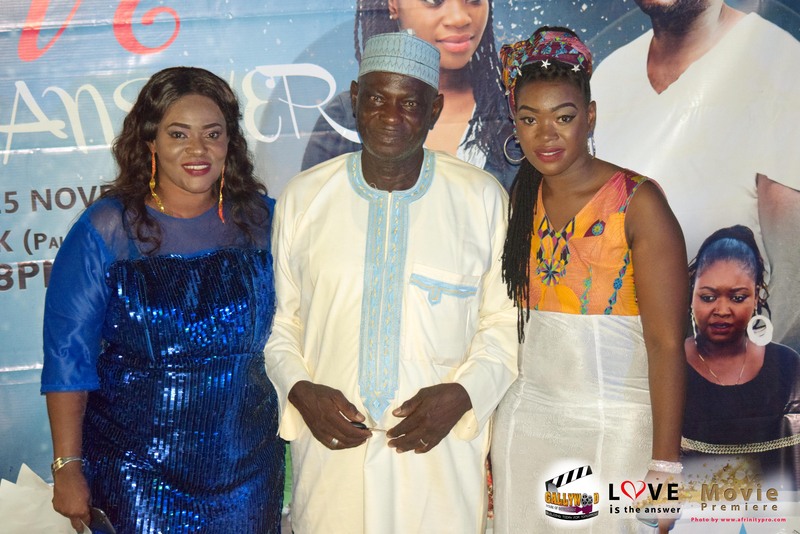 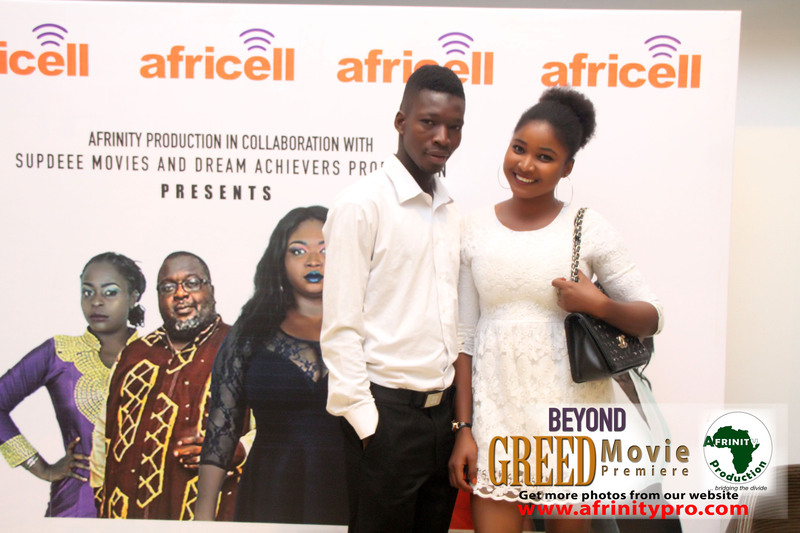 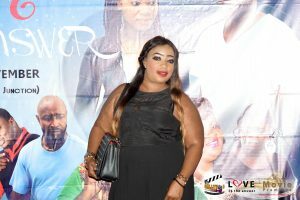 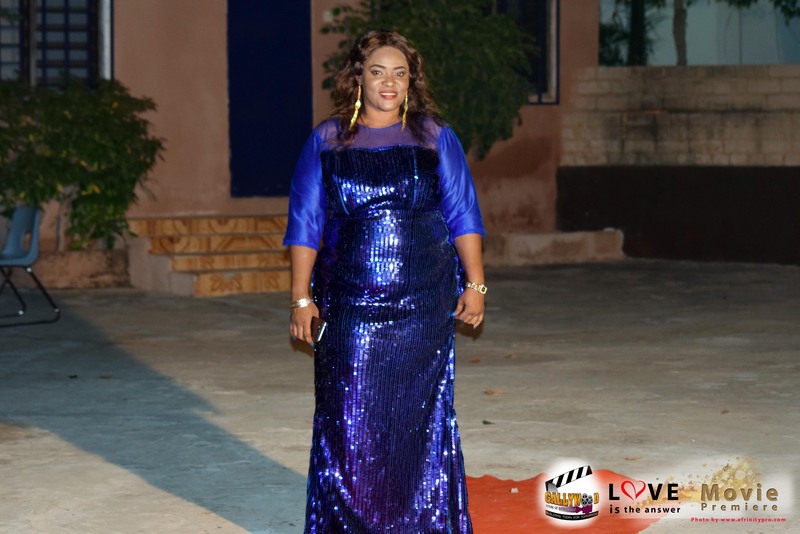 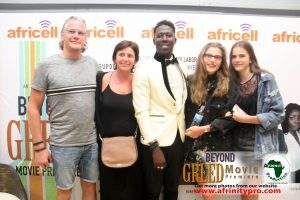 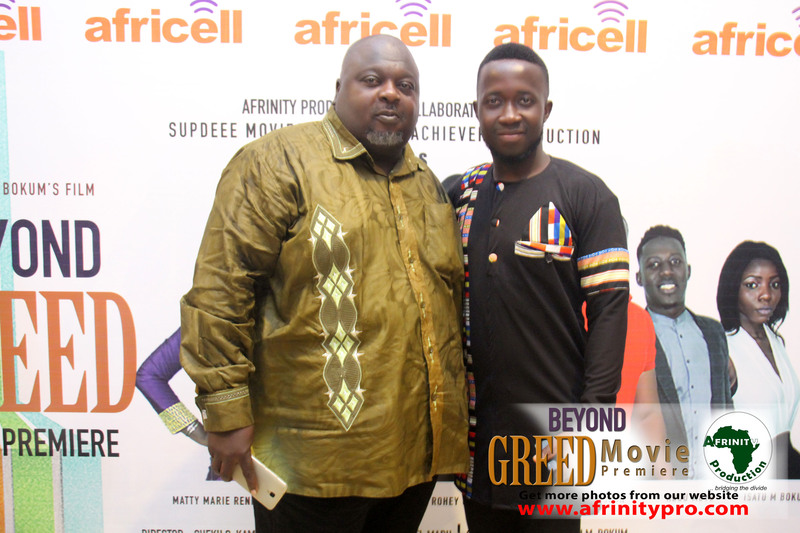 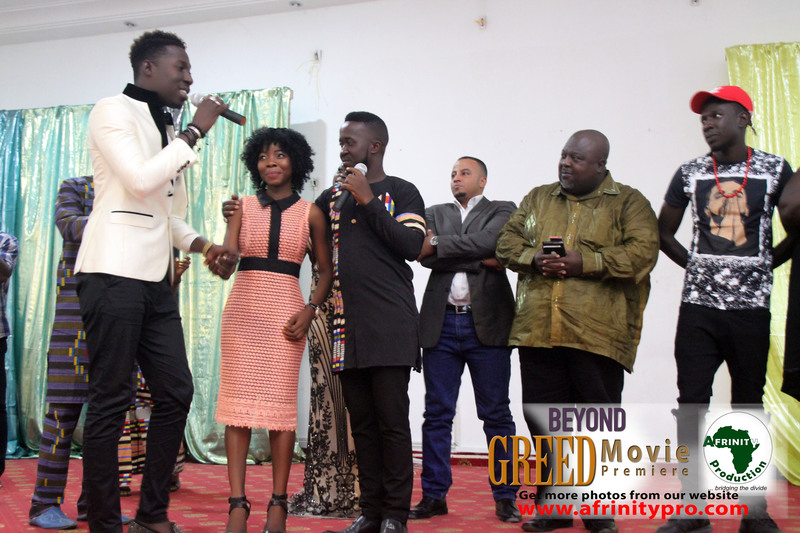 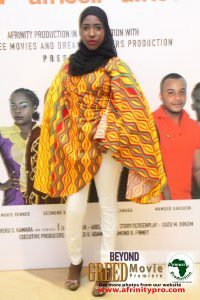 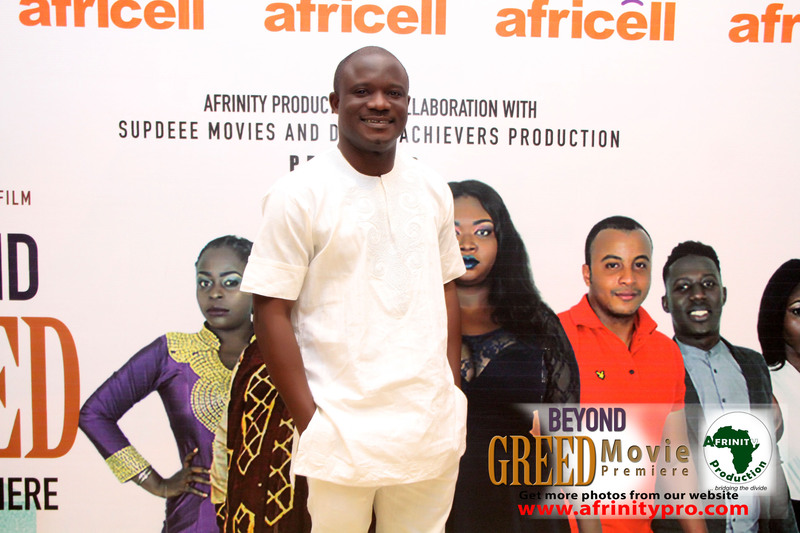 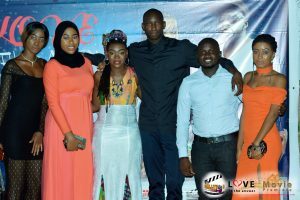 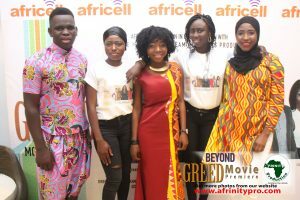 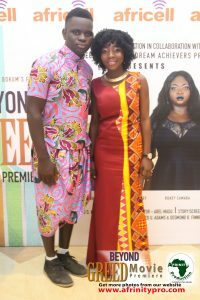 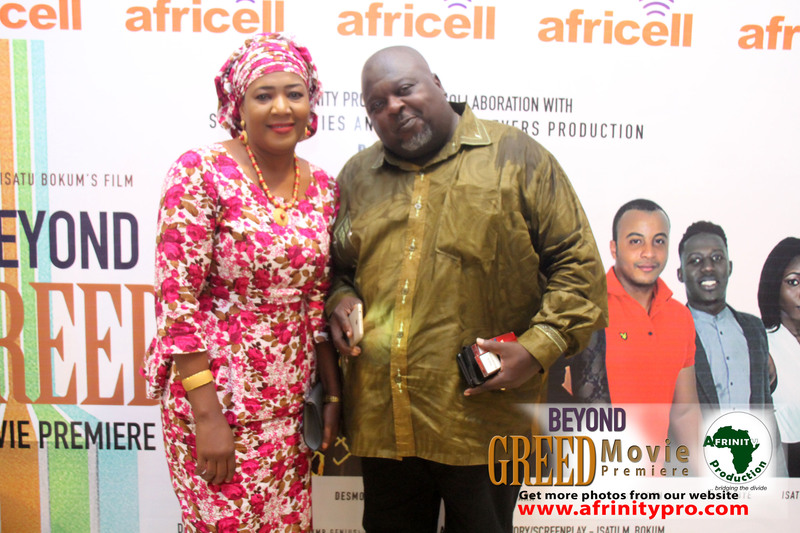 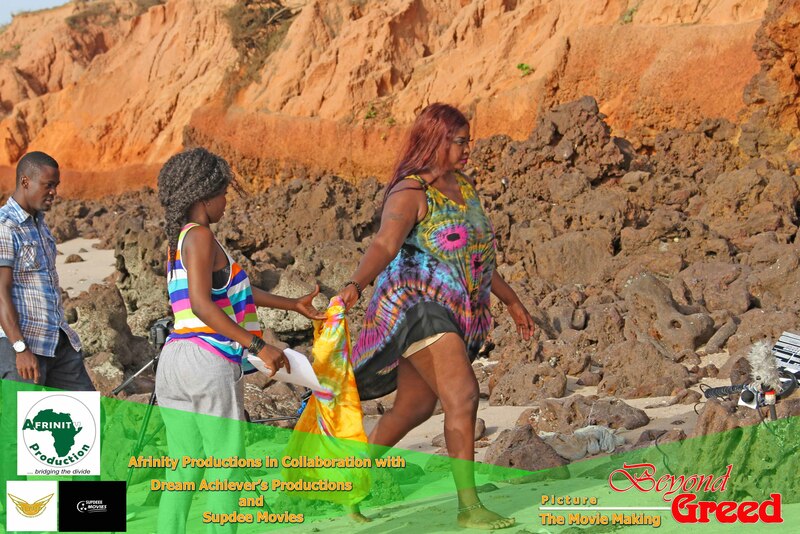 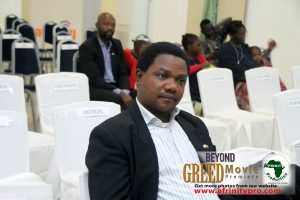 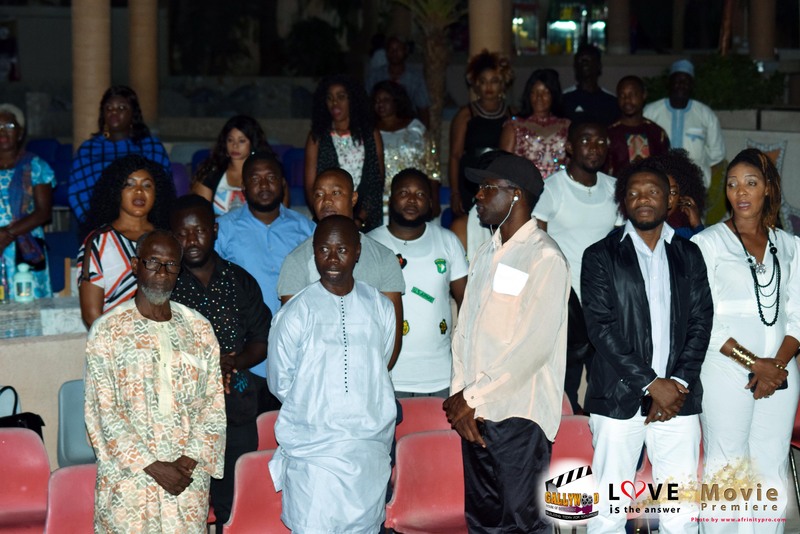 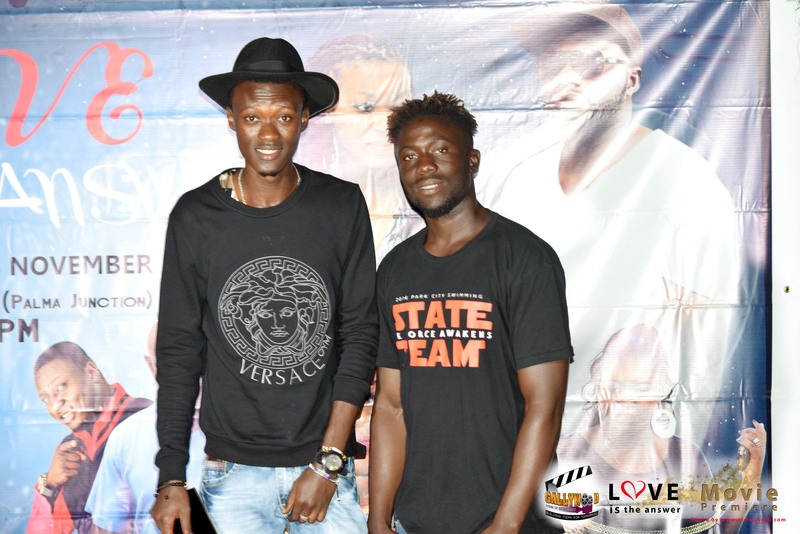 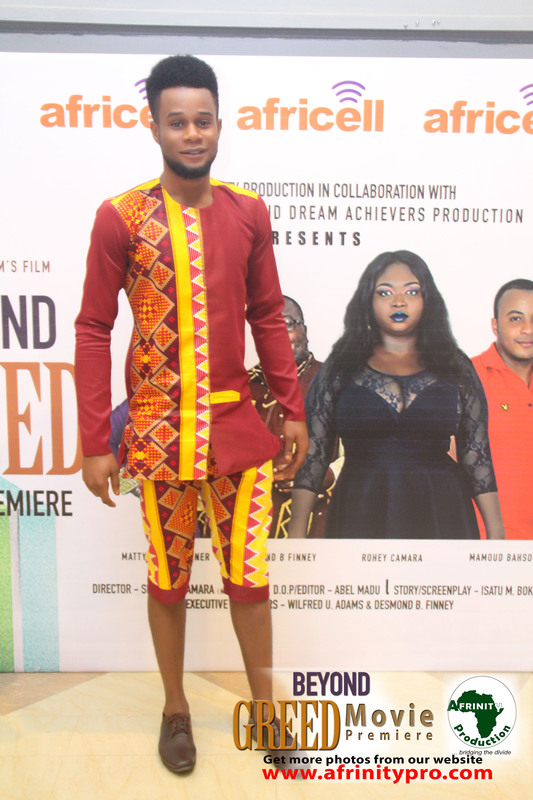 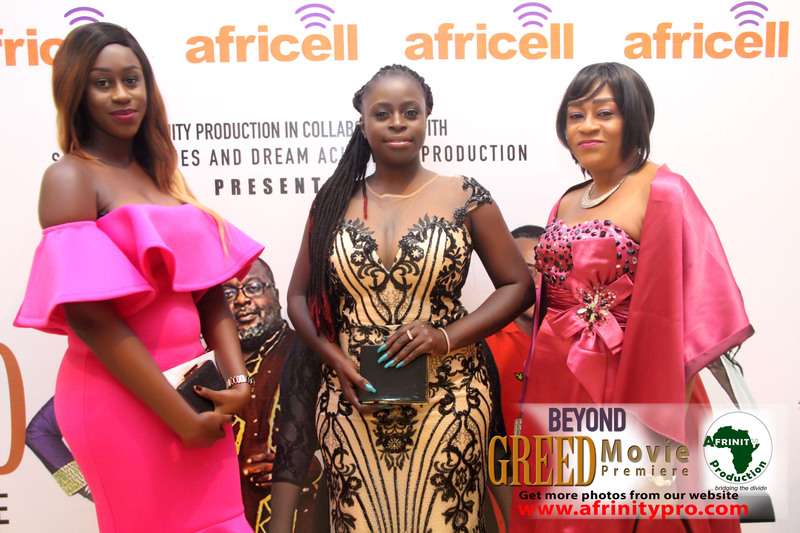 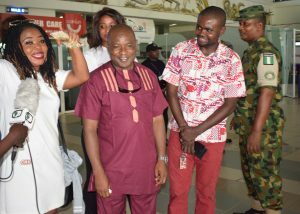 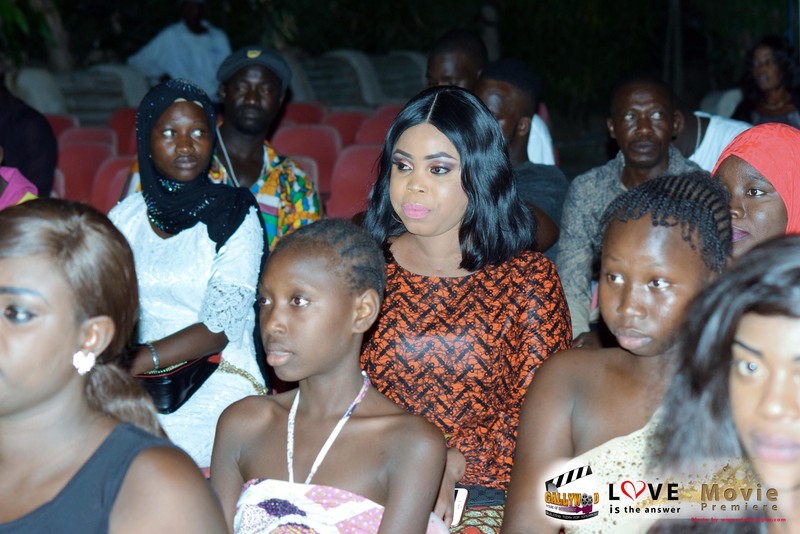 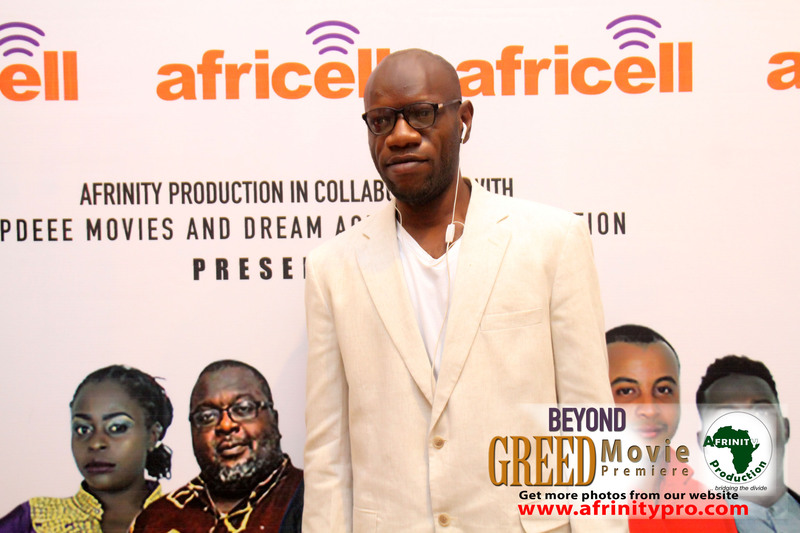 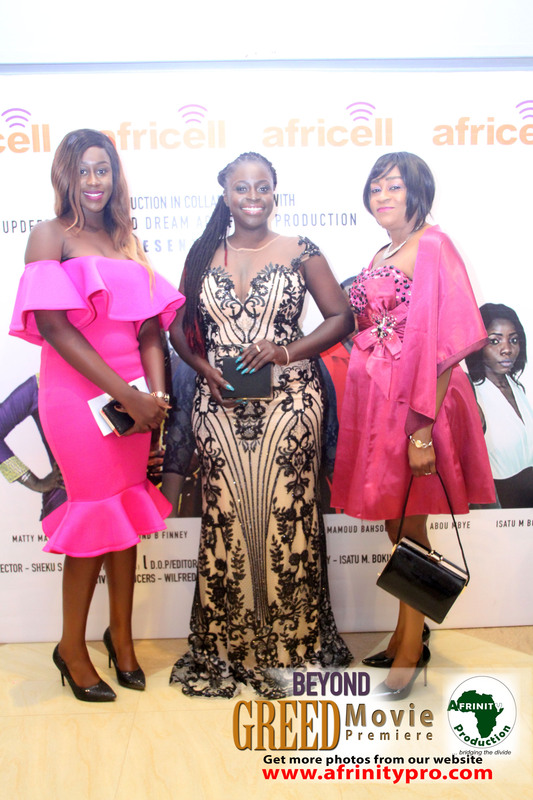 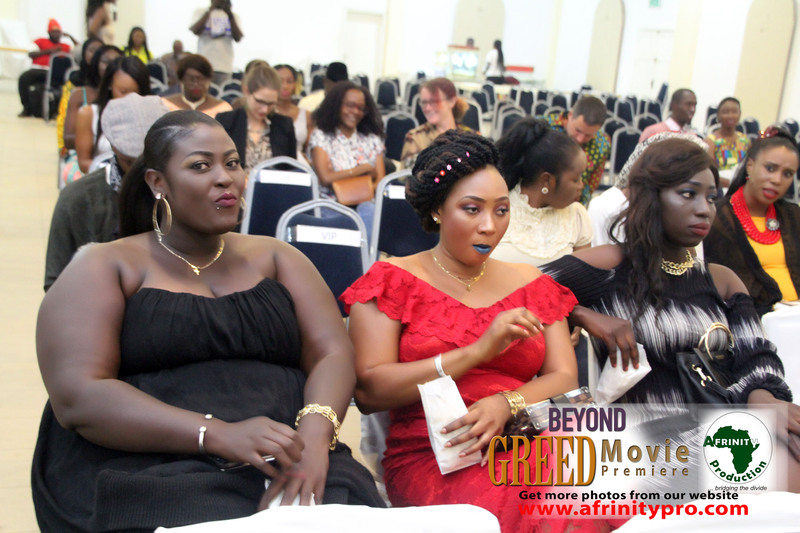 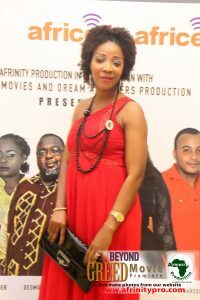 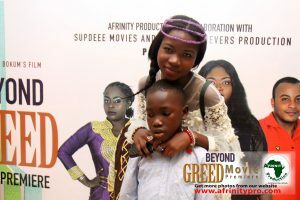 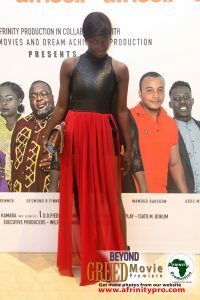 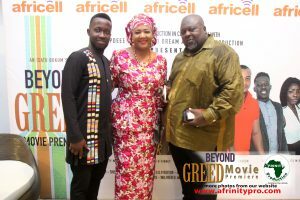 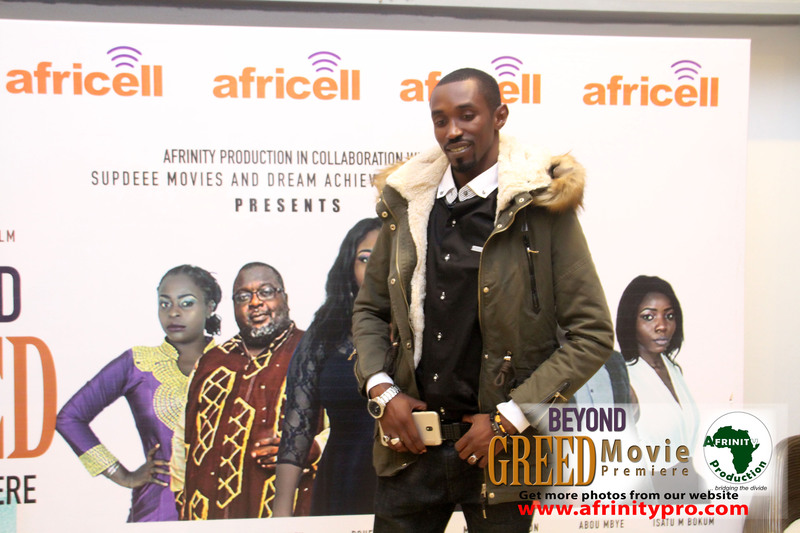 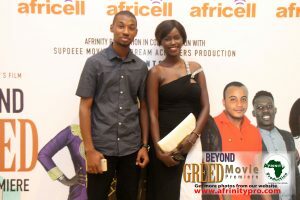 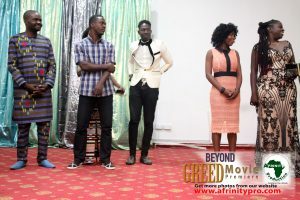 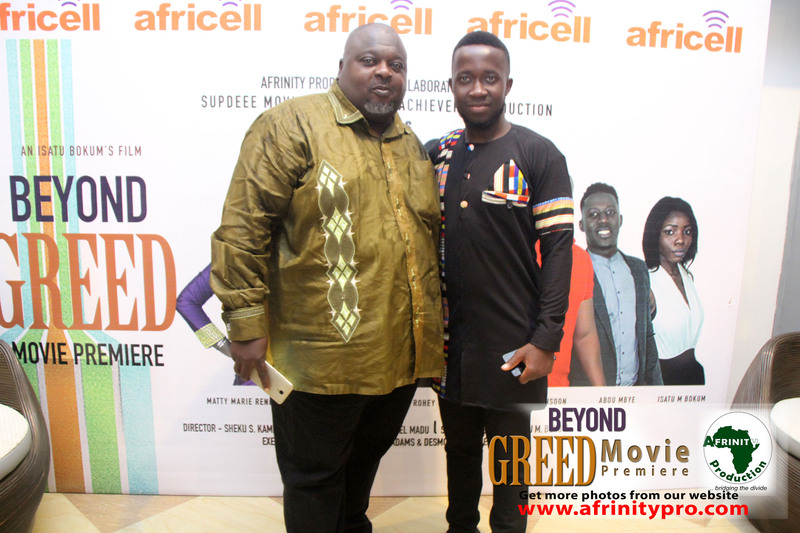 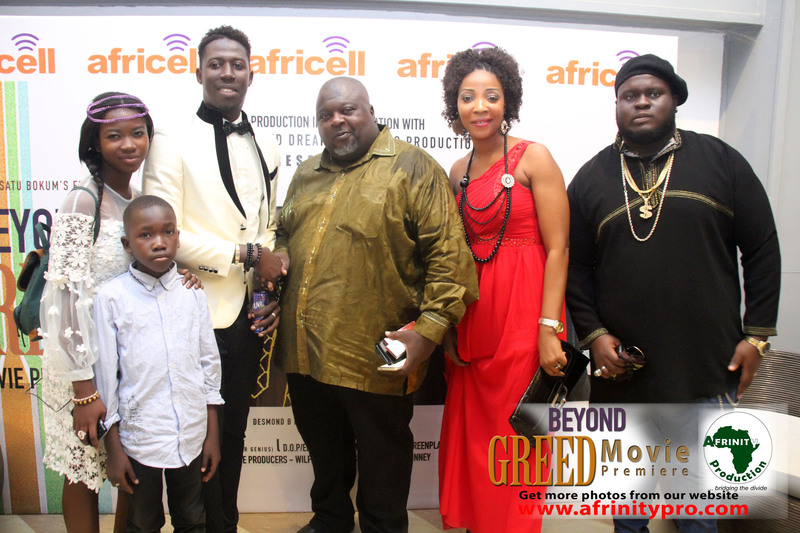 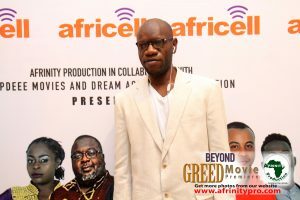 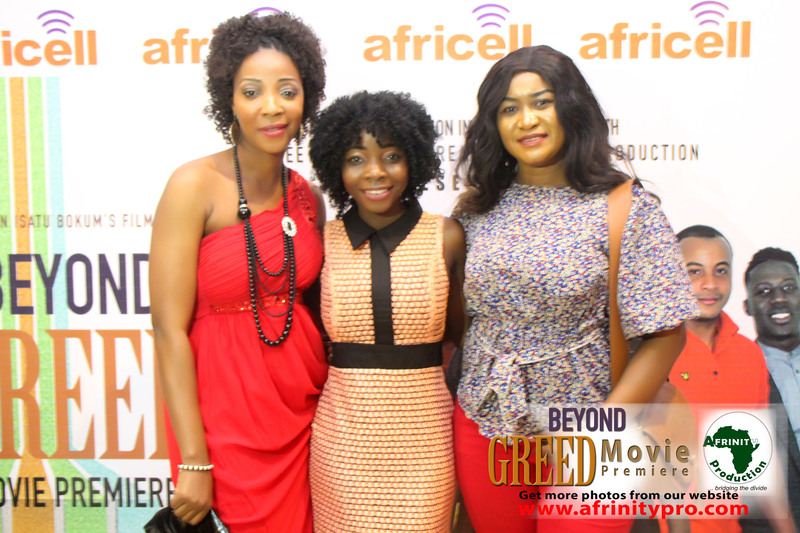 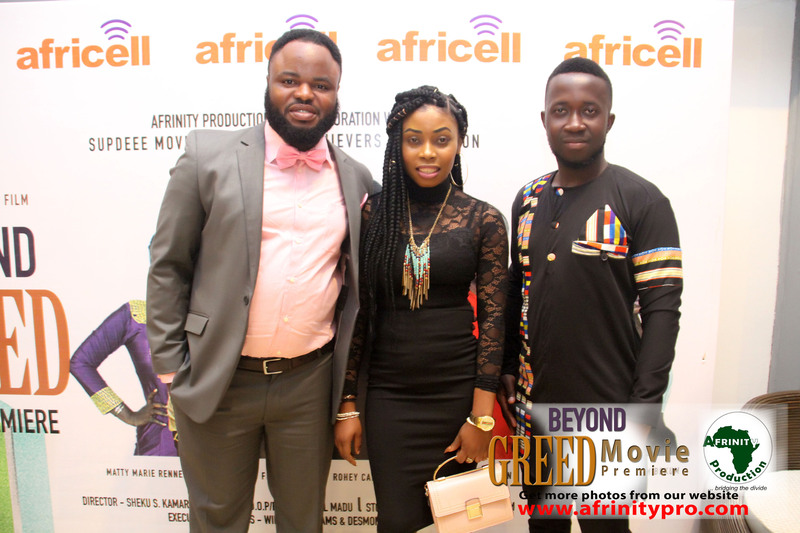 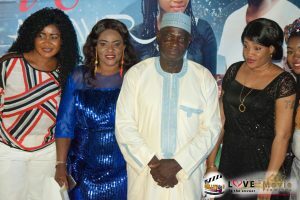 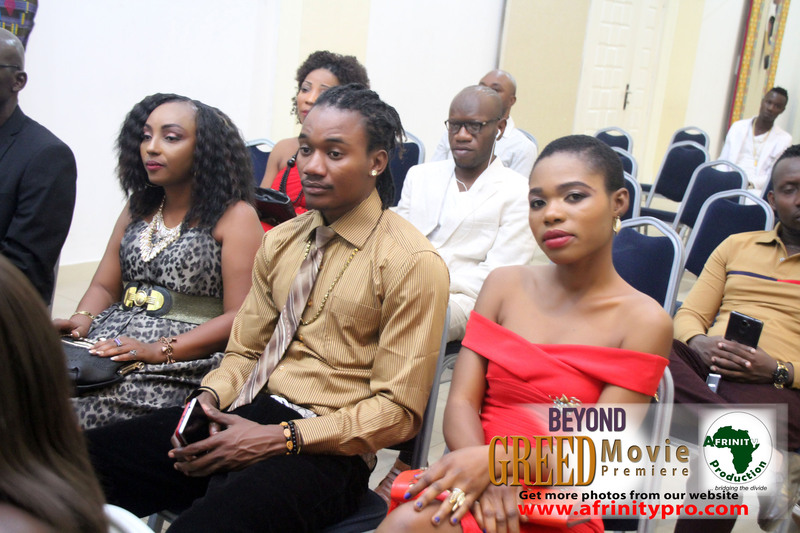 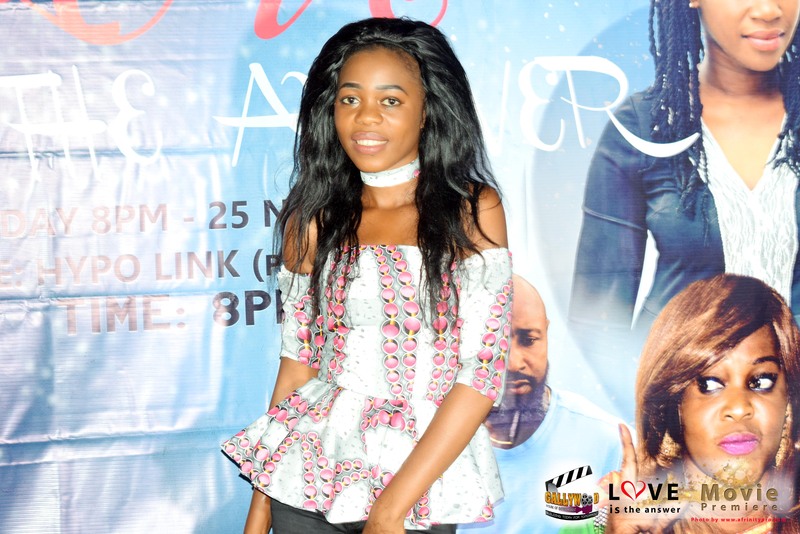 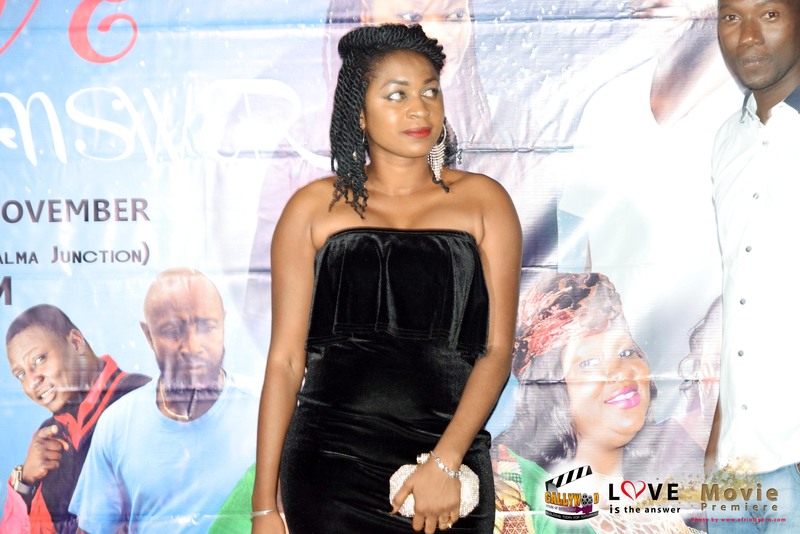 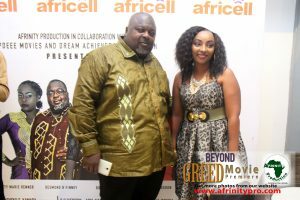 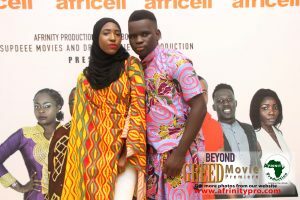 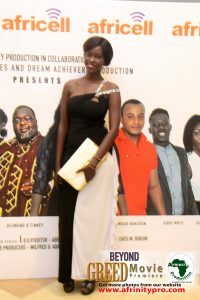 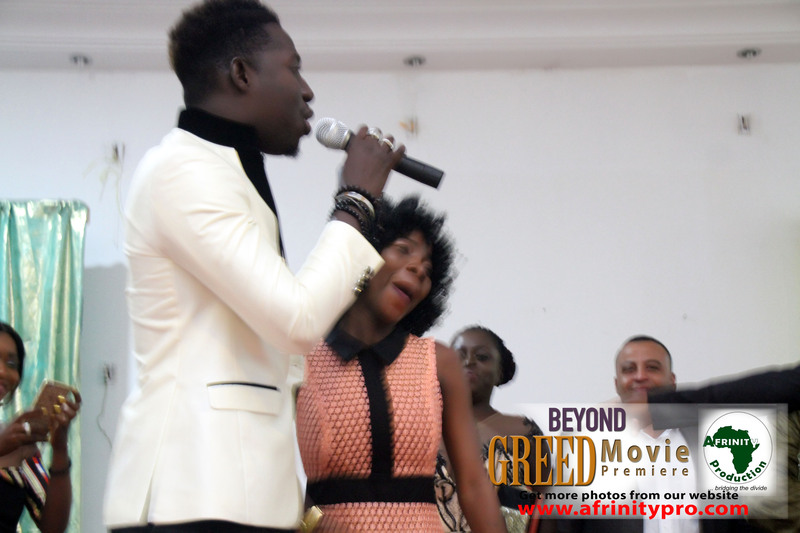 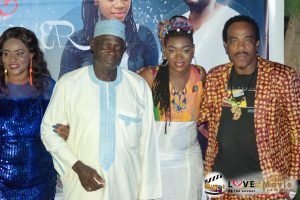 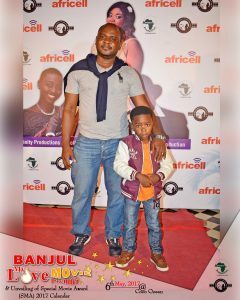 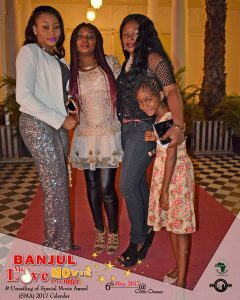 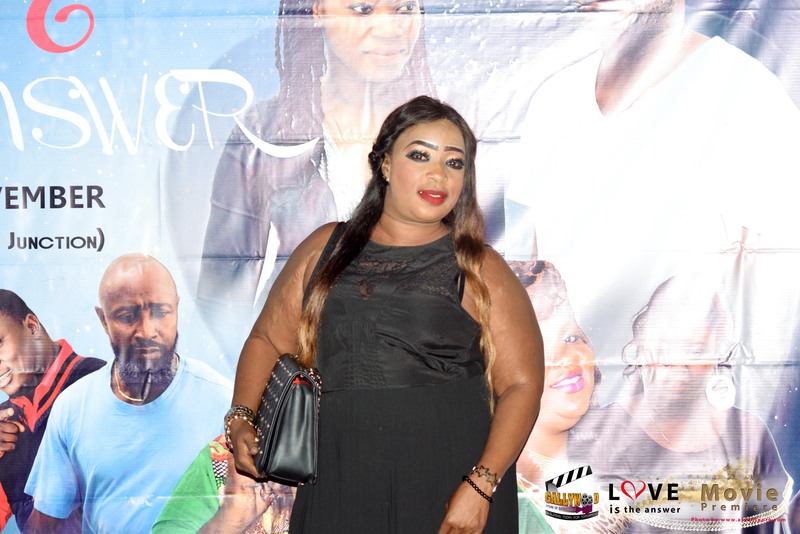 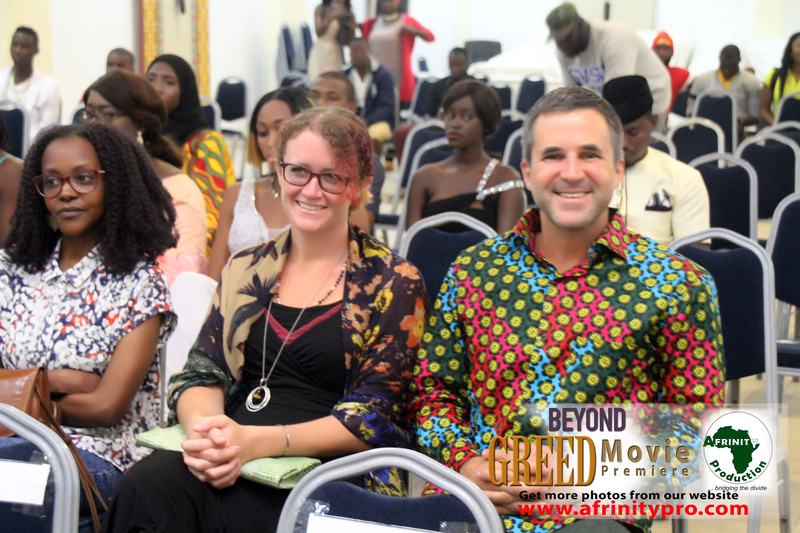 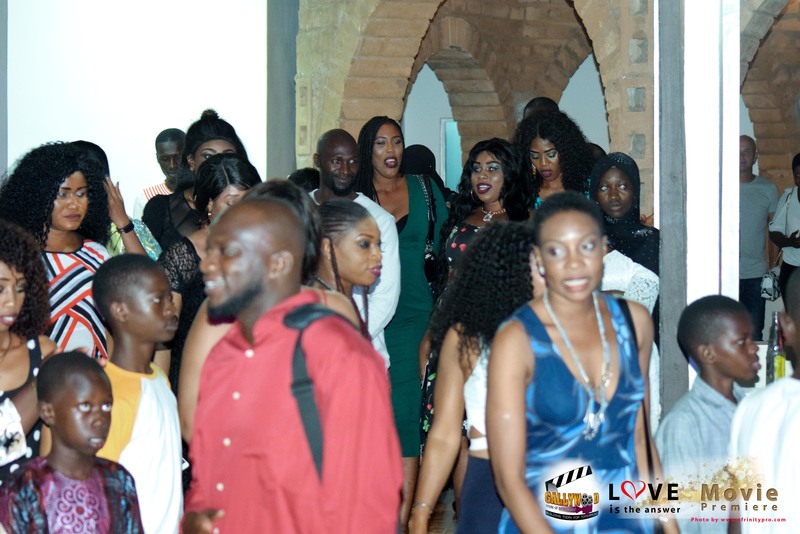 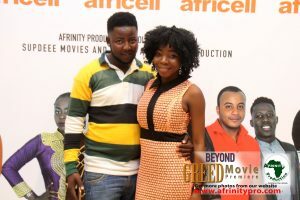 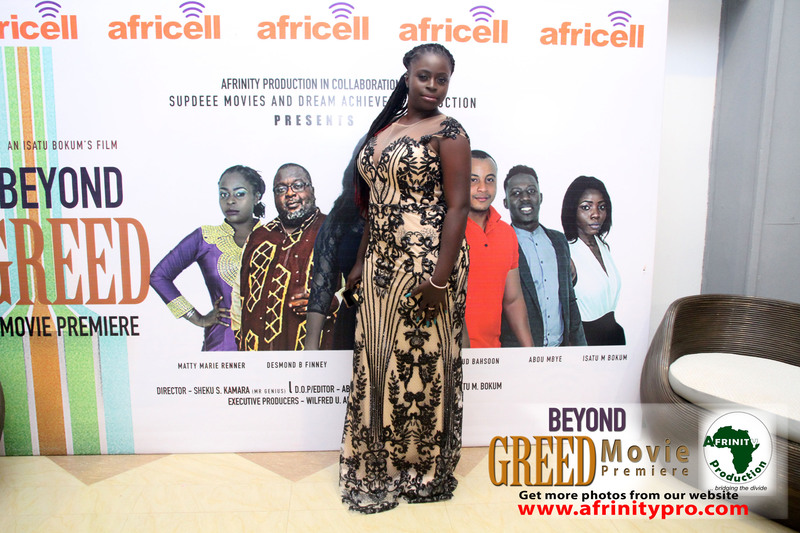 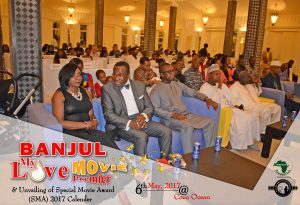 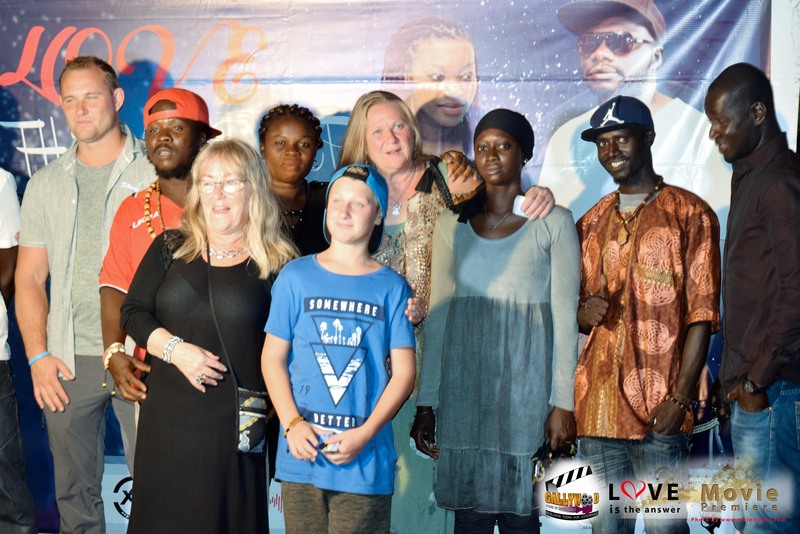 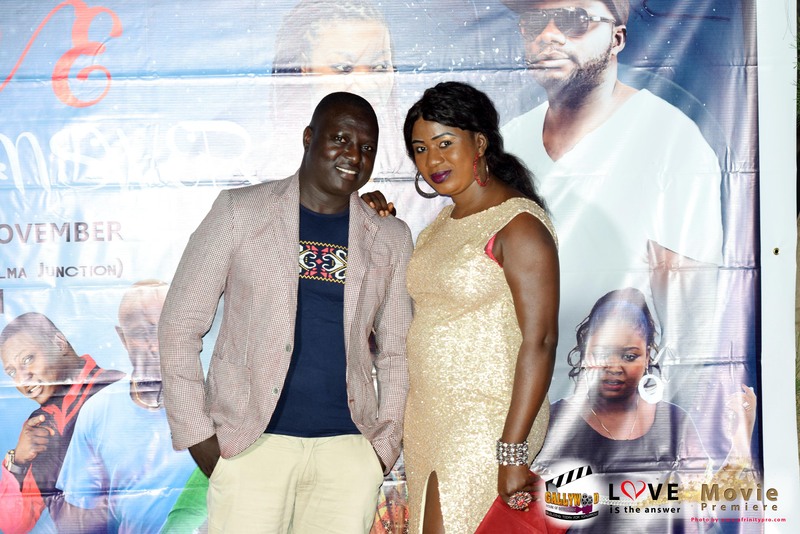 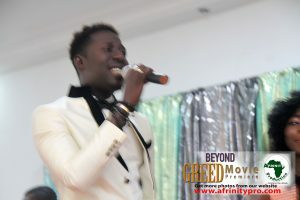 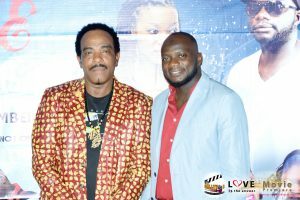 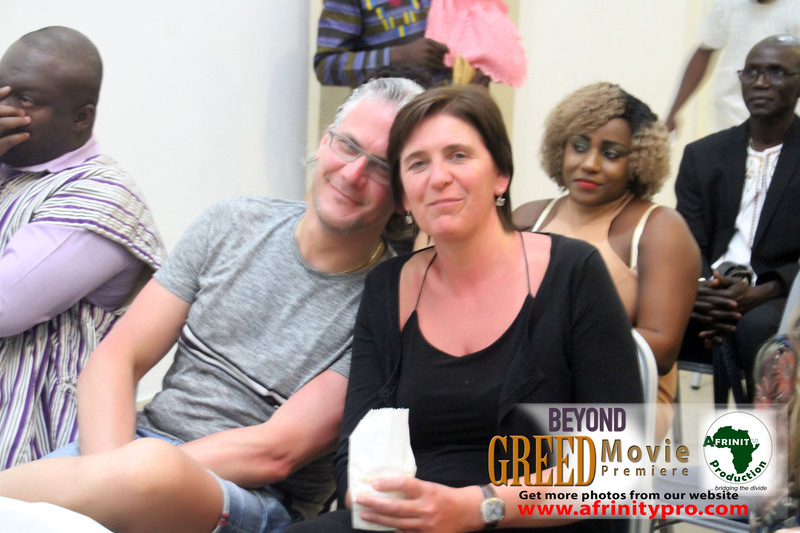 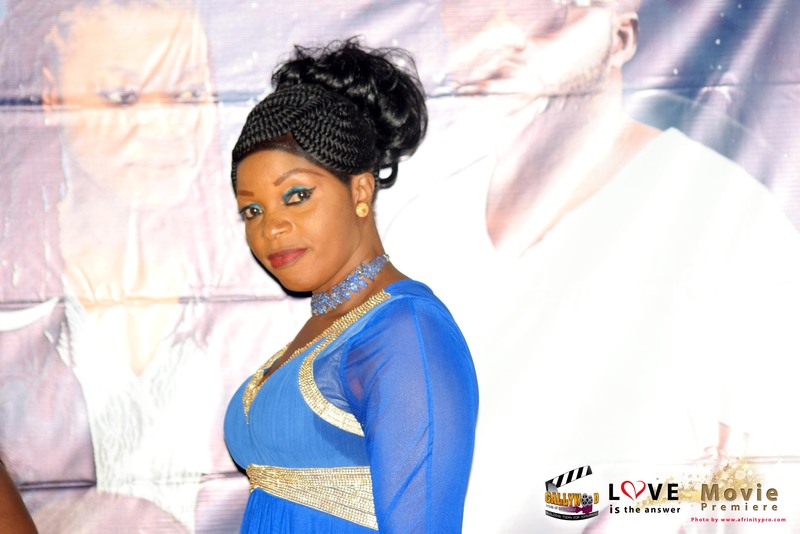 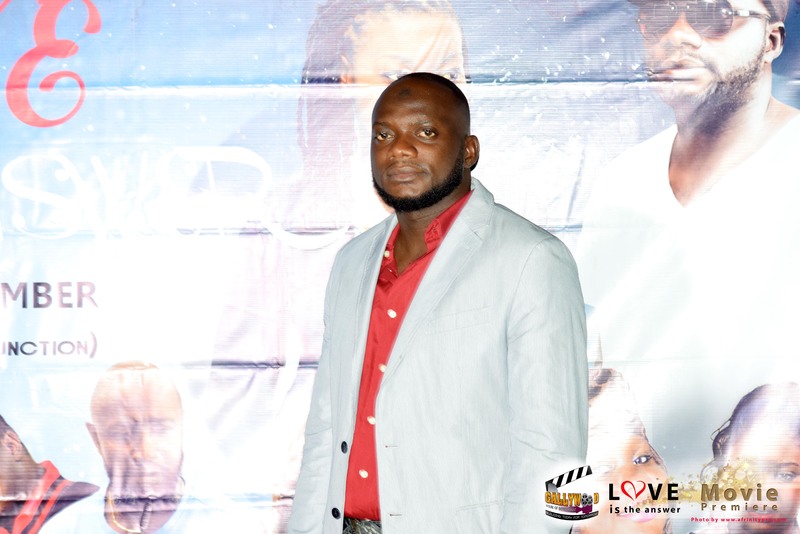 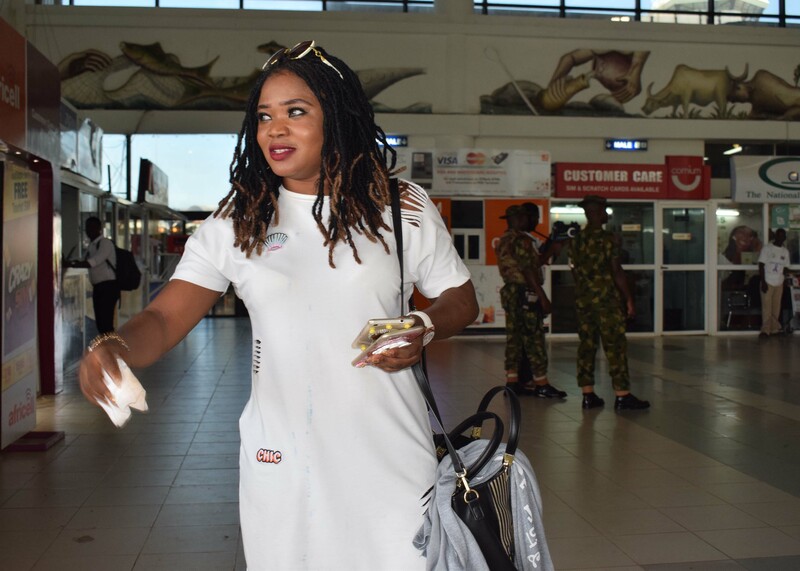 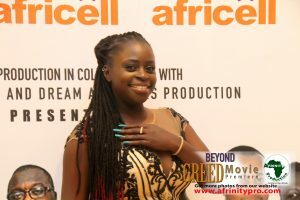 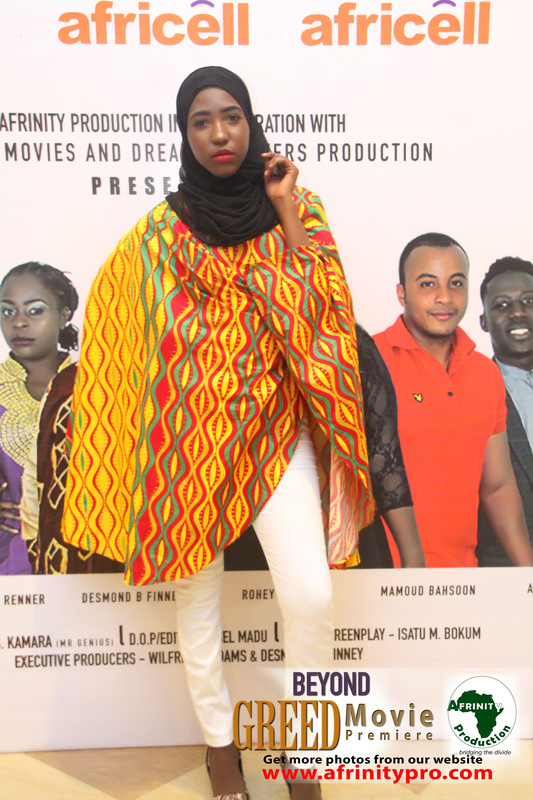 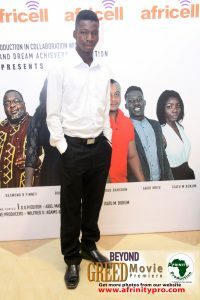 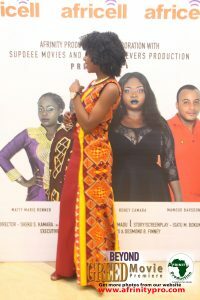 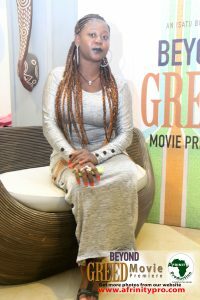 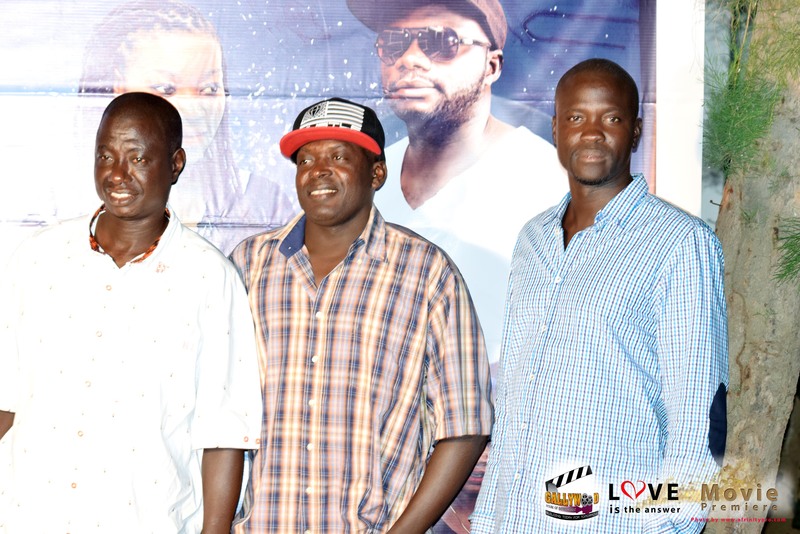 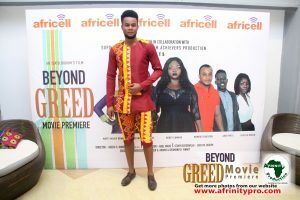 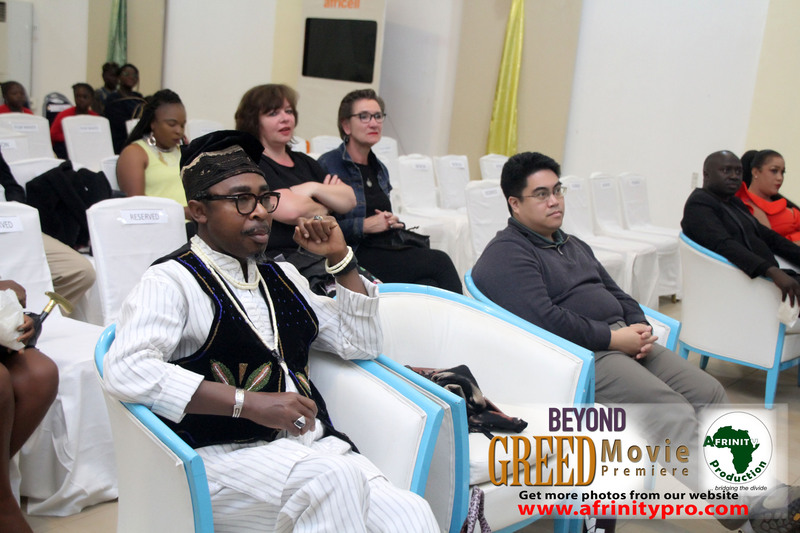 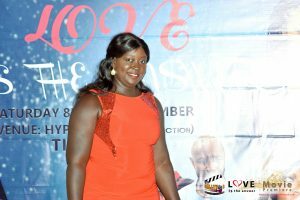 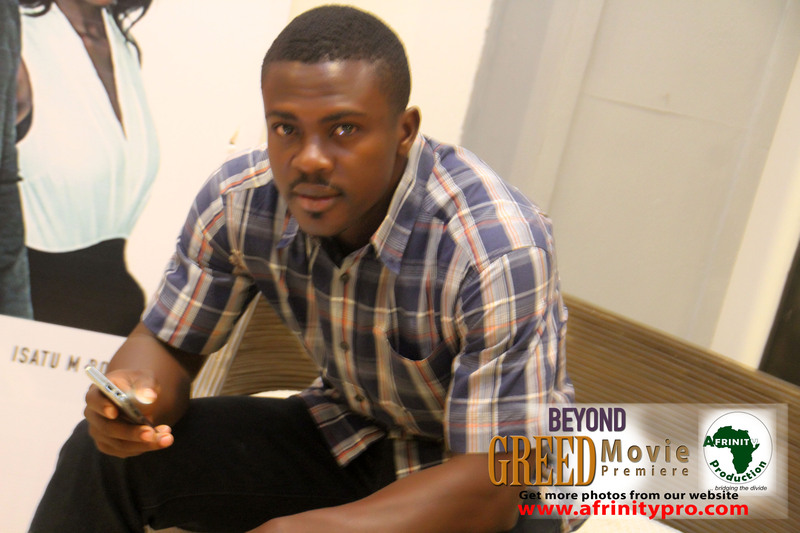 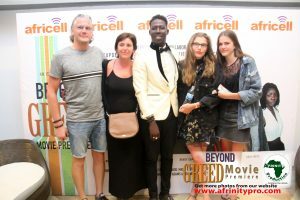 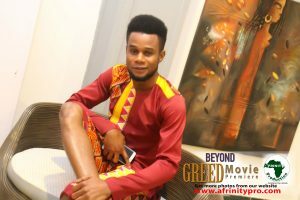 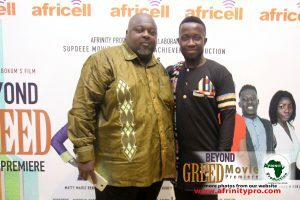 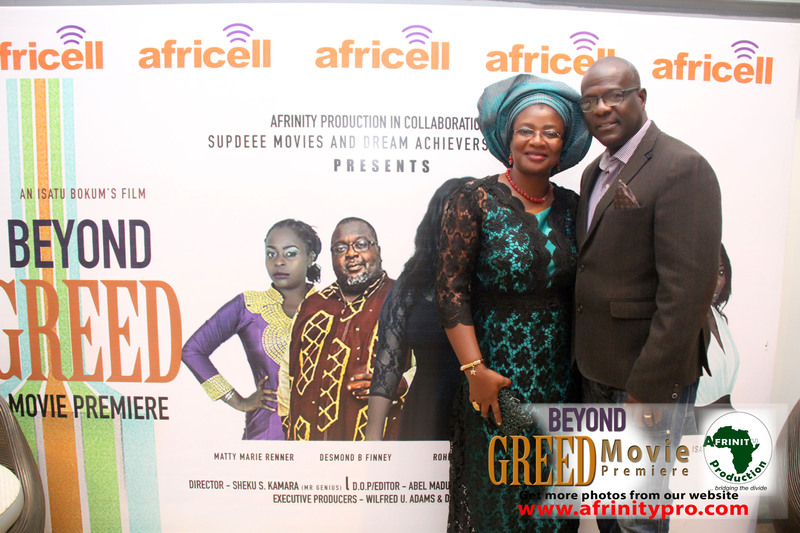 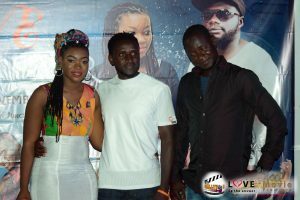 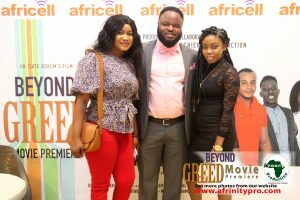 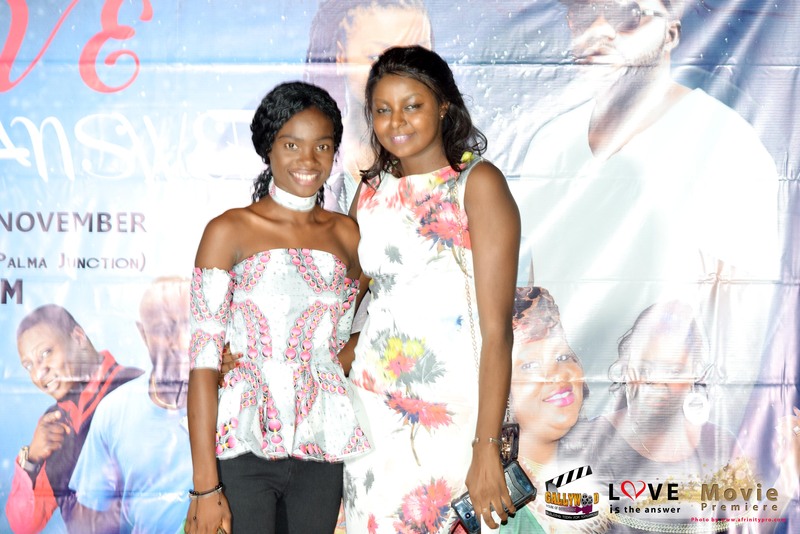 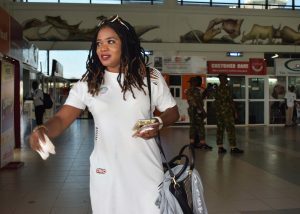 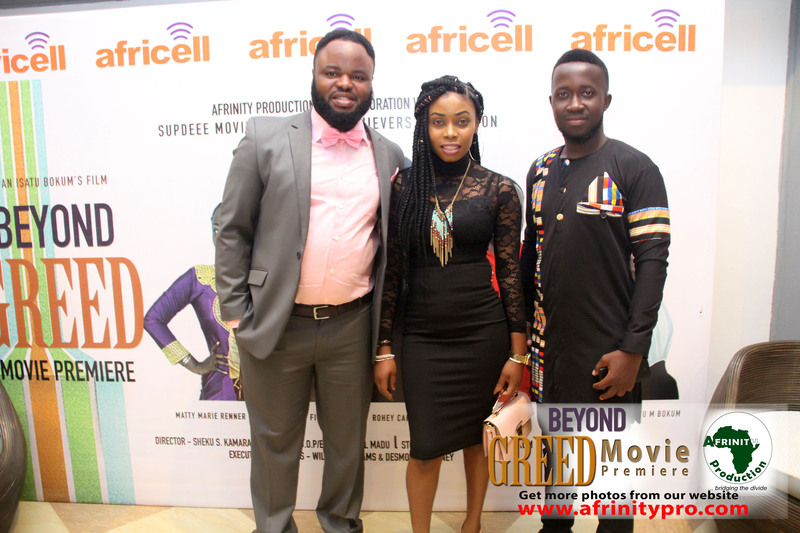 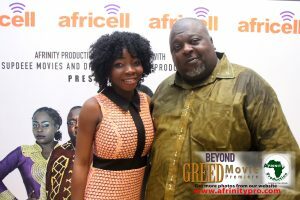 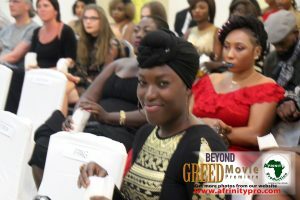 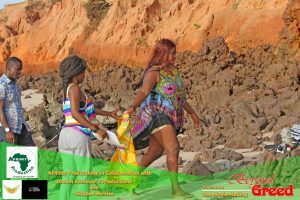 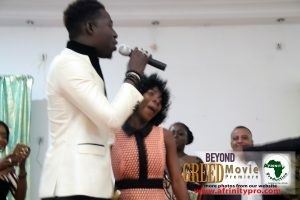 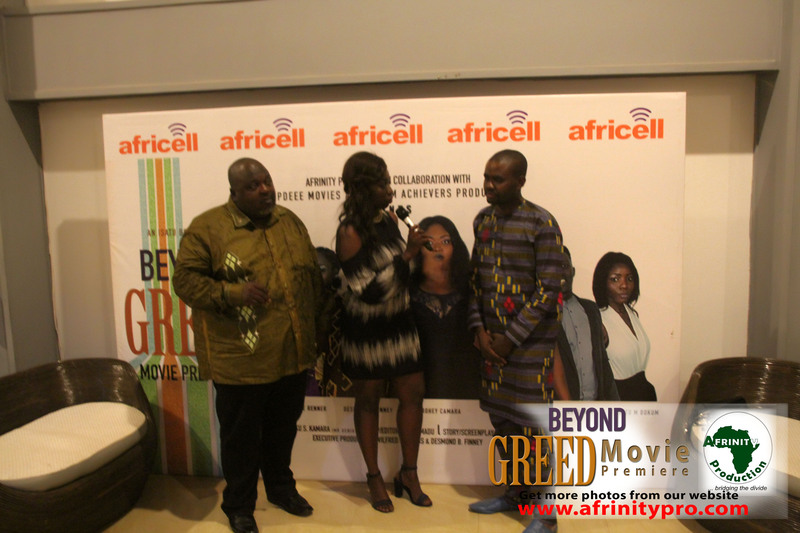 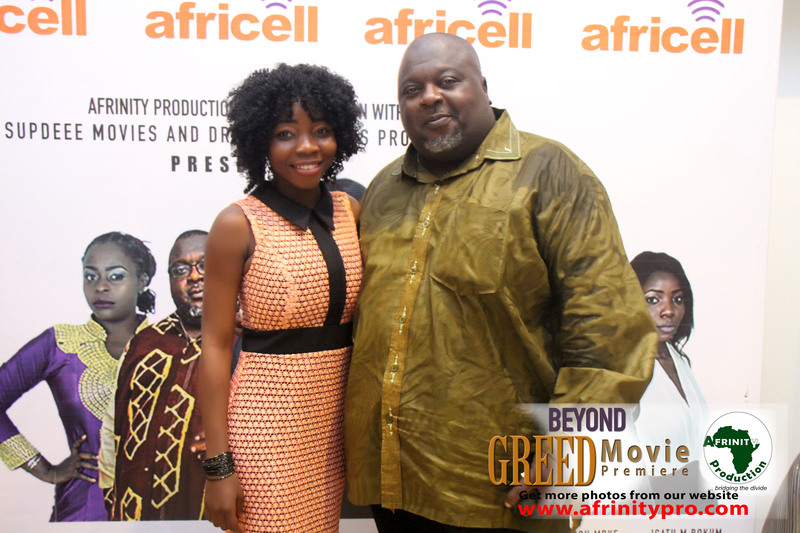 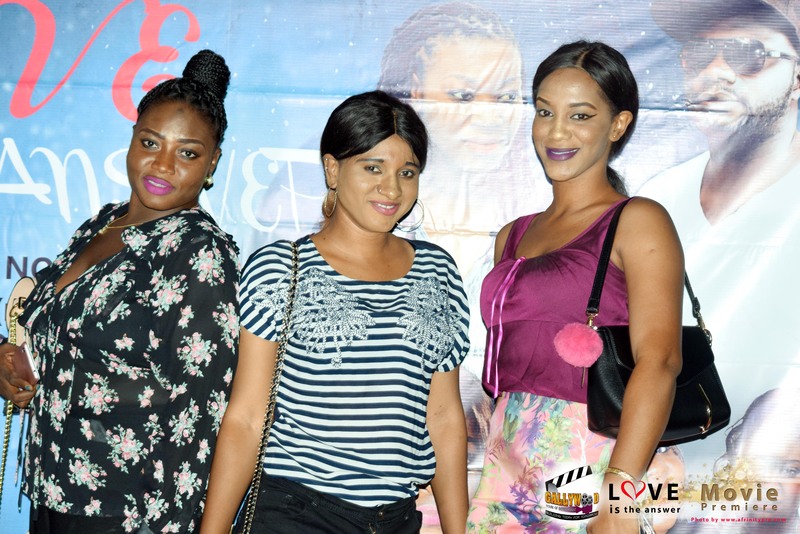 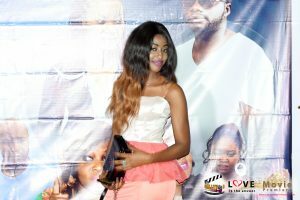 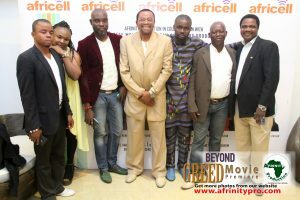 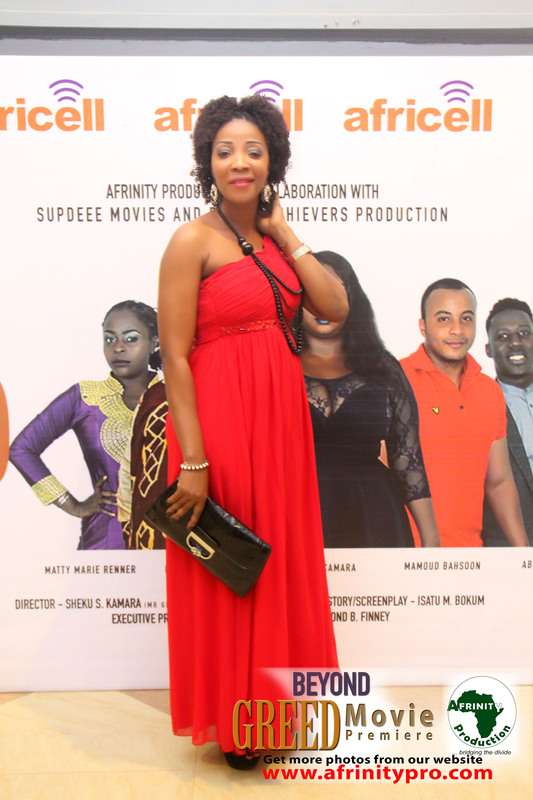 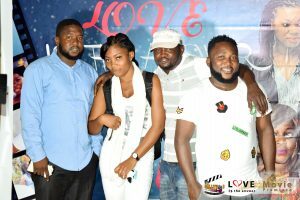 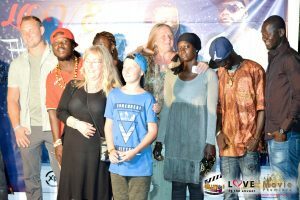 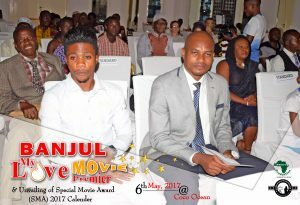 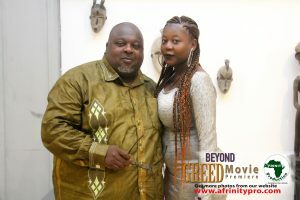 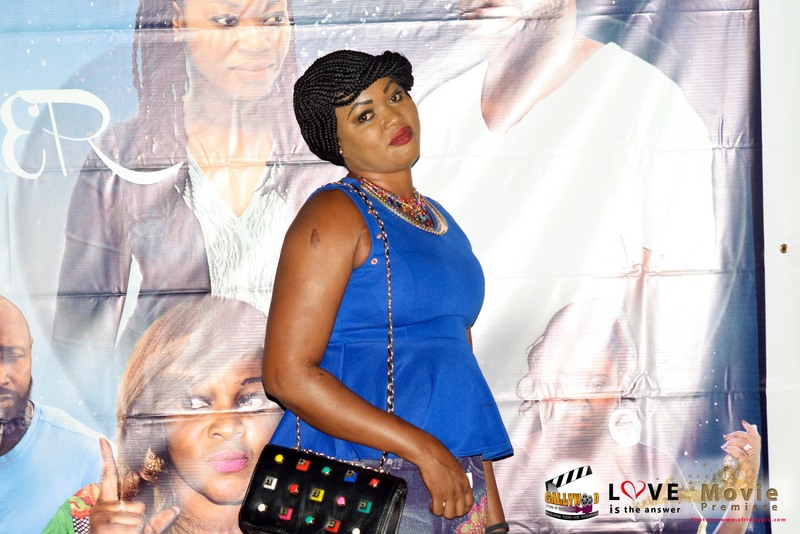 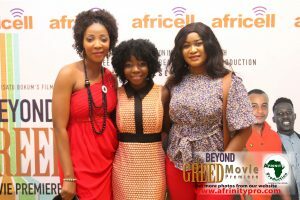 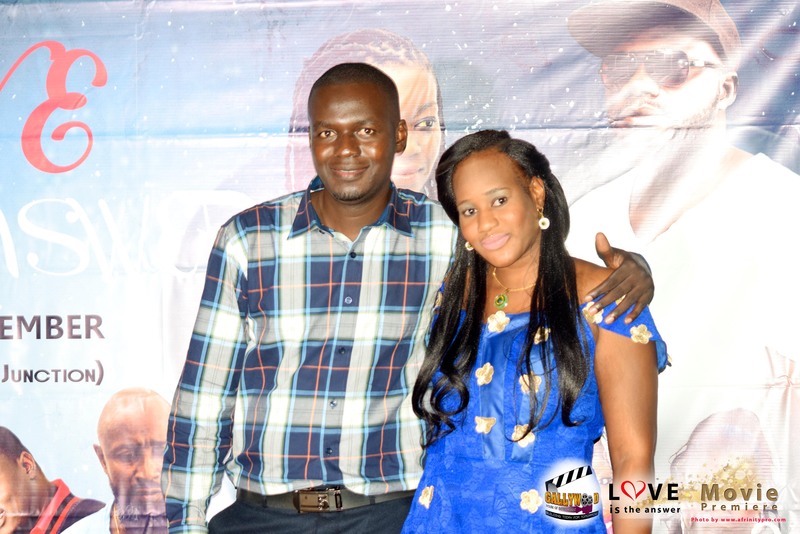 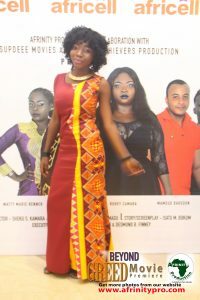 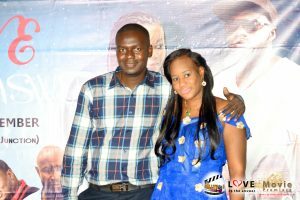 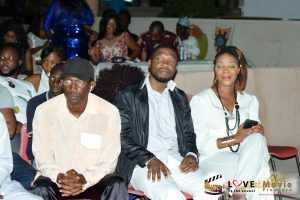 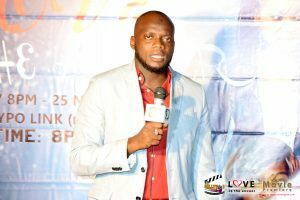 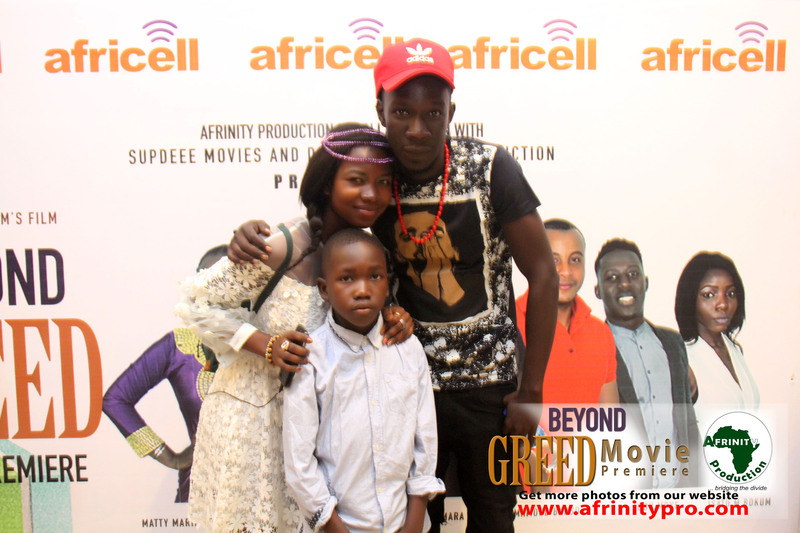 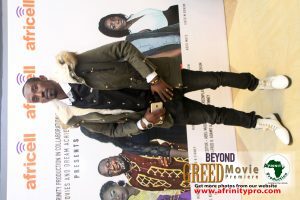 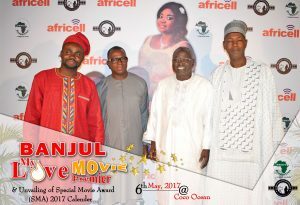 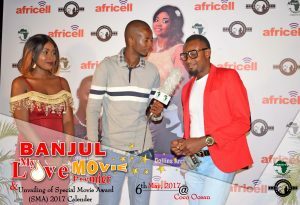 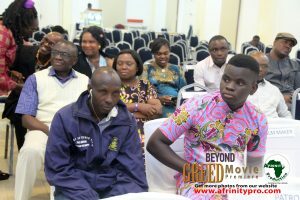 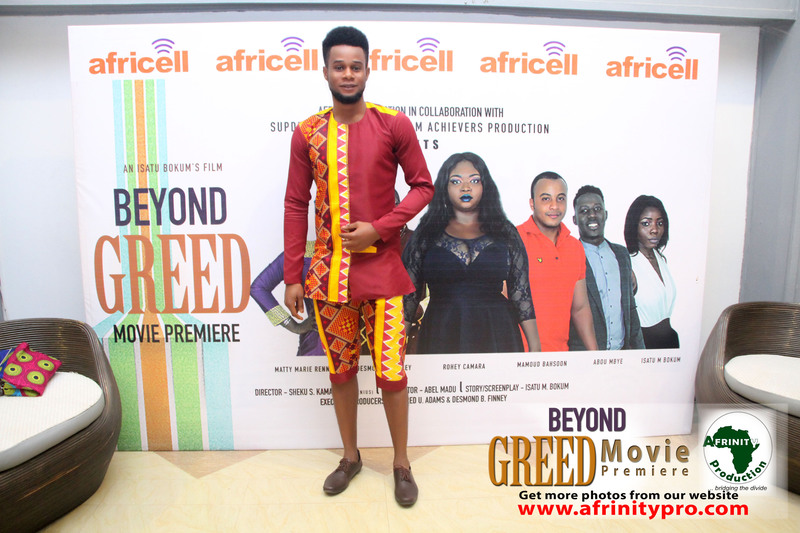 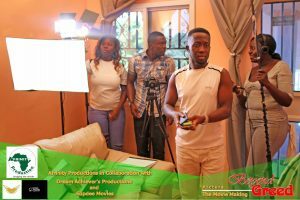 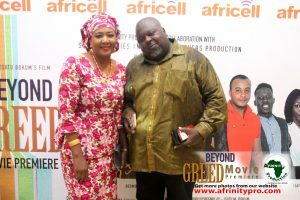 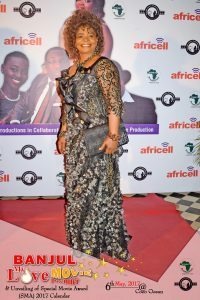 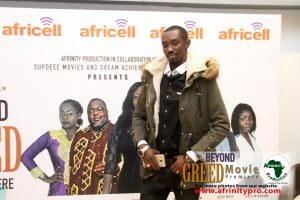 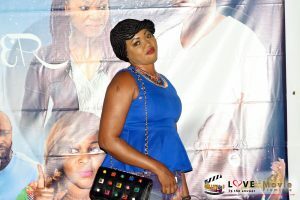 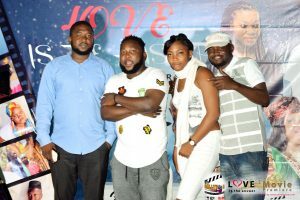 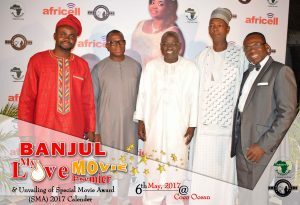 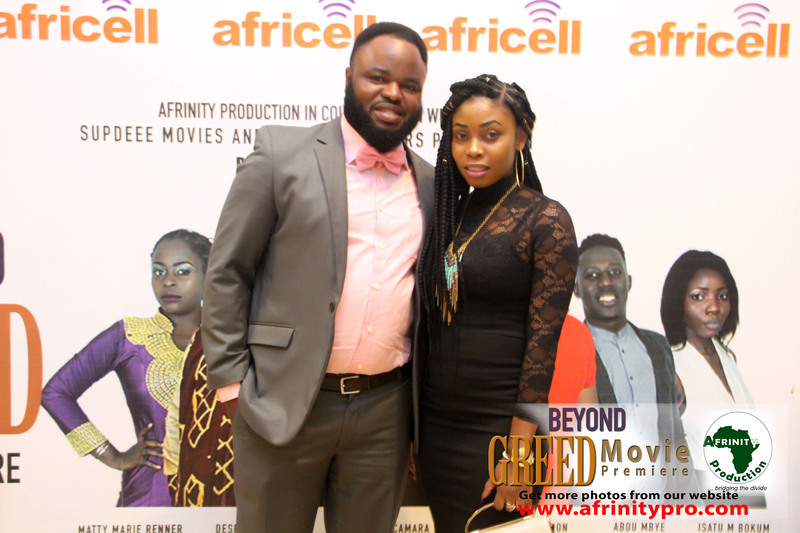 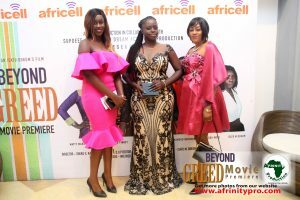 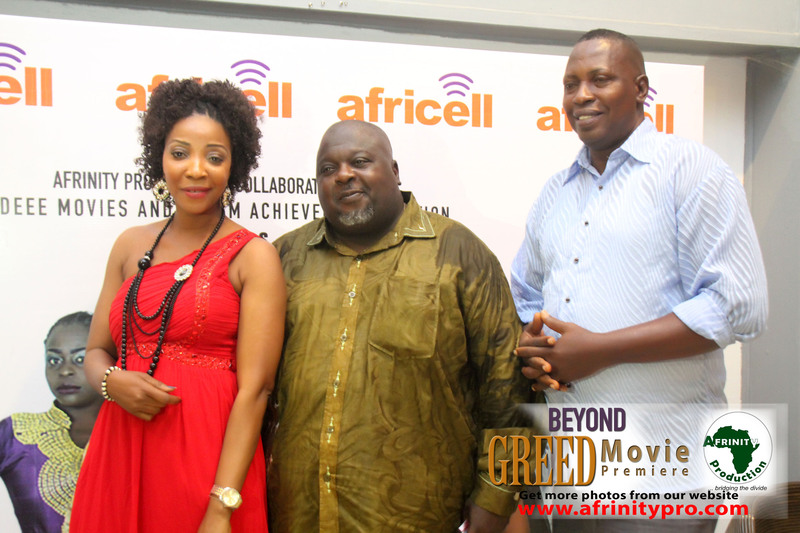 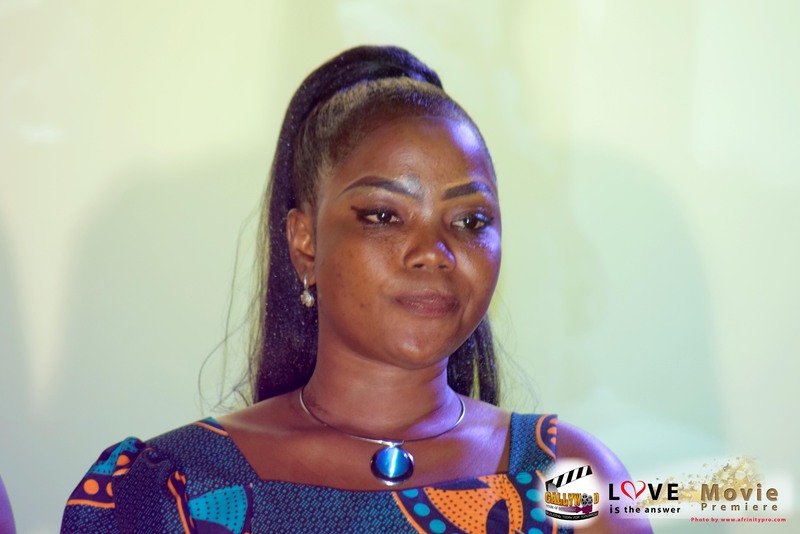 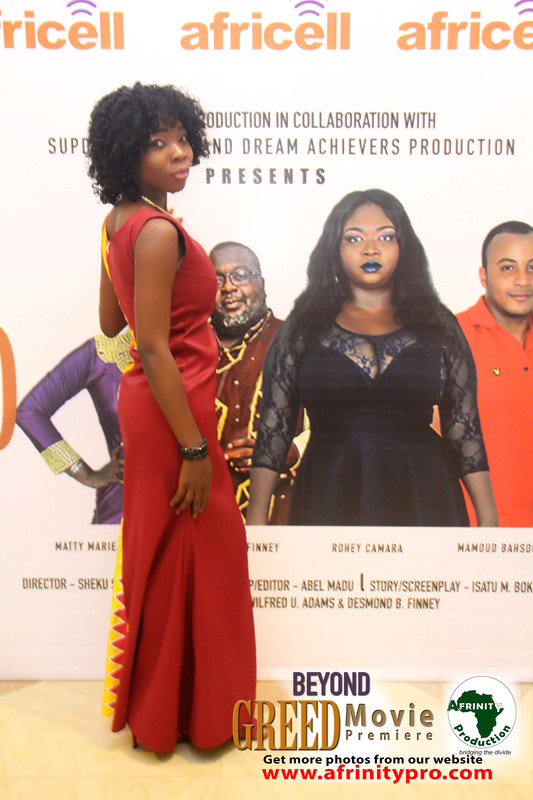 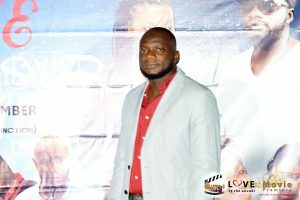 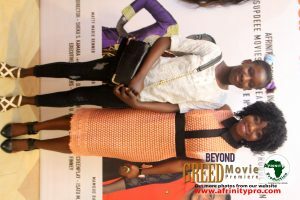 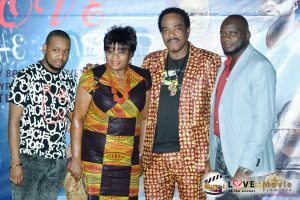 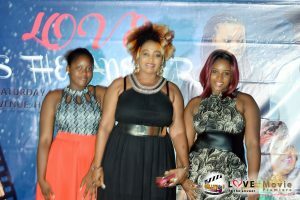 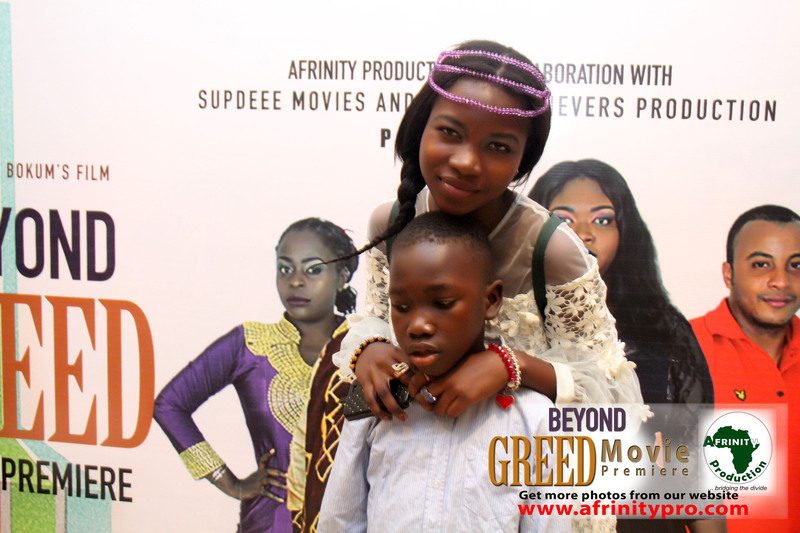 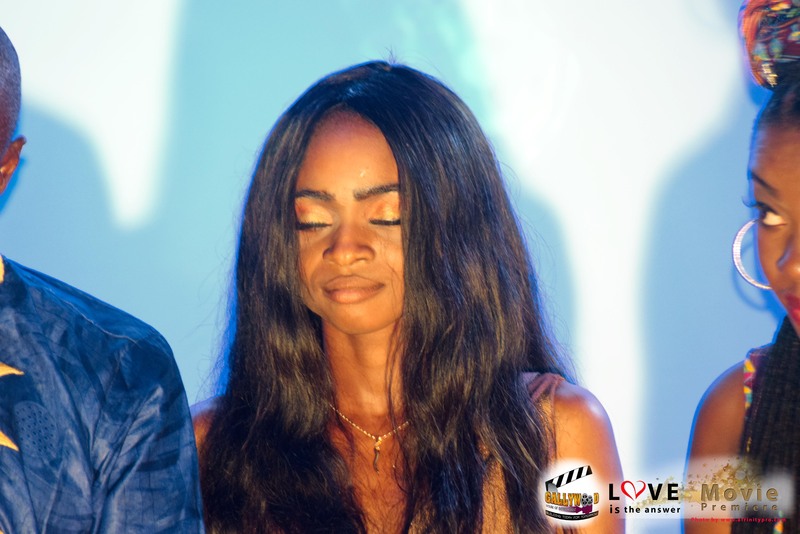 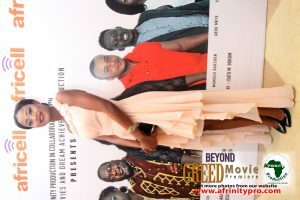 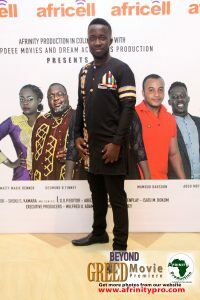 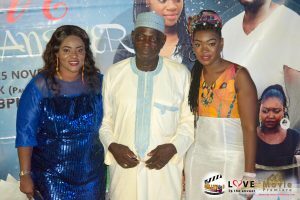 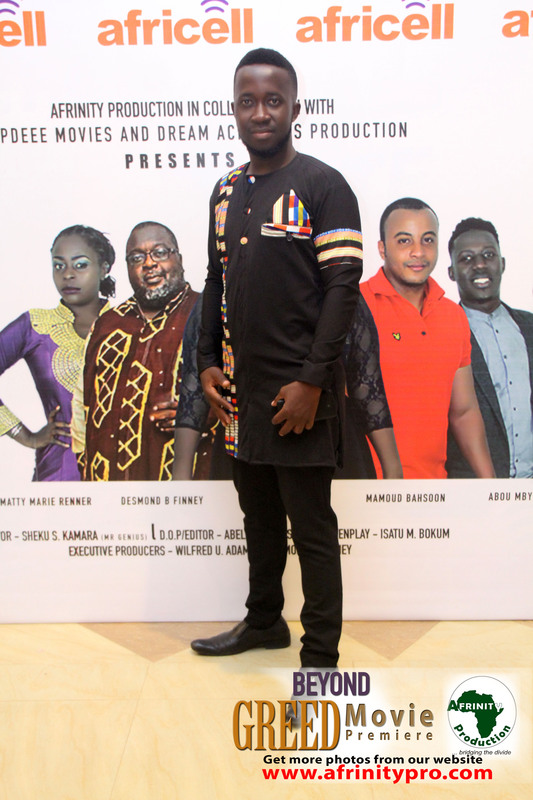 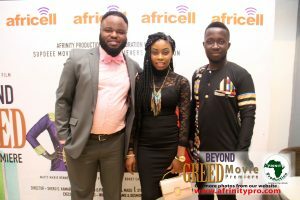 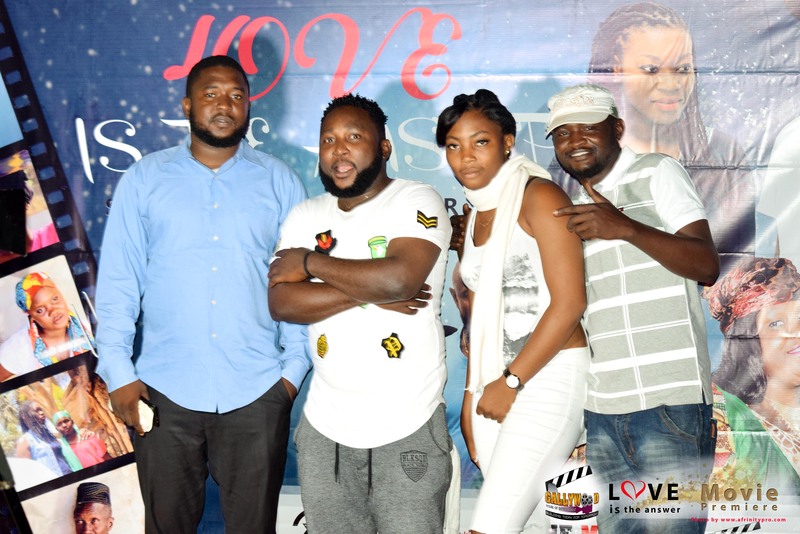 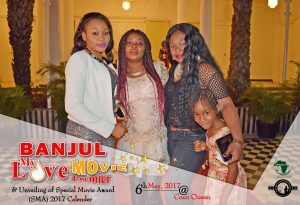 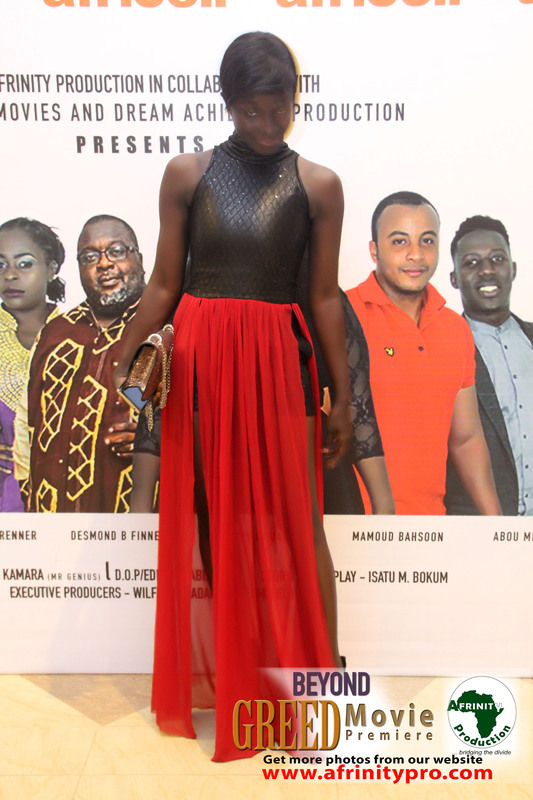 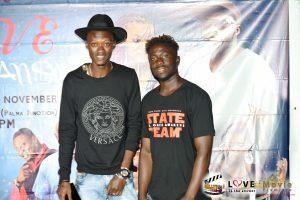 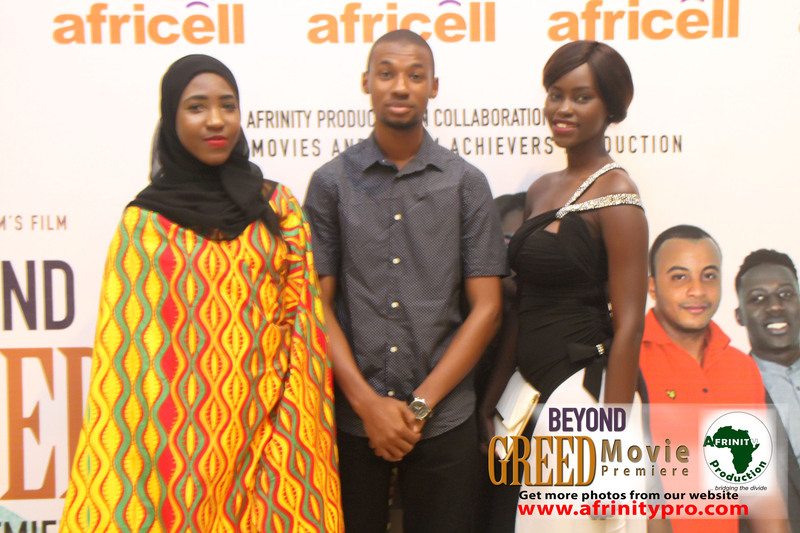 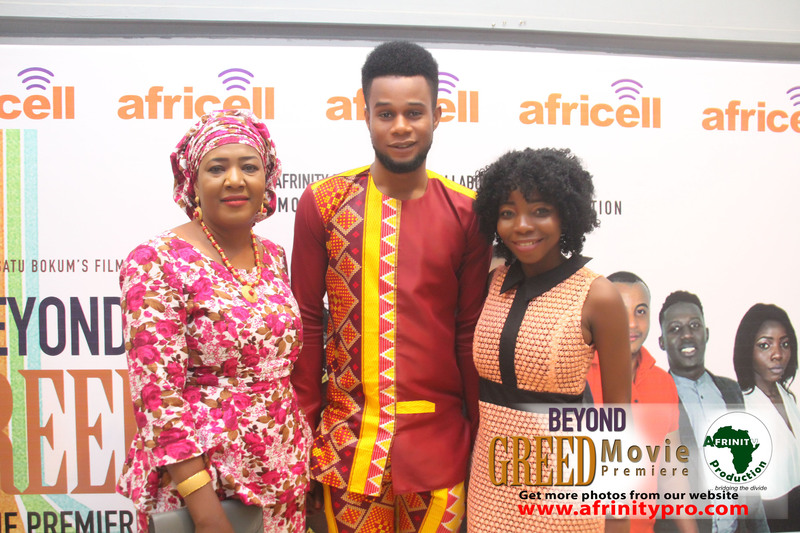 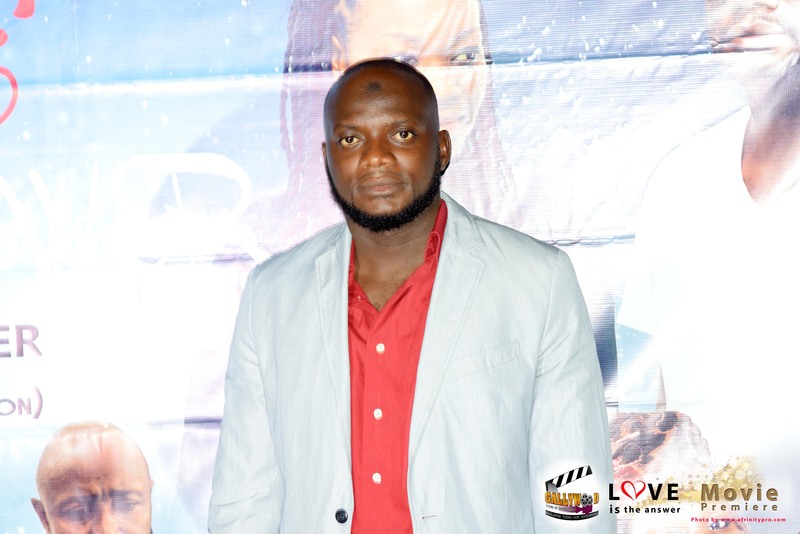 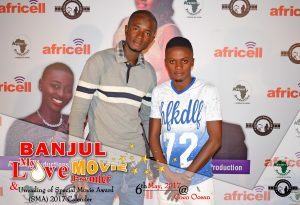 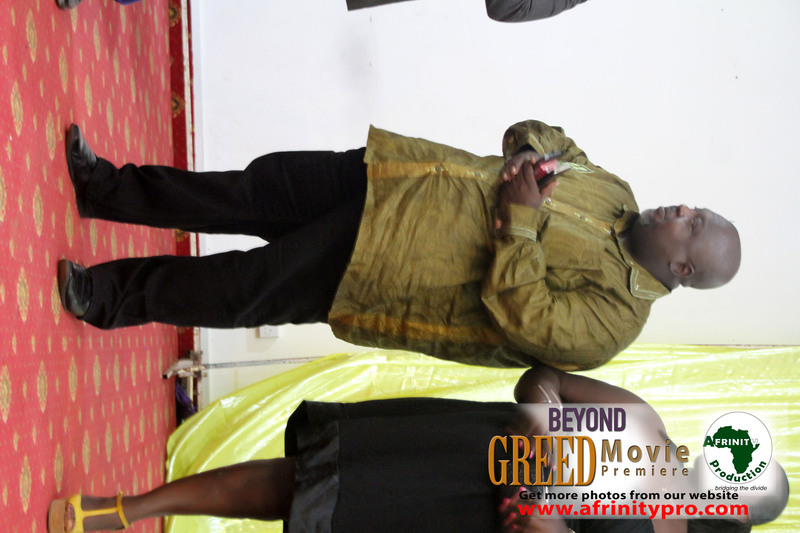 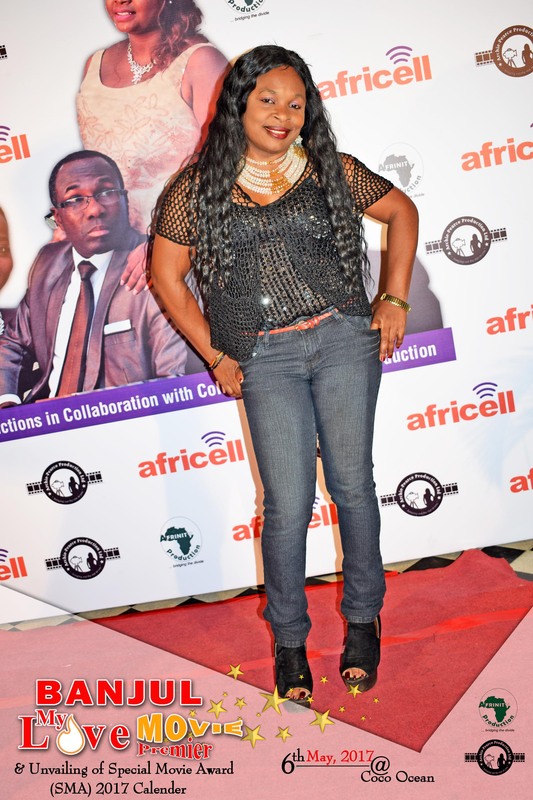 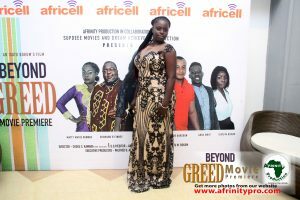 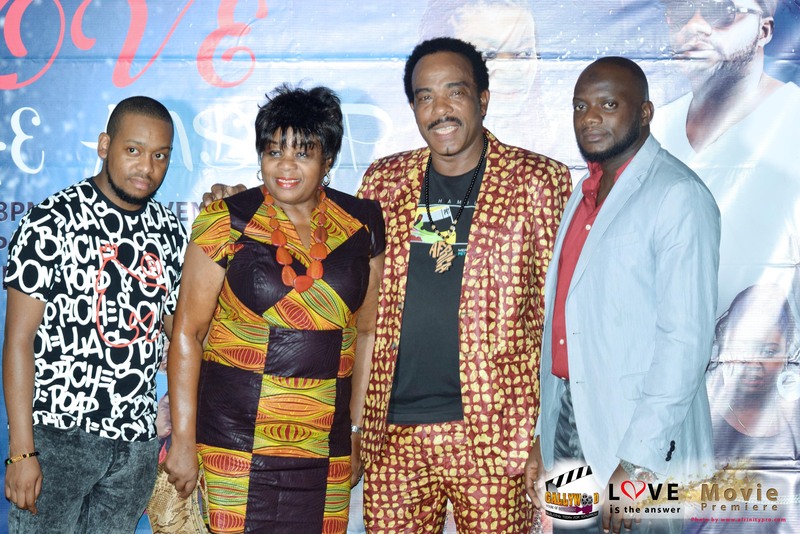 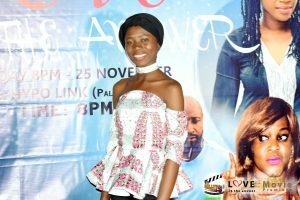 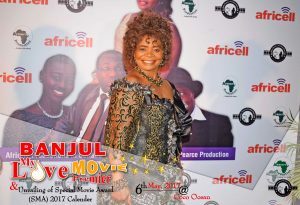 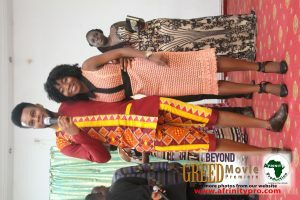 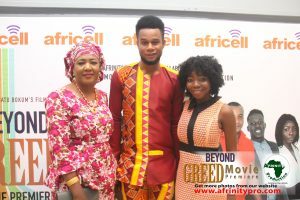 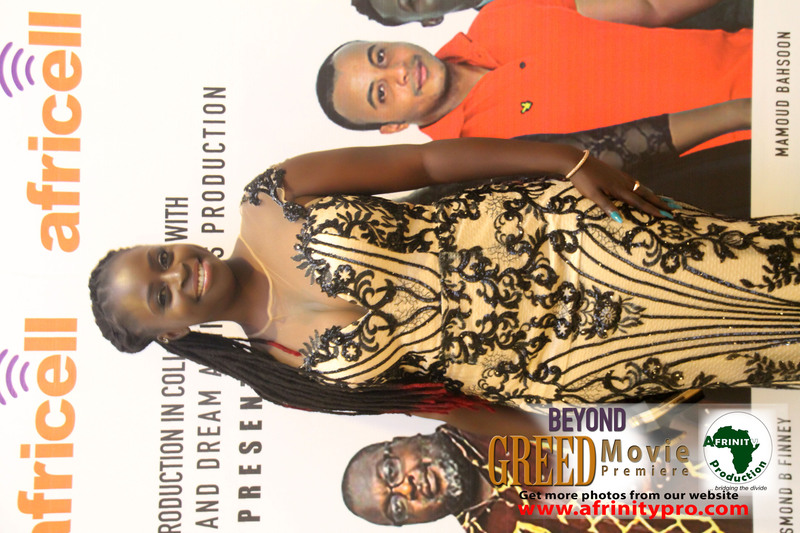 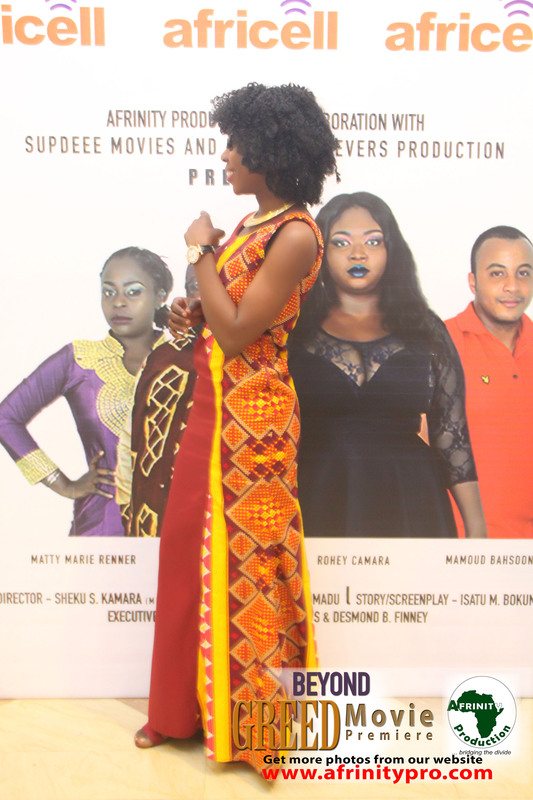 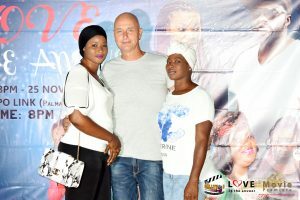 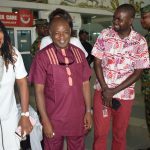 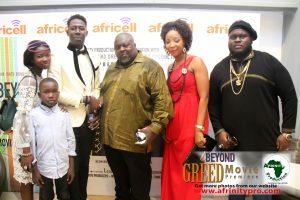 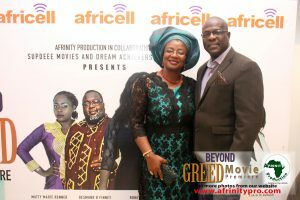 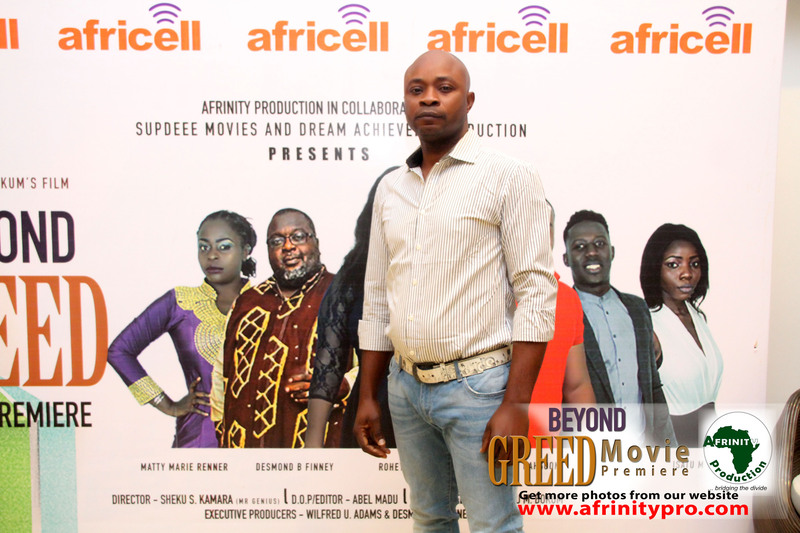 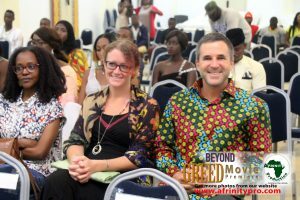 The movie “Beyond Greed” stares top Gambian actors like Rohey Camara, Mamoud Bahsoon, Abou Mbye (Abou & Fafa), Isatu M. Bokum, Matty Maria Renner (Queeny B) and two talented actors from the beautiful coast of Sierra Leone Desmond B. Finney and Kai B. Saquee. 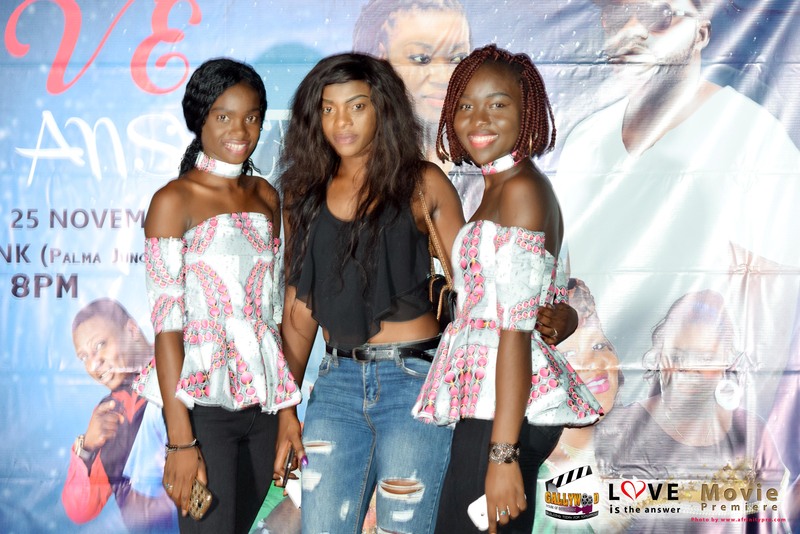 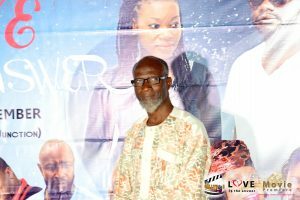 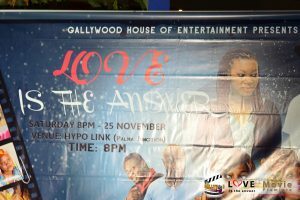 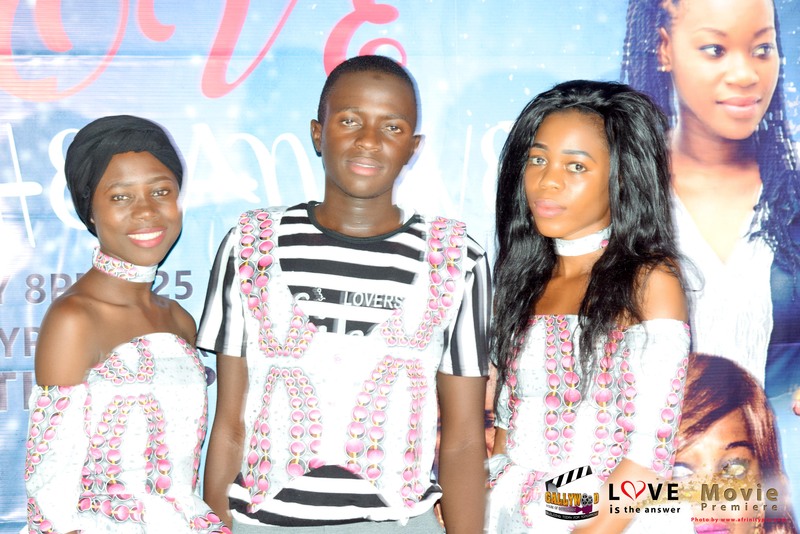 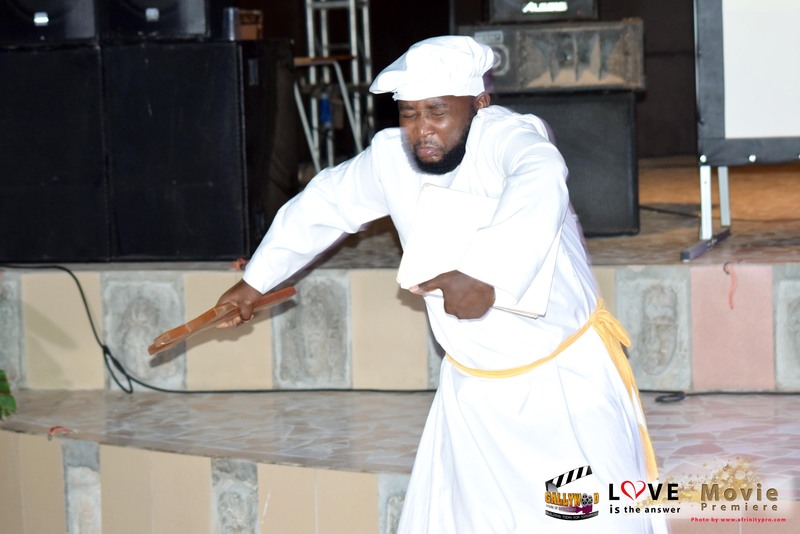 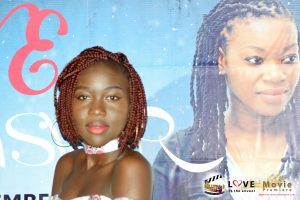 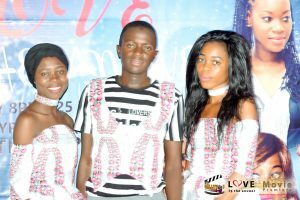 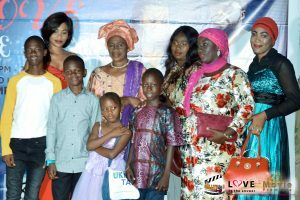 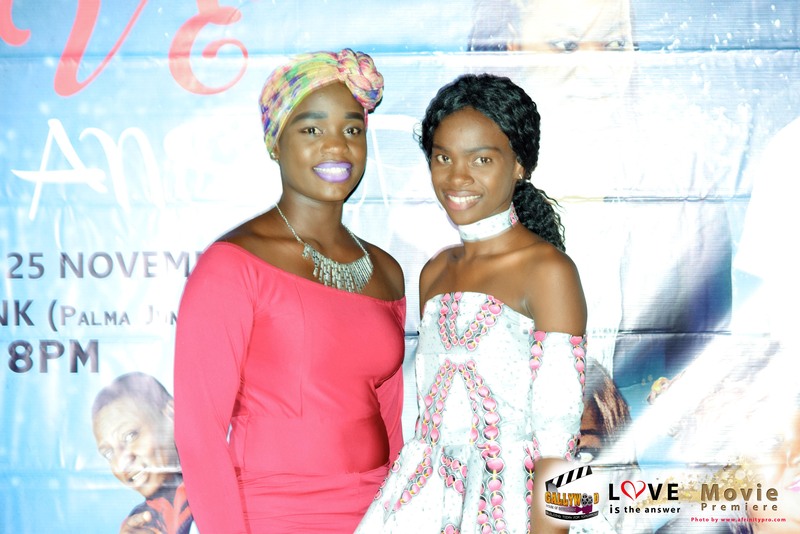 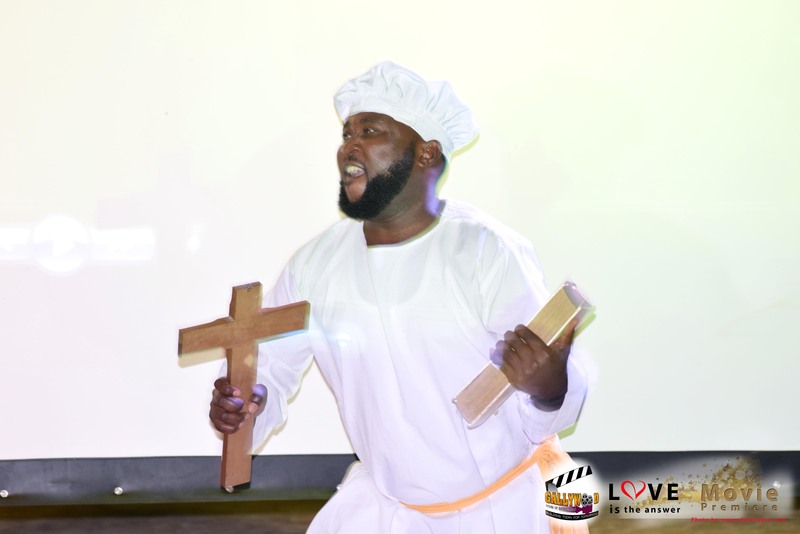 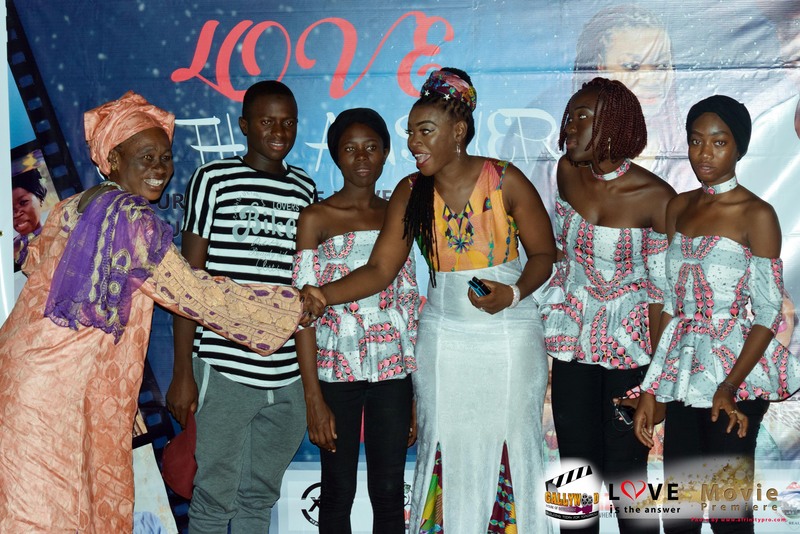 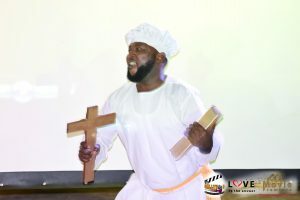 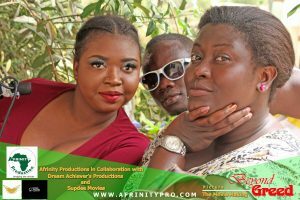 This beautiful family drama of love, betrayal, murder, greed, lies and deceit is directed by Sheku S. Kamara, executively produced by Wilfred U. Adams and Desmond B. Finney. 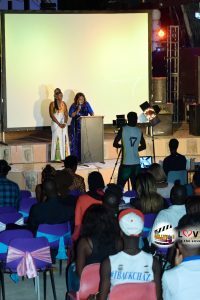 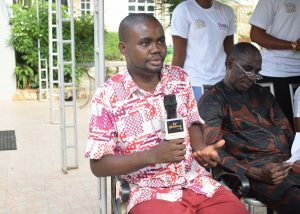 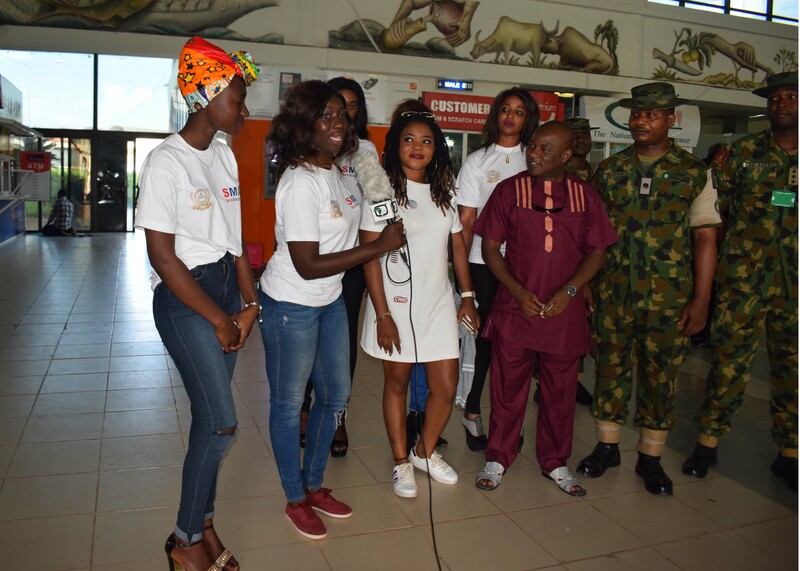 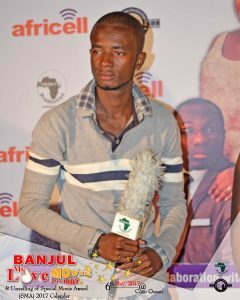 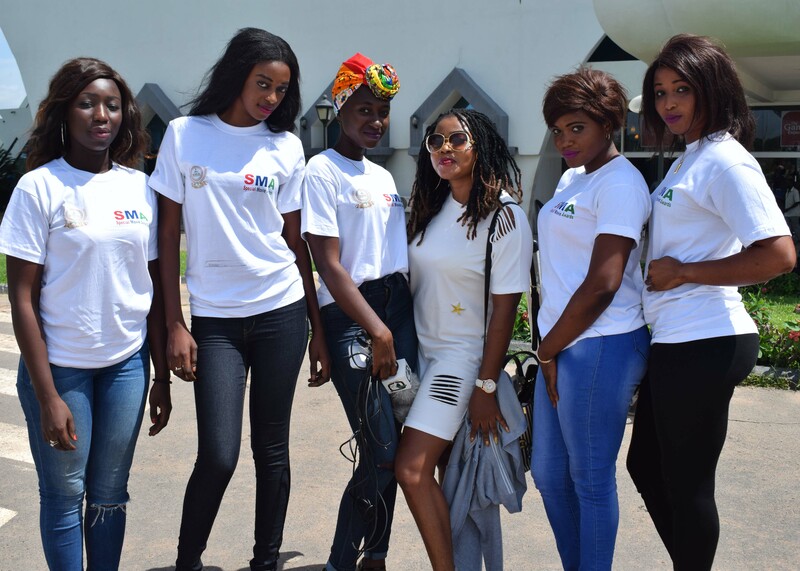 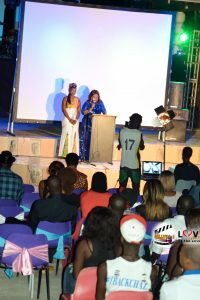 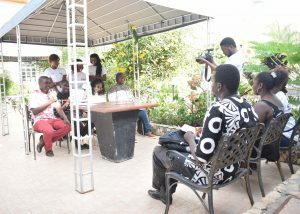 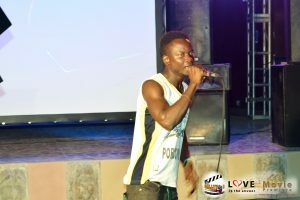 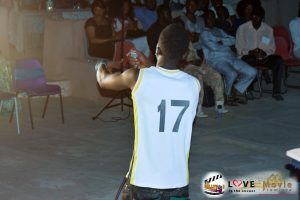 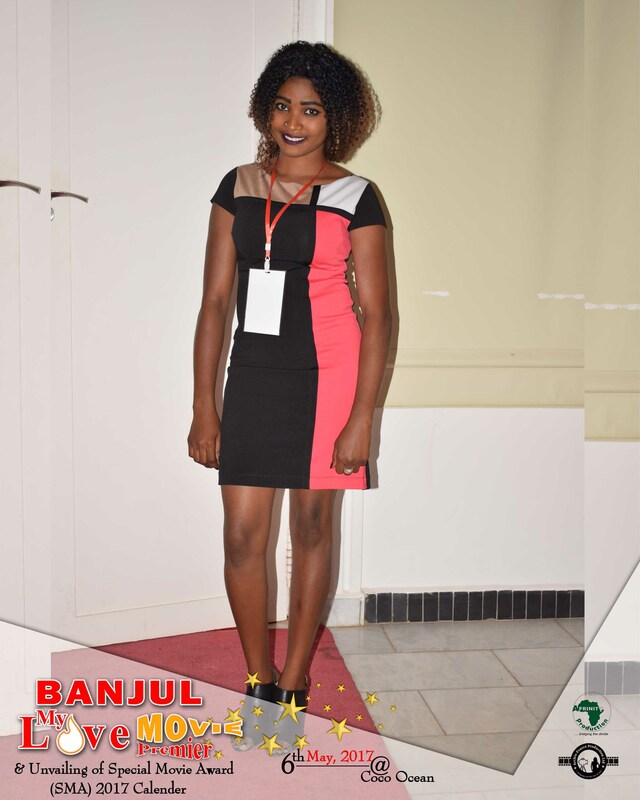 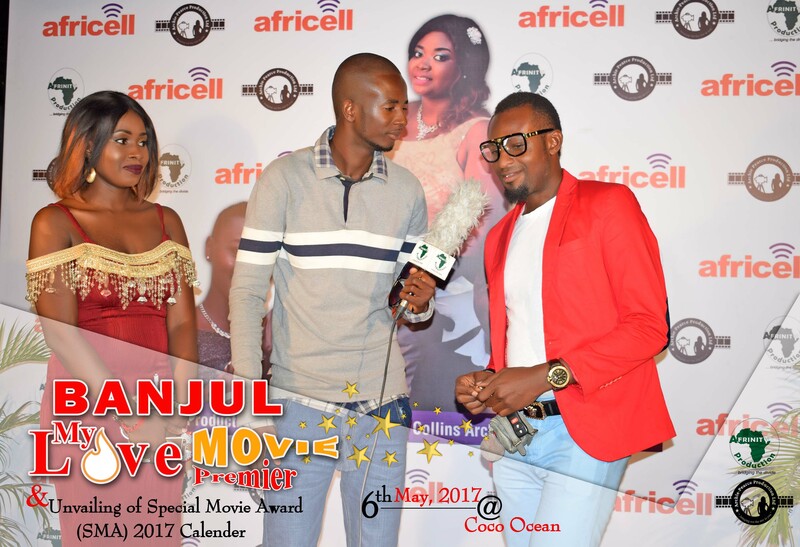 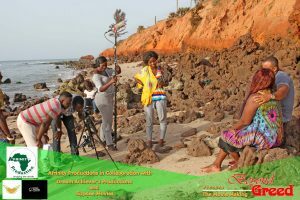 On the 16th of June 2017, An Android Google App was launched by WAAZI TV which features sub TV Productions in The Gambia including Afrinity TV. 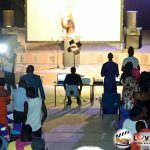 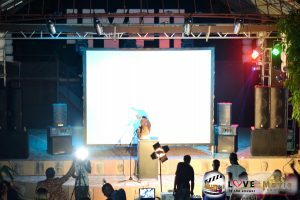 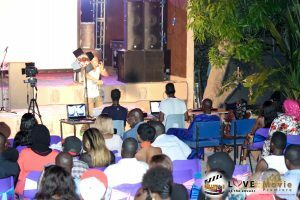 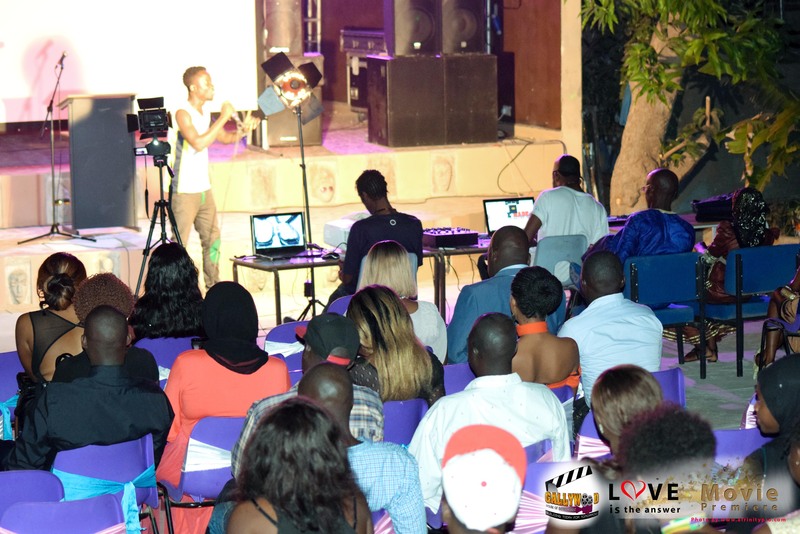 Waazi (meaning Open in Swahili) is an open IPTV platform created to help Gambian content owners (Producers, Directors, Artist etc) monetize their content. 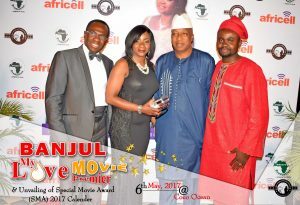 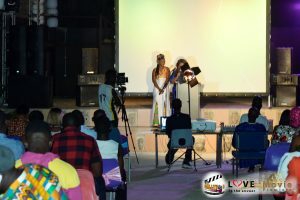 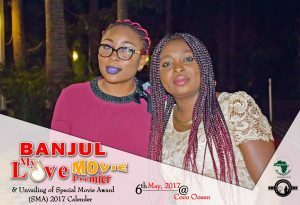 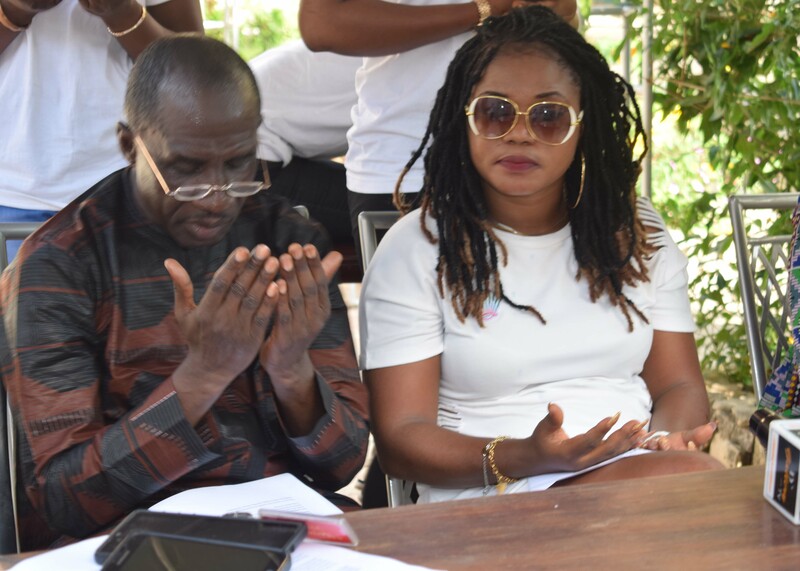 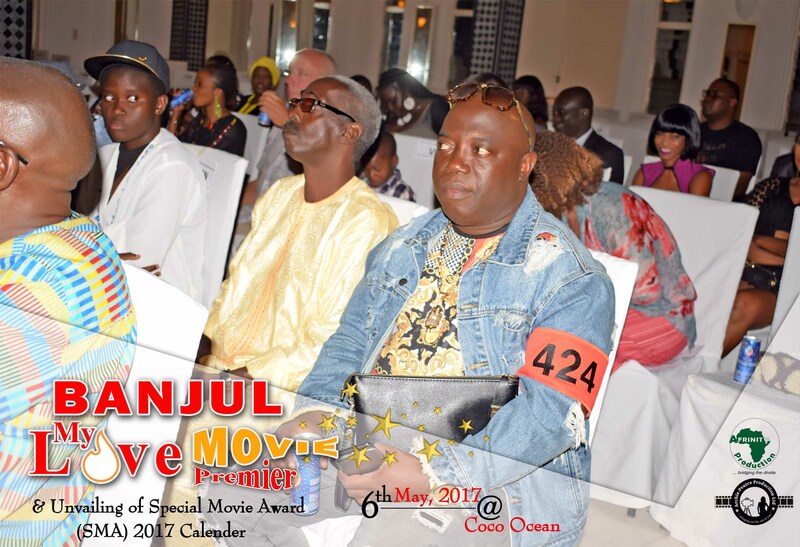 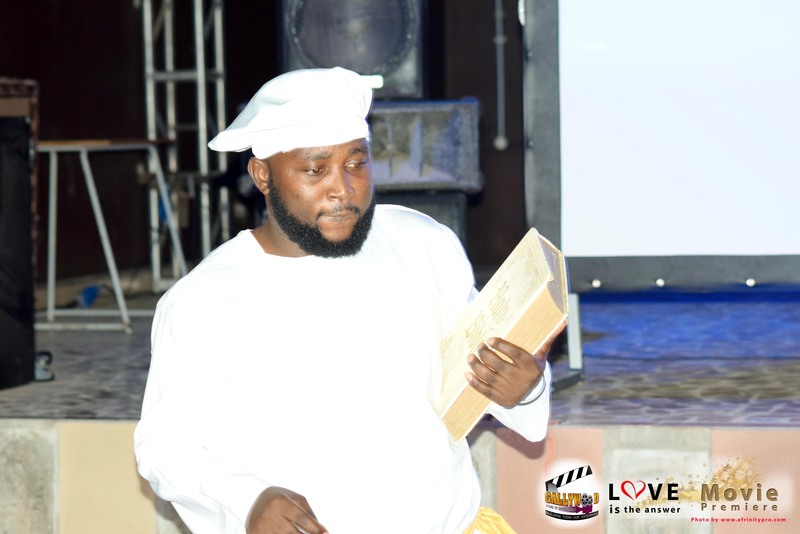 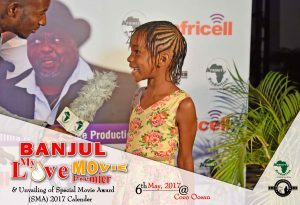 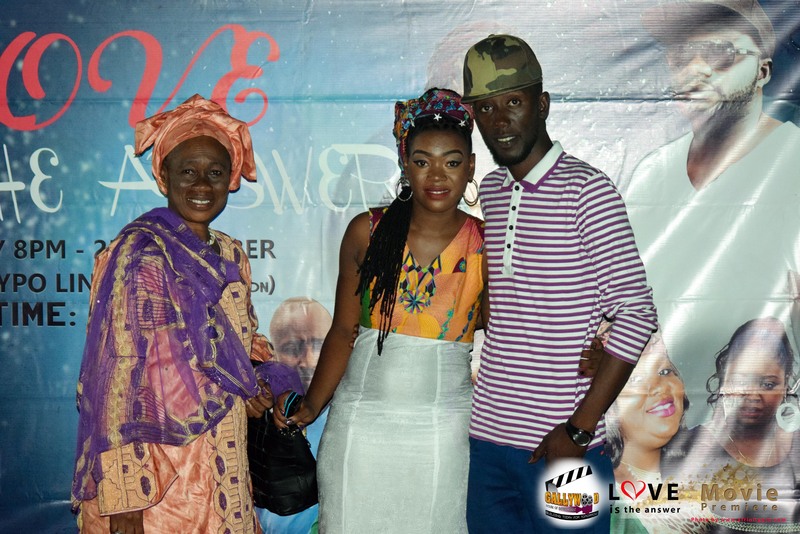 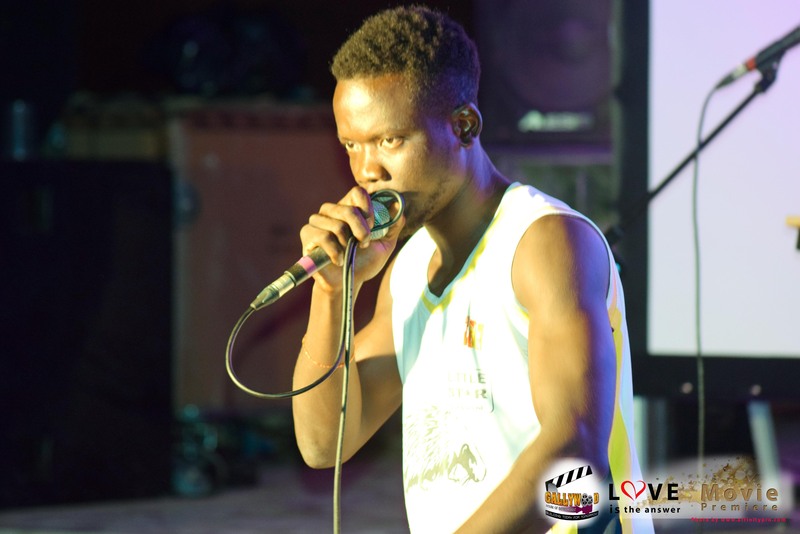 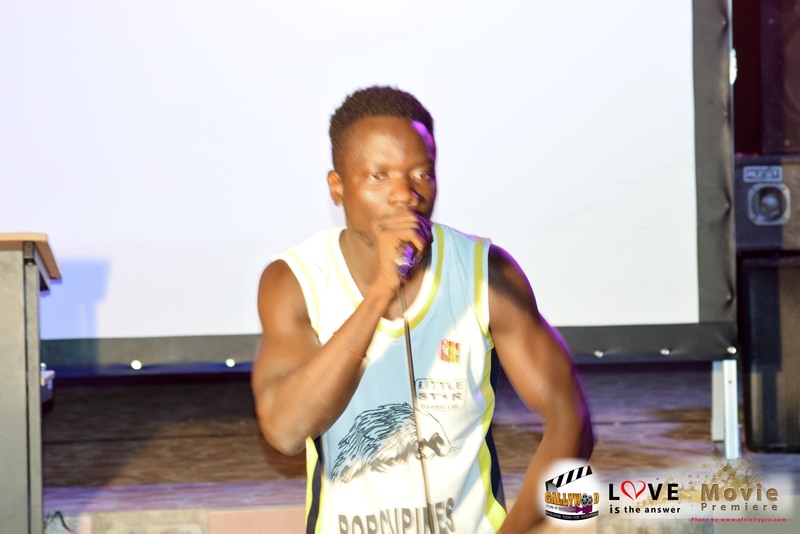 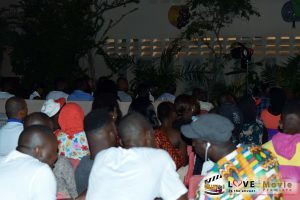 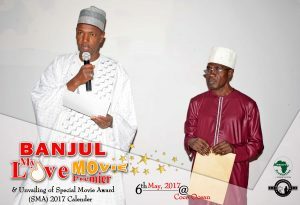 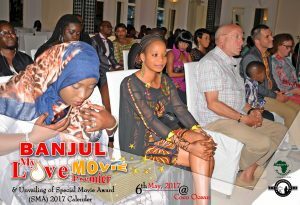 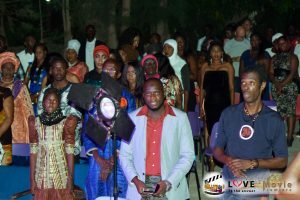 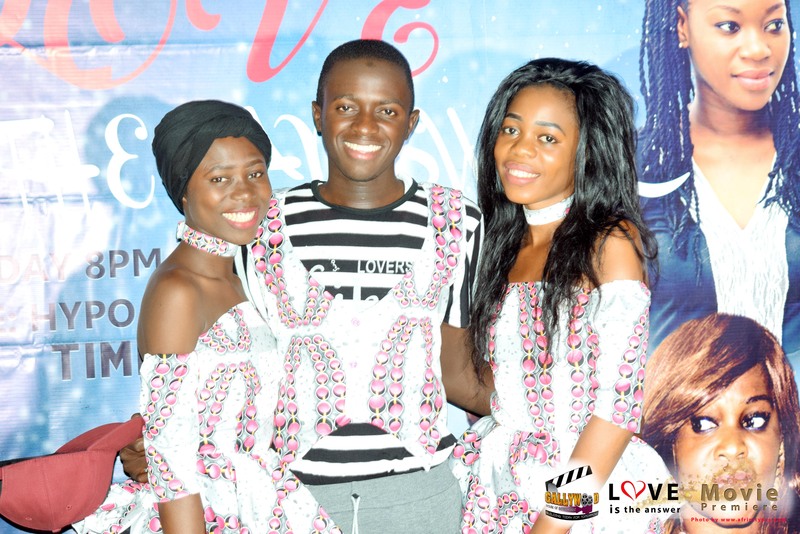 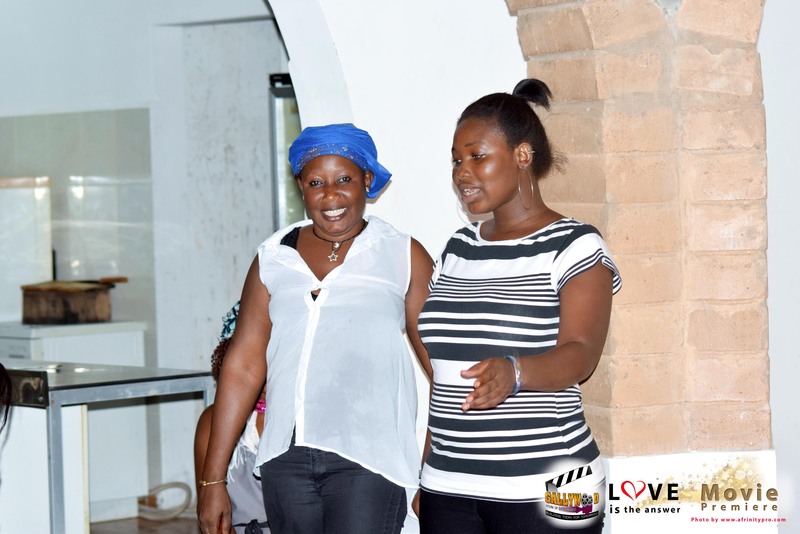 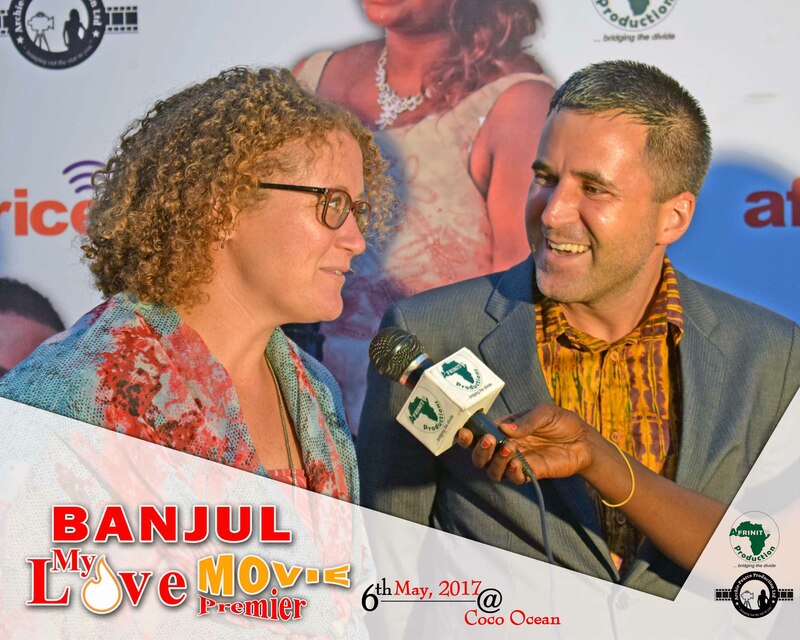 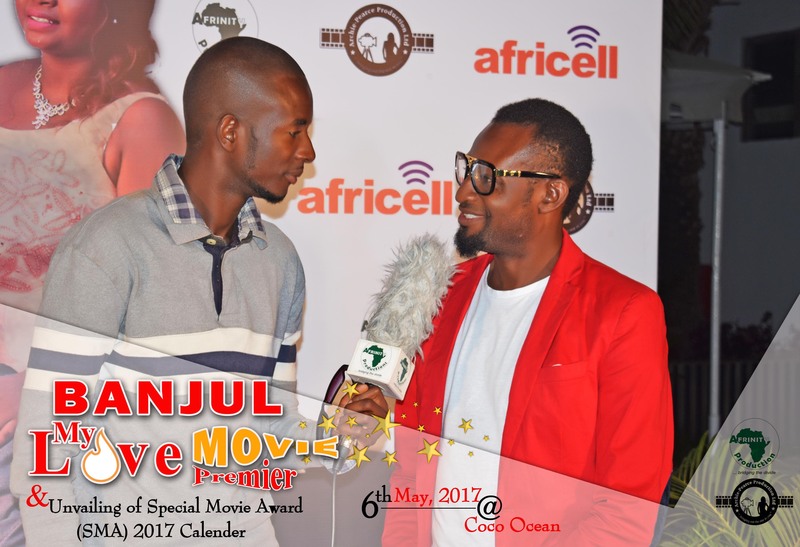 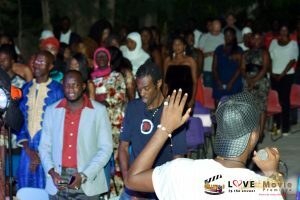 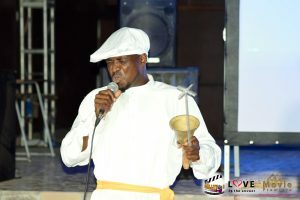 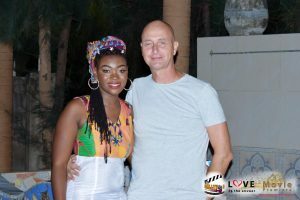 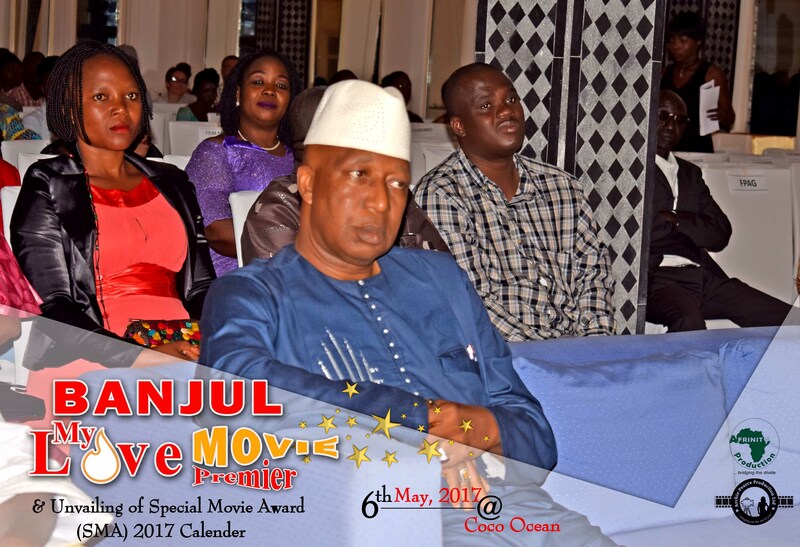 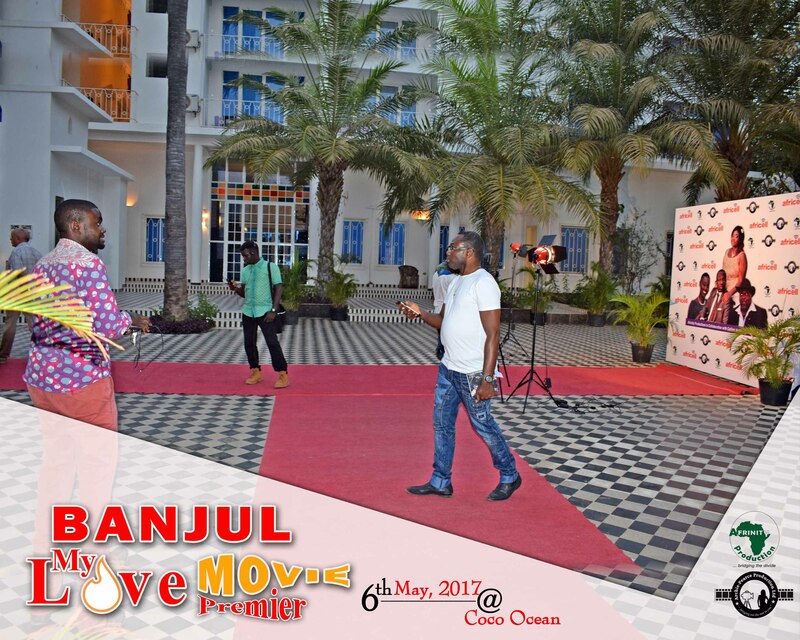 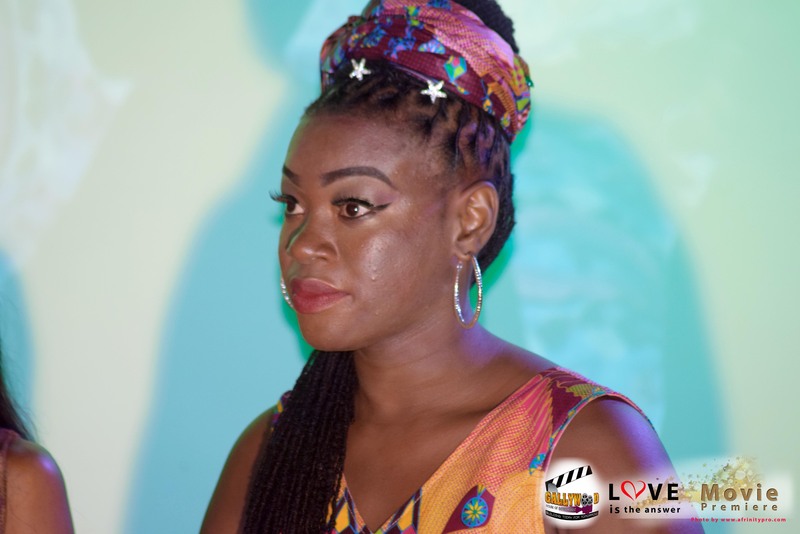 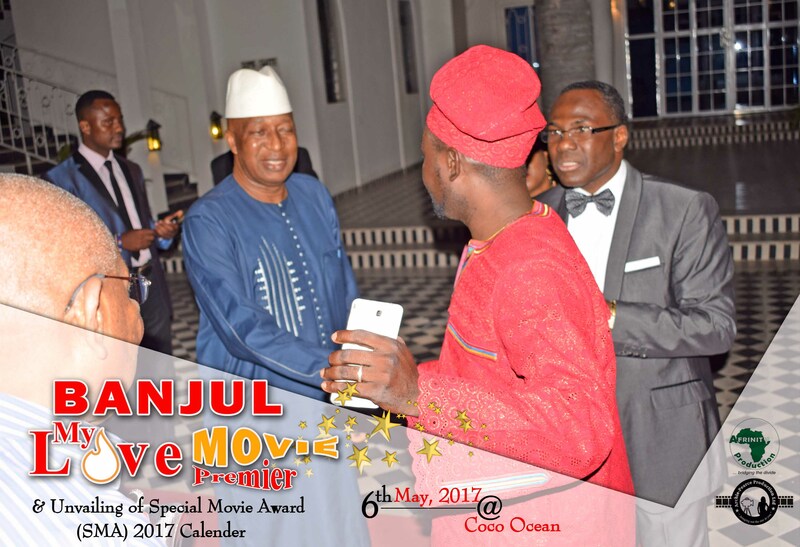 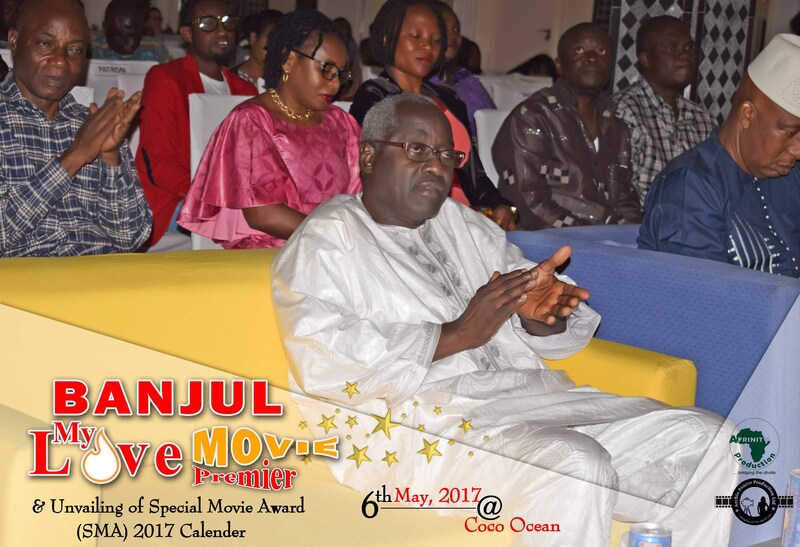 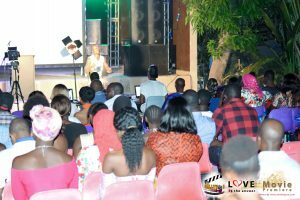 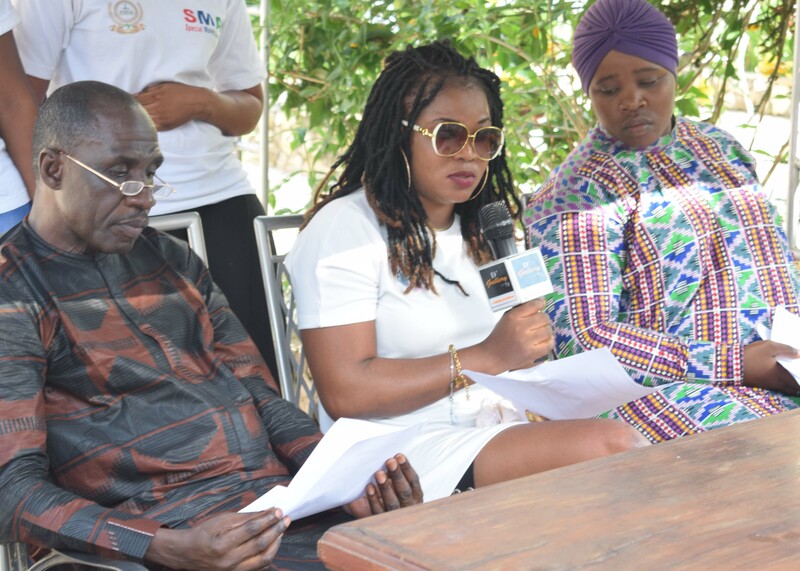 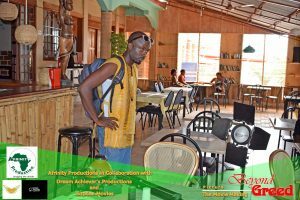 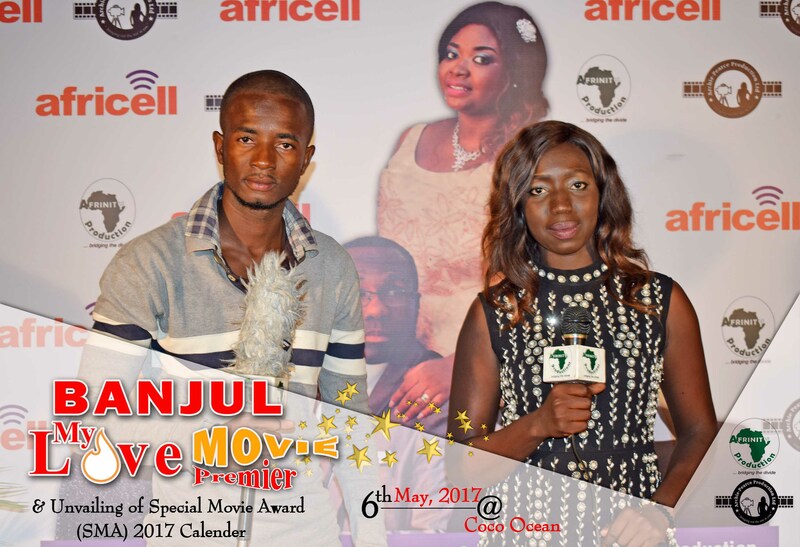 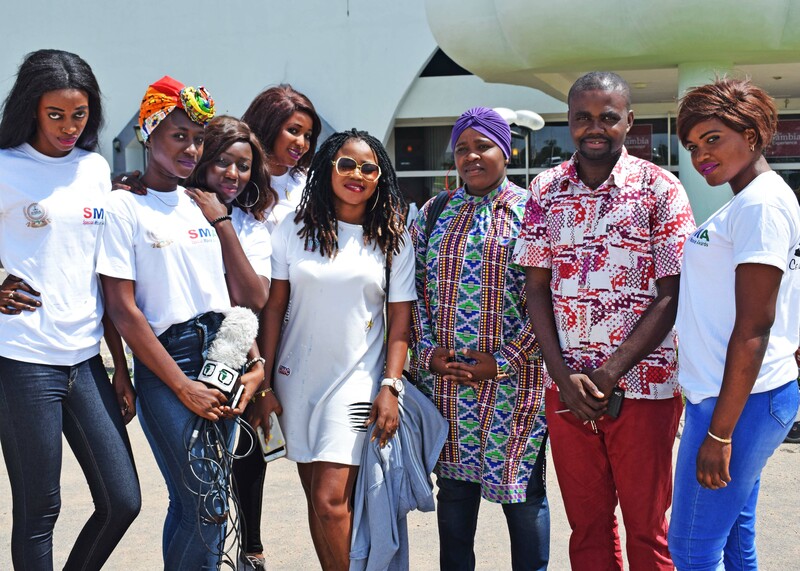 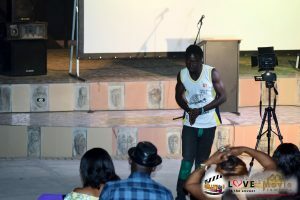 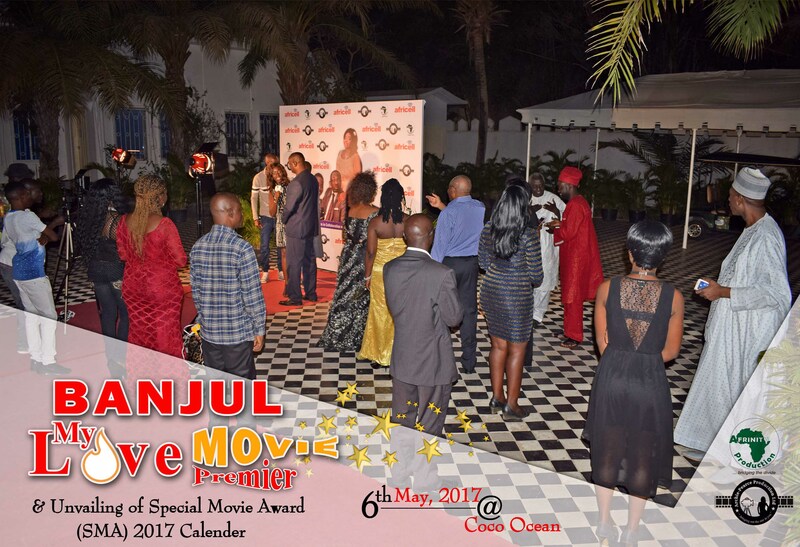 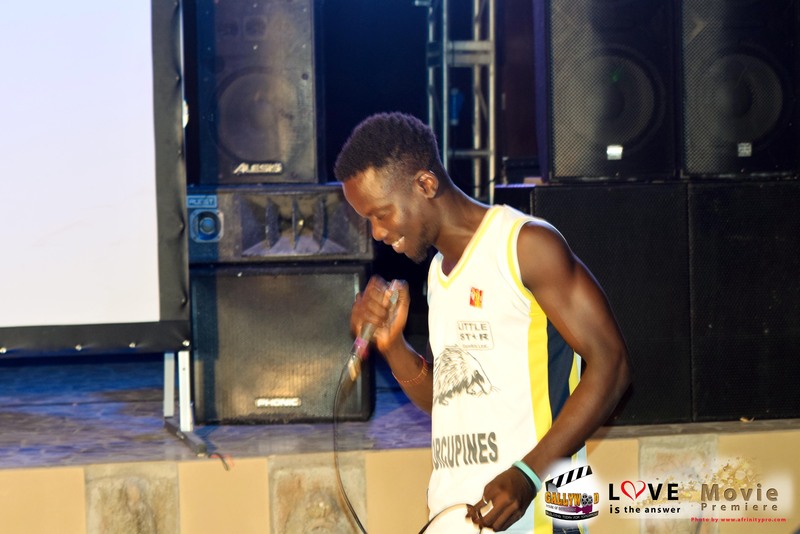 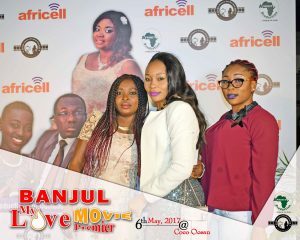 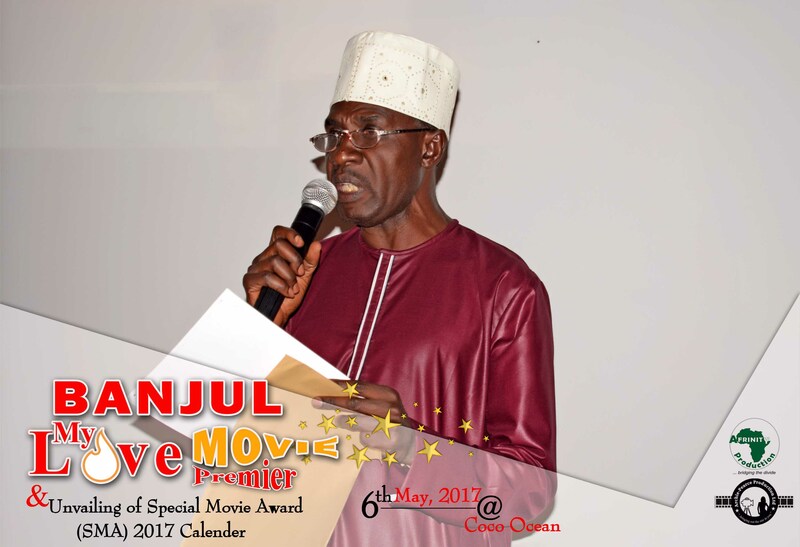 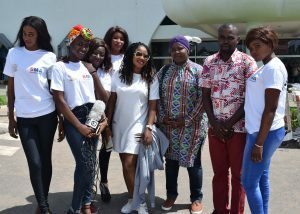 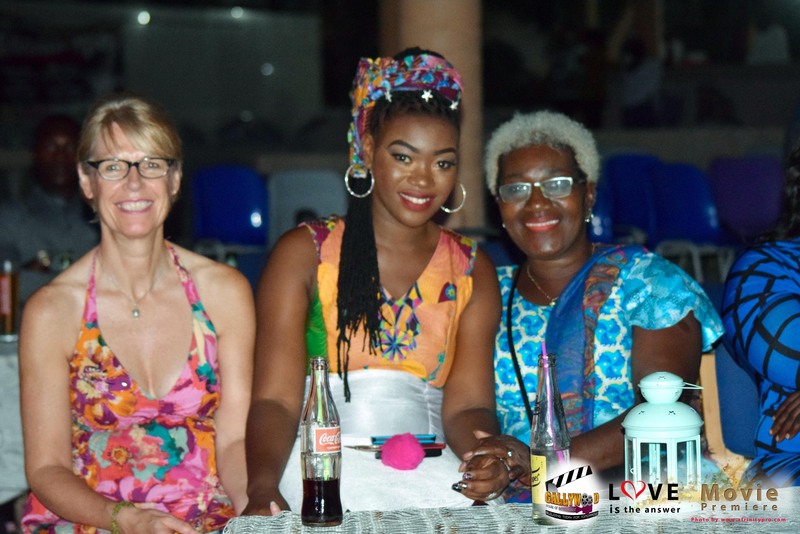 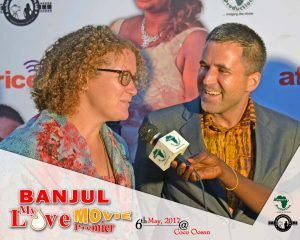 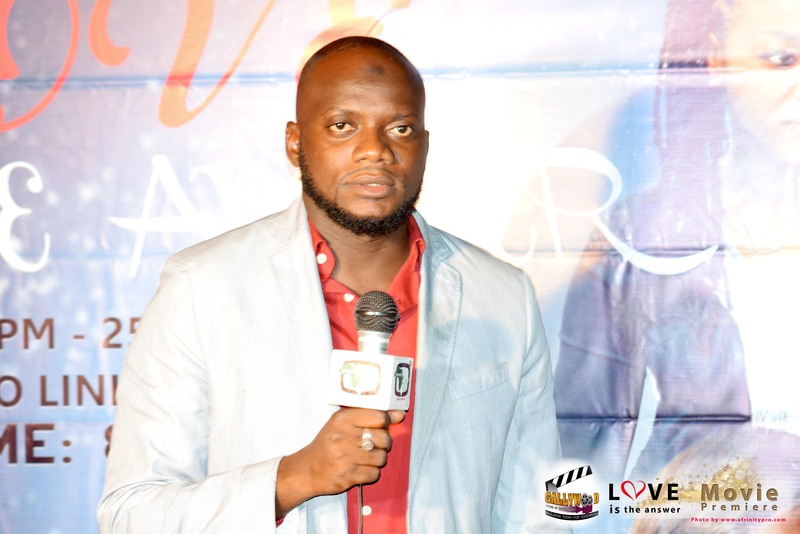 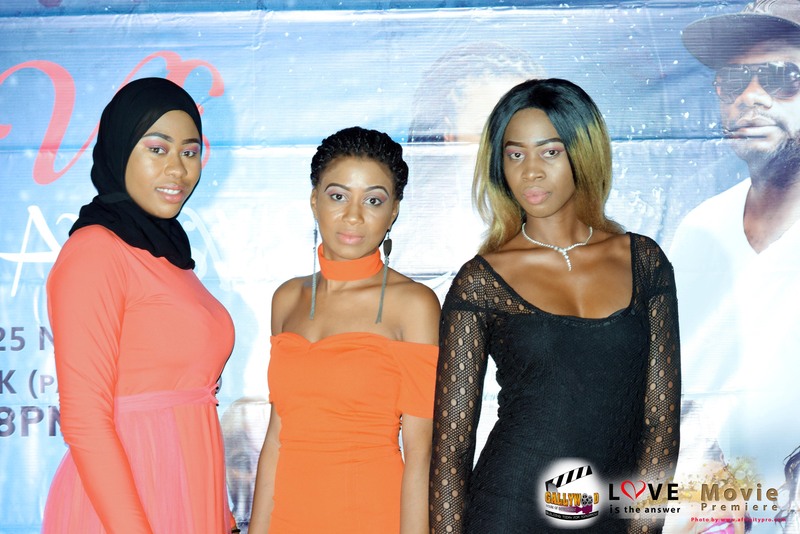 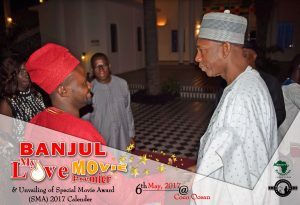 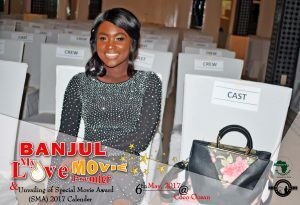 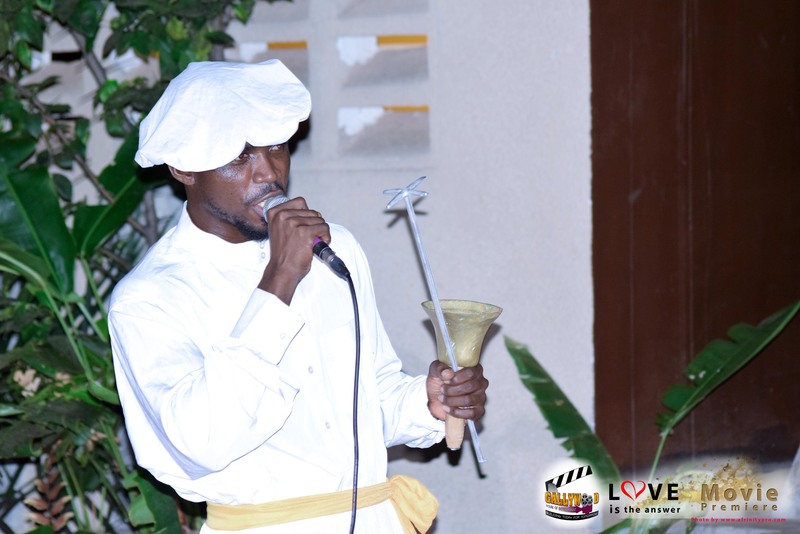 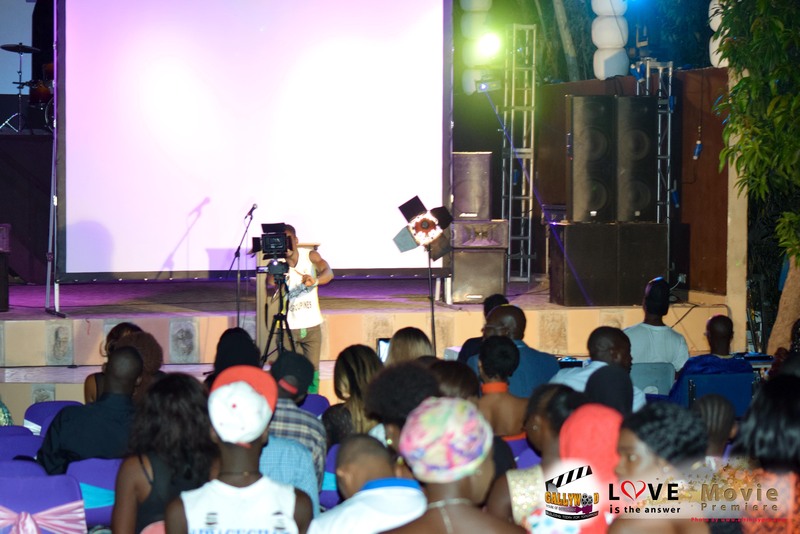 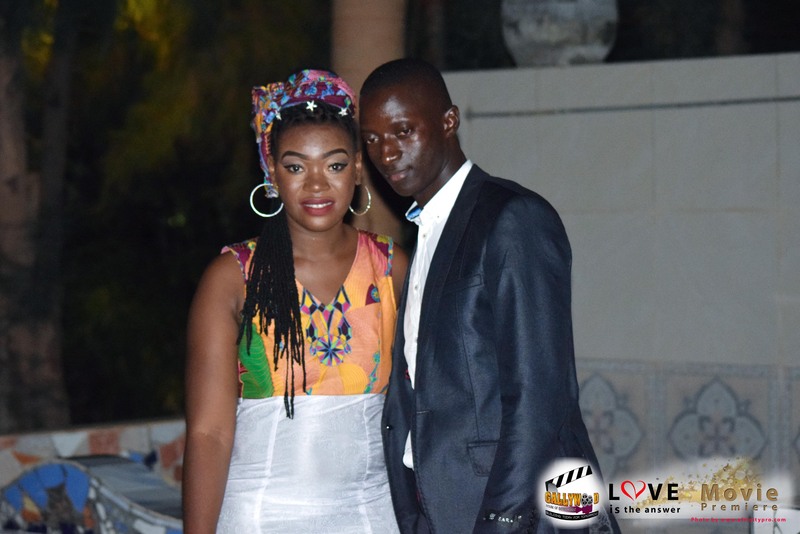 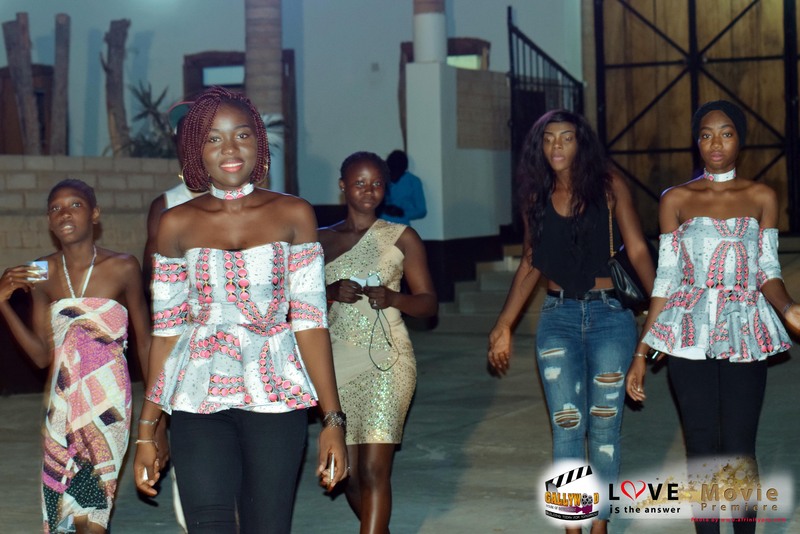 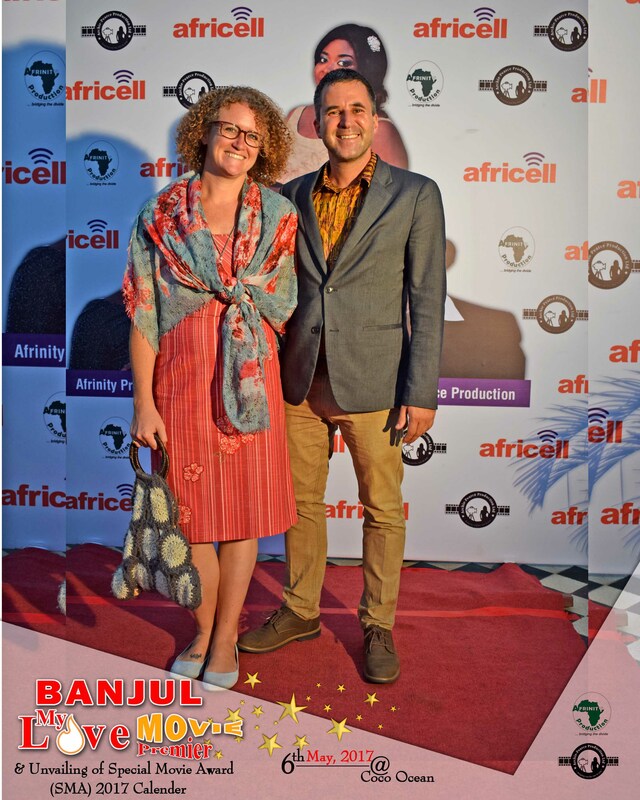 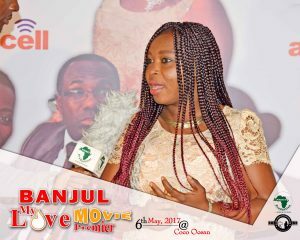 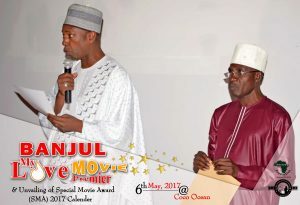 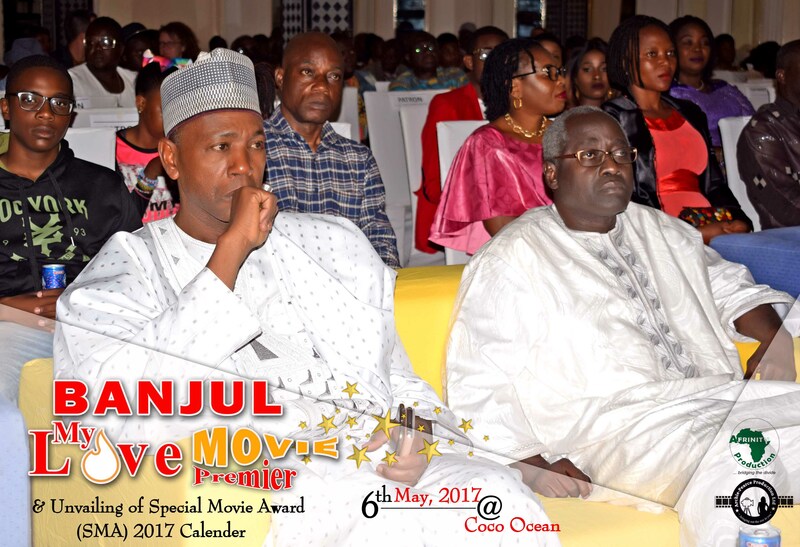 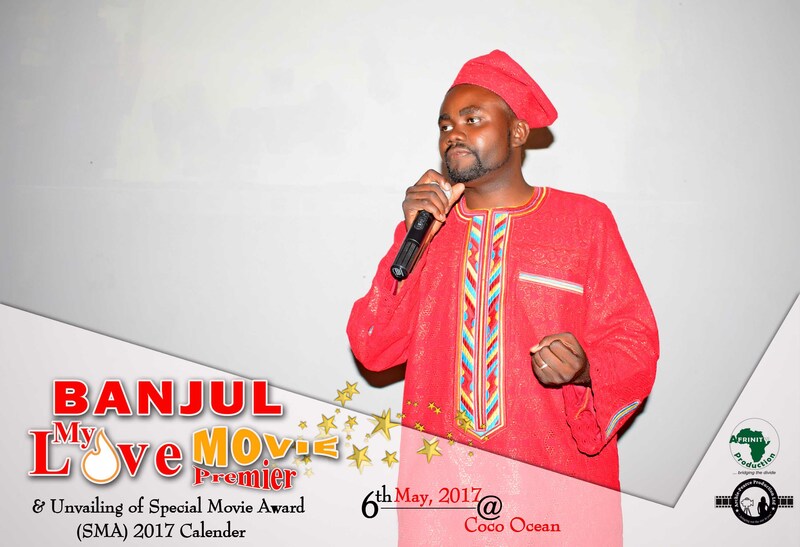 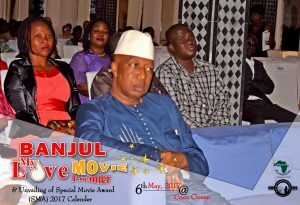 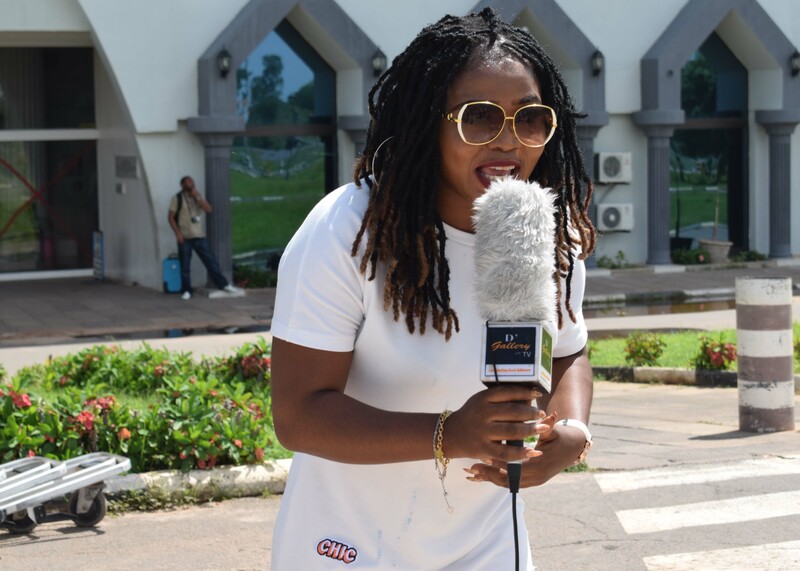 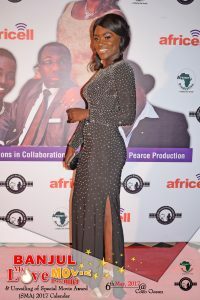 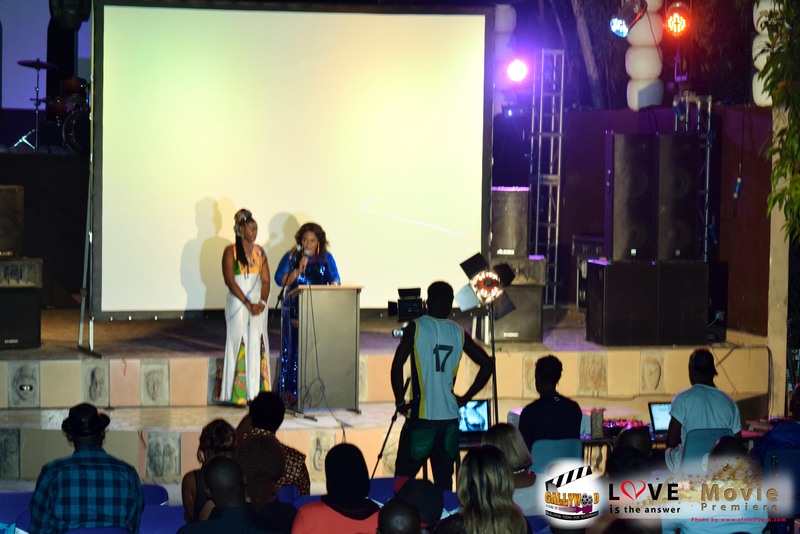 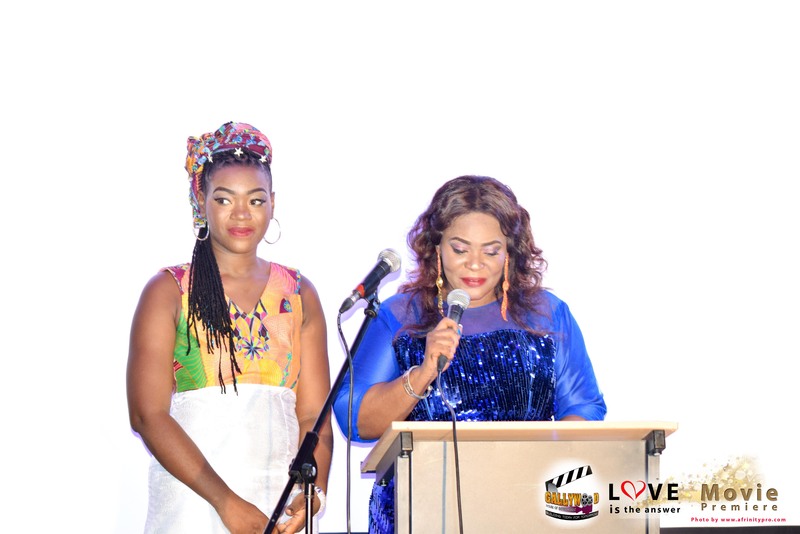 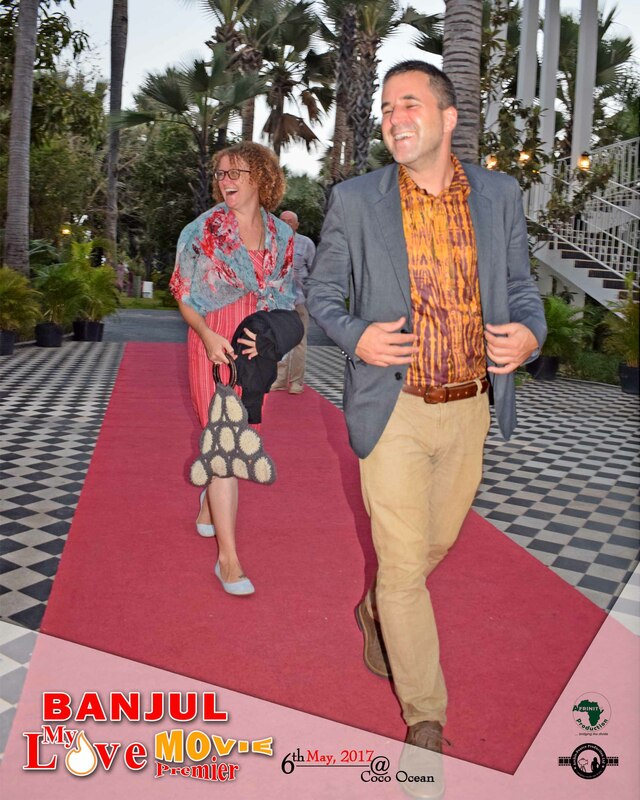 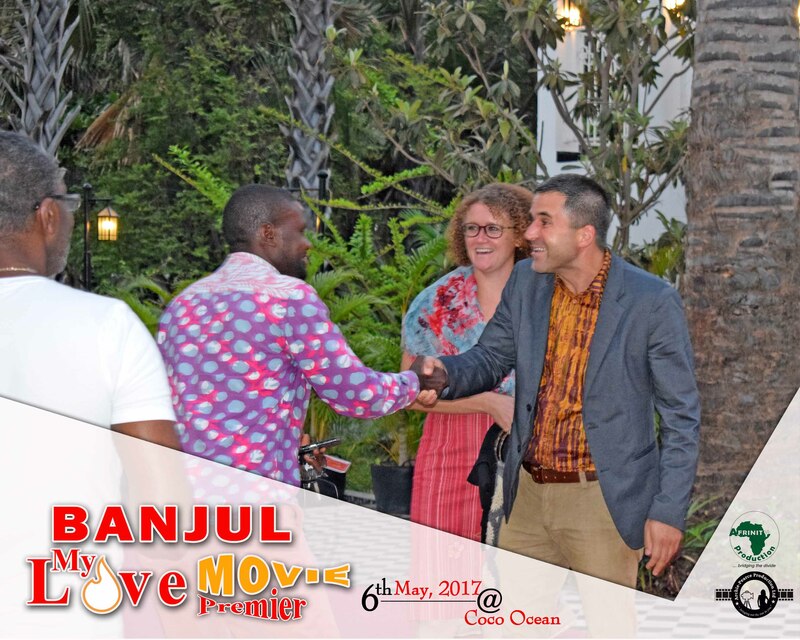 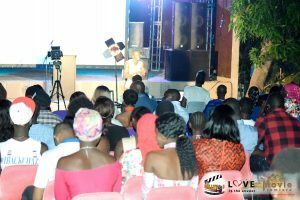 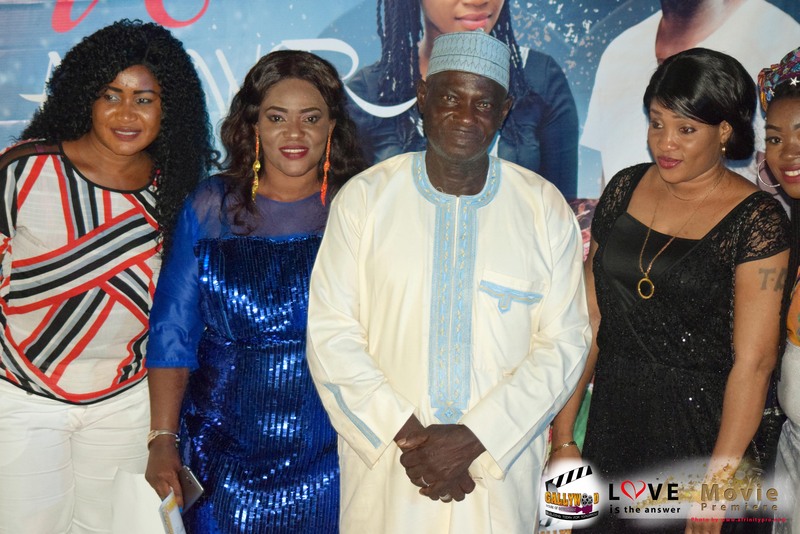 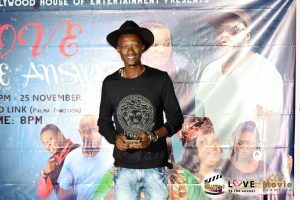 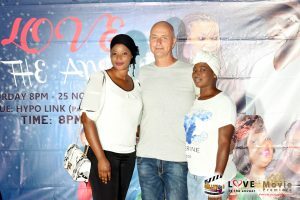 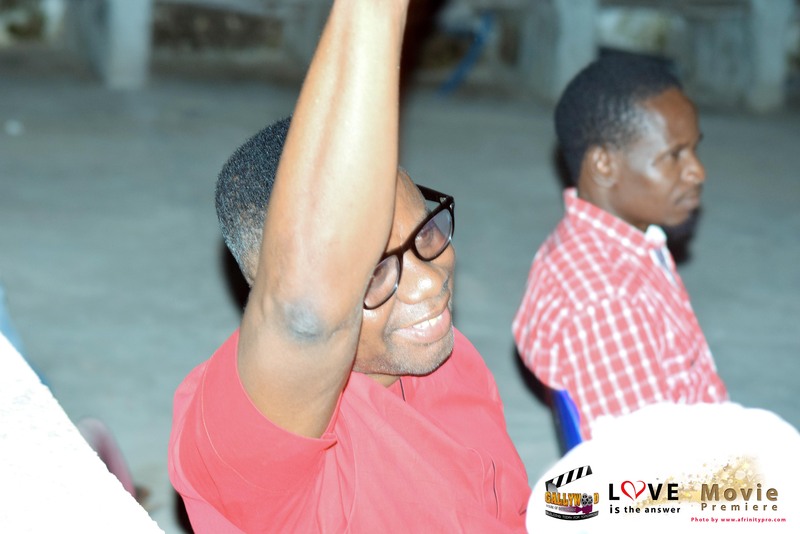 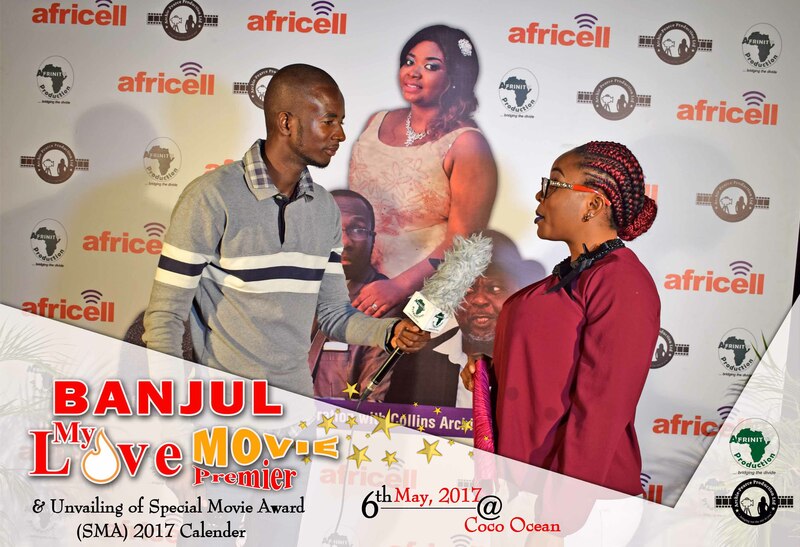 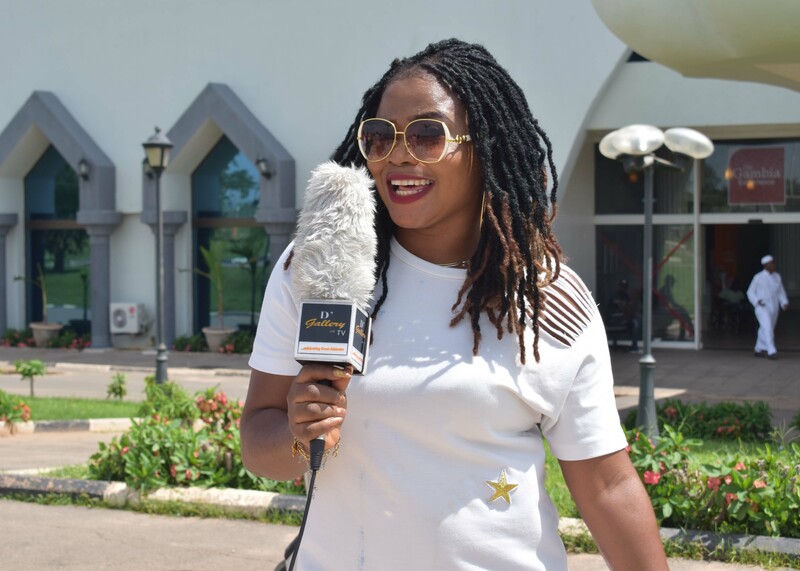 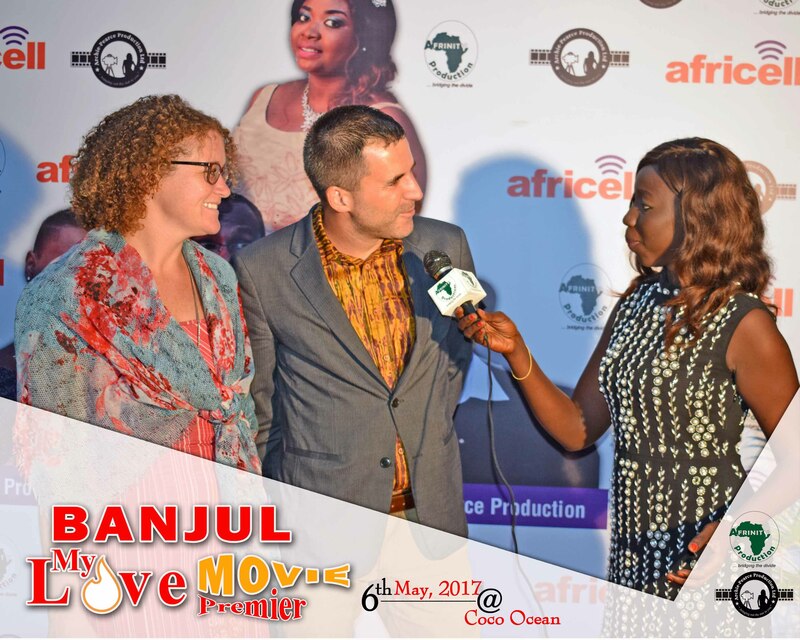 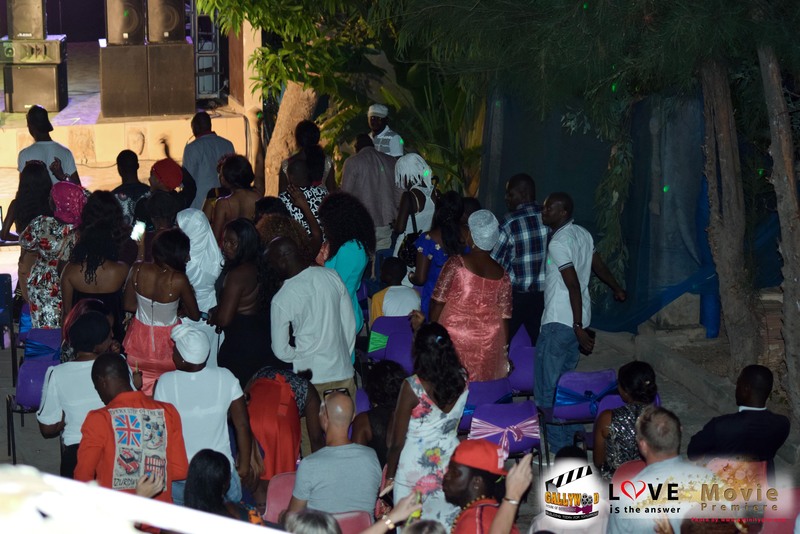 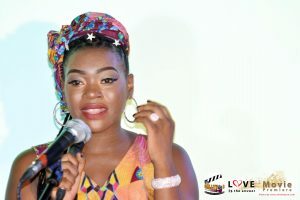 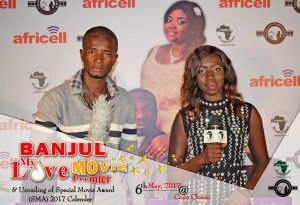 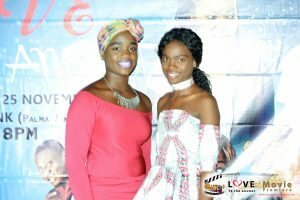 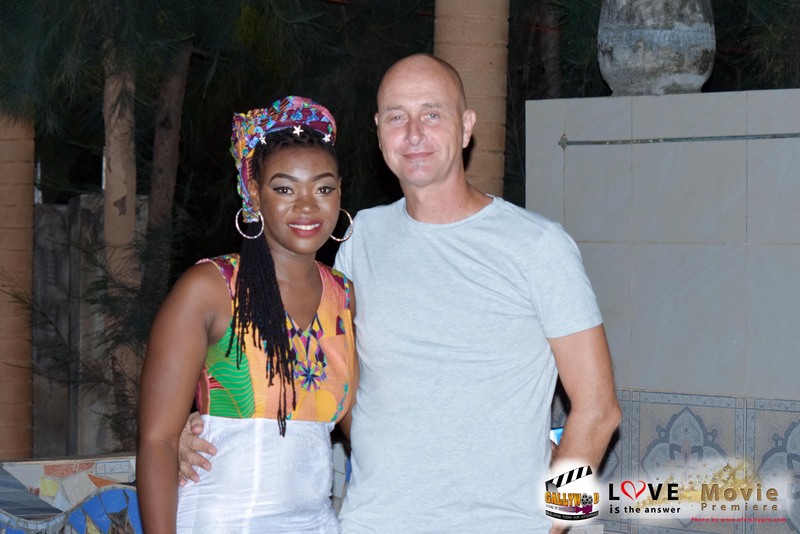 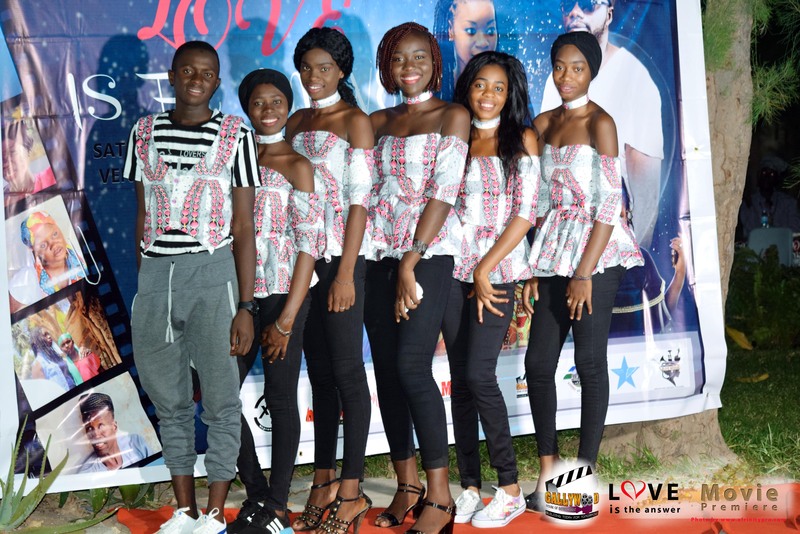 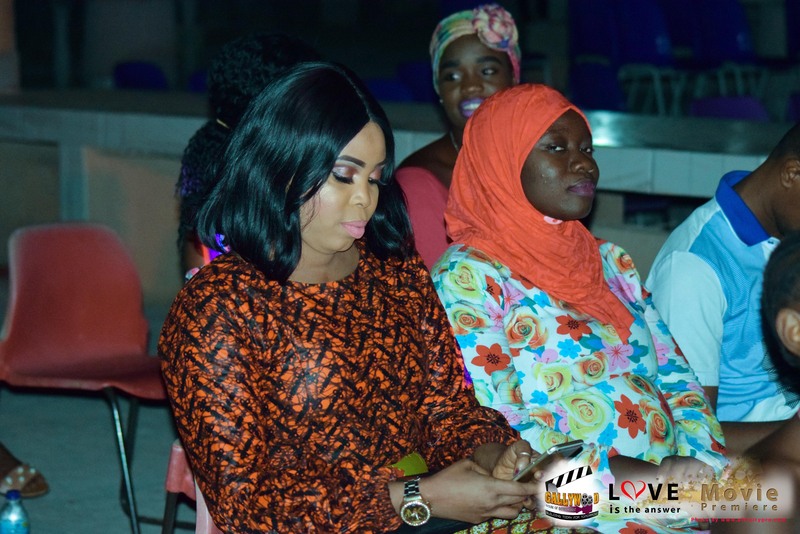 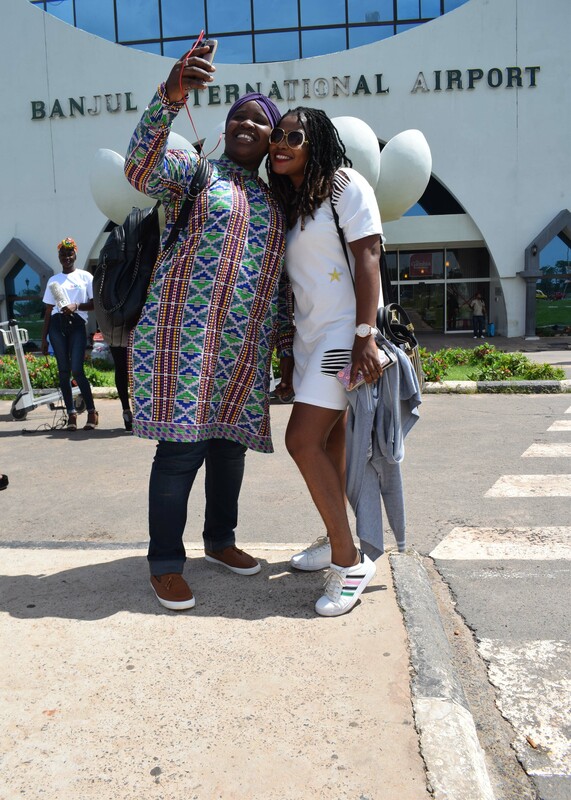 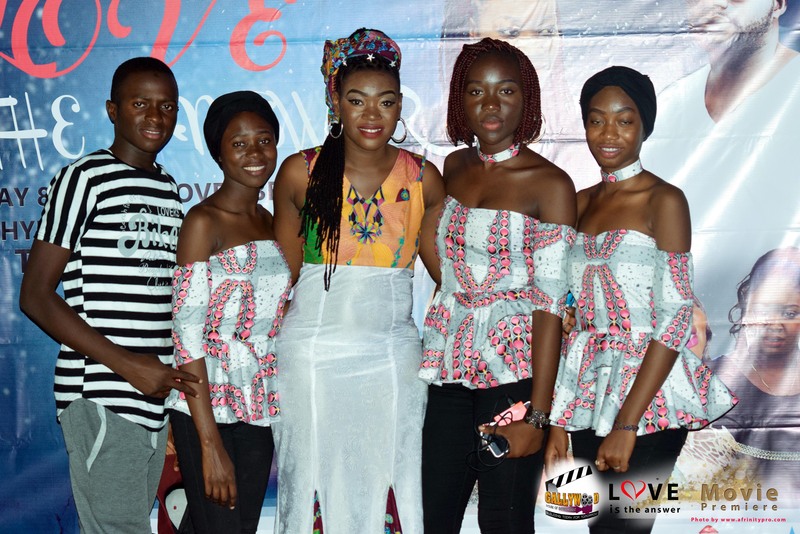 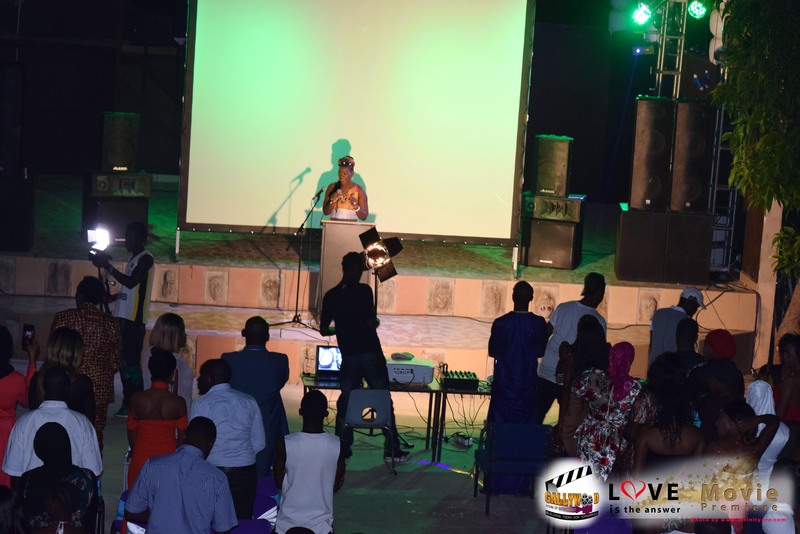 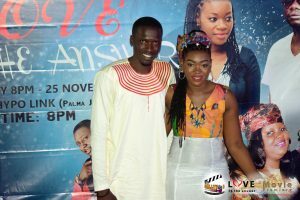 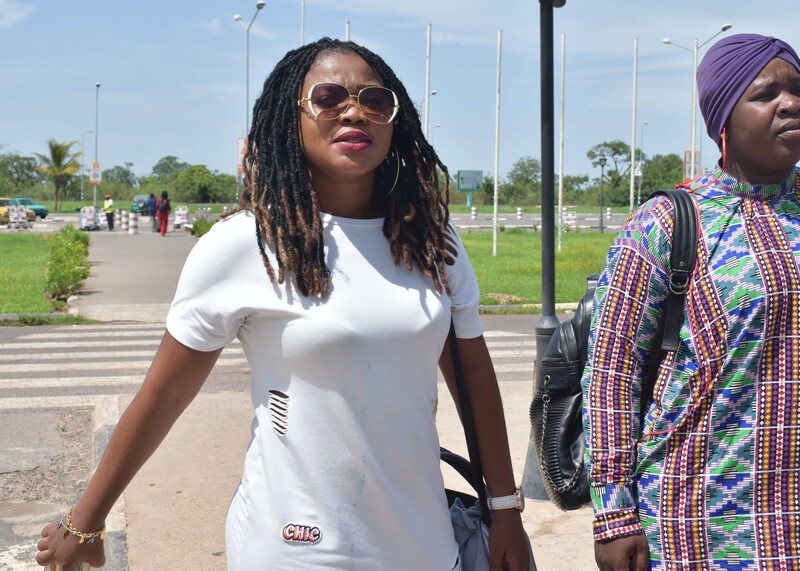 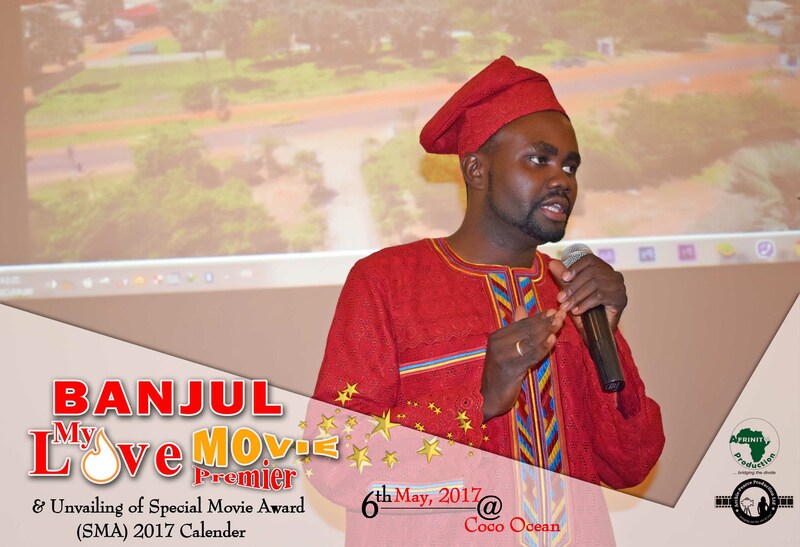 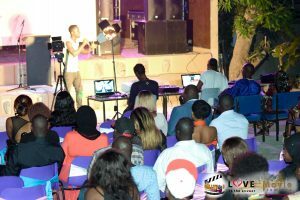 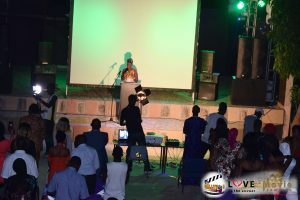 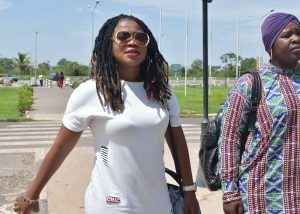 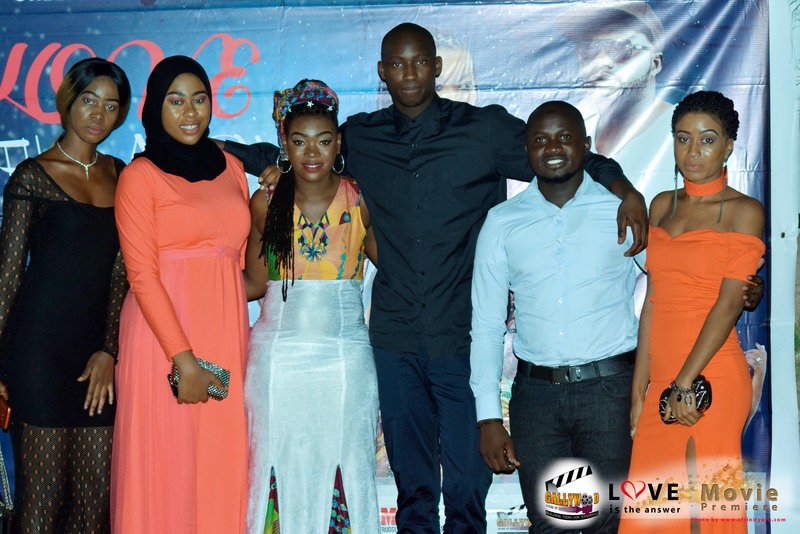 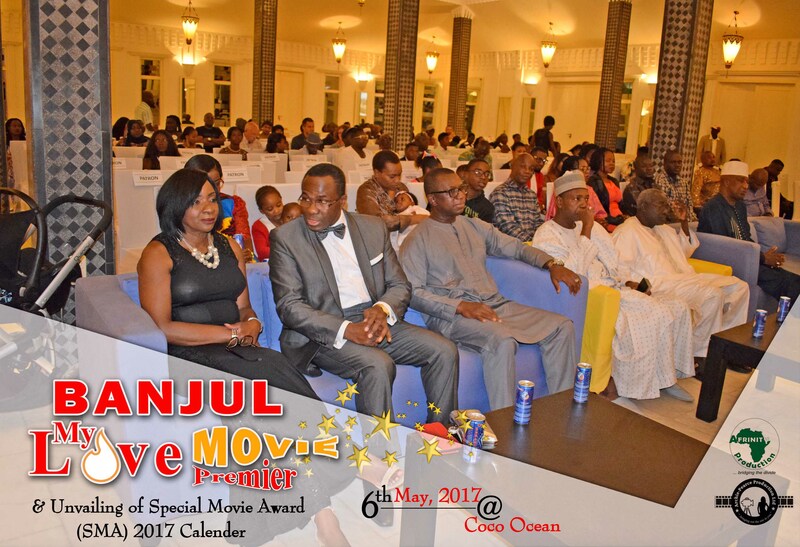 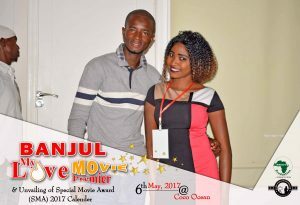 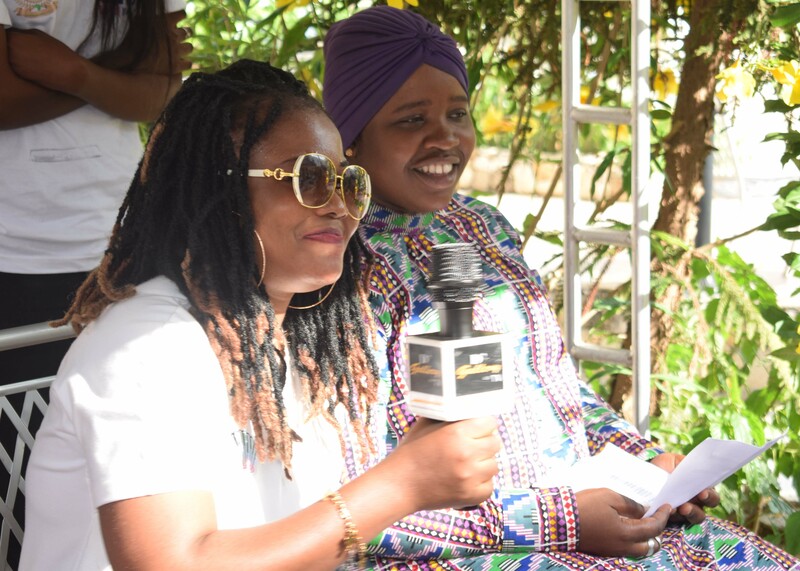 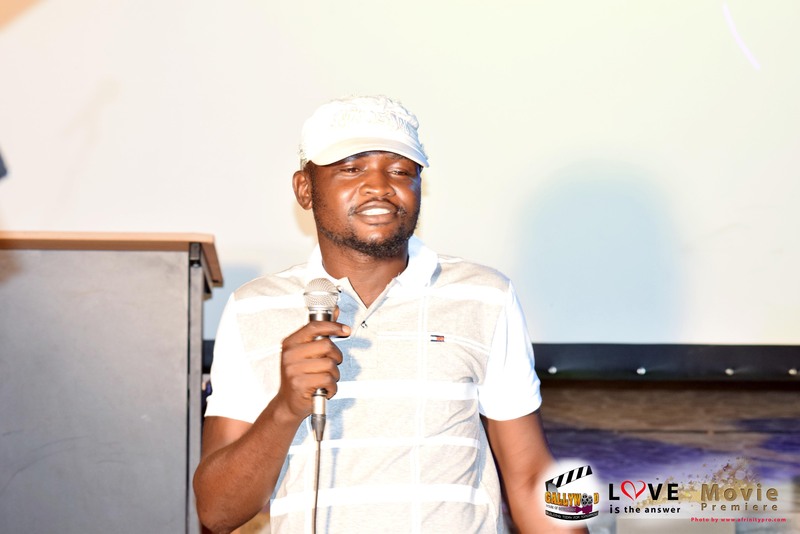 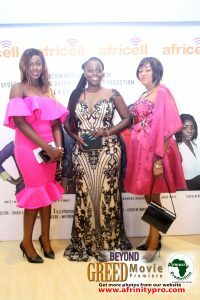 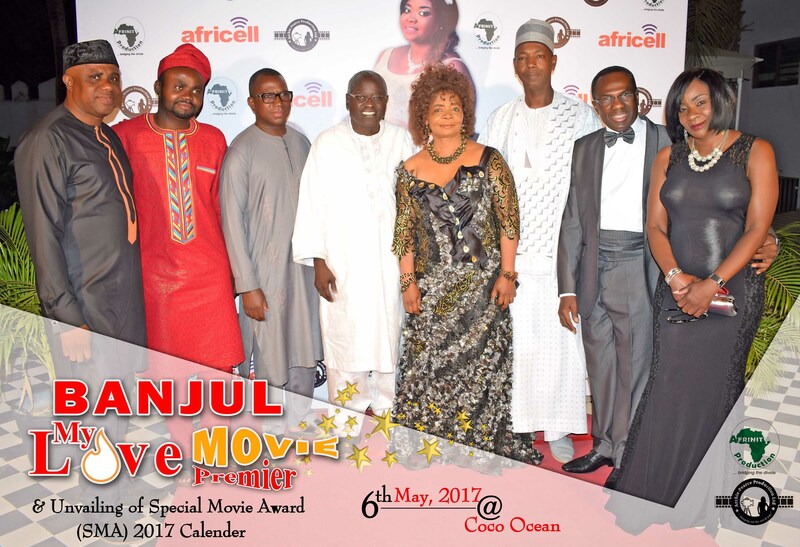 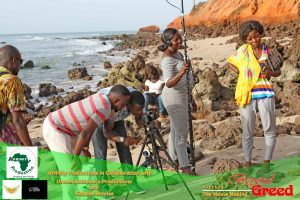 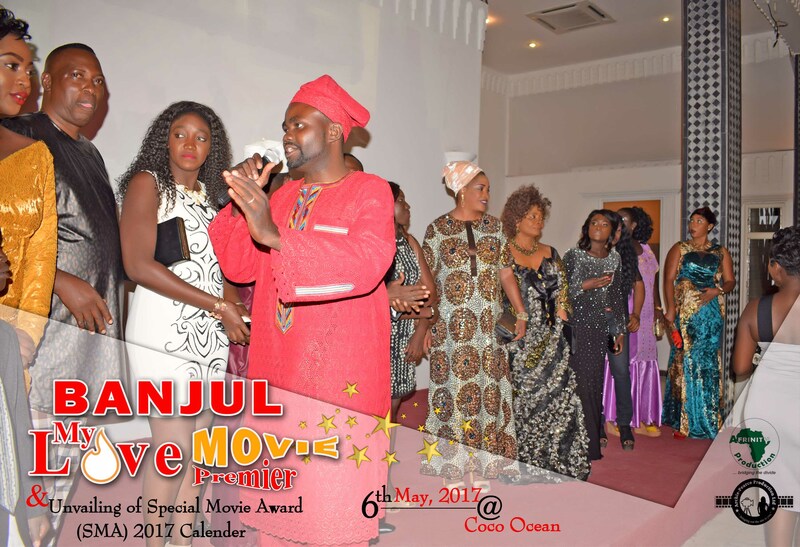 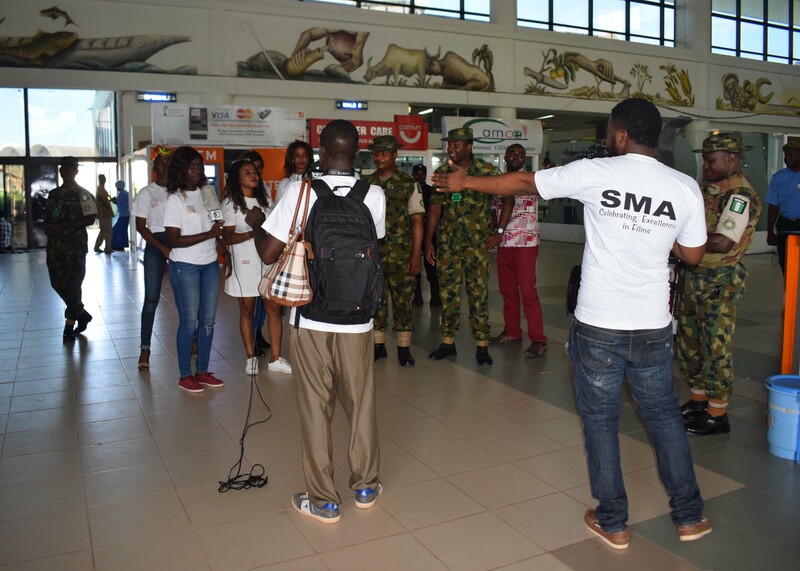 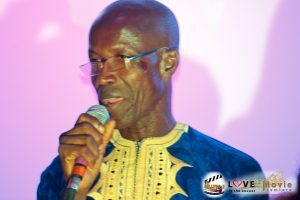 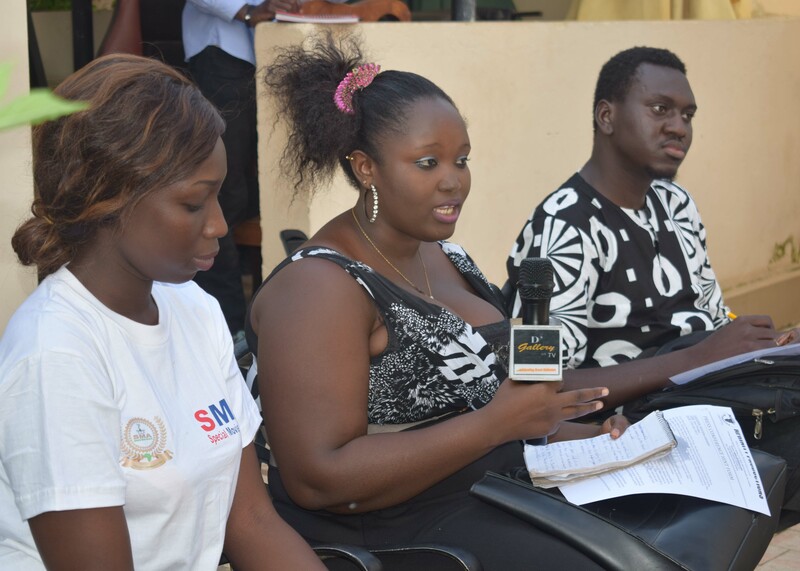 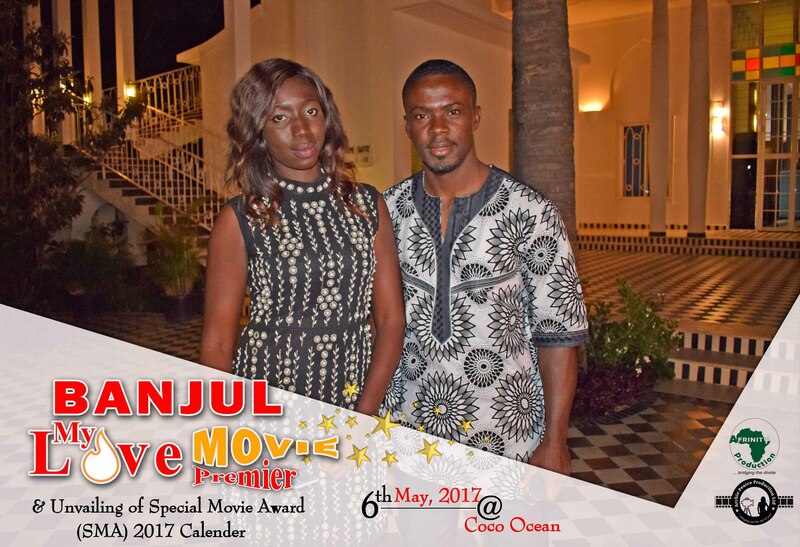 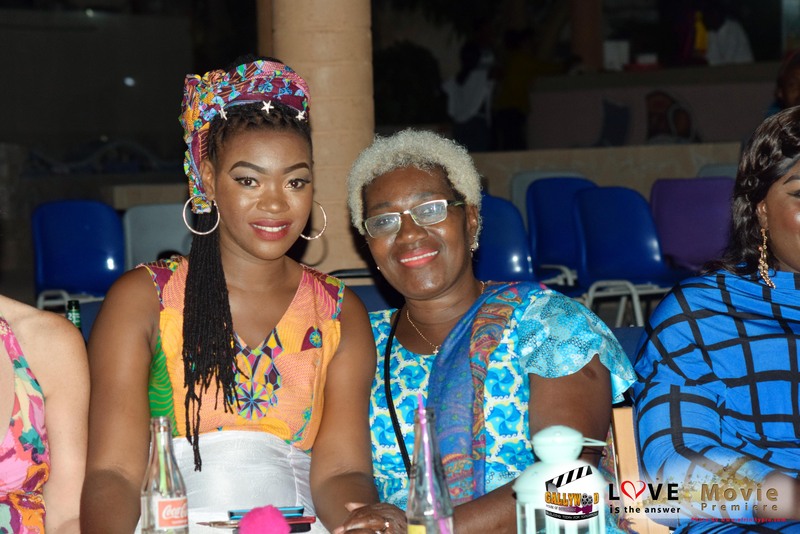 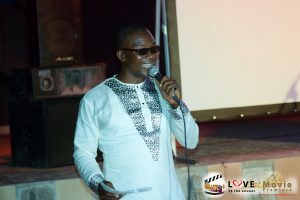 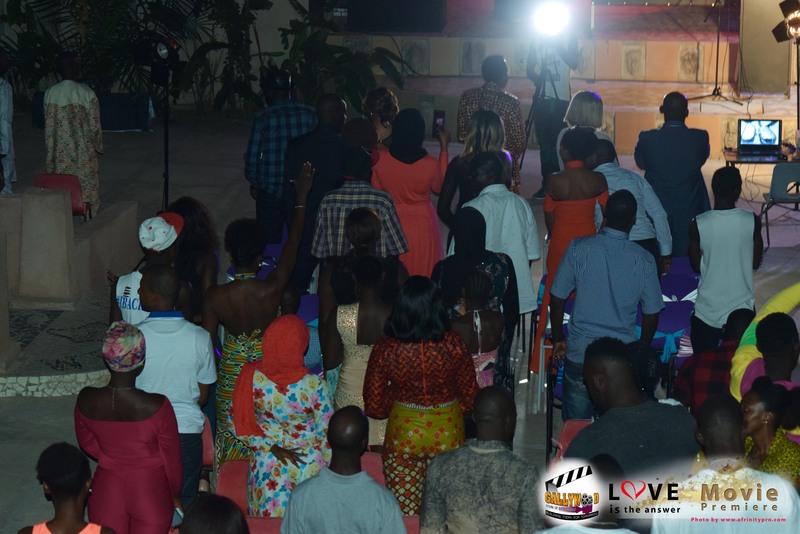 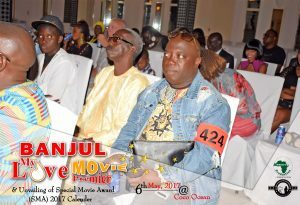 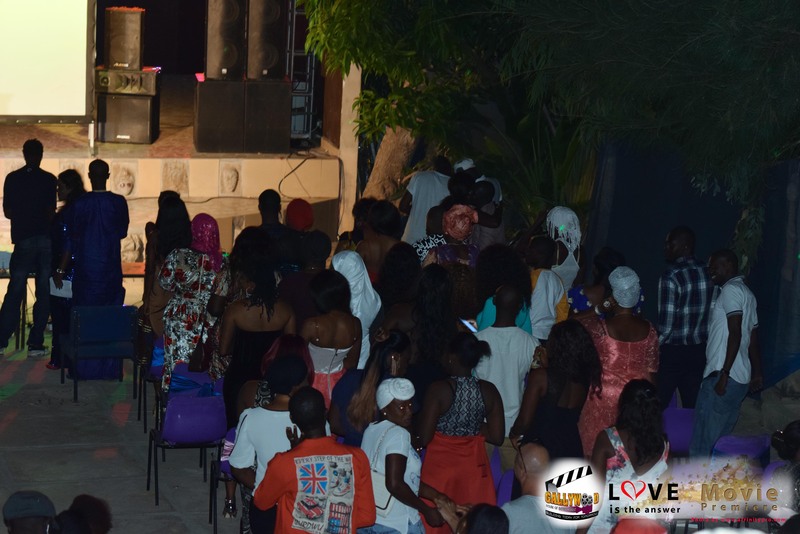 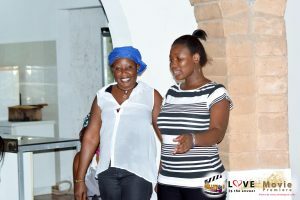 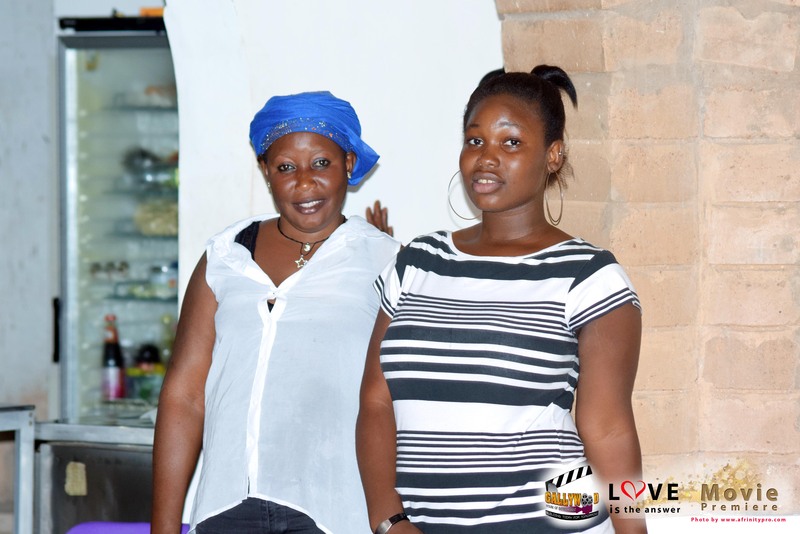 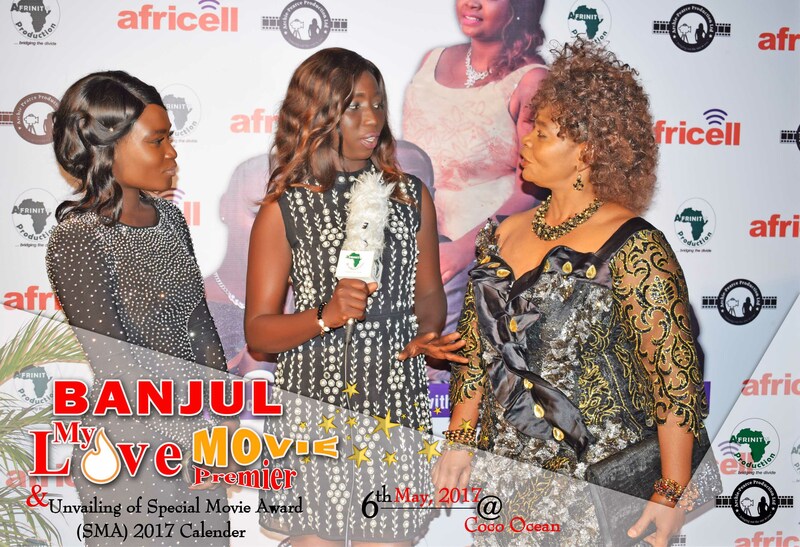 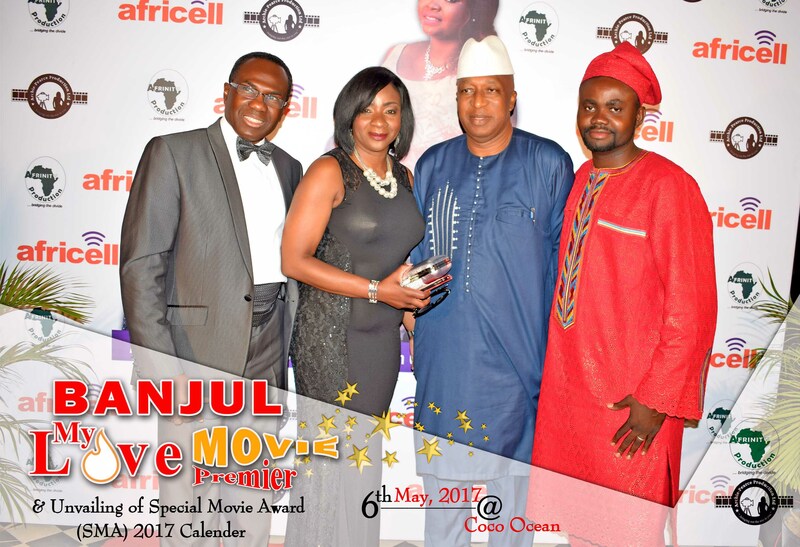 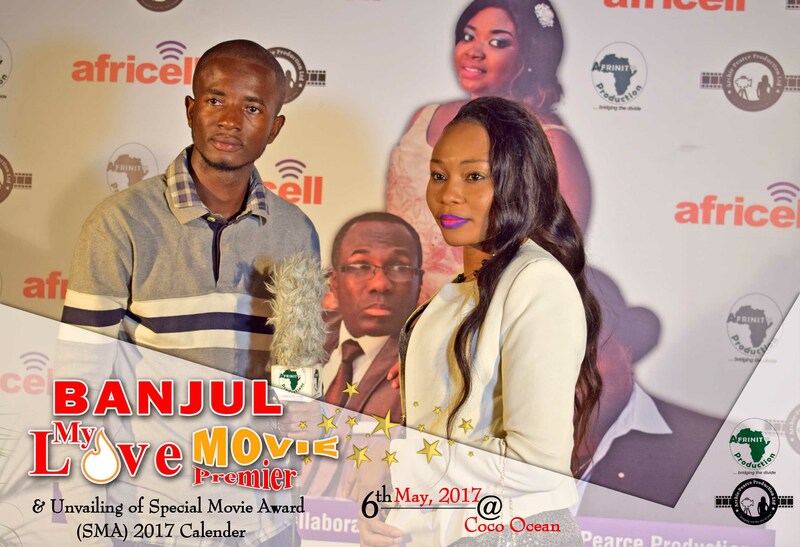 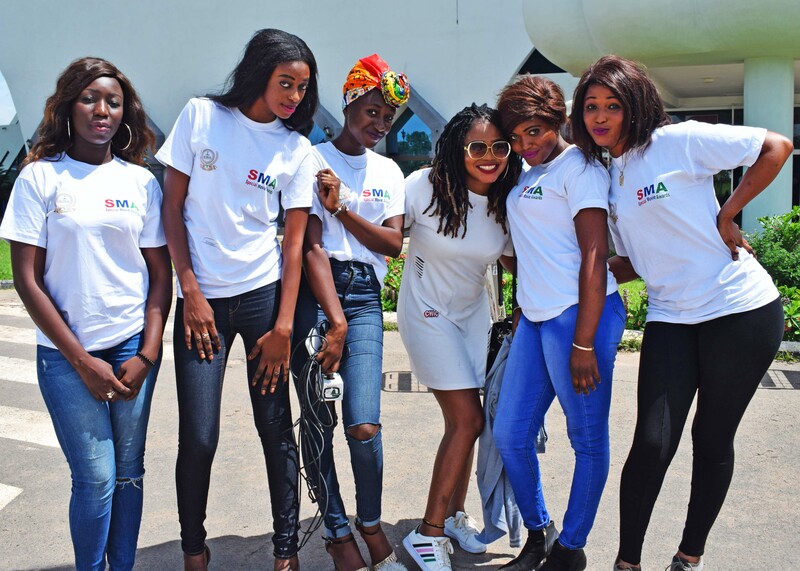 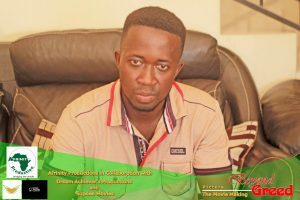 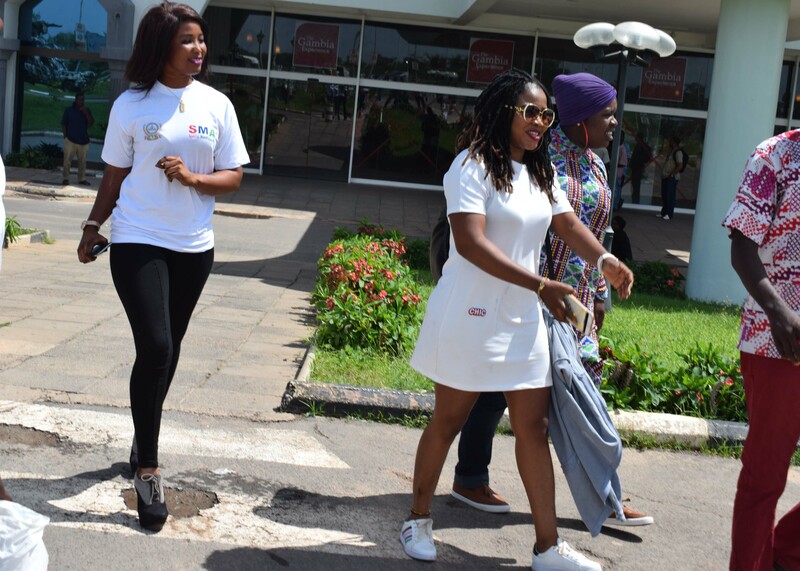 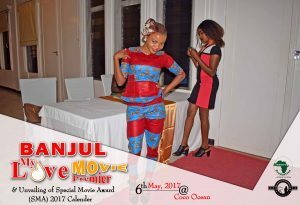 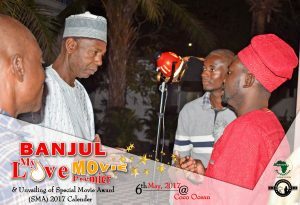 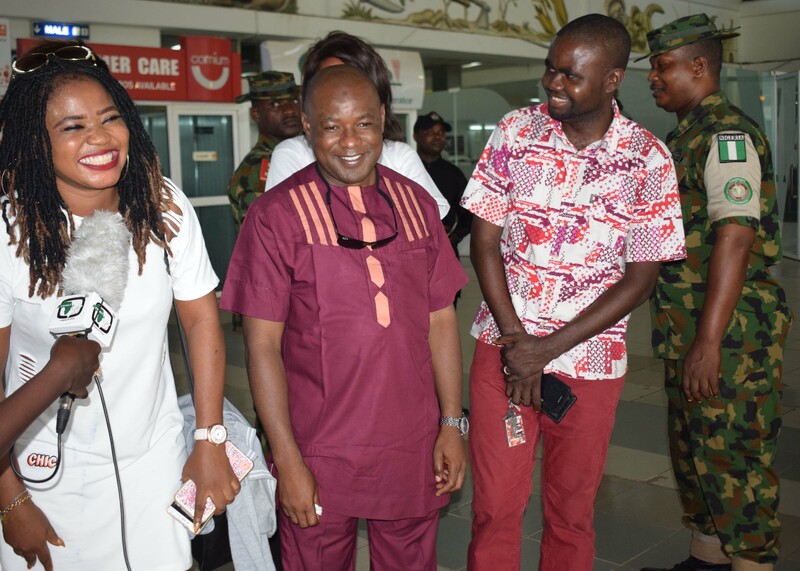 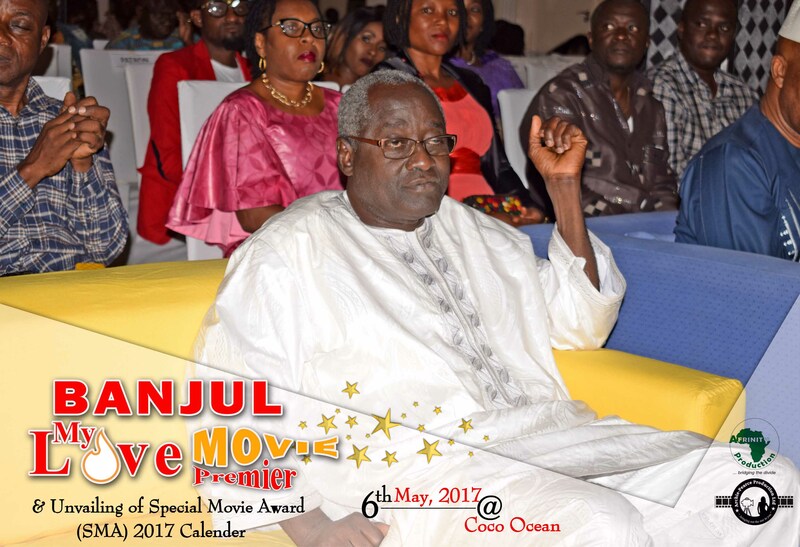 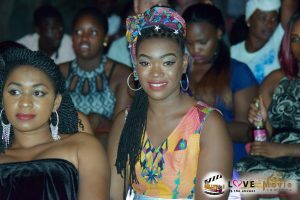 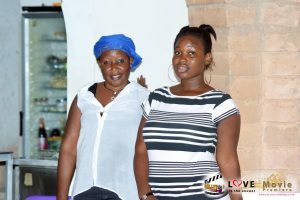 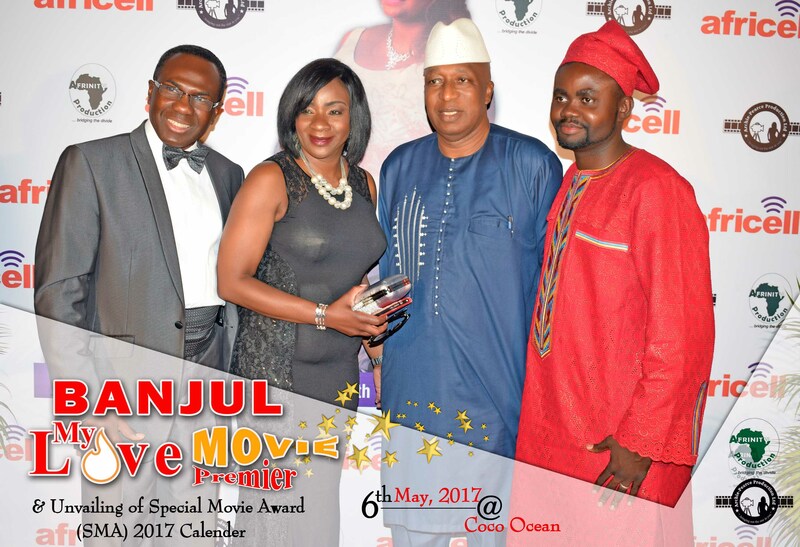 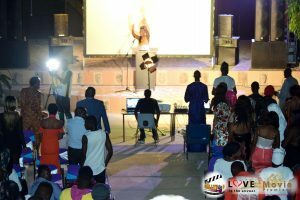 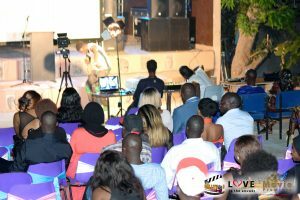 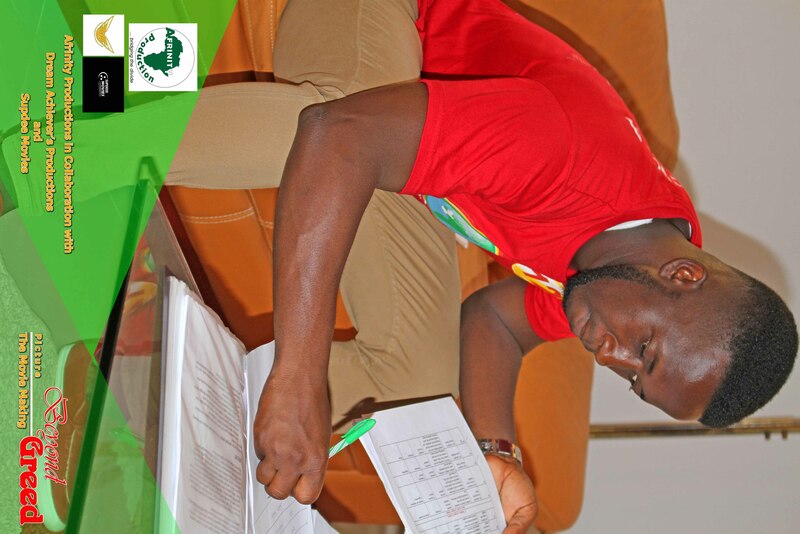 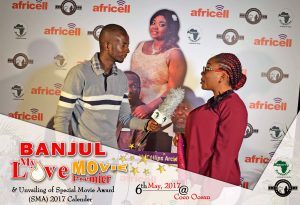 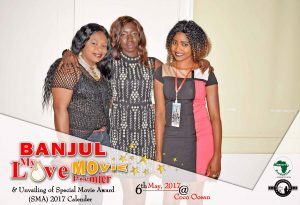 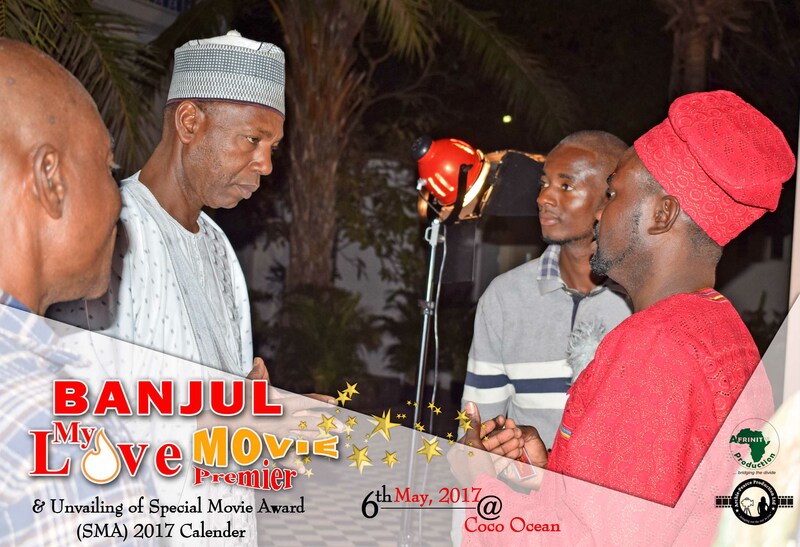 The aim is to promote Gambian content across the globe, help expand the reach of their content beyond the Gambian border and make it available to a more diverse customer base. 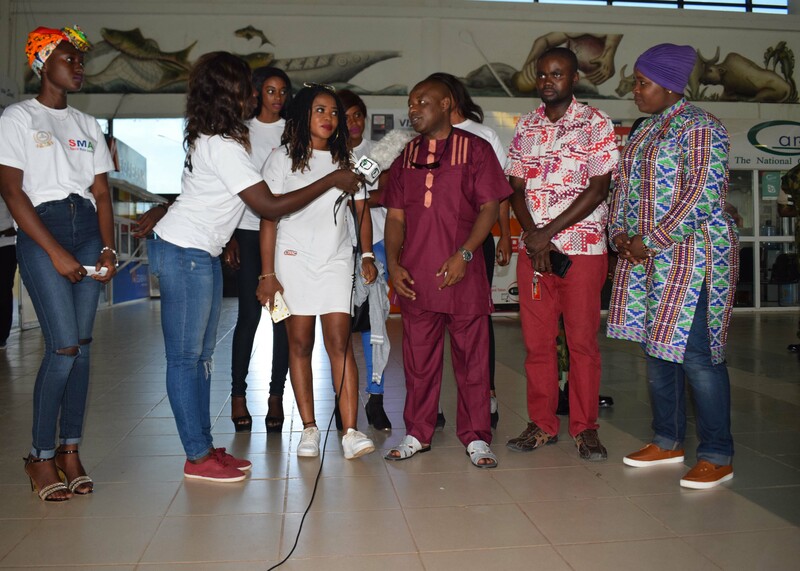 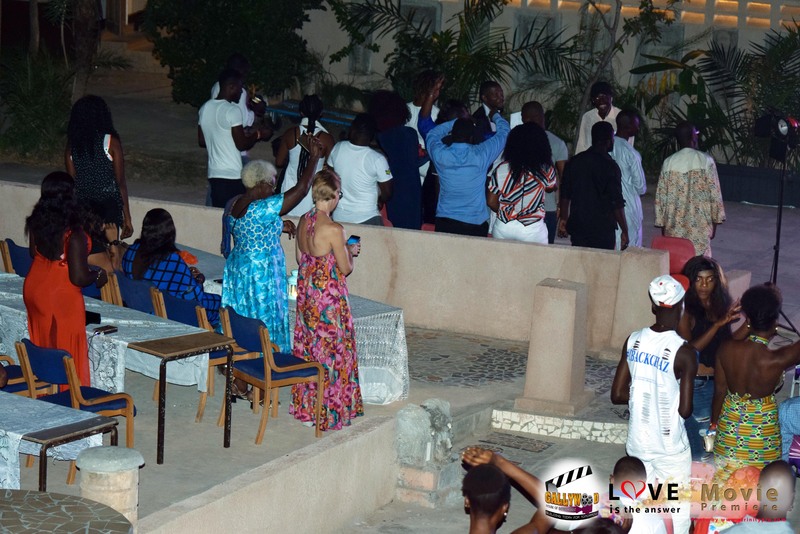 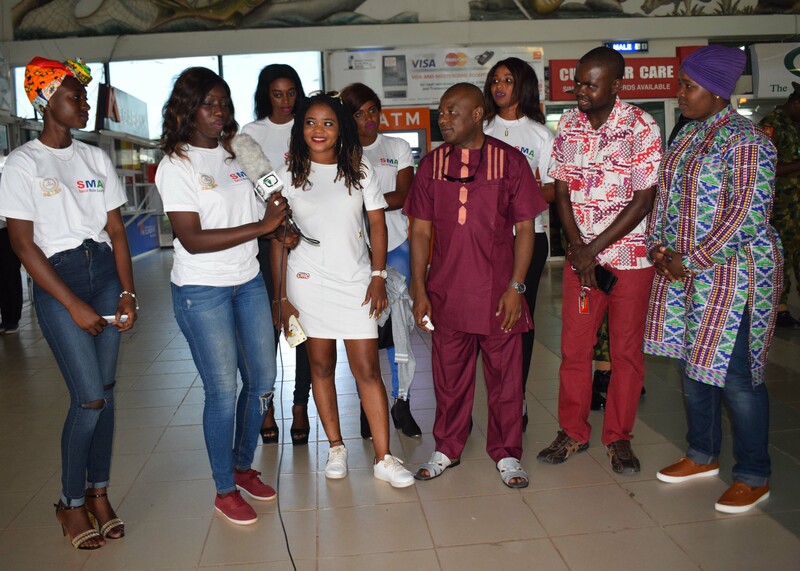 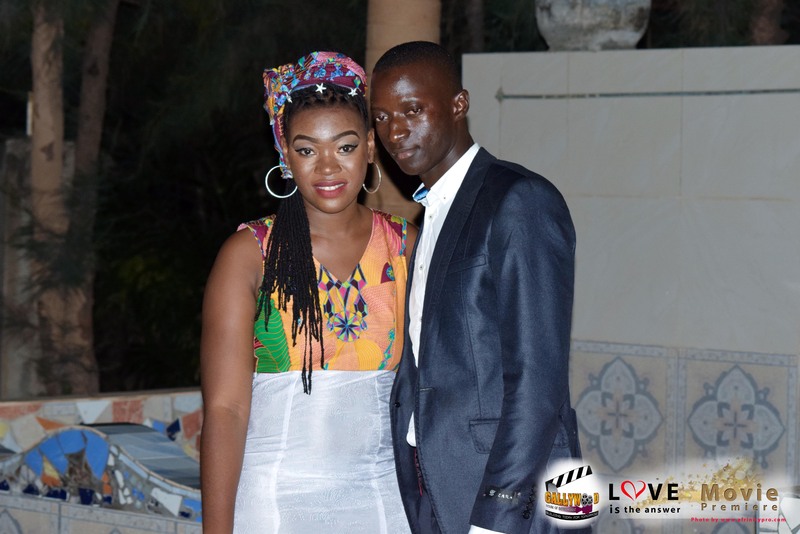 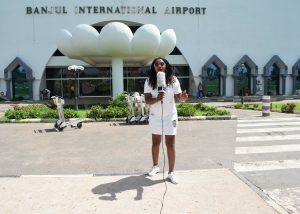 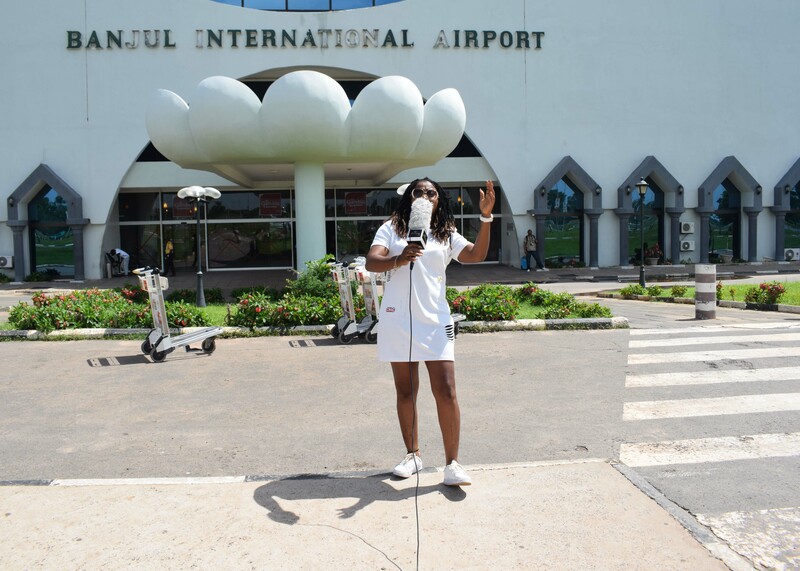 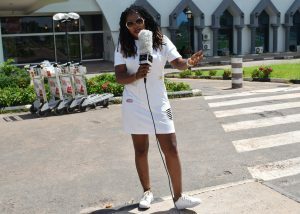 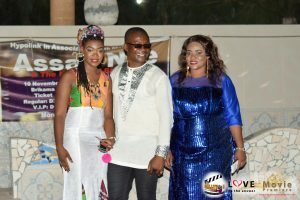 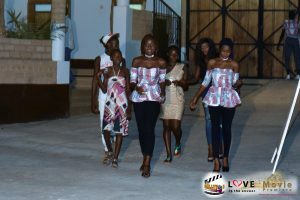 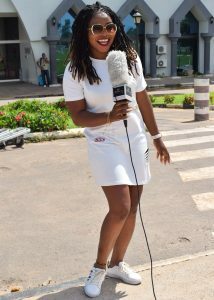 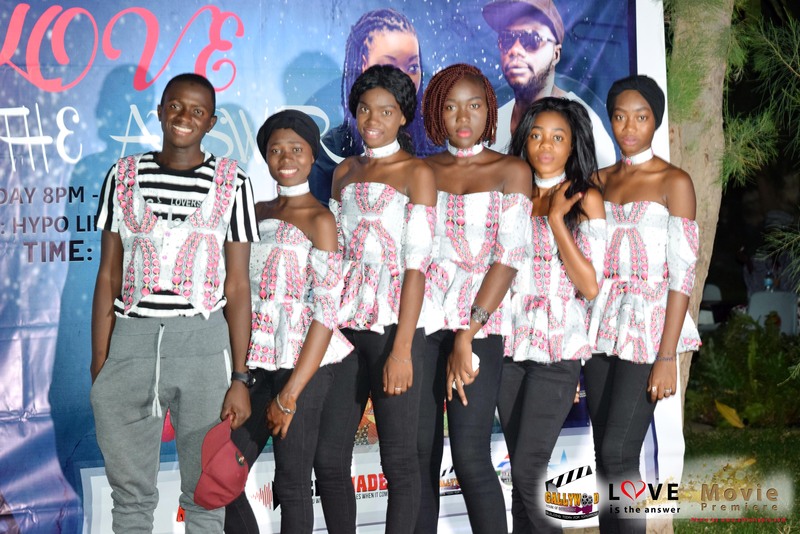 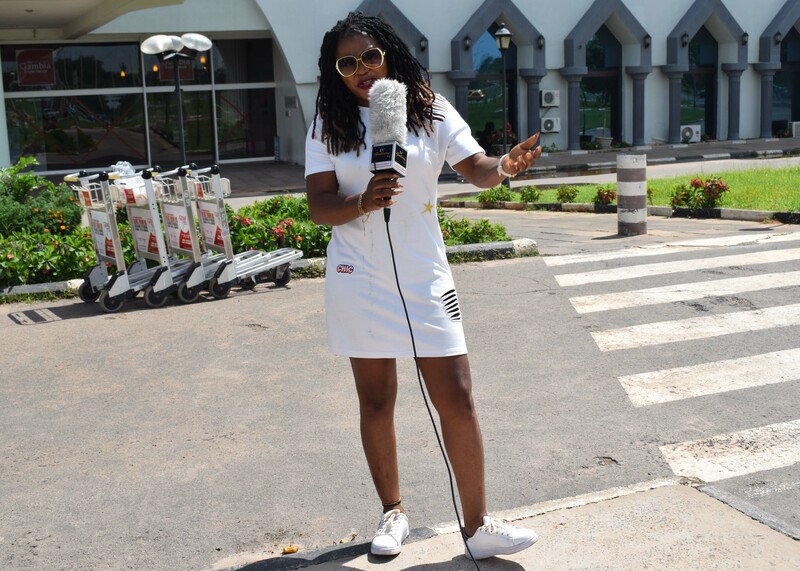 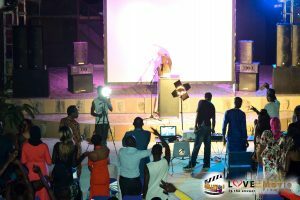 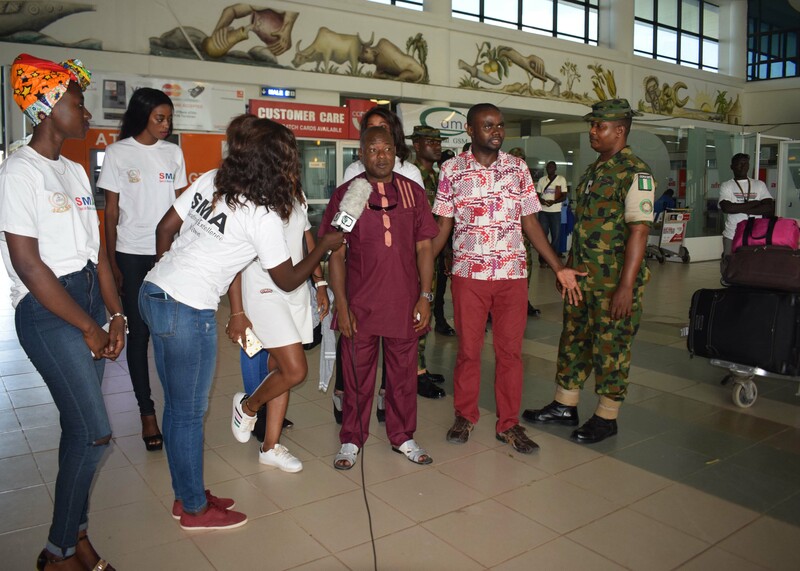 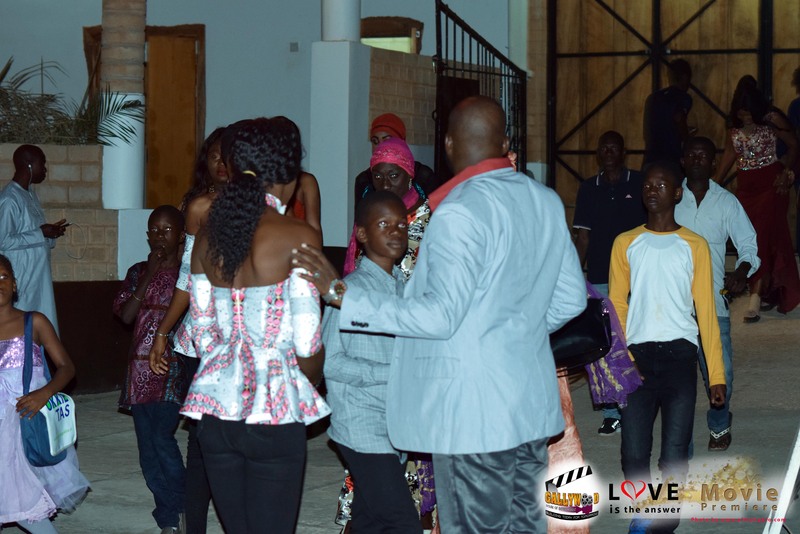 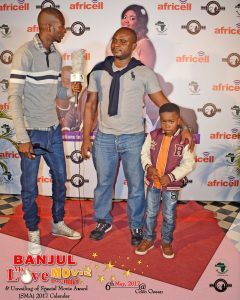 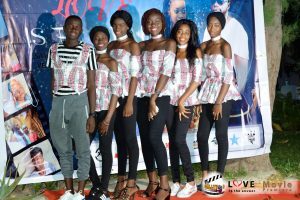 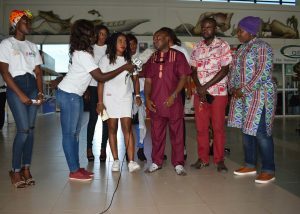 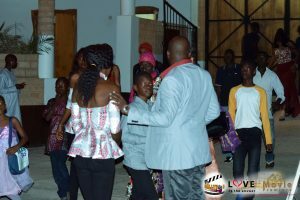 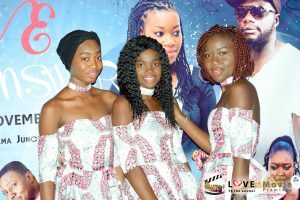 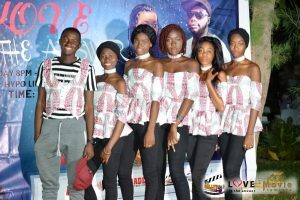 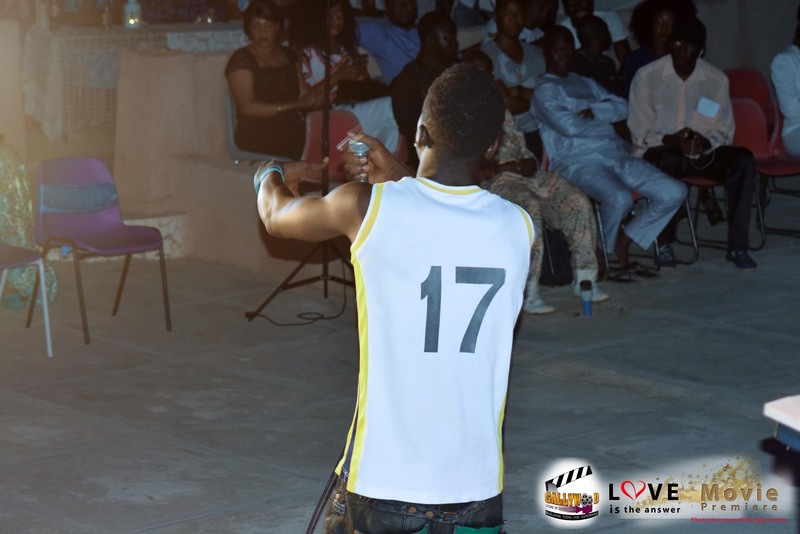 Waazi TV serves as a medium for exporting Gambian culture, brands and productions to parts of the world never thought of before. 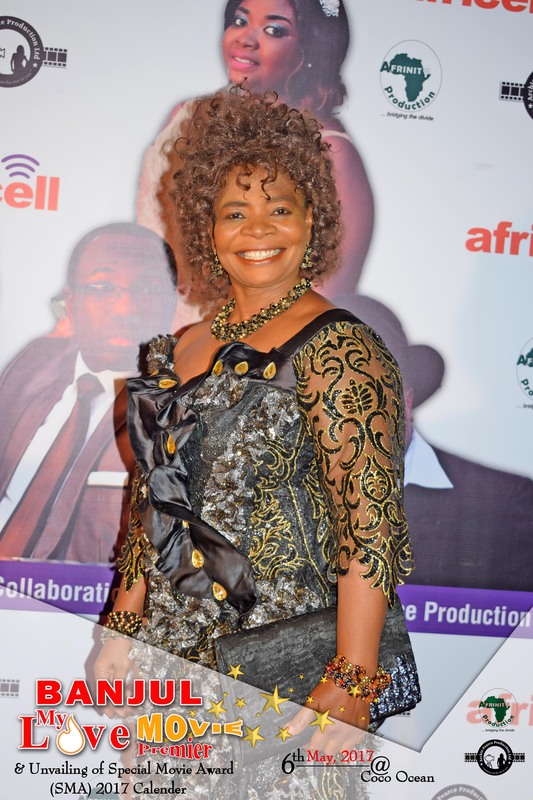 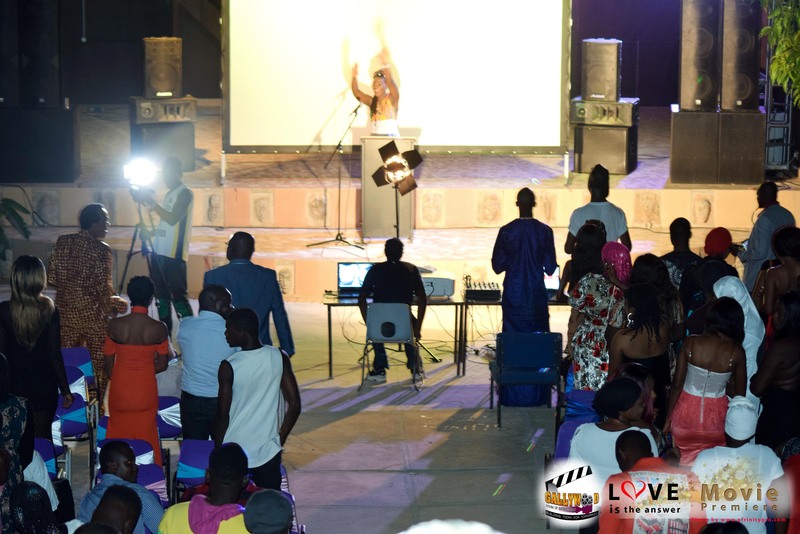 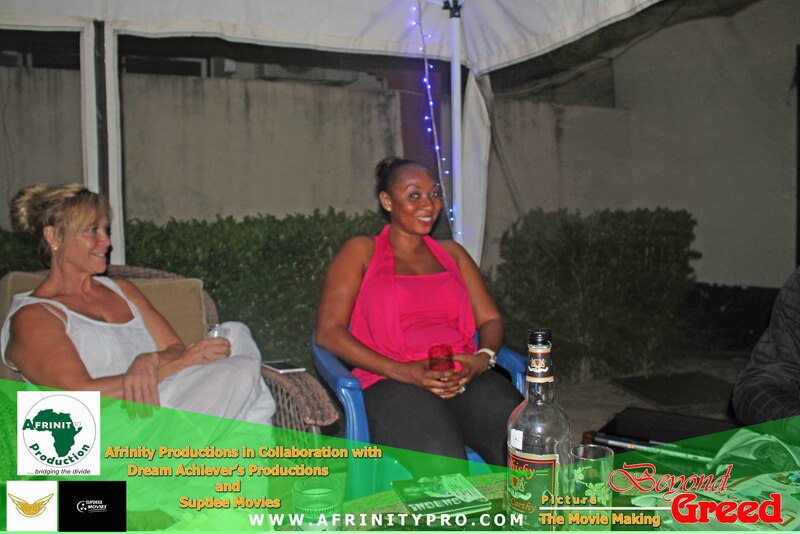 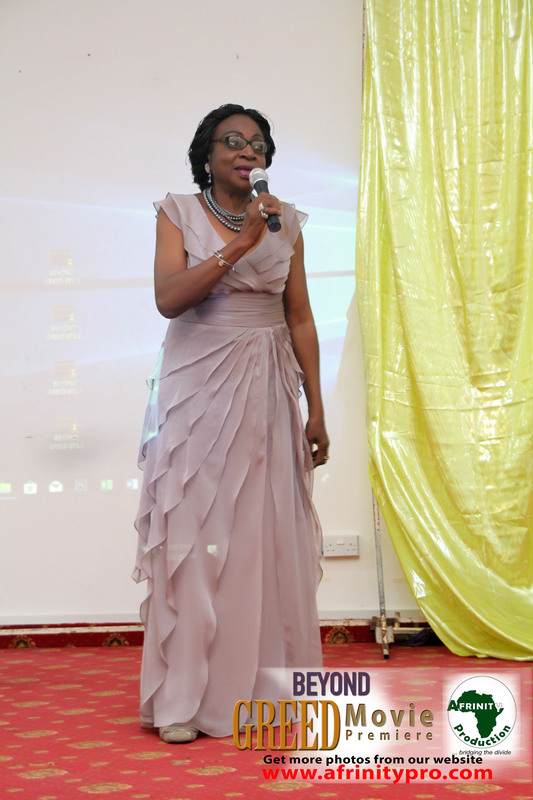 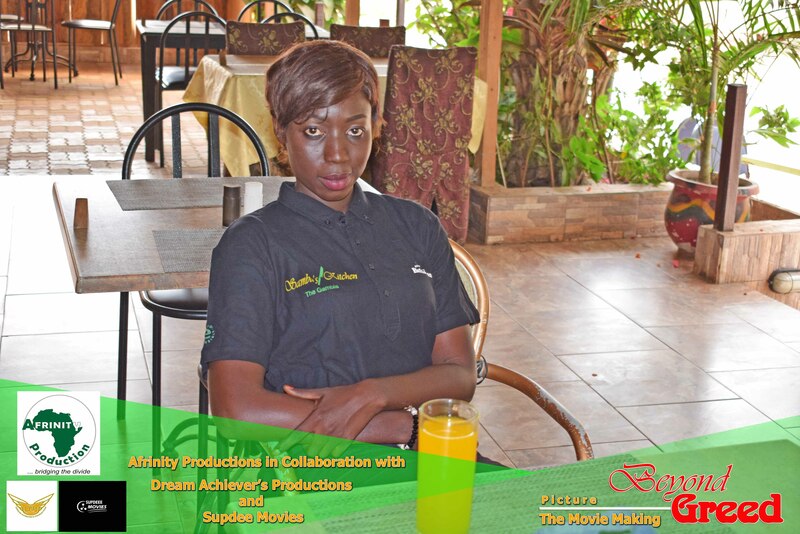 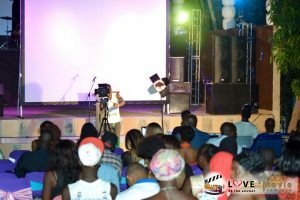 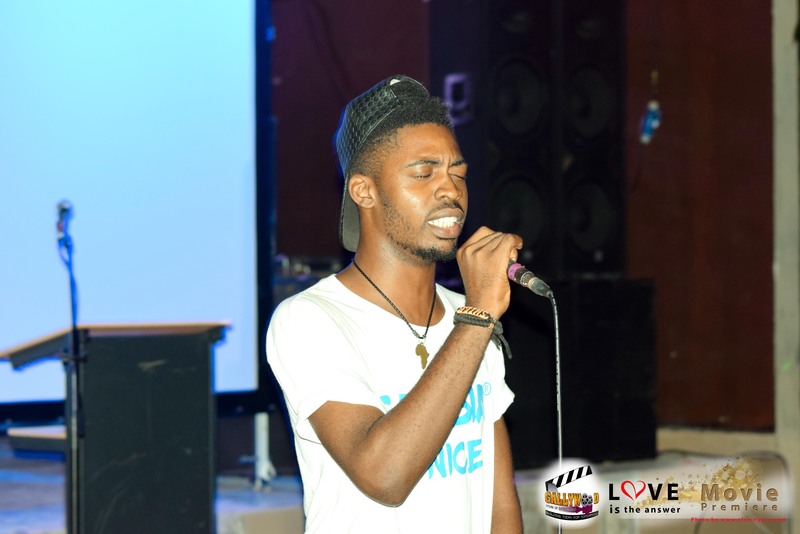 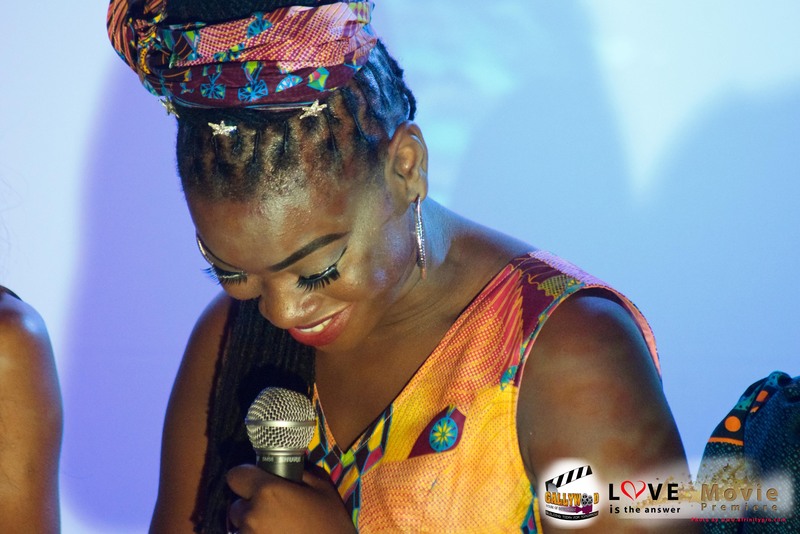 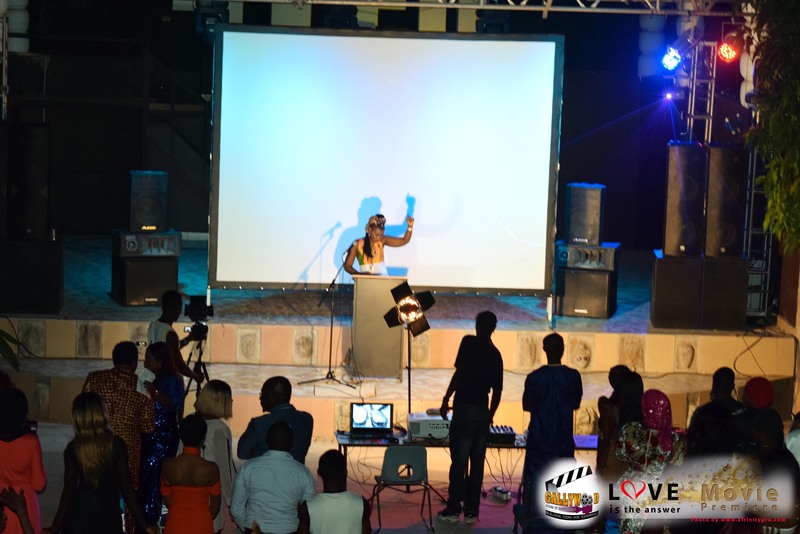 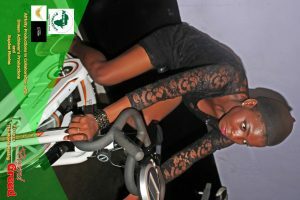 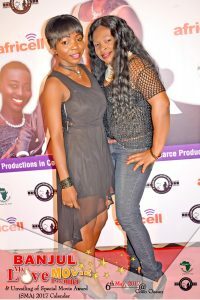 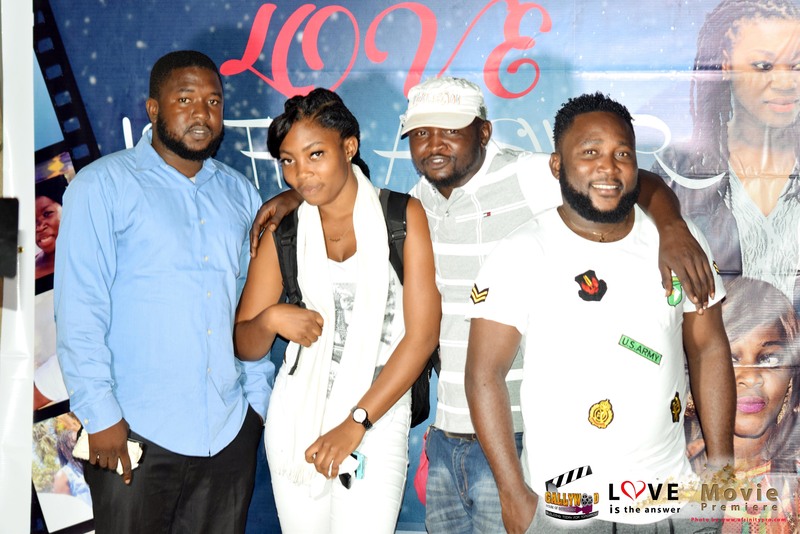 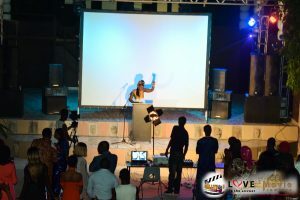 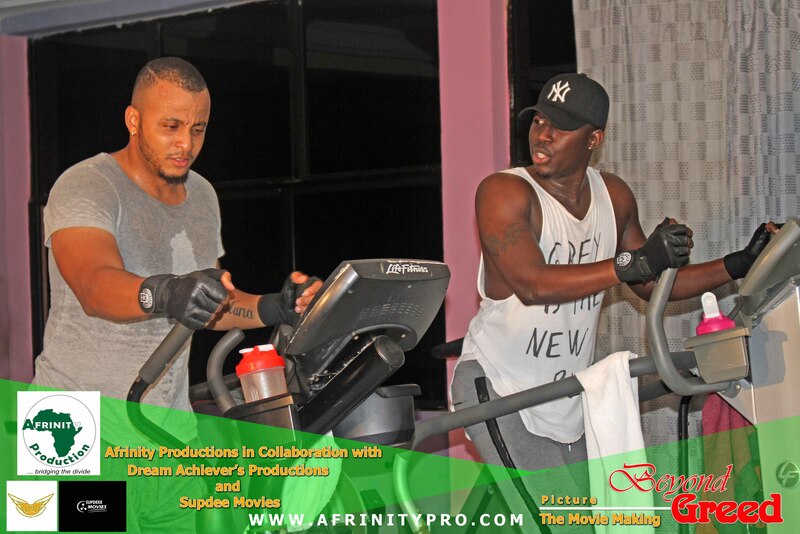 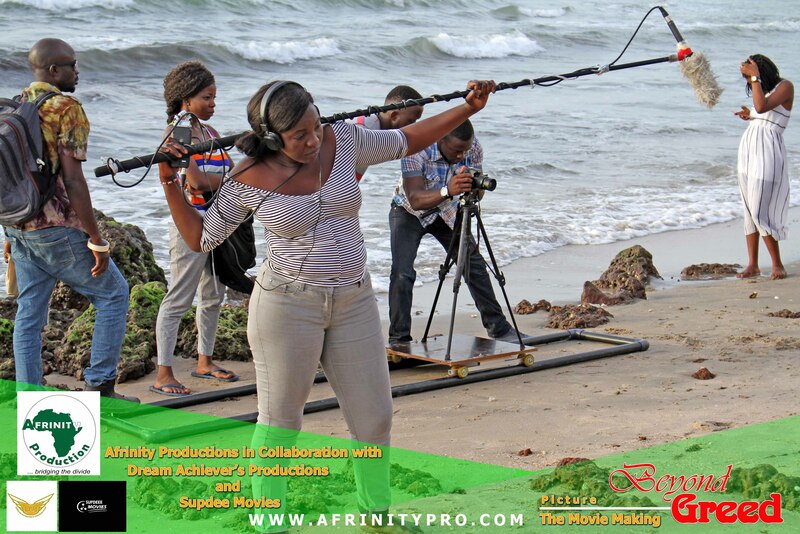 Afrinity Productions is a Pan-African specialist one stop shop interactive media, event and content management. 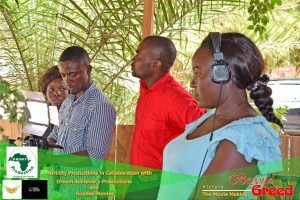 We have mastered the art of creating fantastic formats and turning them into exciting experiences on media touch points like Television, Radio, Mobile, Internet and Print. We provide brands and advertisers with unique value added cost saving brand building & advertising windows to connect with target markets in a meaningful, significant & sustainable way. 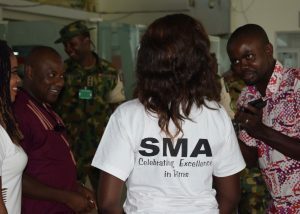 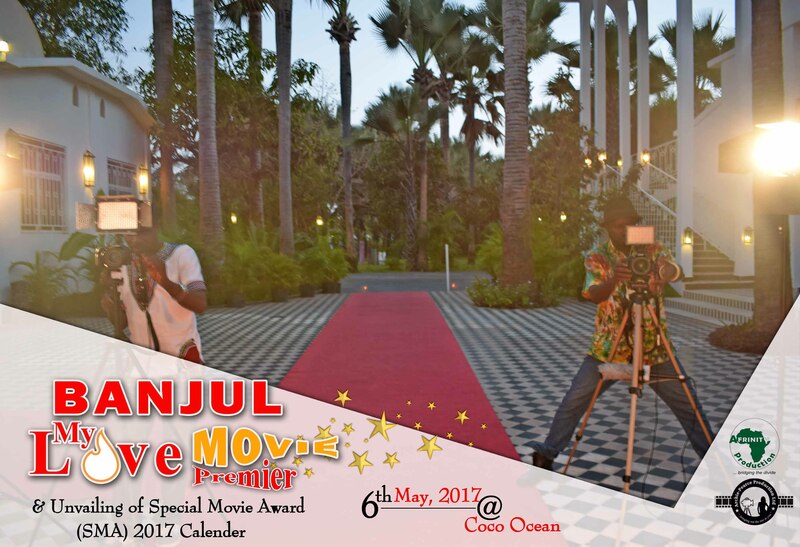 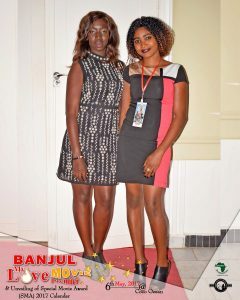 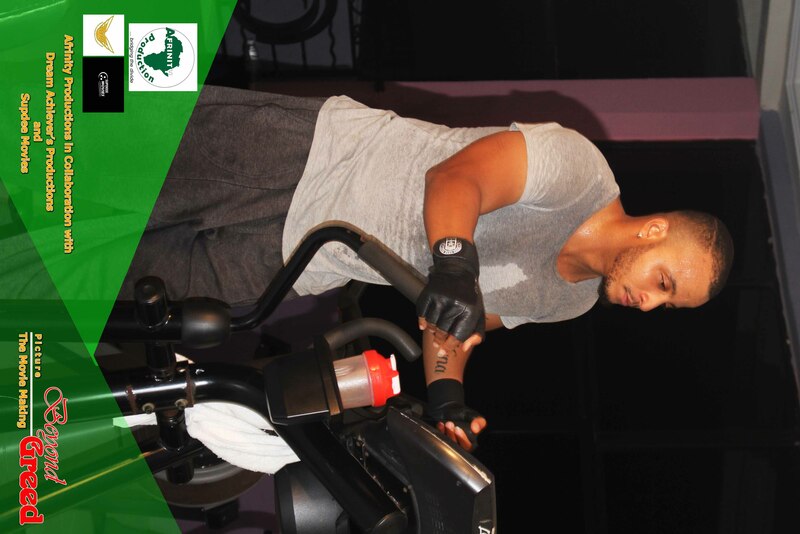 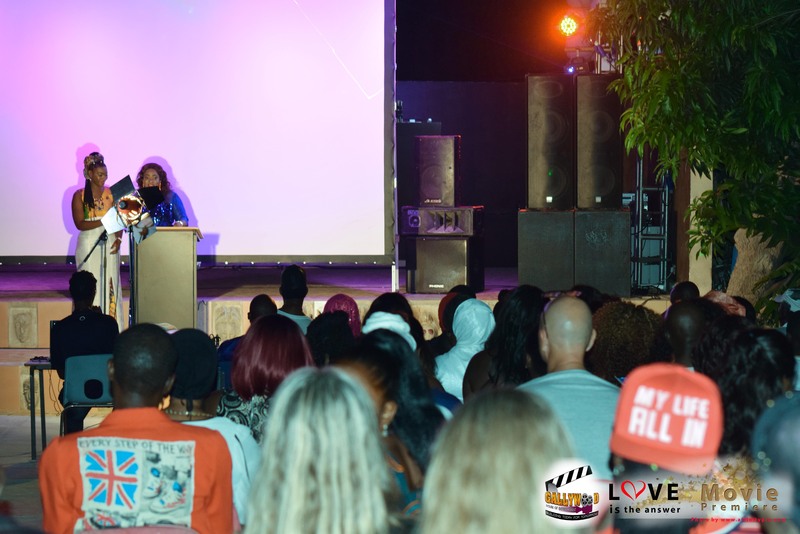 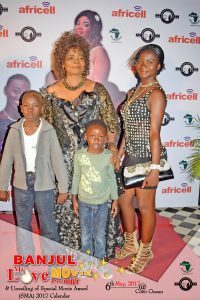 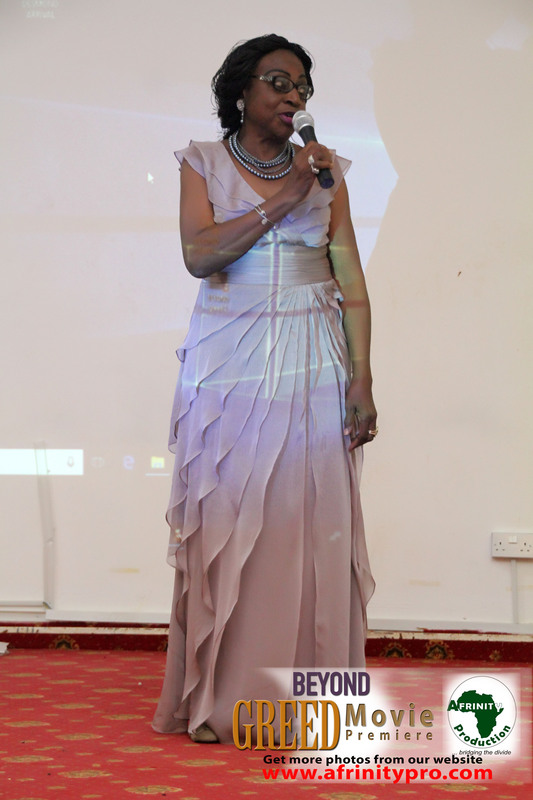 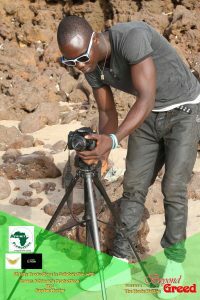 Our Media house produces feature stories, series programs, documentaries, films and photography. 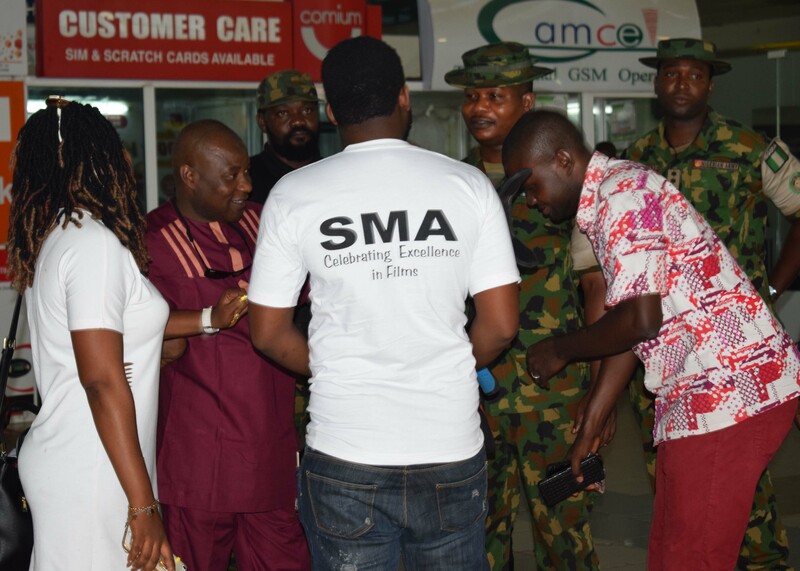 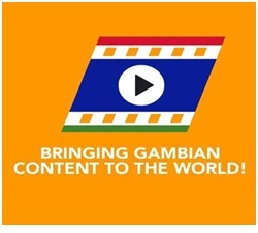 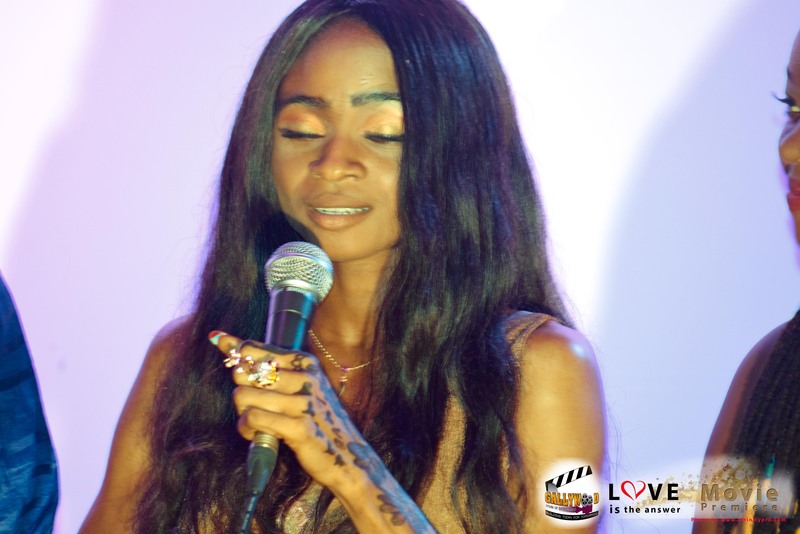 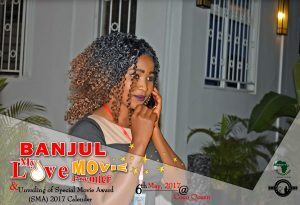 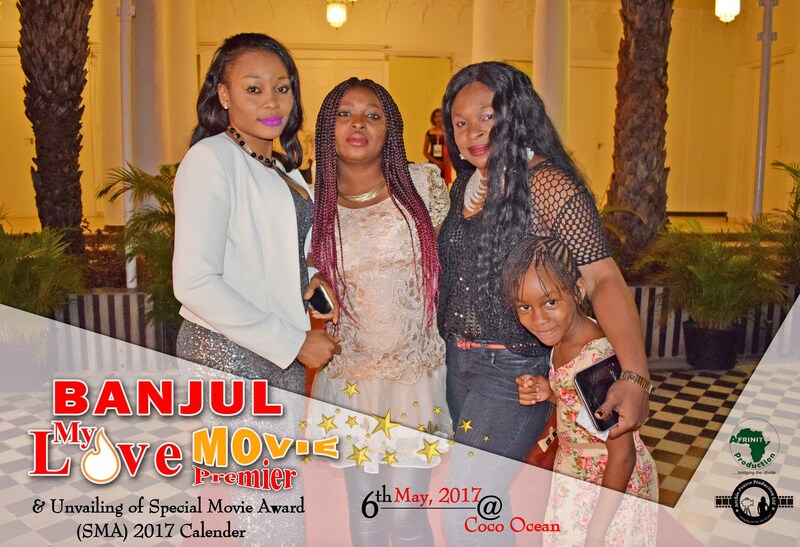 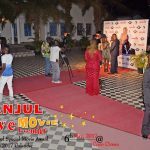 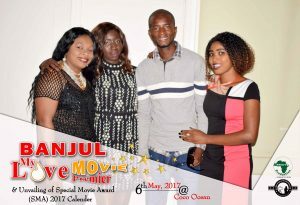 We have also established partnerships with top media organizations like Gamcel, Gambia Chambers of Commerce and Industry etc and other reputable organizations from around the globe, which provide us with the finest video and still material available anywhere. 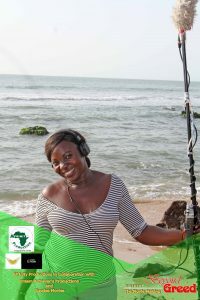 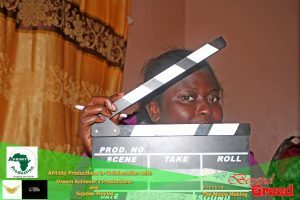 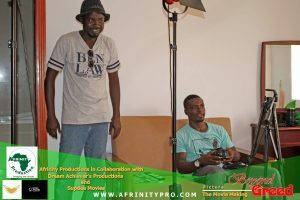 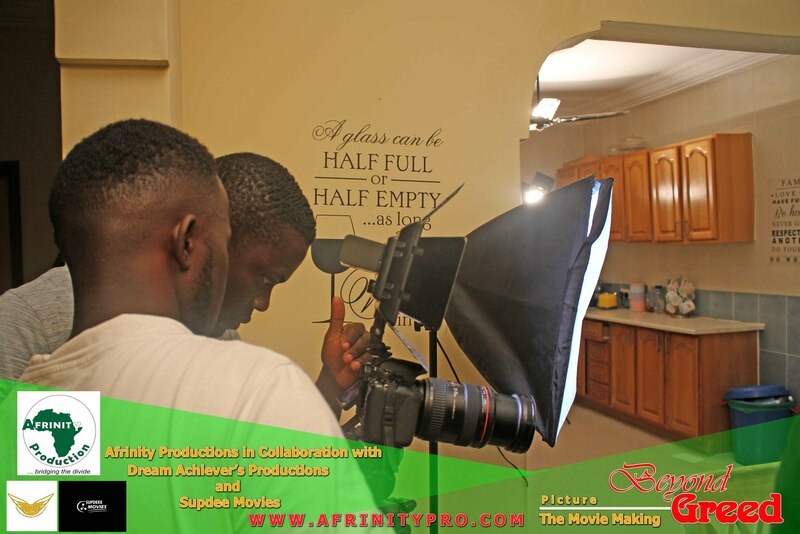 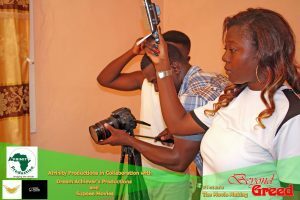 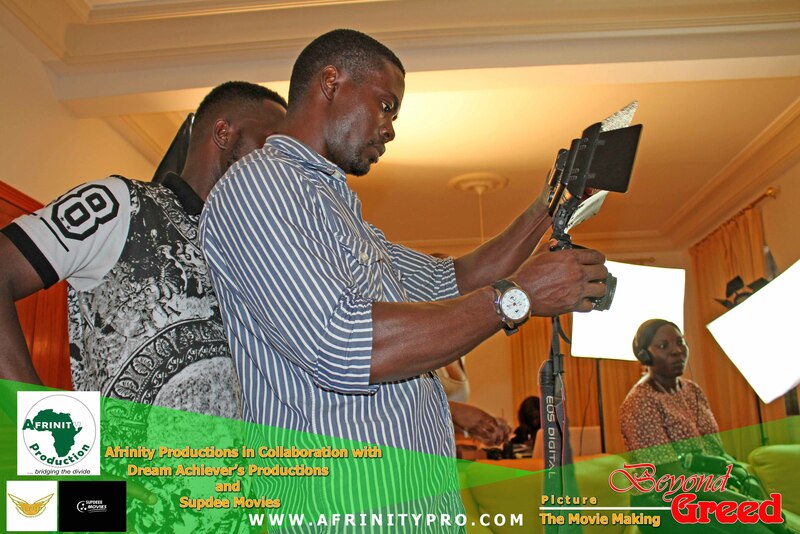 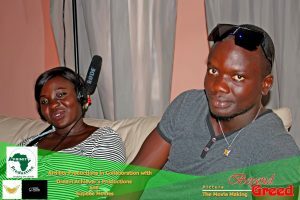 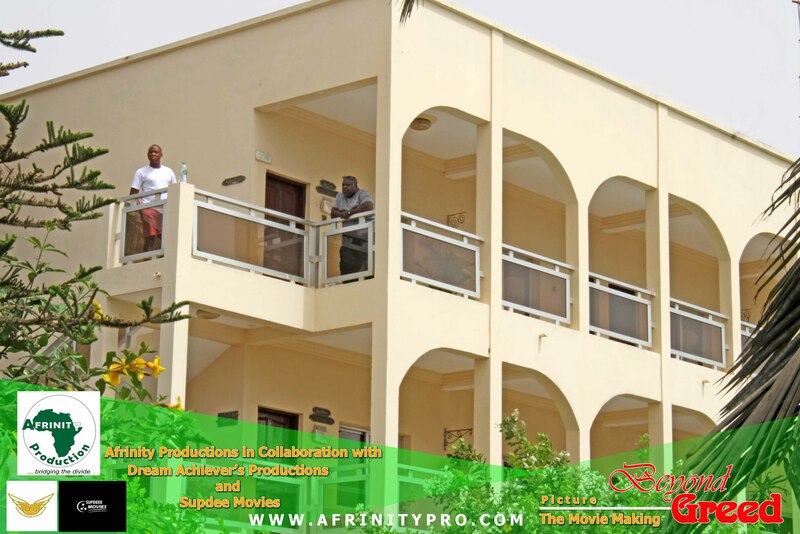 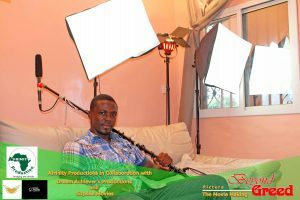 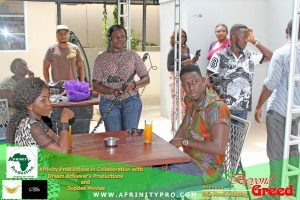 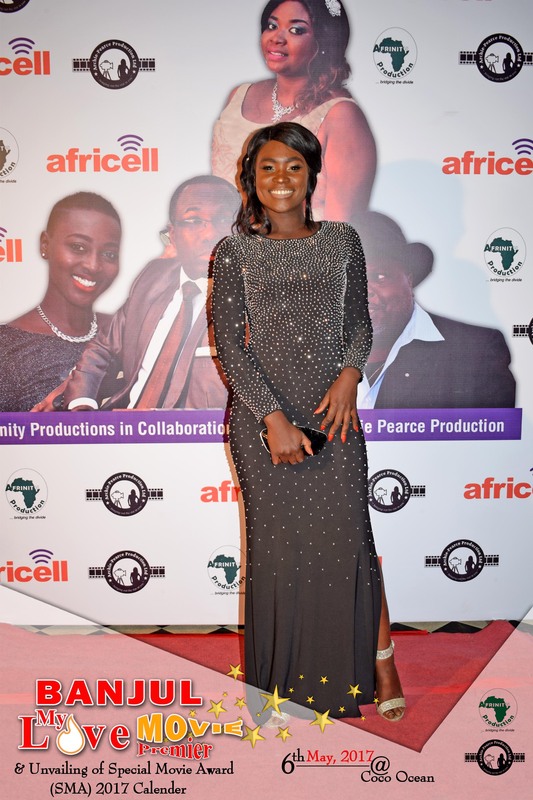 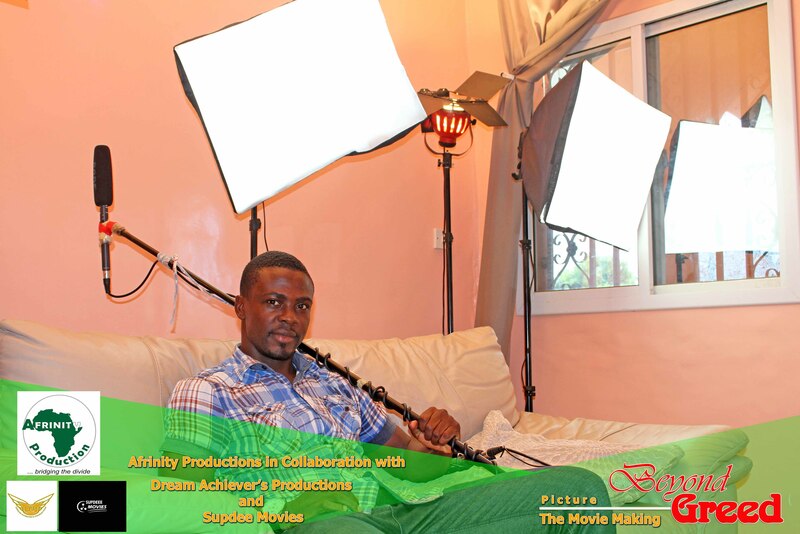 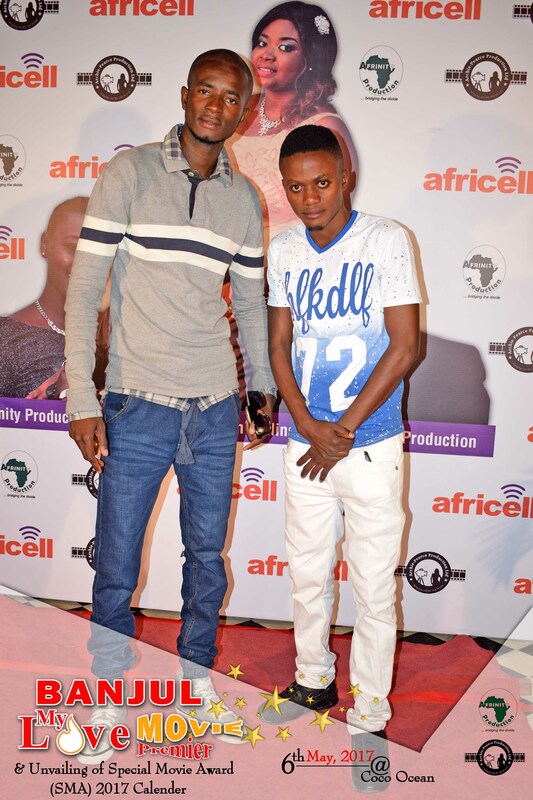 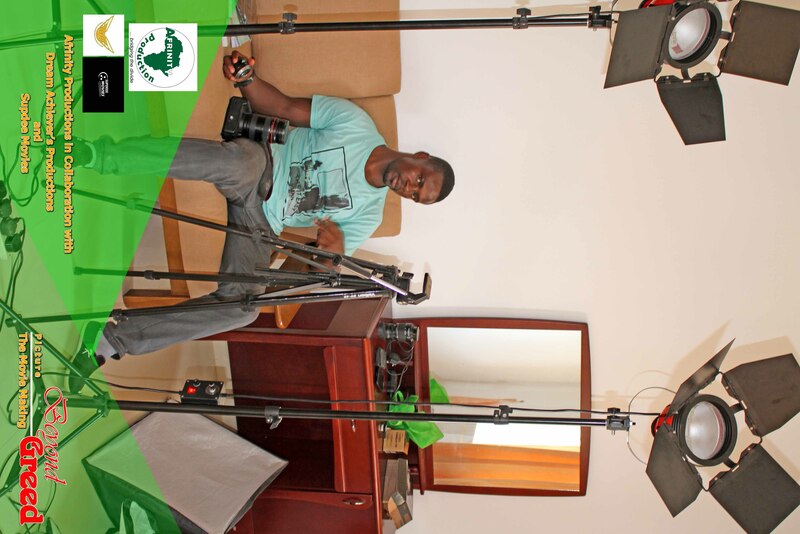 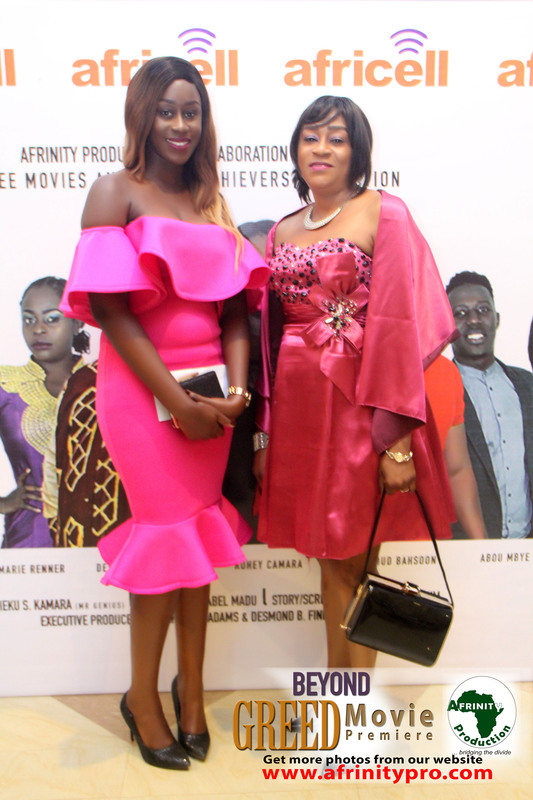 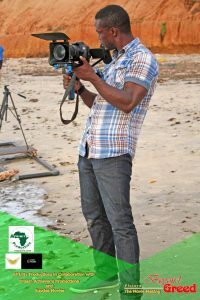 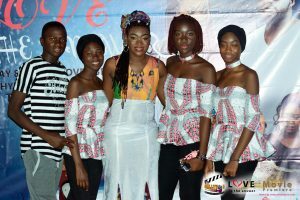 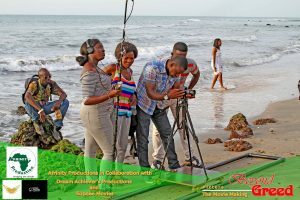 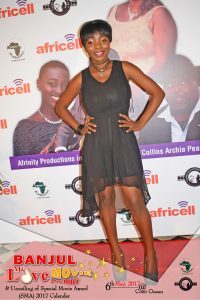 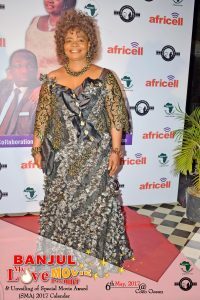 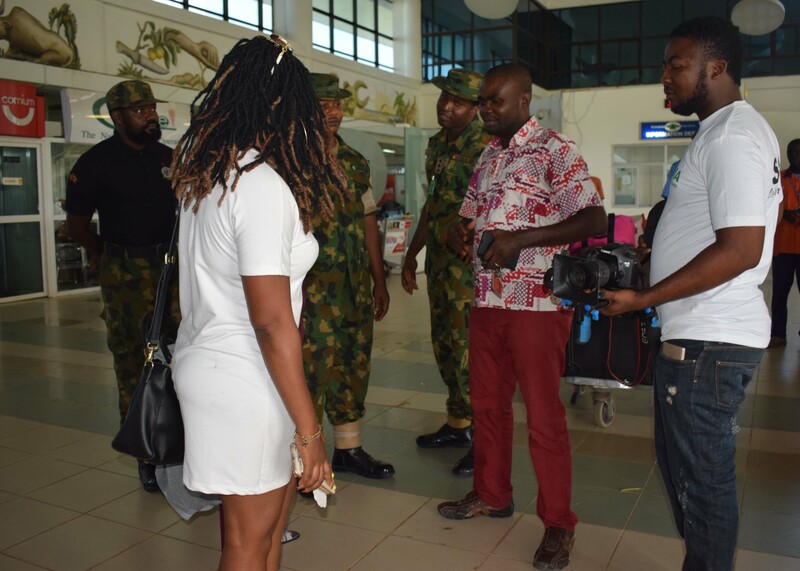 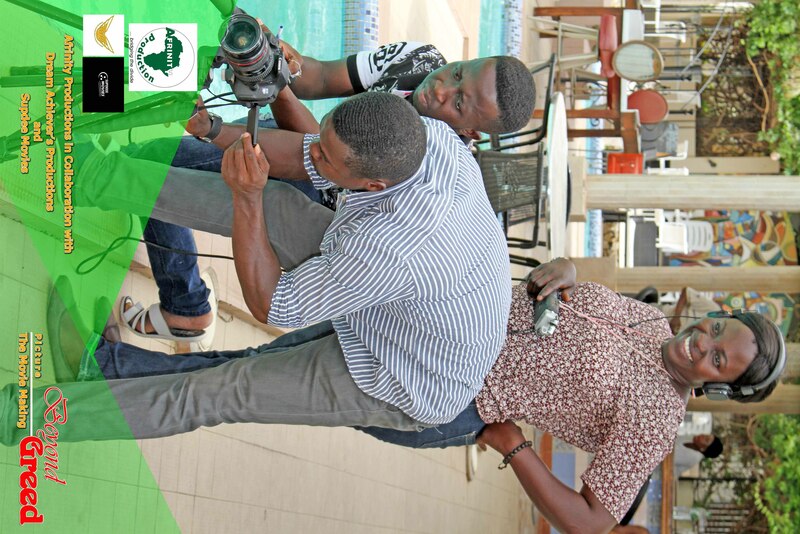 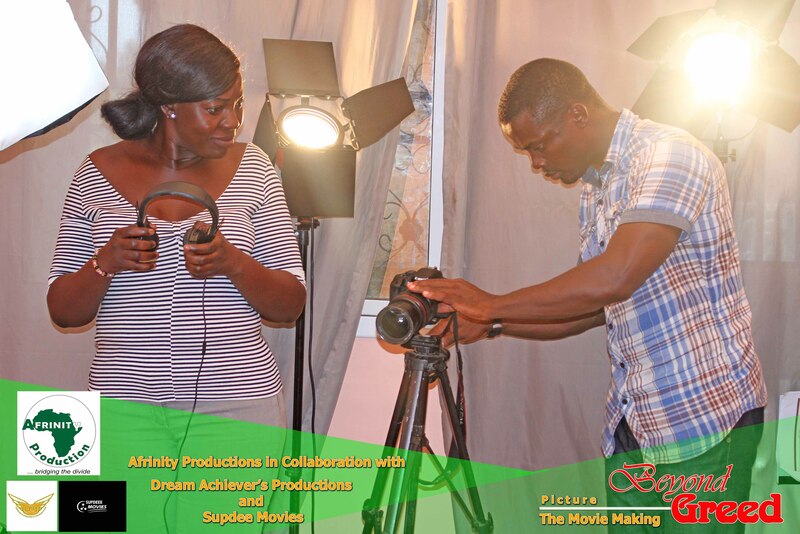 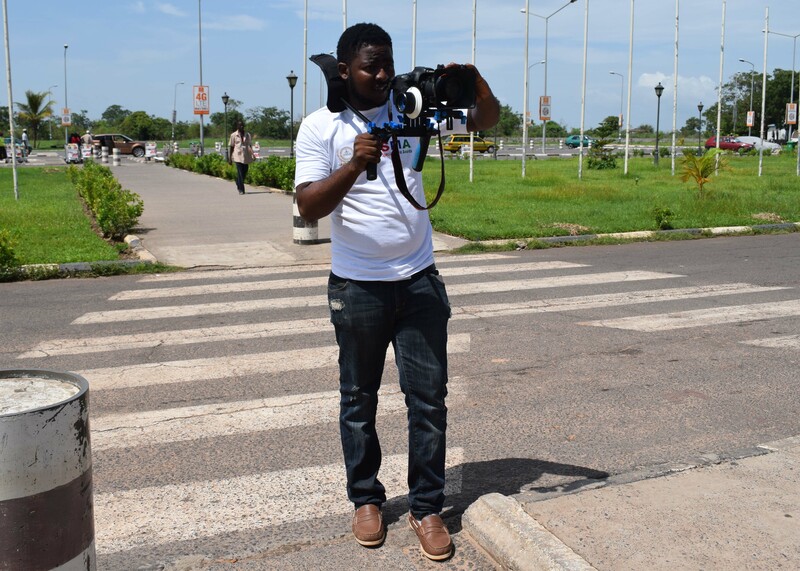 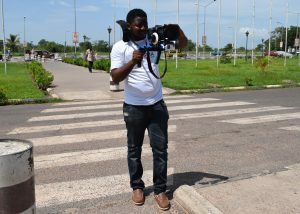 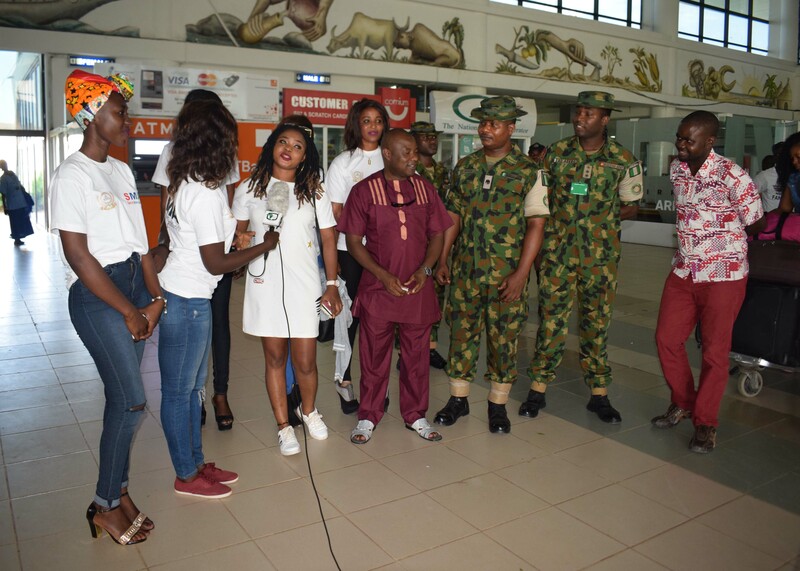 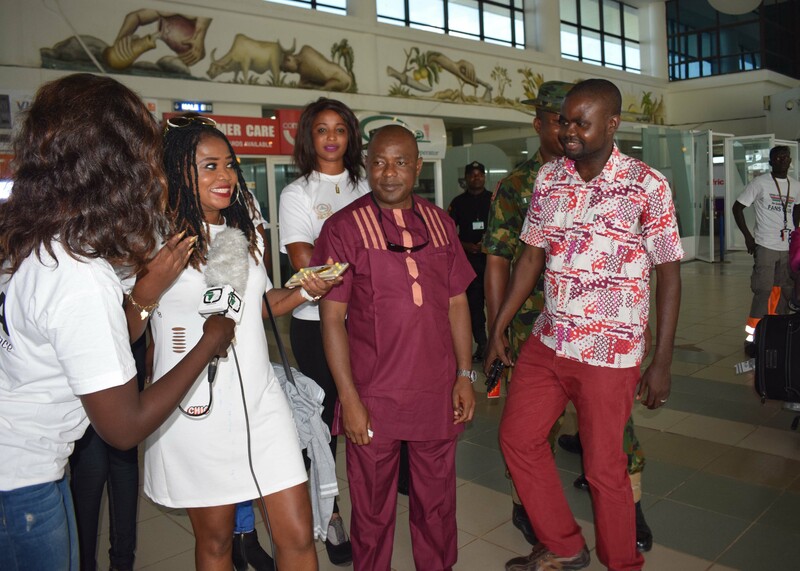 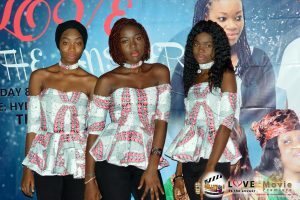 Our ability to provide quality professionals for any kind of video or photography venture in Africa, makes Afrinity Productions a unique media organization. 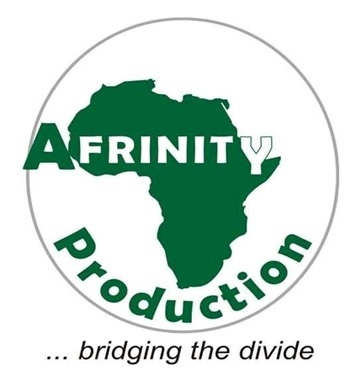 With products designed specifically for mobile distribution, websites, publications, as well as a variety of TV formats, Afrinity Productions enables broadcaster, media agencies, mobile phone providers, corporate markets and freelance journalists to see what content is available and how to acquire it quickly and easily. 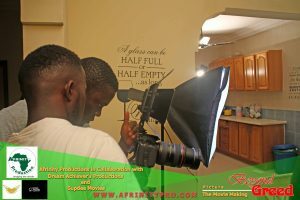 We identify what is new in the marketplace as well as how to locate specific visual gems to make your production special. 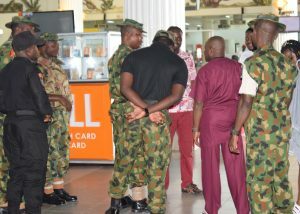 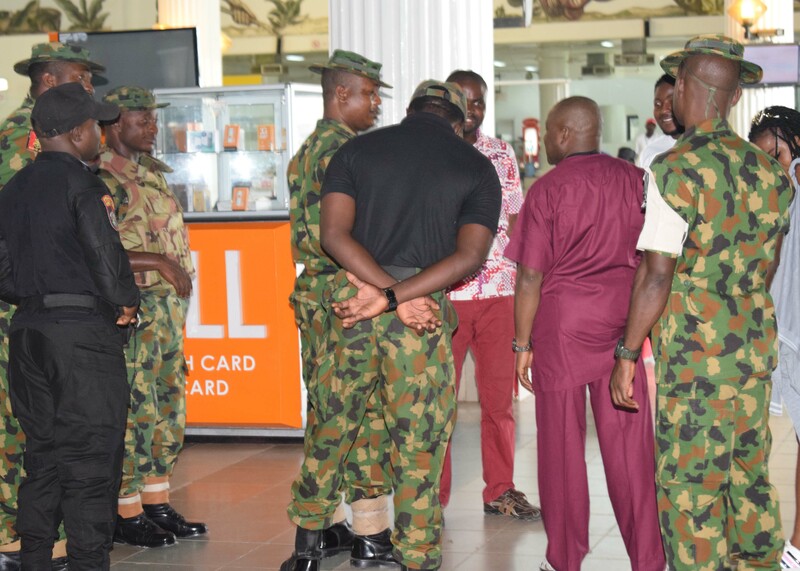 This keeps us in the frontline all times. 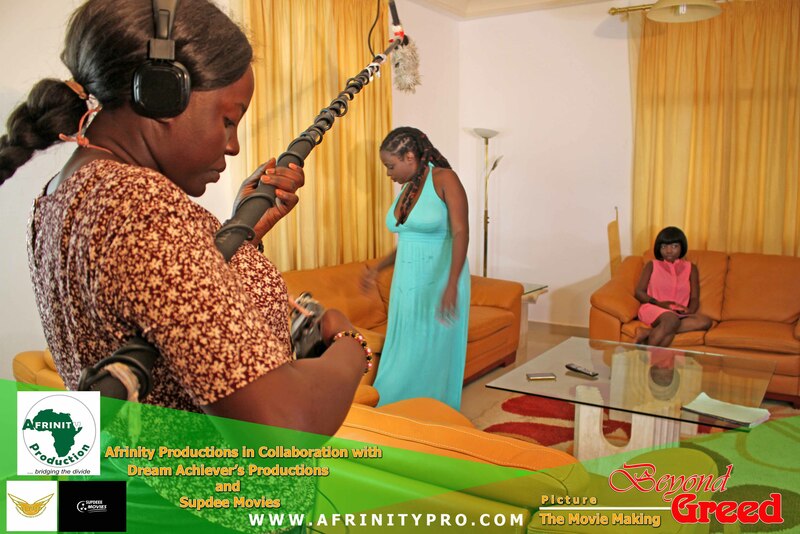 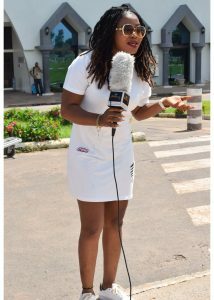 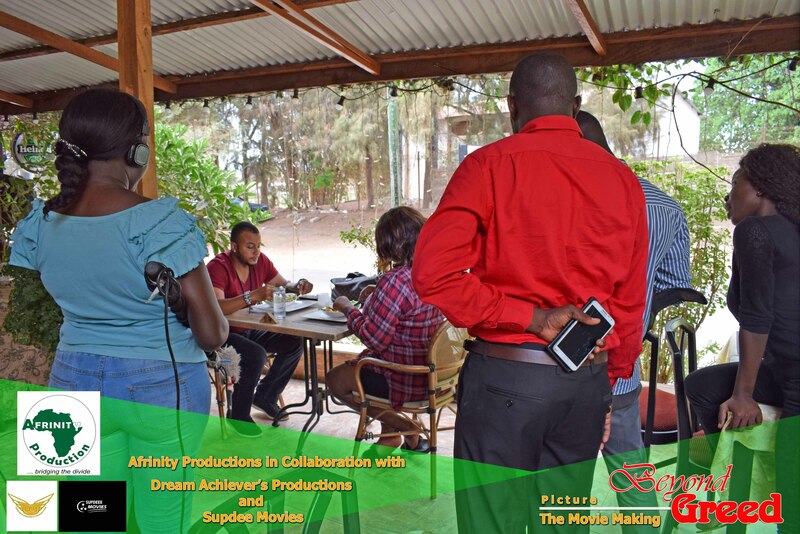 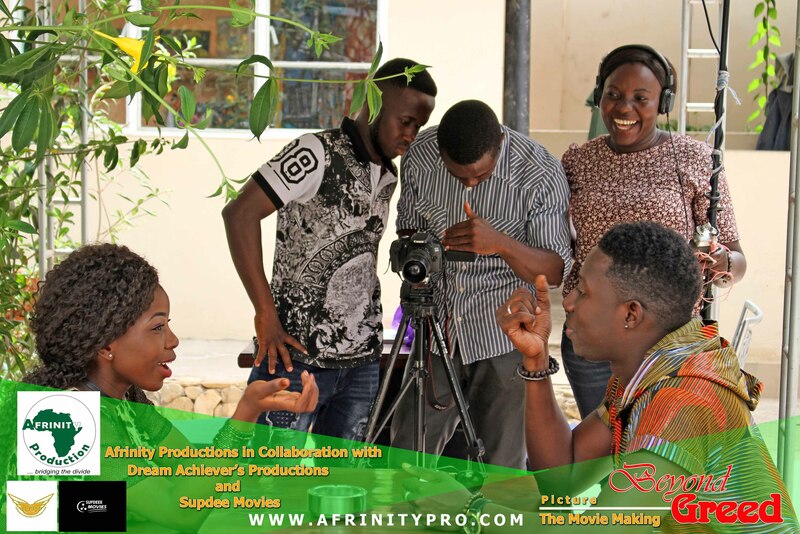 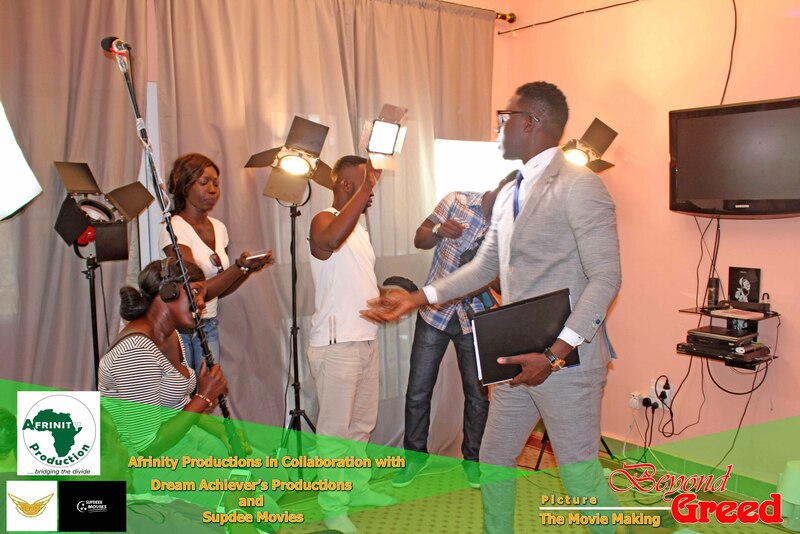 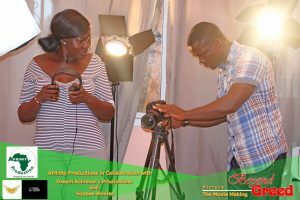 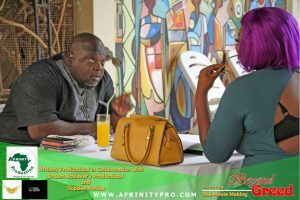 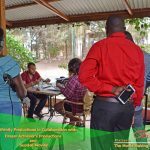 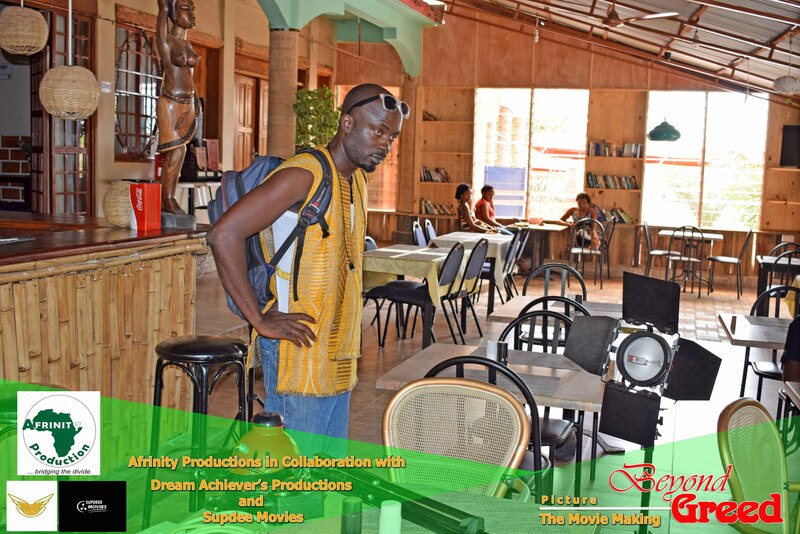 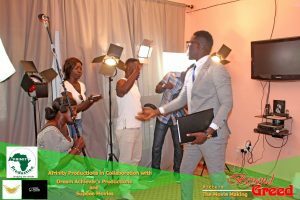 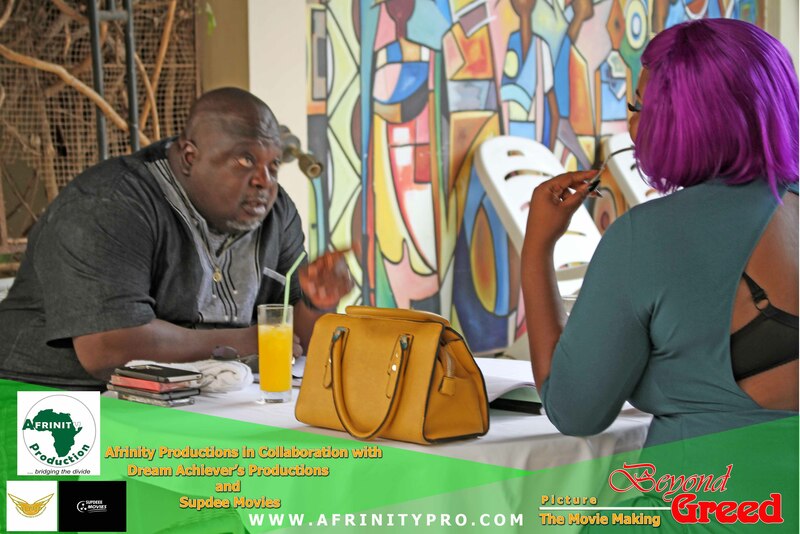 With seasoned professional staff and relationships with some of the finest international television individuals, Afrinity Productions also provides quality training in disciplines ranging from television production to management, personal brand building to Pan-African storytelling. 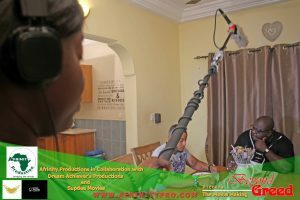 Broadcast Partnership We can create programs for audience and/or give readymade content that include: Short Features, Series program, Soaps and Drama, Documentaries, talk shows and much more. 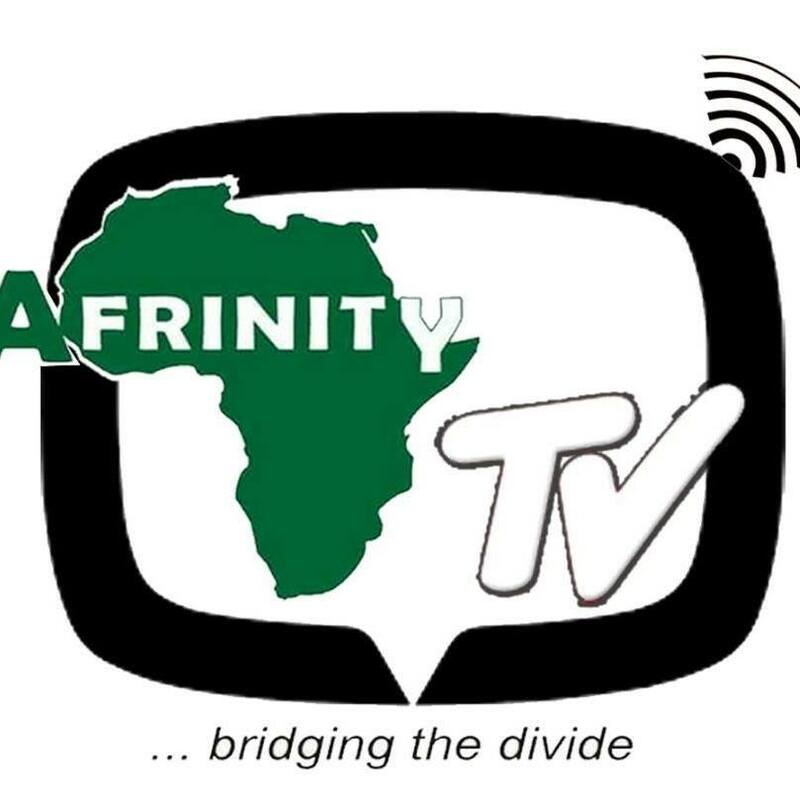 You can access Afrinity TV on Channel 5 of the WAAZI TV Android App to watch and enjoy our interesting contents like Sports Link, Market Link, Showbiz Link, Movies, Comedy etc. 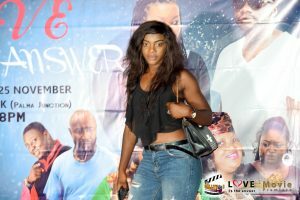 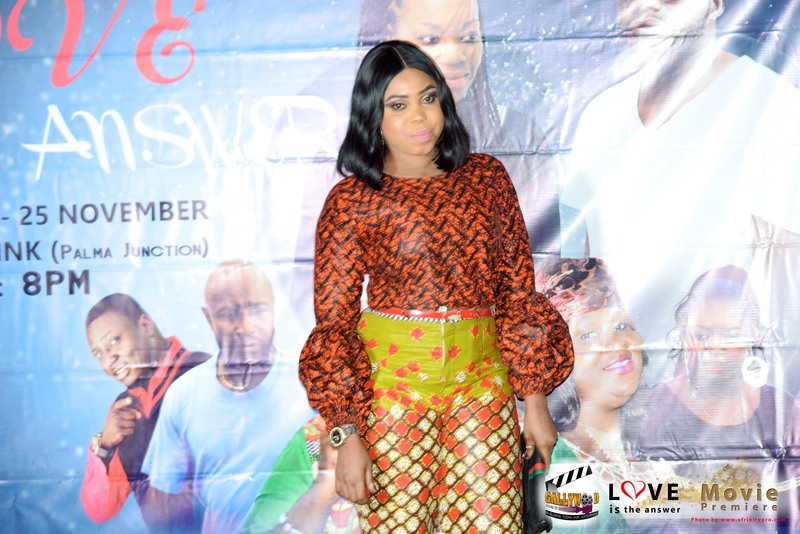 TAG LINE: Her life is dominated by greed, will she allow love to be the reason of being in a relationship. y 25years old lives a life of insecurities. 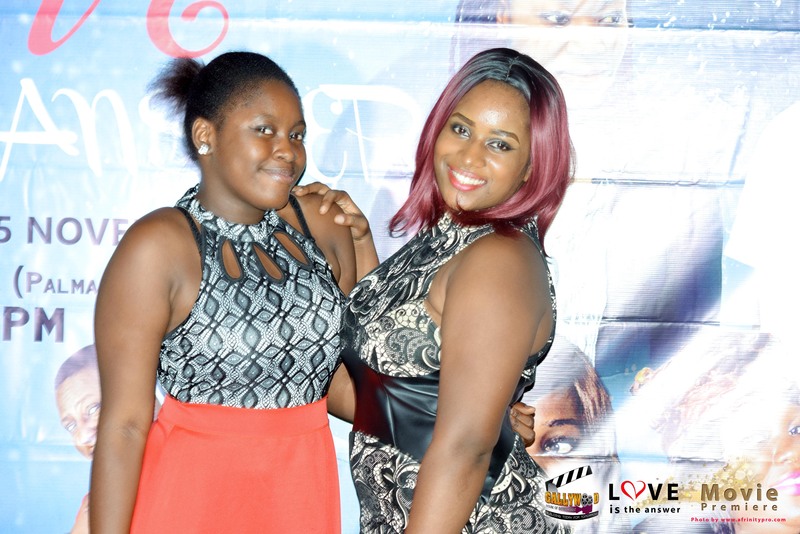 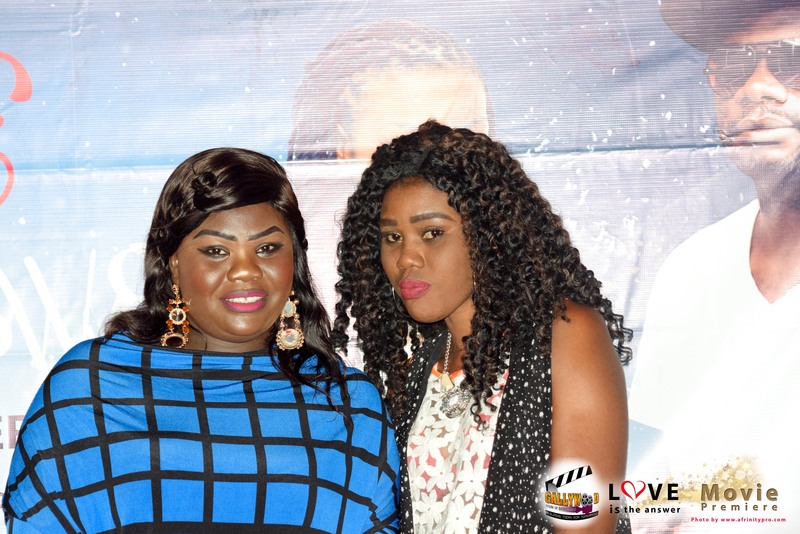 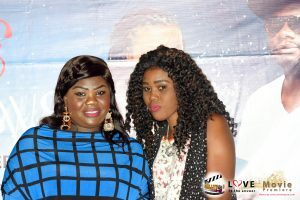 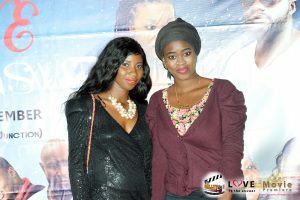 She lives with two friends Kadijah and Fatrish, Fatrish is her culprit whilst Kadijah is an exact opposite as she is never in line with her plans. 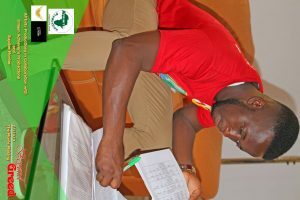 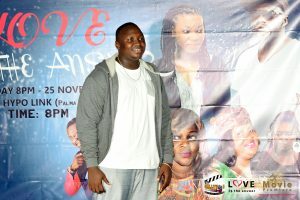 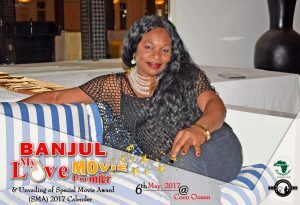 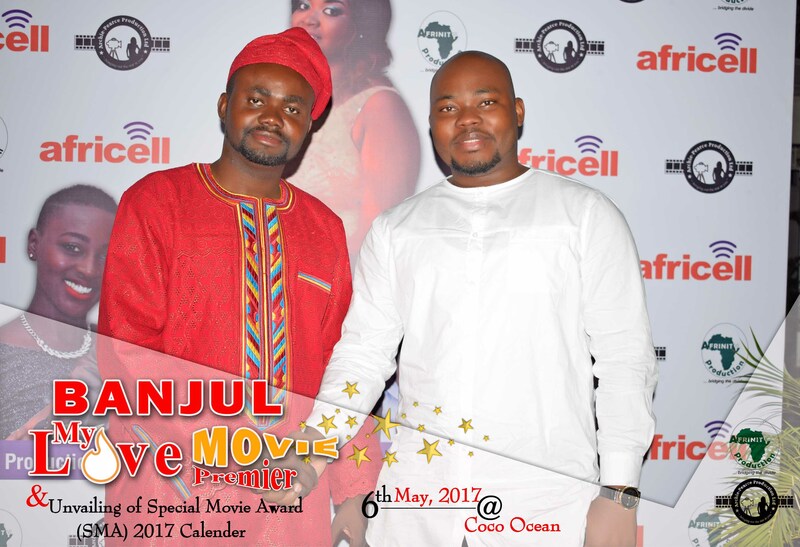 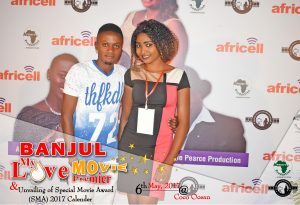 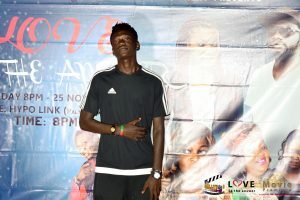 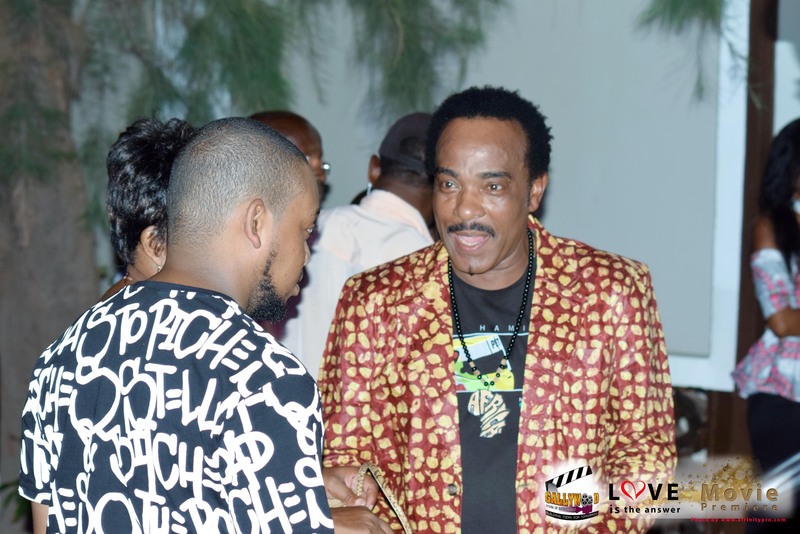 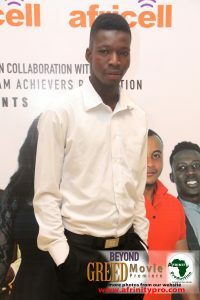 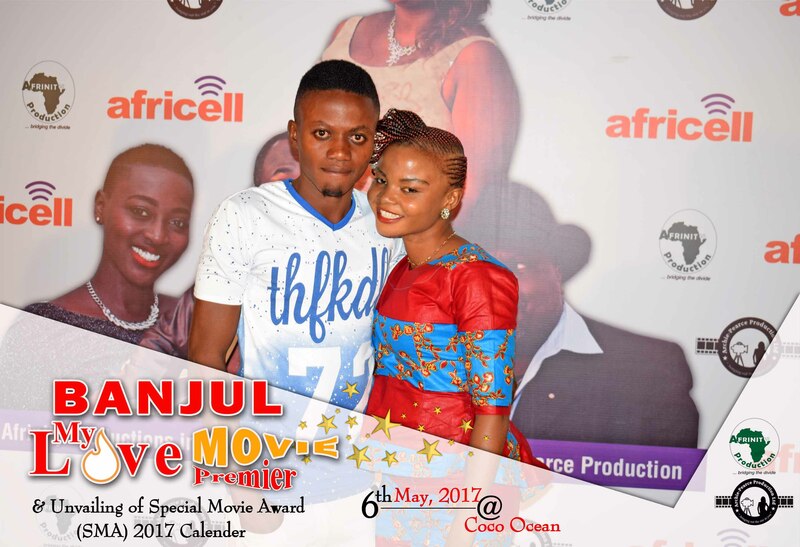 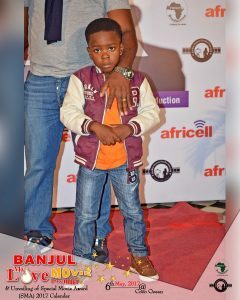 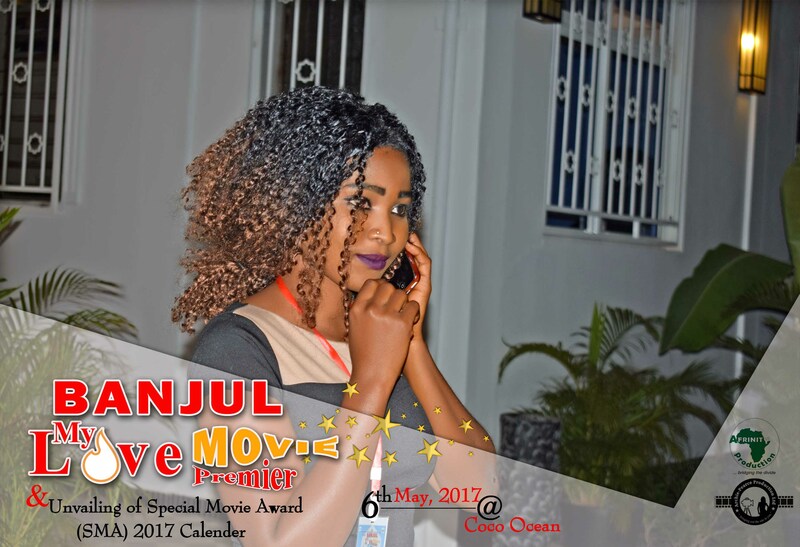 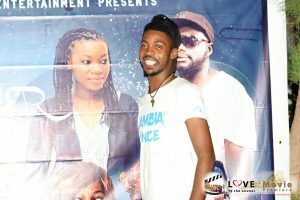 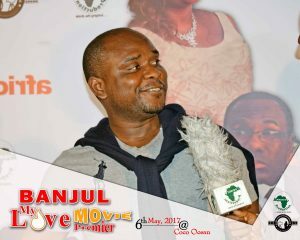 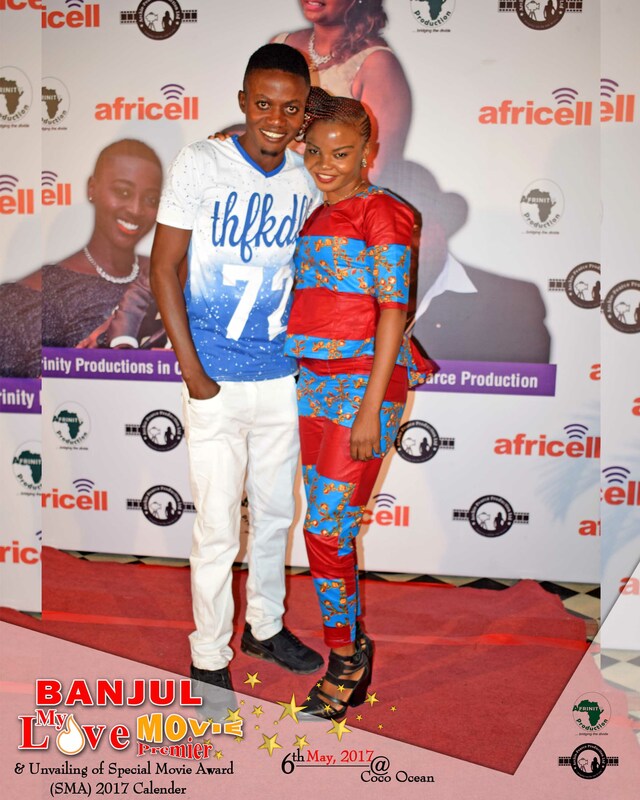 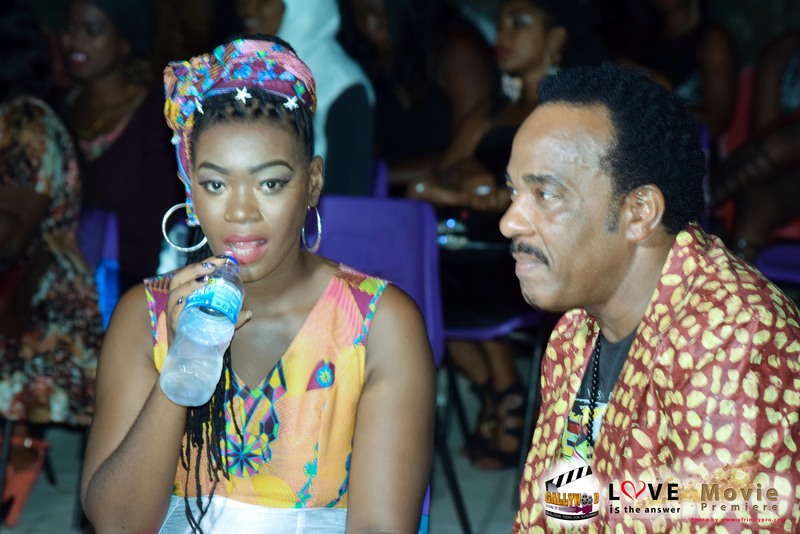 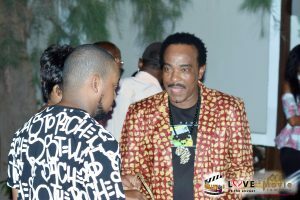 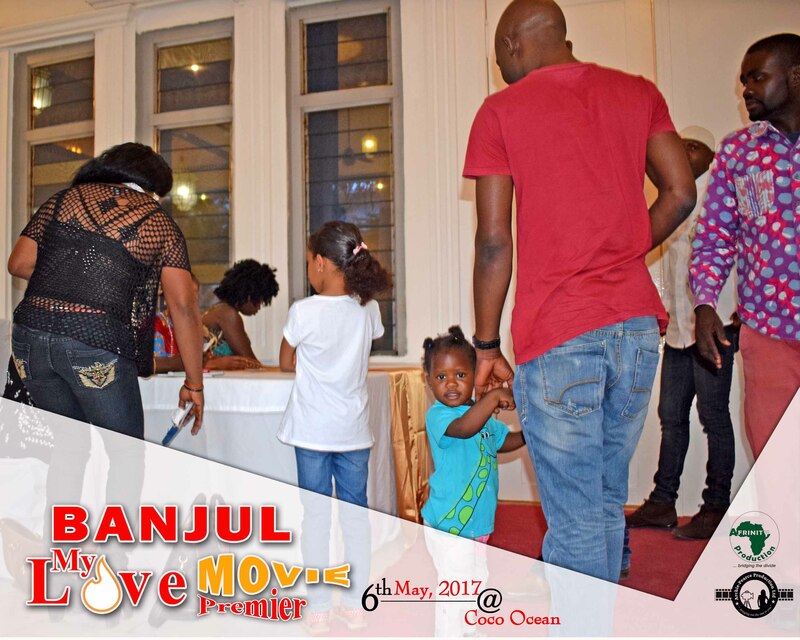 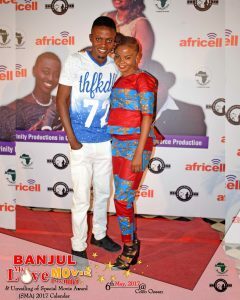 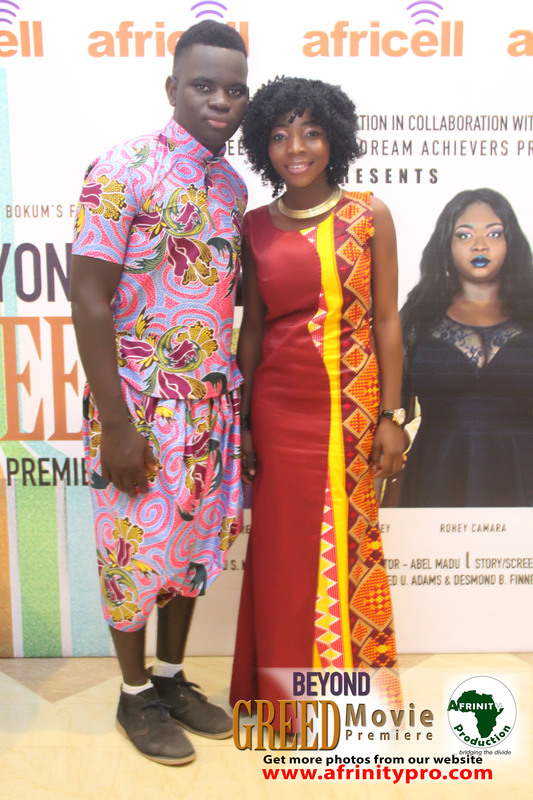 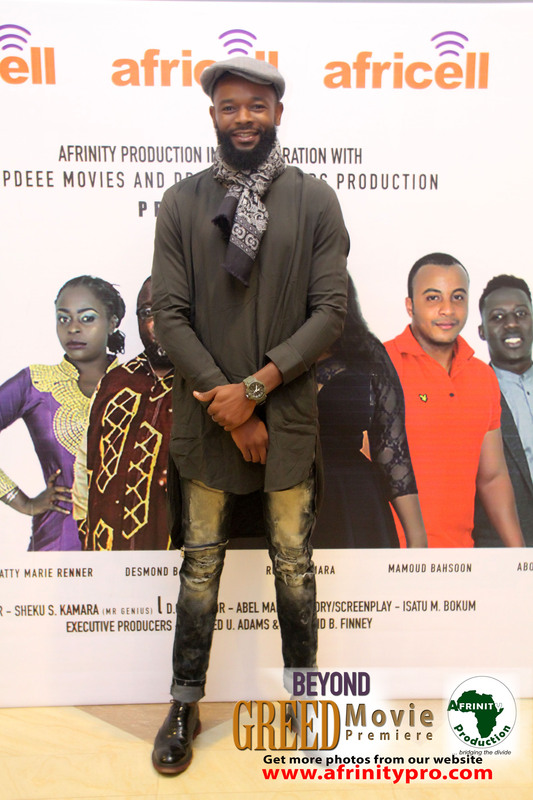 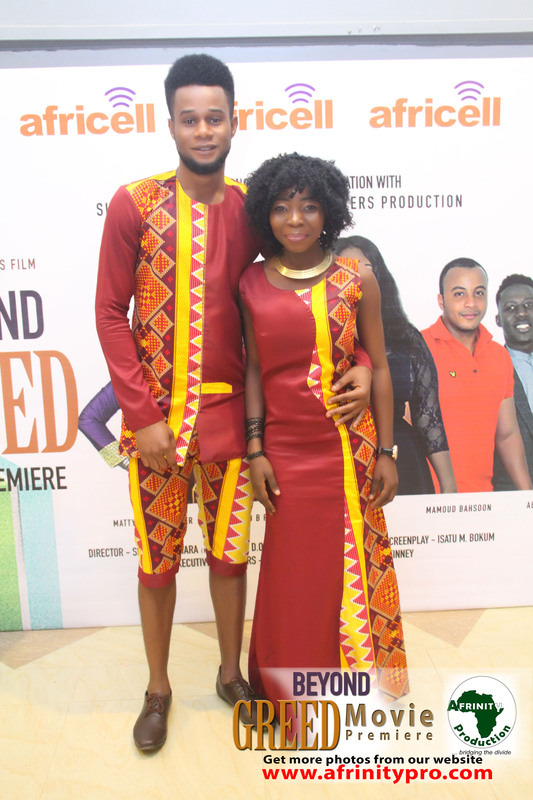 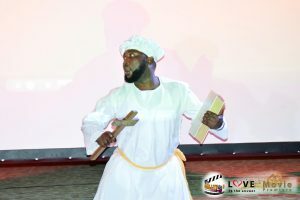 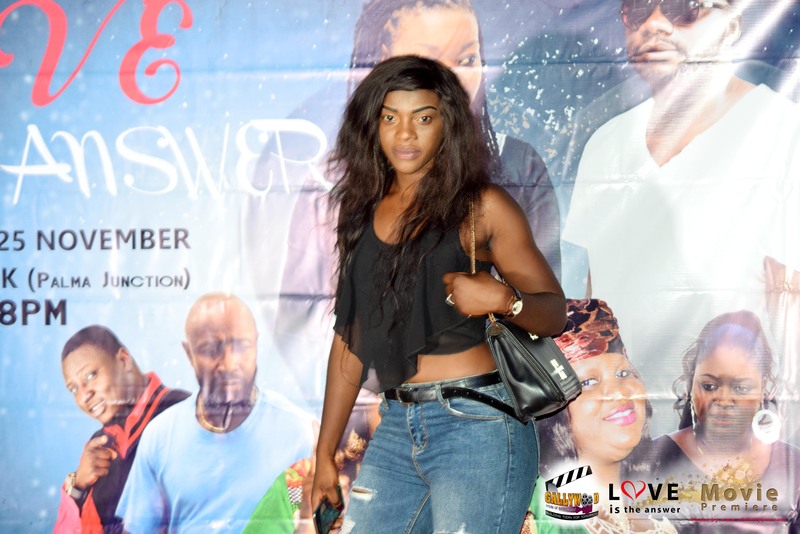 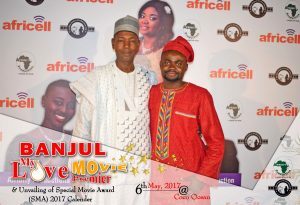 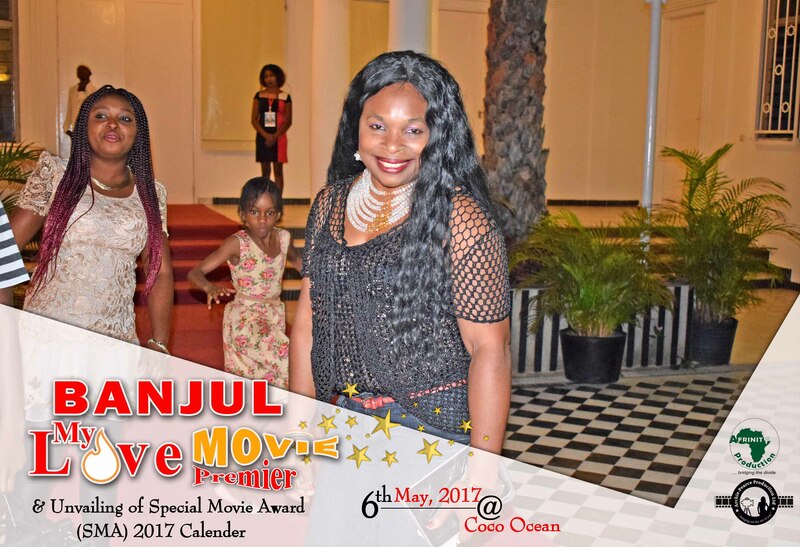 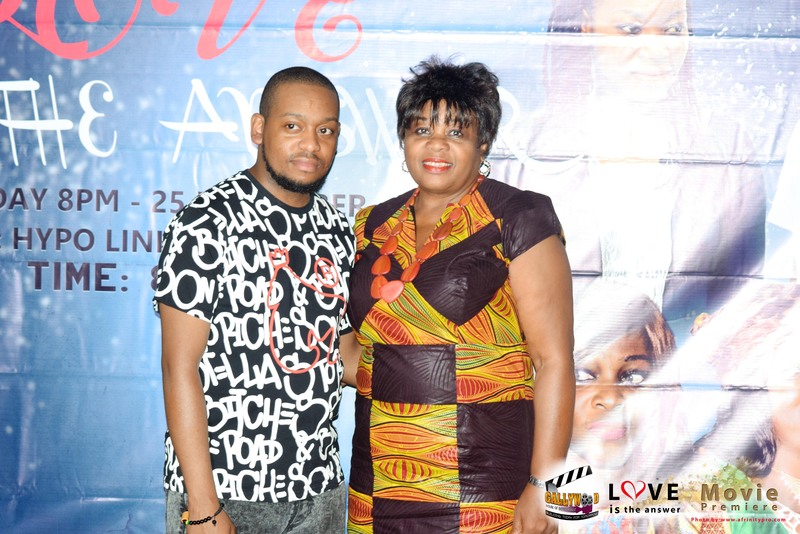 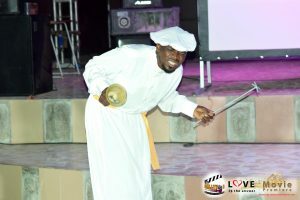 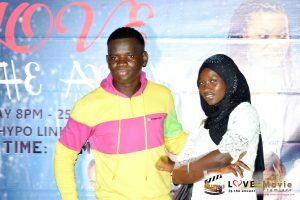 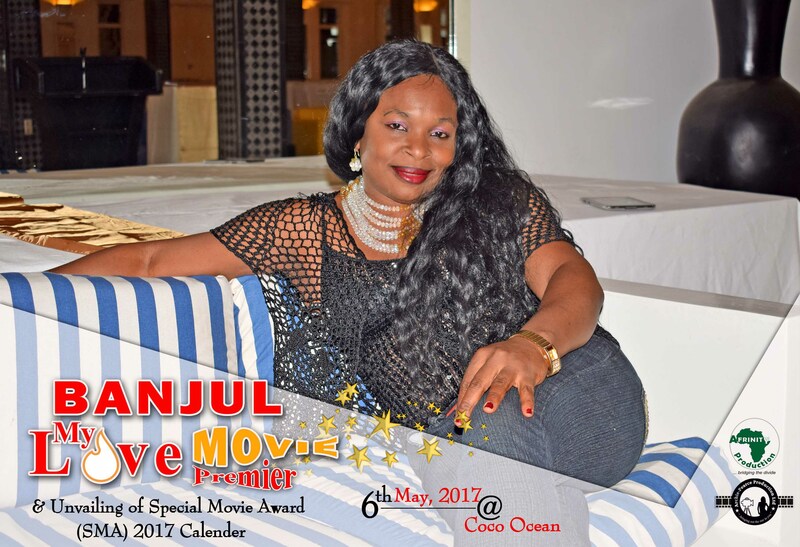 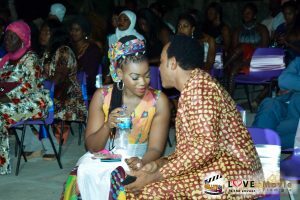 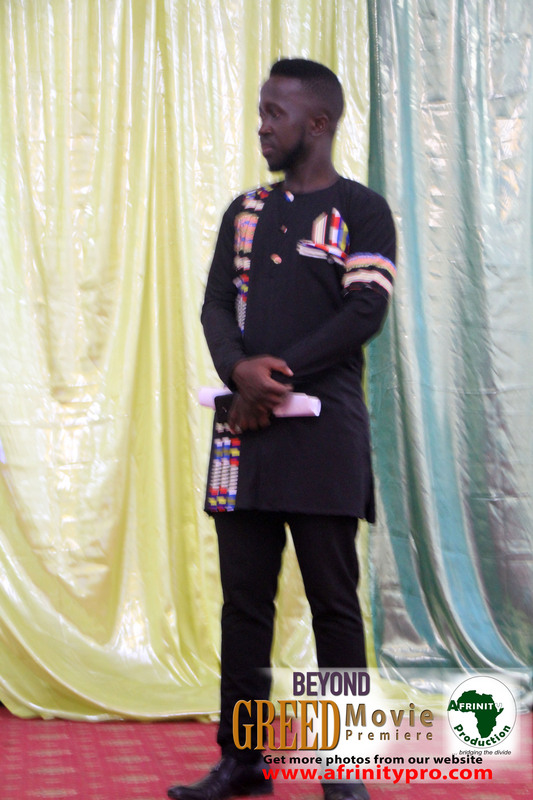 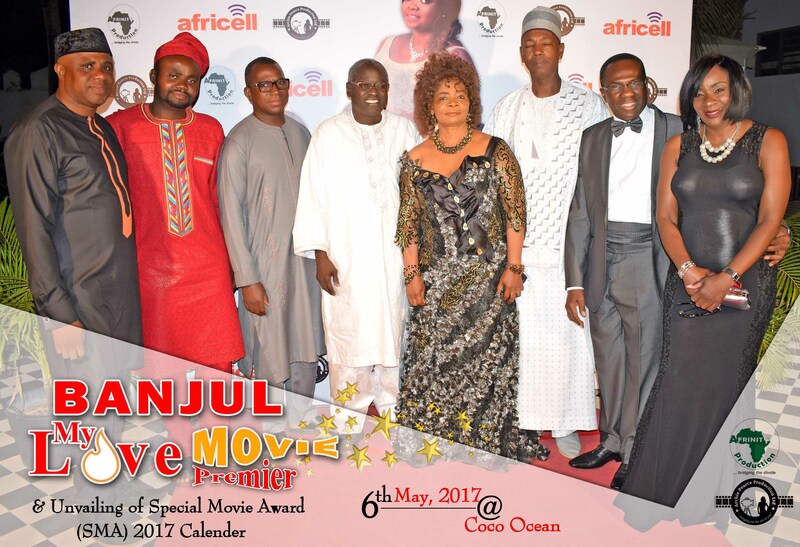 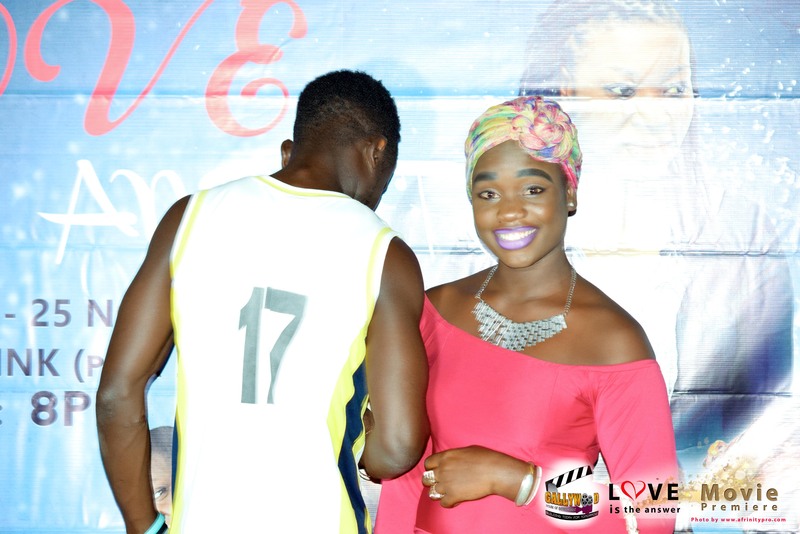 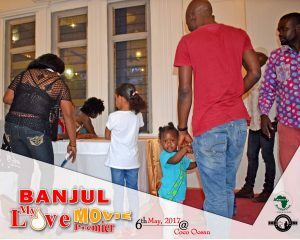 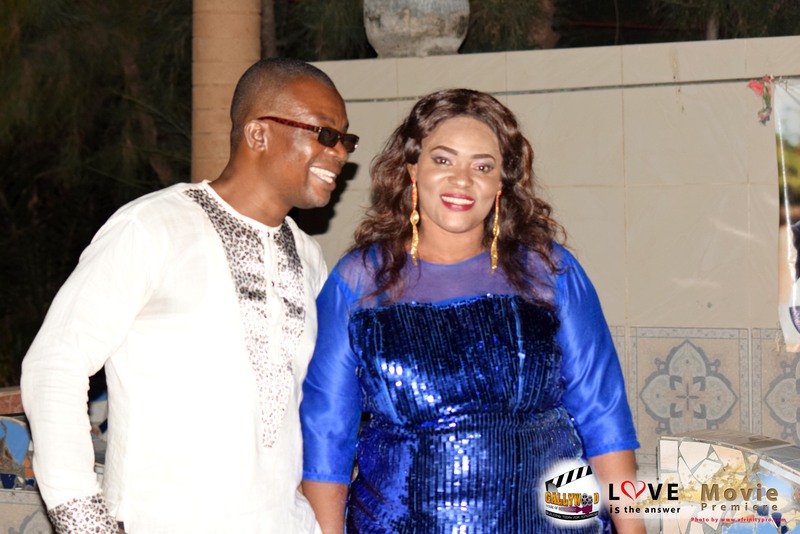 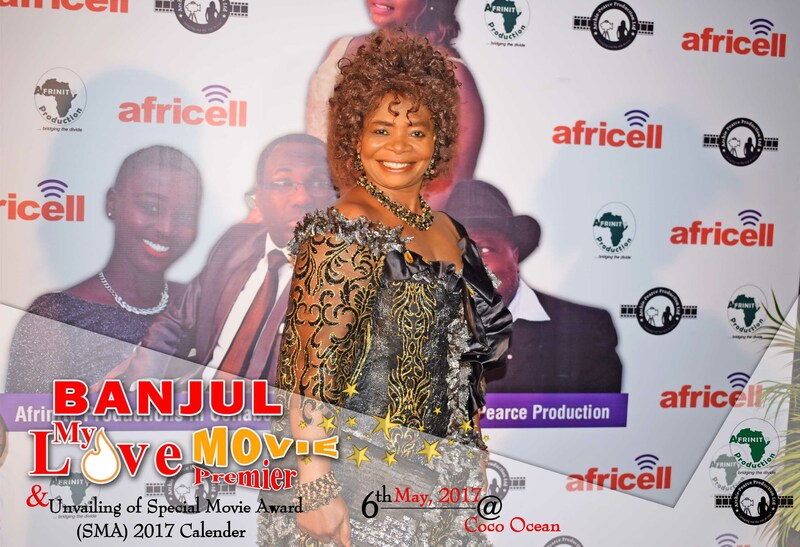 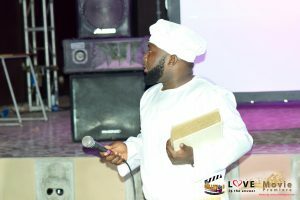 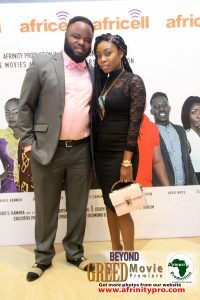 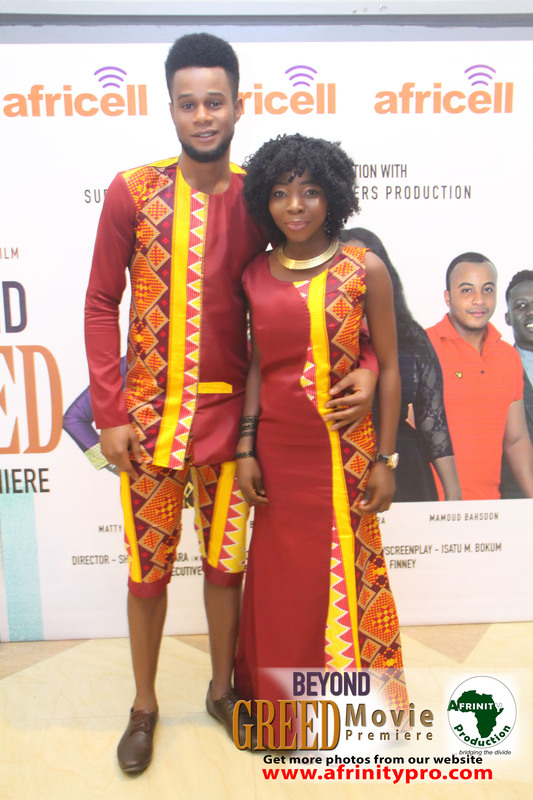 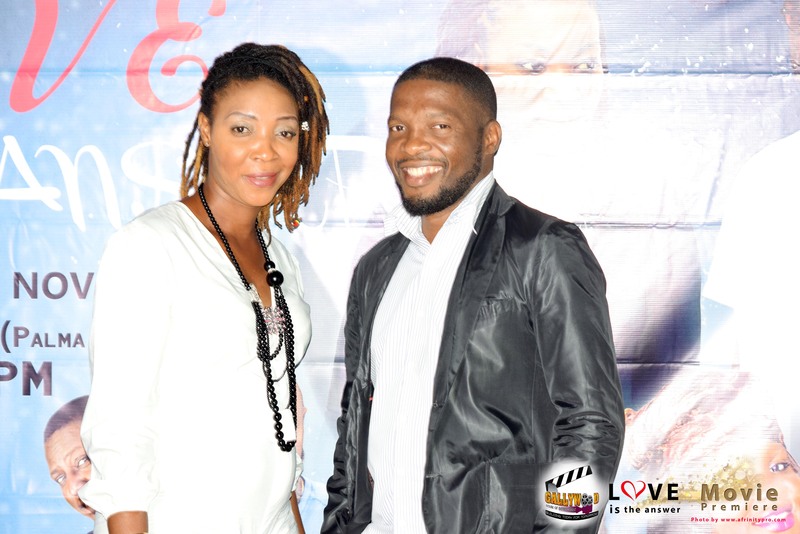 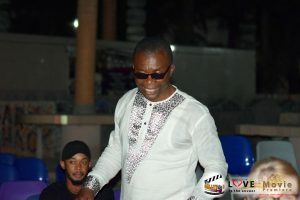 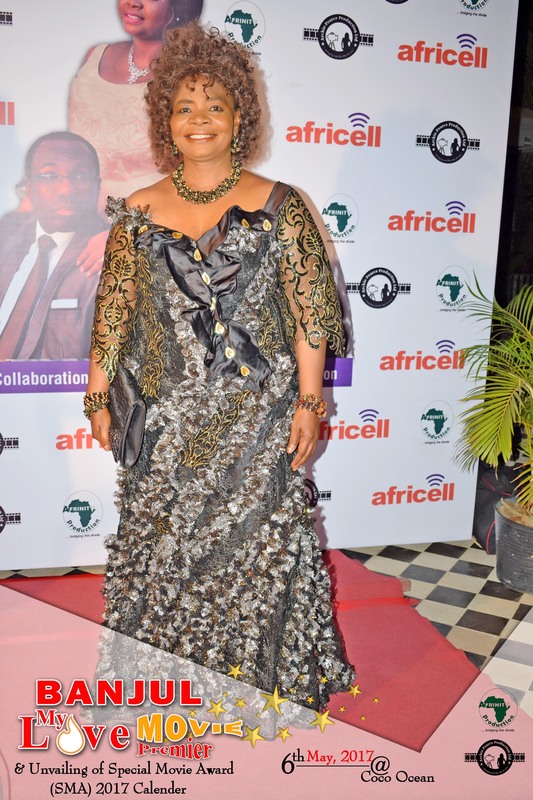 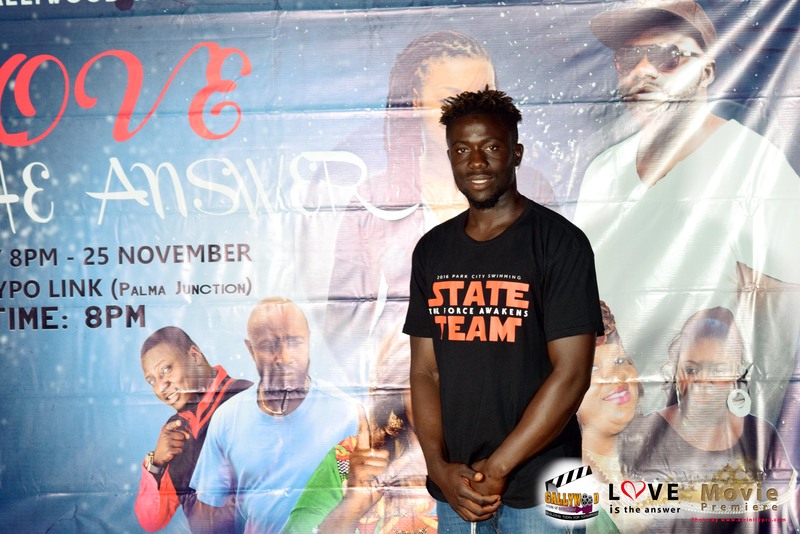 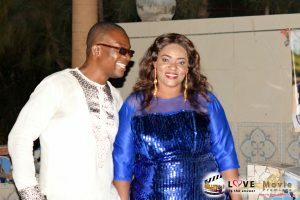 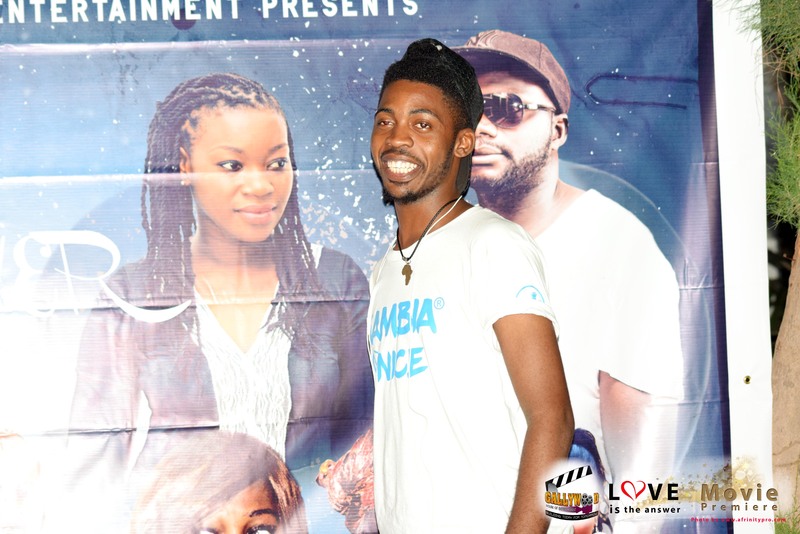 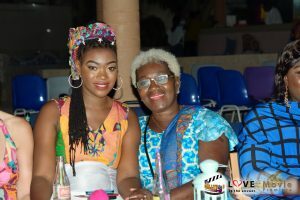 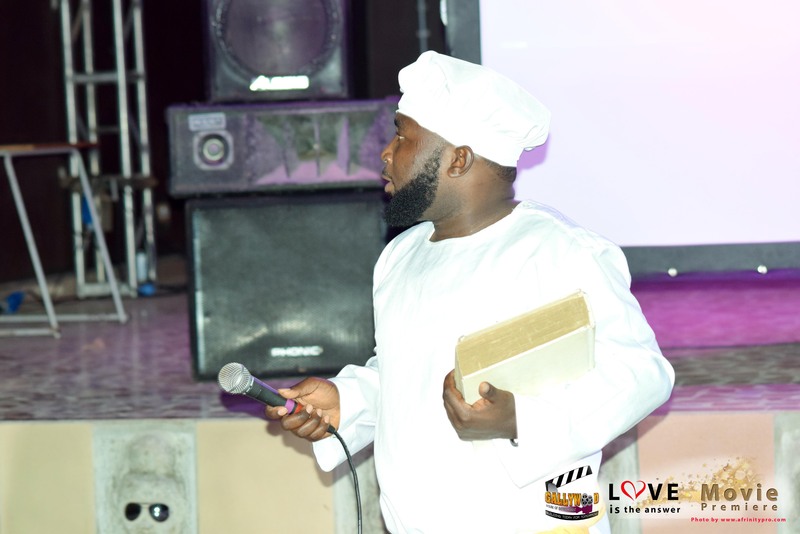 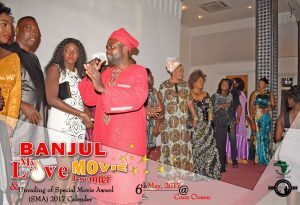 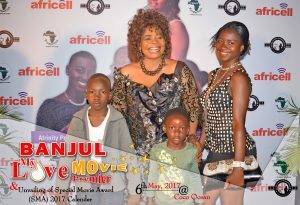 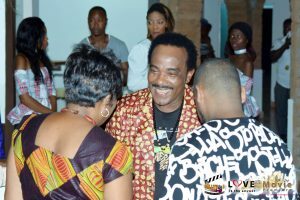 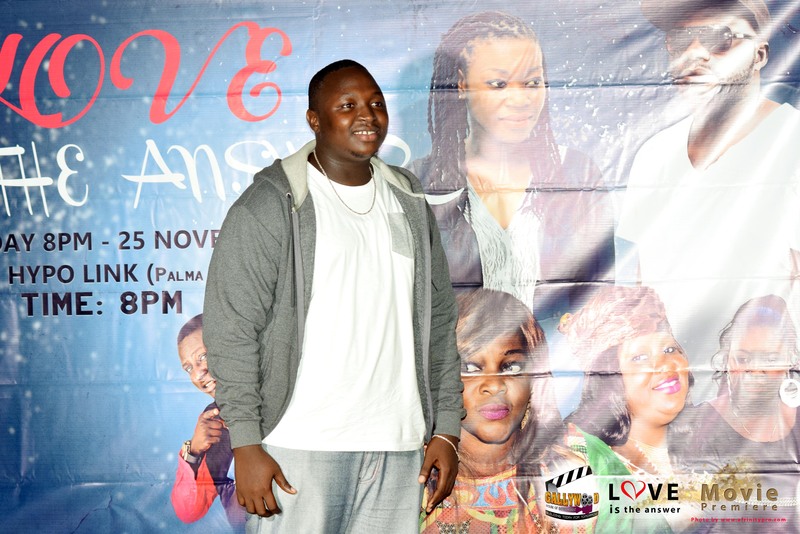 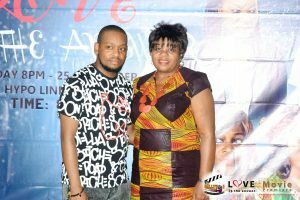 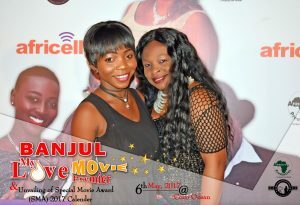 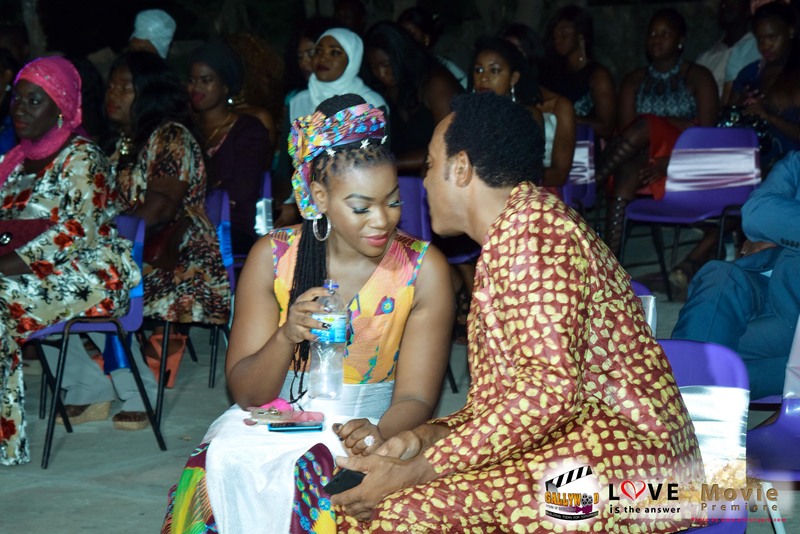 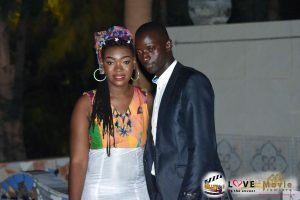 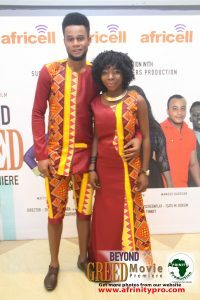 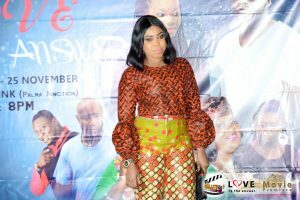 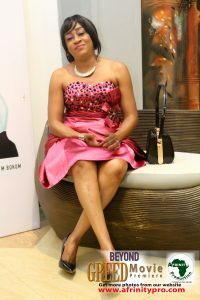 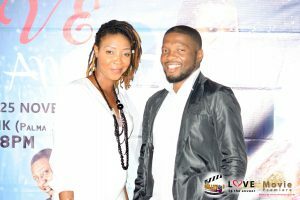 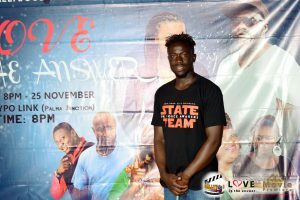 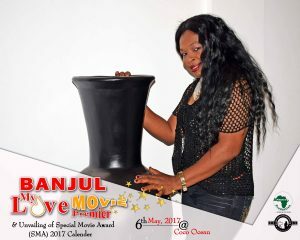 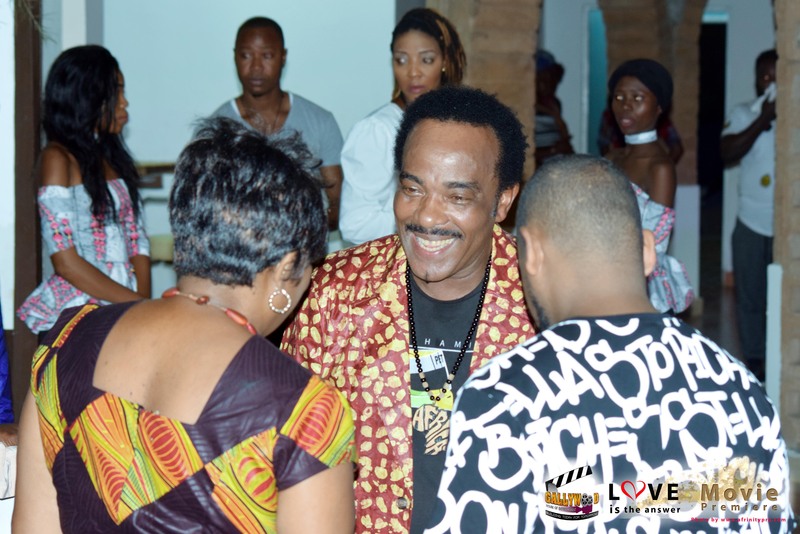 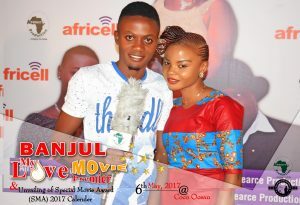 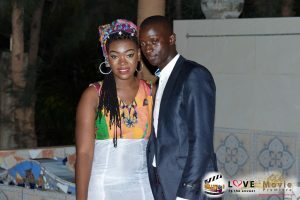 Jamil a young entrepreneur, only son of a rich man Chief Ousman Saine, CEO of Saine’s petroleum meets with Jankeh, falls head over heels for her. 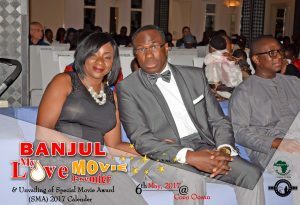 Jankeh on the other hand, only had plans of being with him for his money. 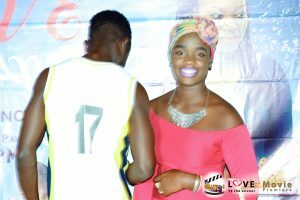 She steals from him and flees. 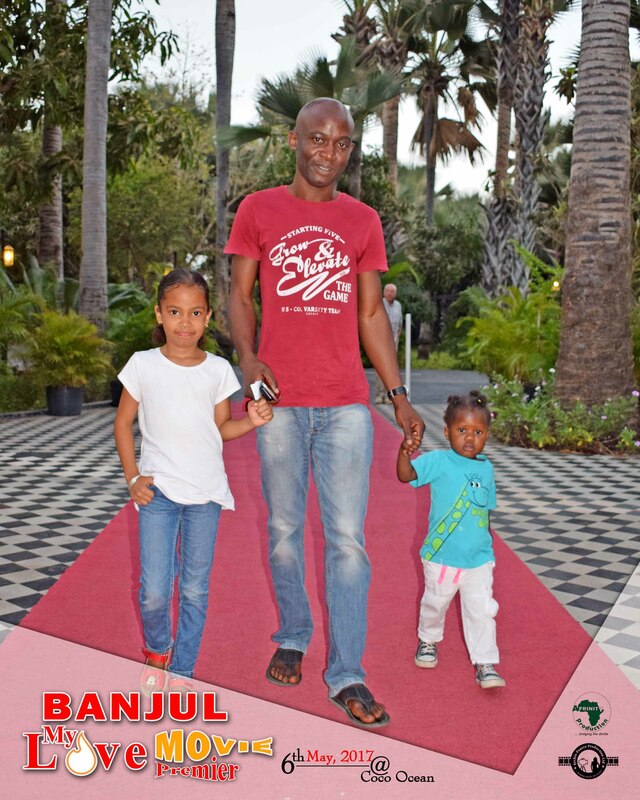 The story began when she meets Jamil who happens to be the son of her once culprit of which she had no idea. 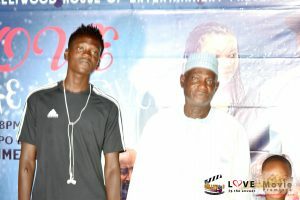 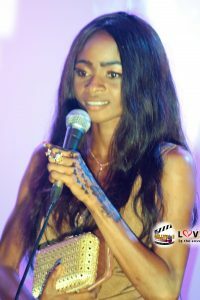 Jamil falls for her and propose then decides to introduce her to his father. 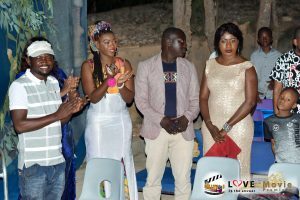 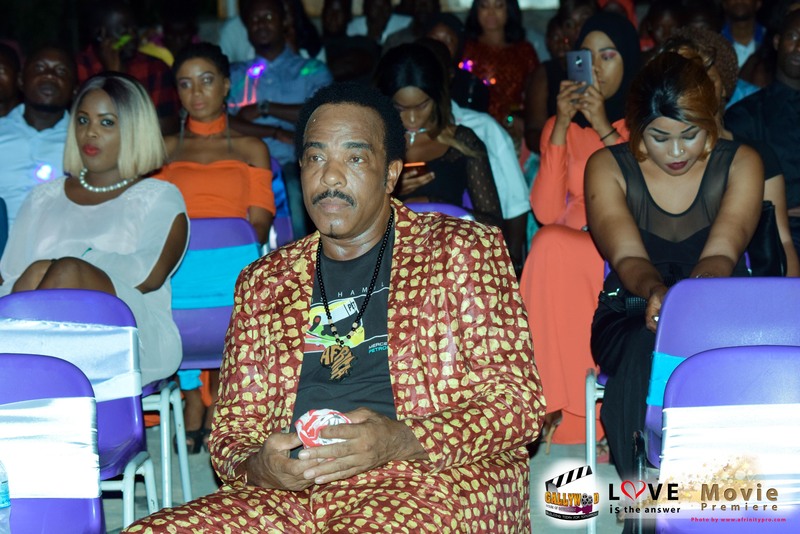 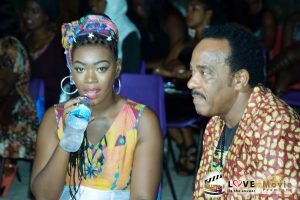 Chief goes against the wedding as he knew Jankeh was nothing but a goal digger and threatens to disown Jamil if he goes against him to marry her. 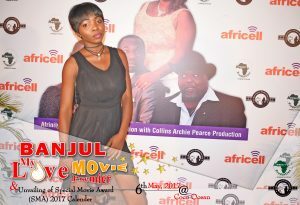 Jankeh wanted Chief out of her way, she attempts to kill him but he is saved by Dominic a best friend to Jamil. 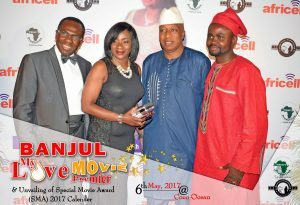 Upon believing that Chief is dead, she finally gets married to Jamil. During the course of their marriage she plotted plans together with Fatrish to steal everything from Jamil. 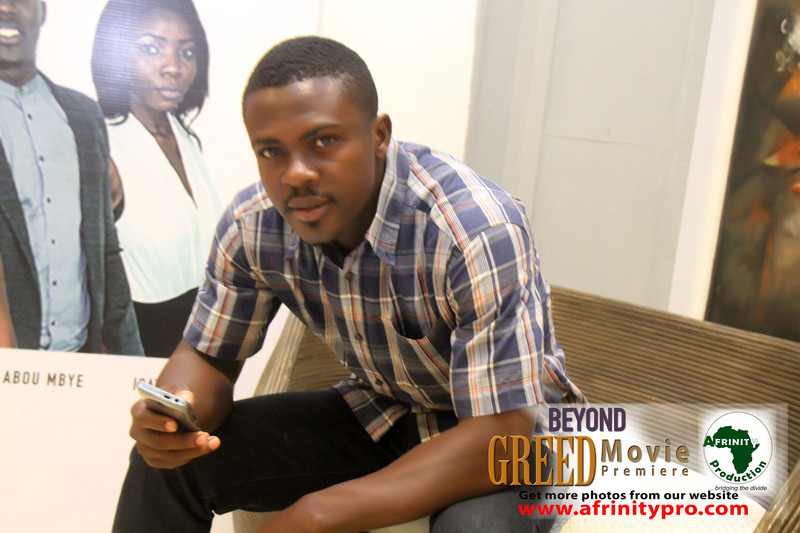 Will Dominic who knows Jankeh’s plans allow her to destroy his childhood friend? 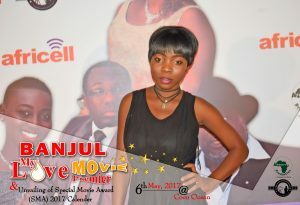 What will Jankeh do when she finds out that Chief isn’t dead and the only friend she trusted betrays her? 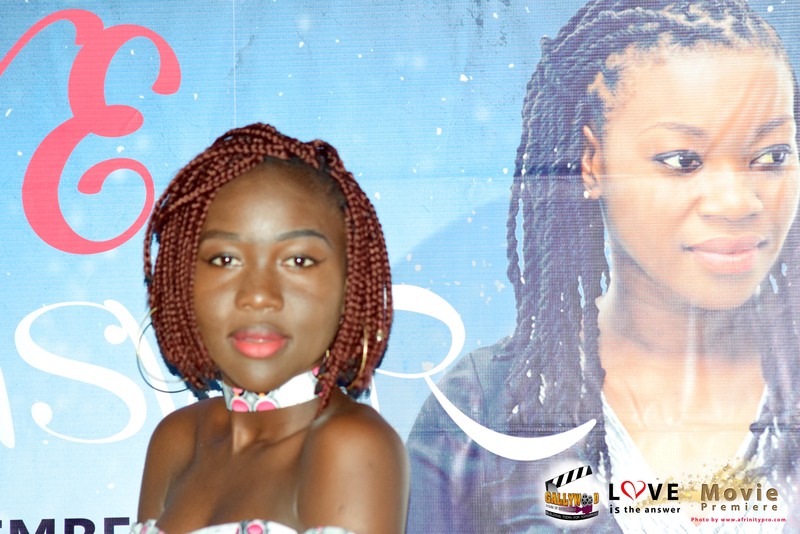 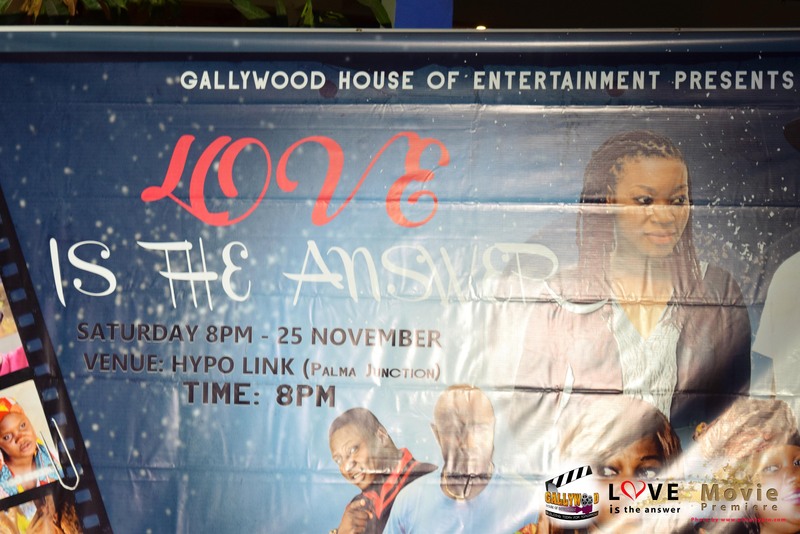 After falling in love with Jamil in the long run, will she give up her plans? 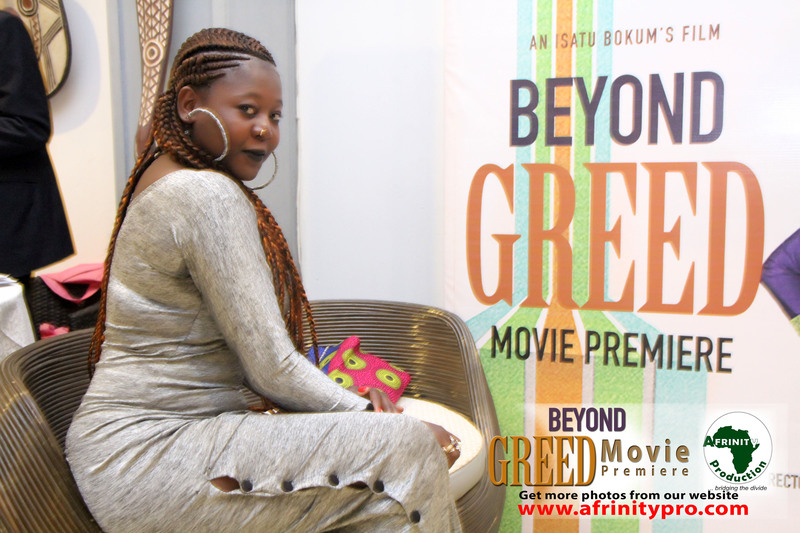 Find out from “BEYOND GREED” a beautiful story of betrayal, love, murder, lies, distrust and family life.